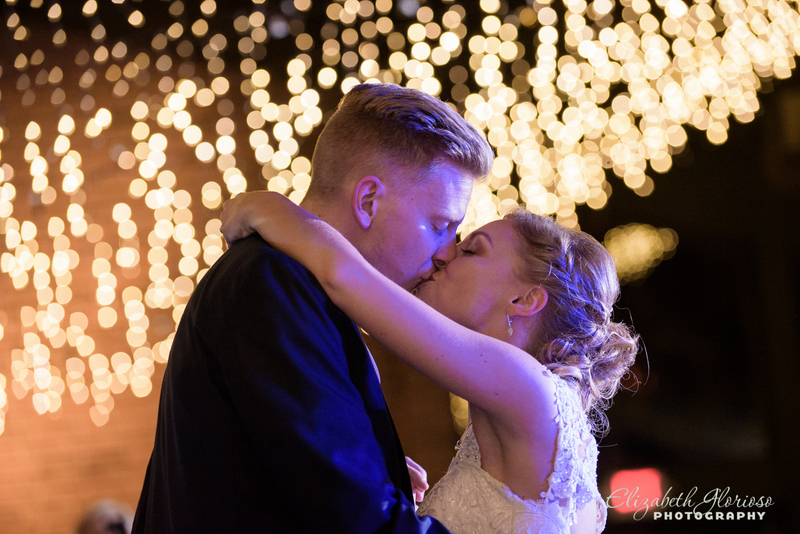 The twinkle lights. 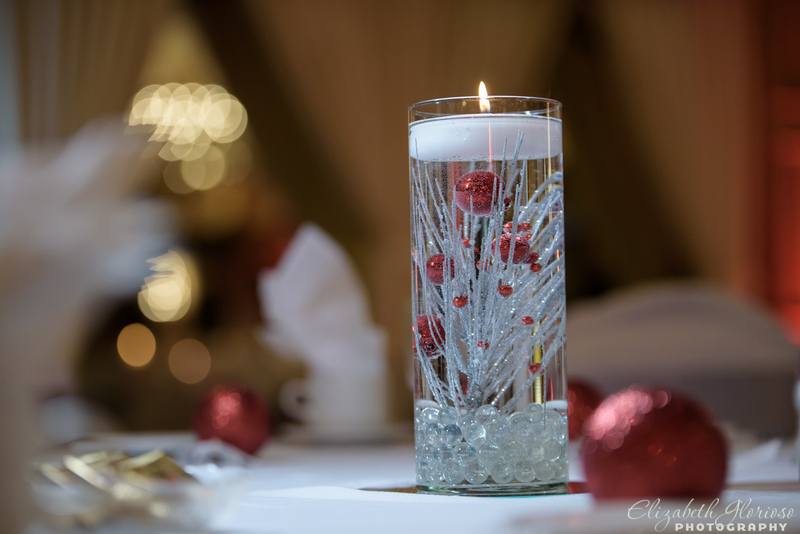 The Christmas snow. 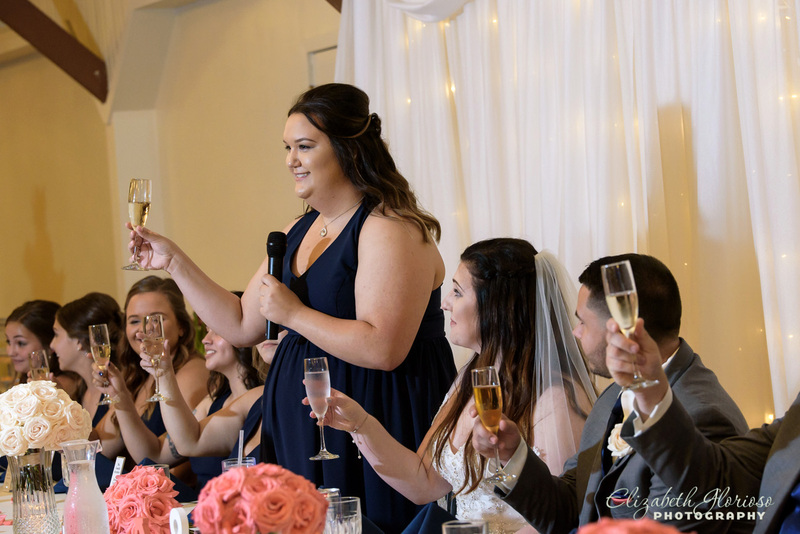 Dani had to marry Mark in December. 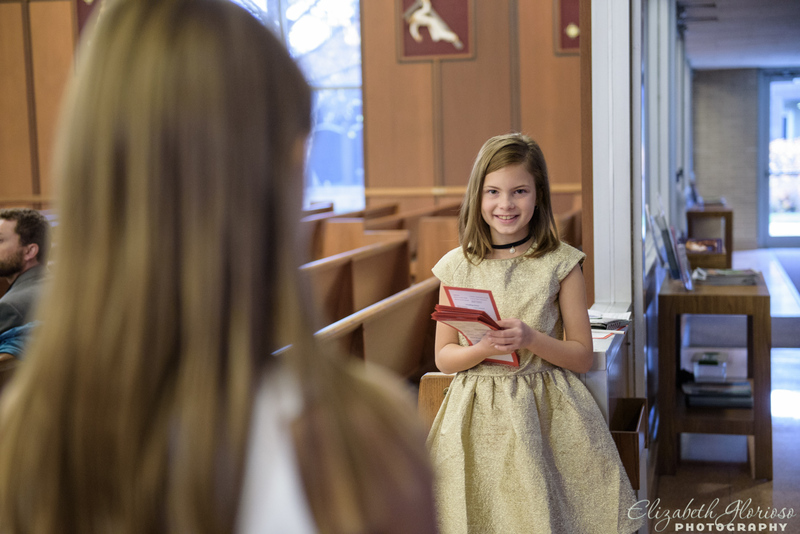 After all, it is her FAVORITE month! 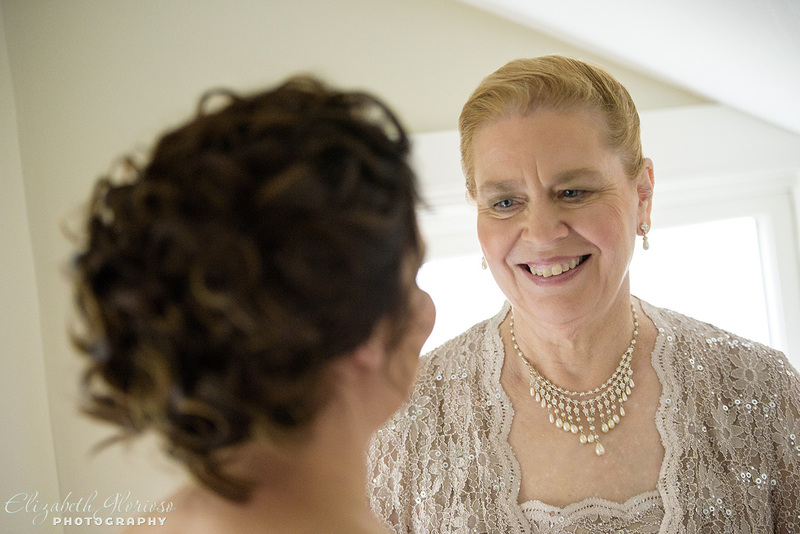 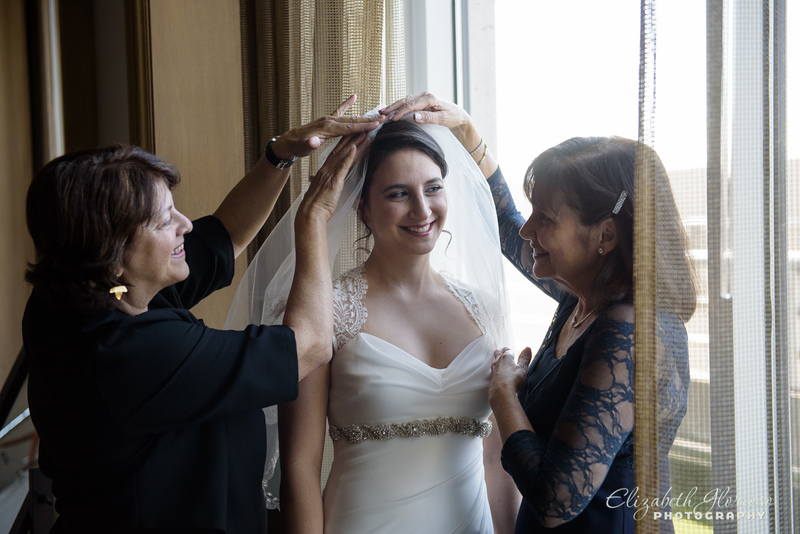 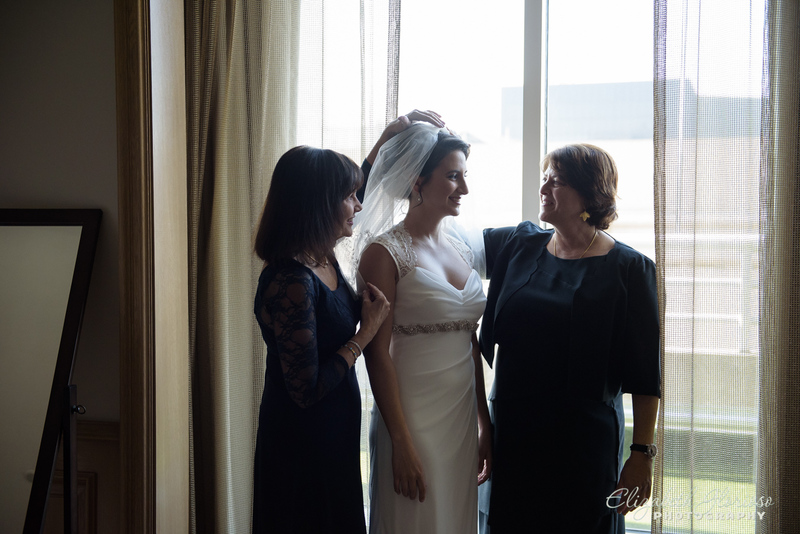 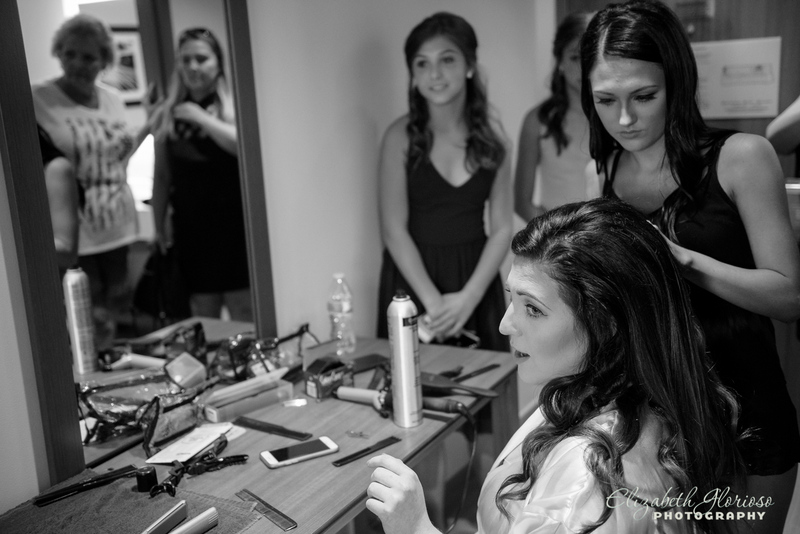 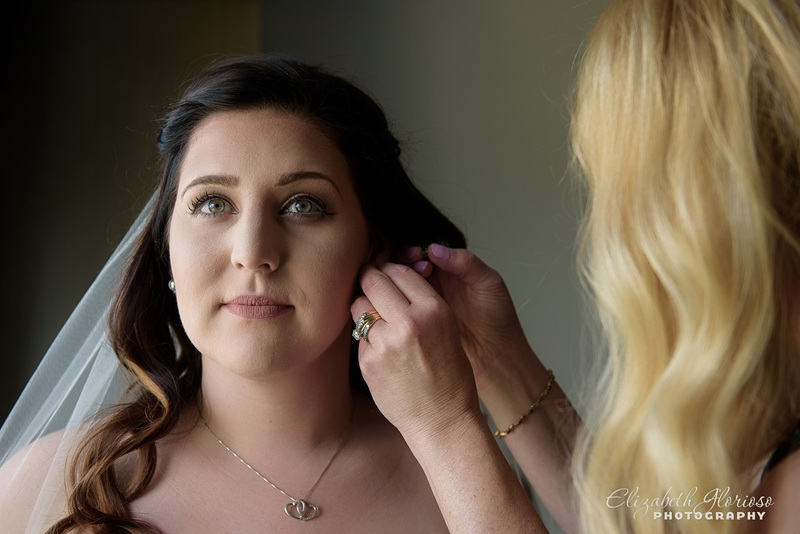 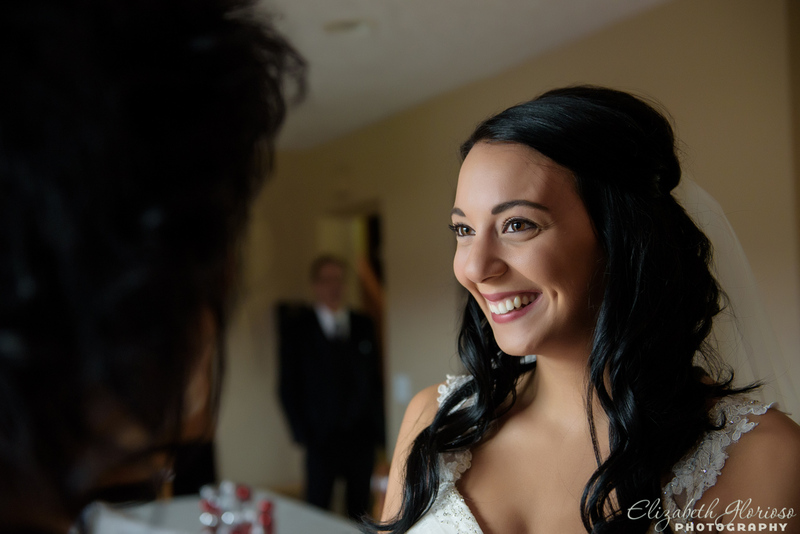 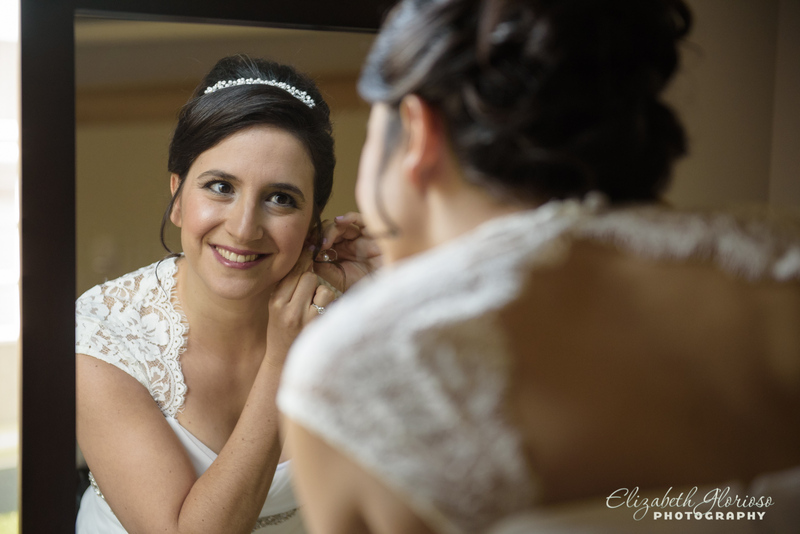 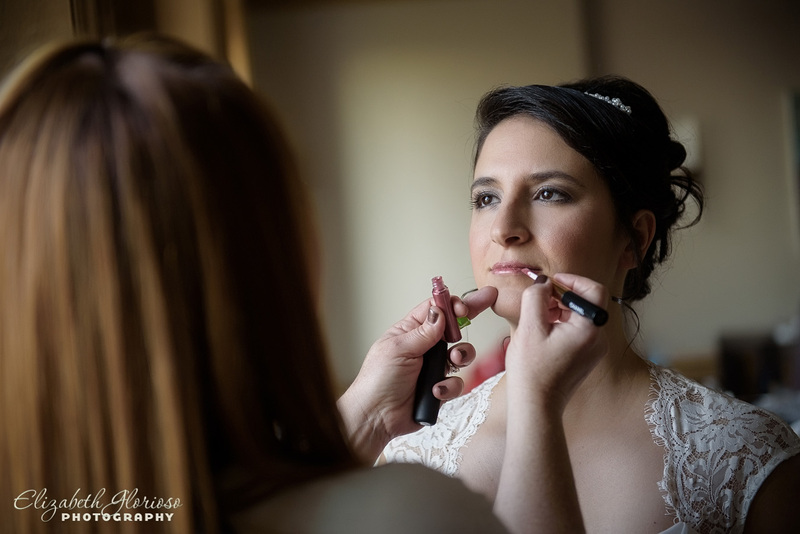 Dani began her day getting ready for their ceremony at her mom and dad’s home before heading over to St. John Bosco in Parma Heights. 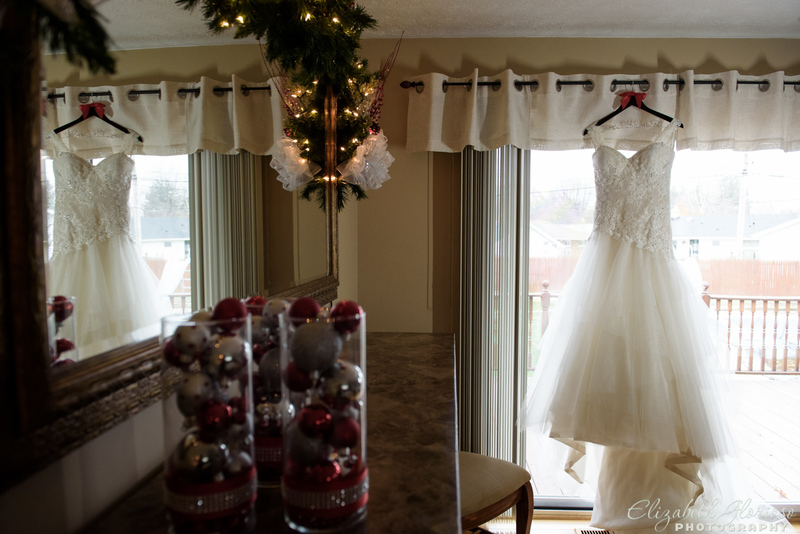 Mom even decorated the house in red and silver, Mark and Dani’s wedding colors. 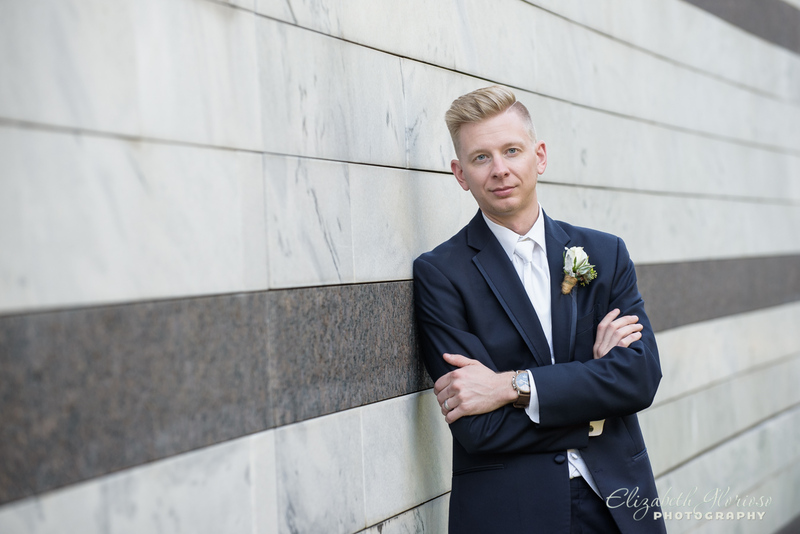 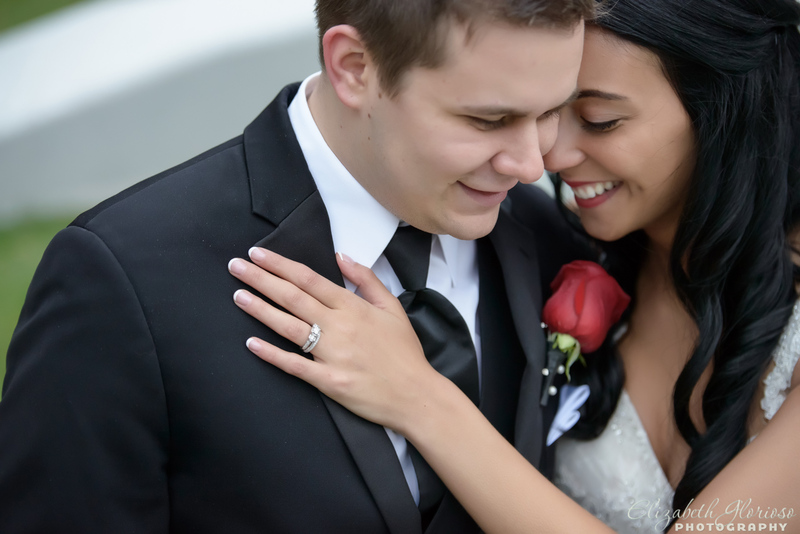 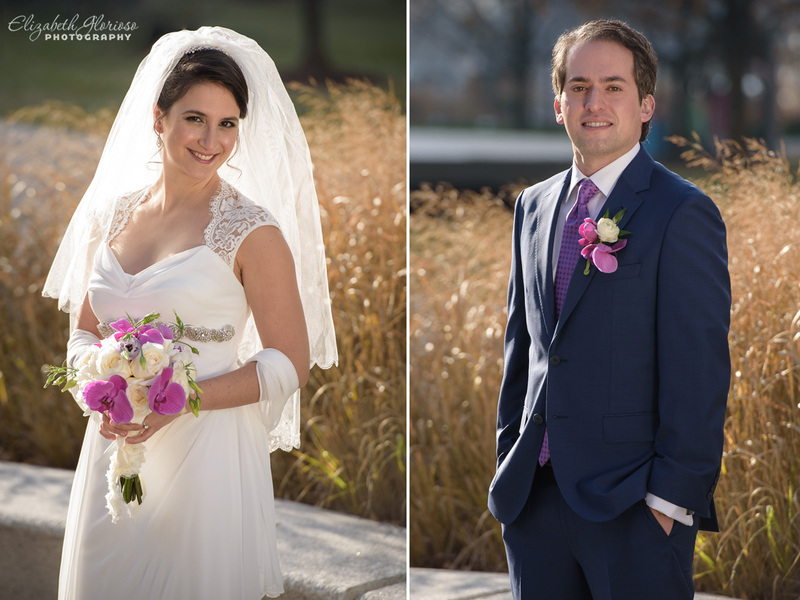 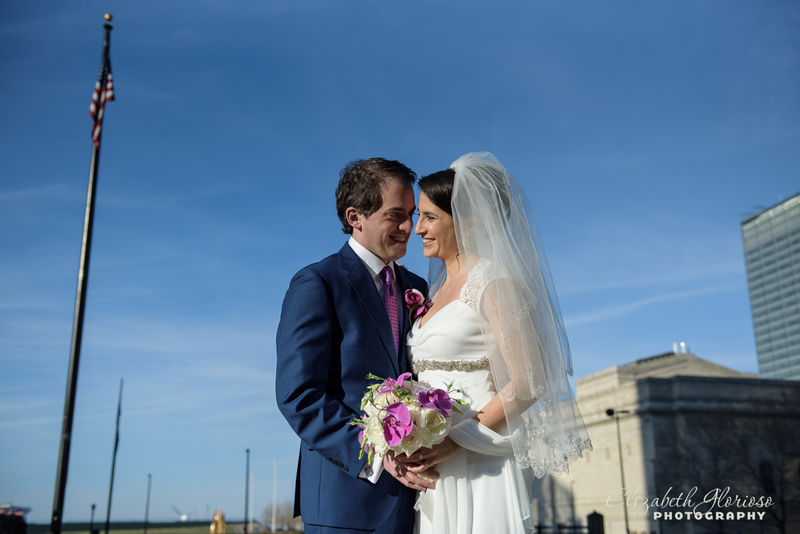 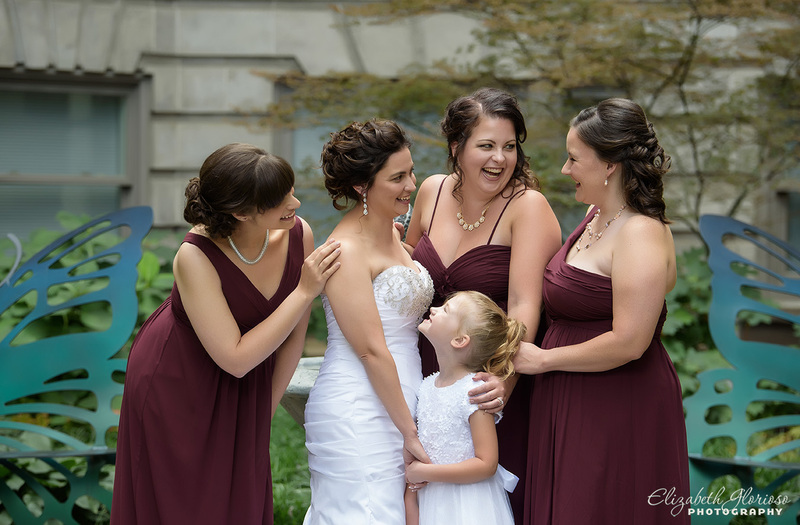 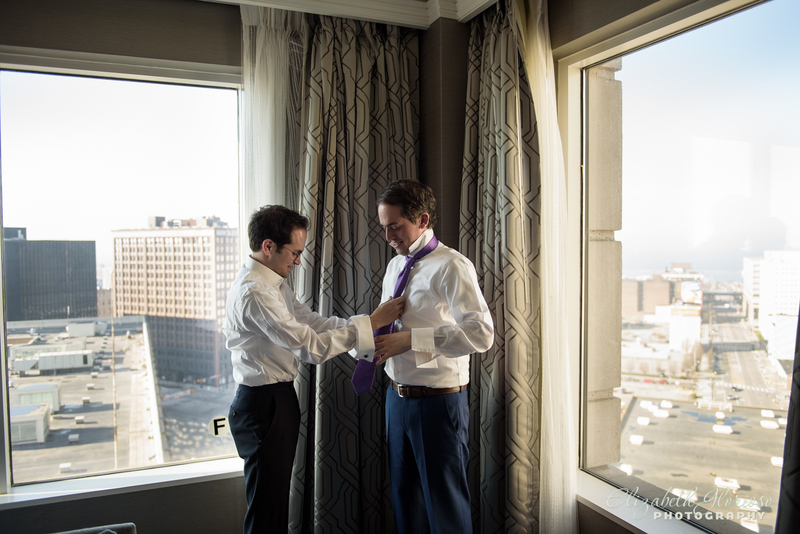 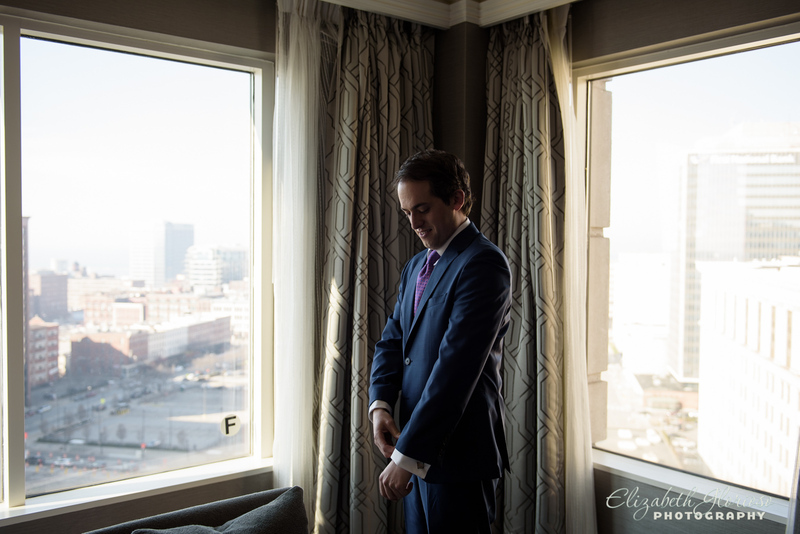 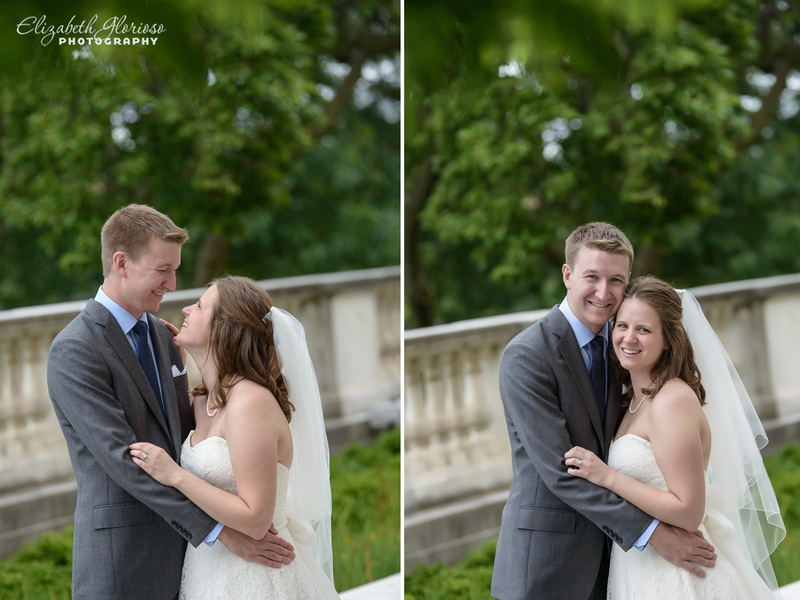 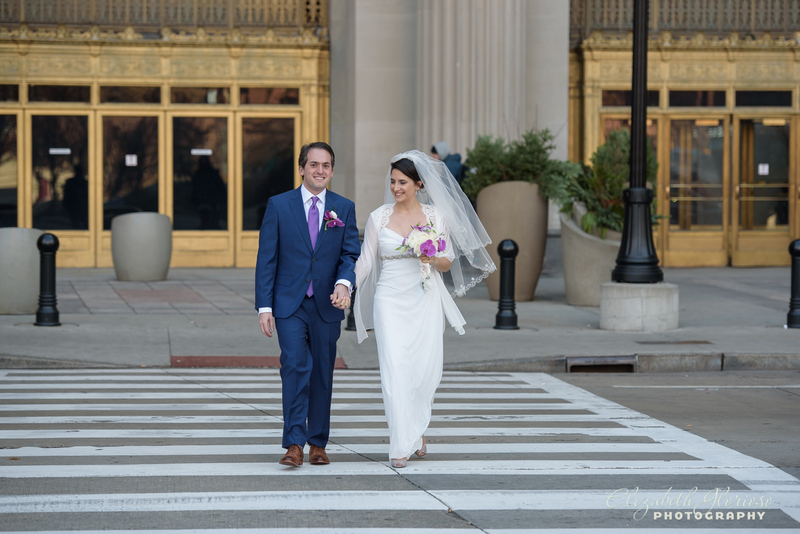 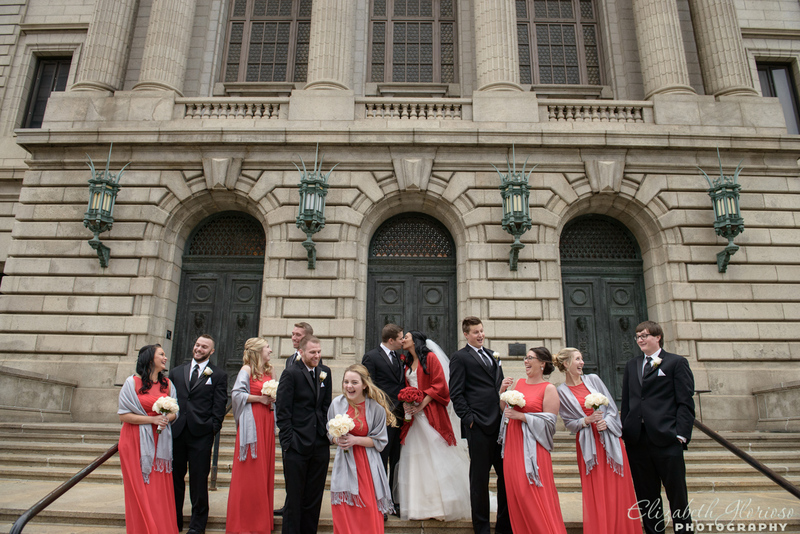 We headed downtown to Cleveland’s Old Courthouse and Public Square to do some post wedding ceremony portraits. 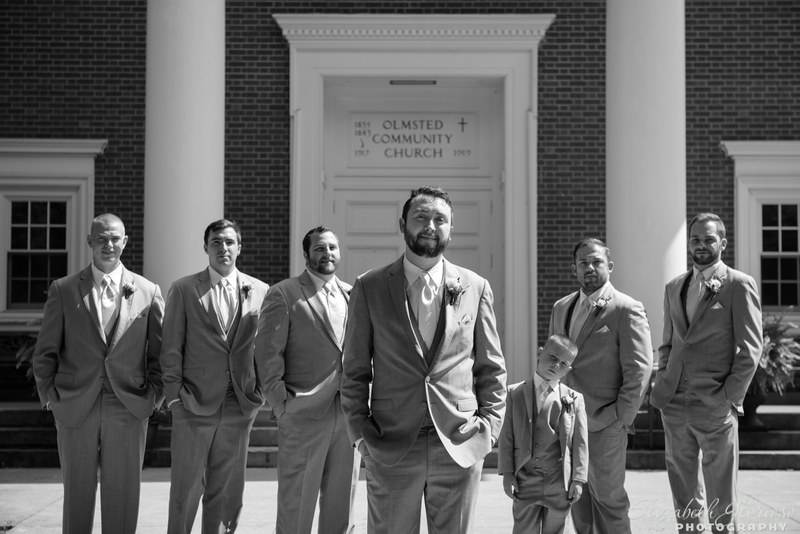 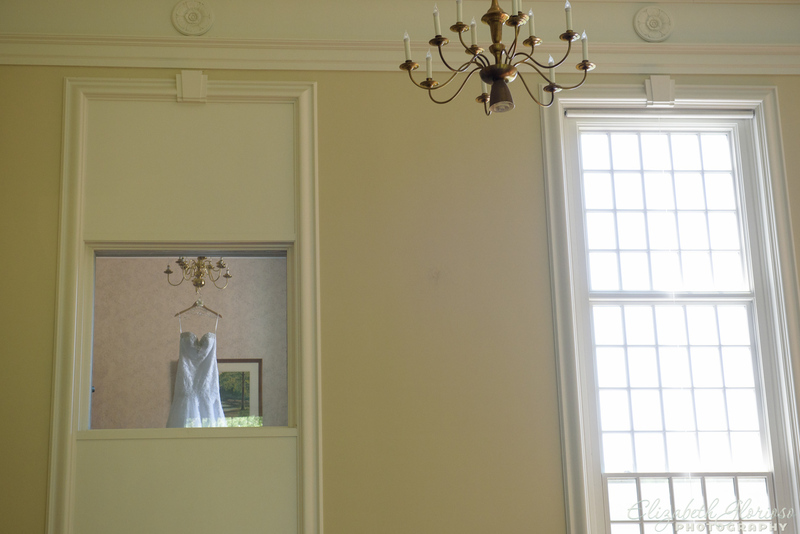 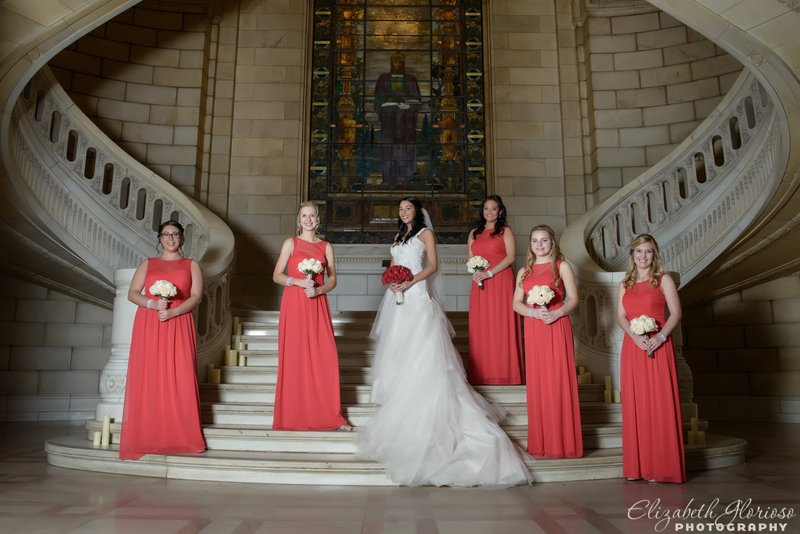 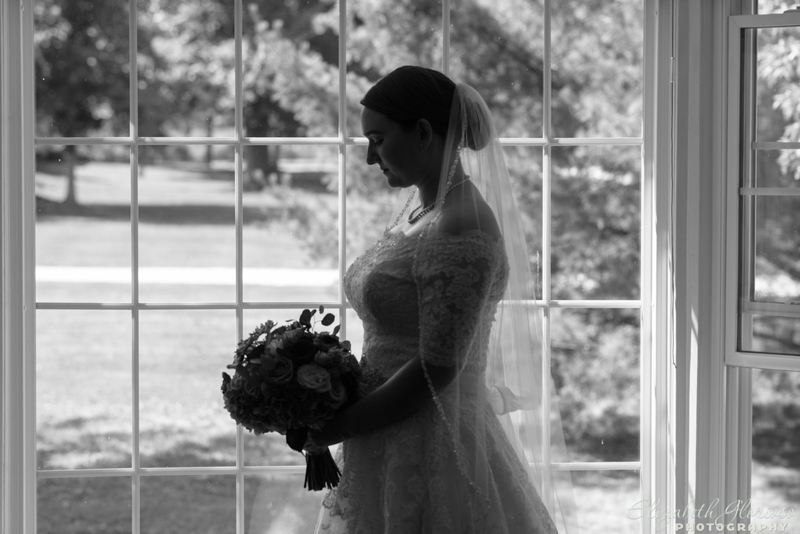 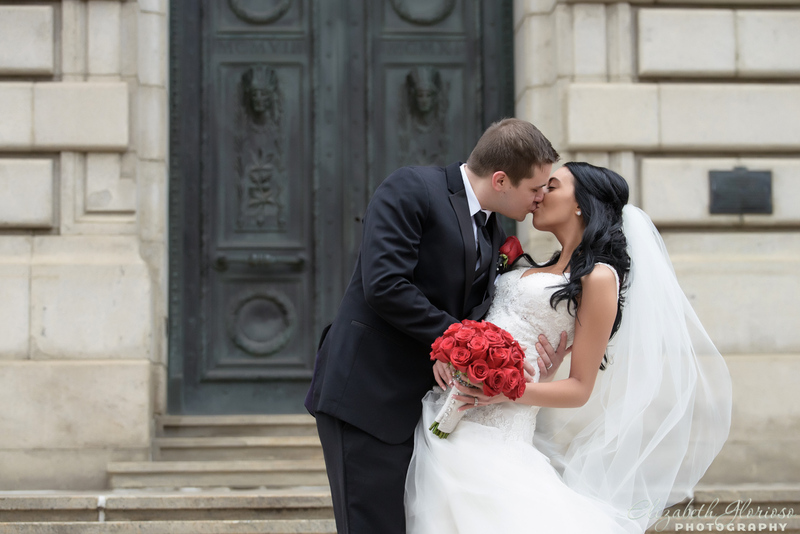 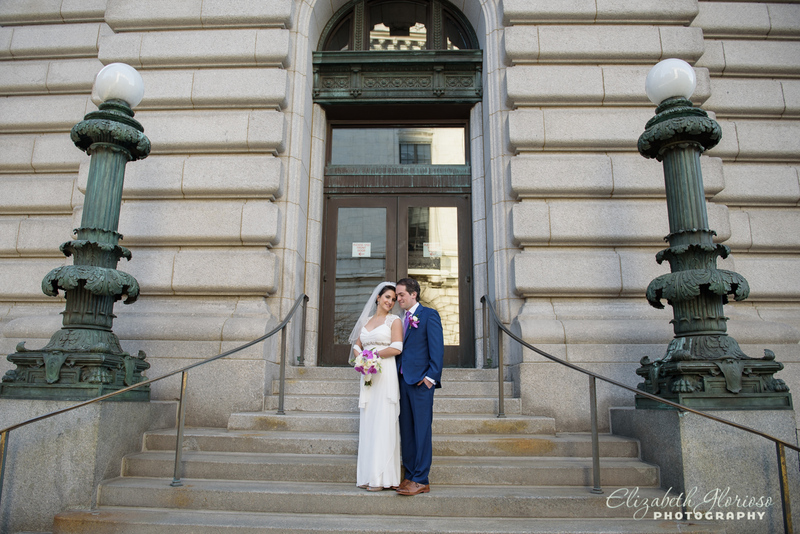 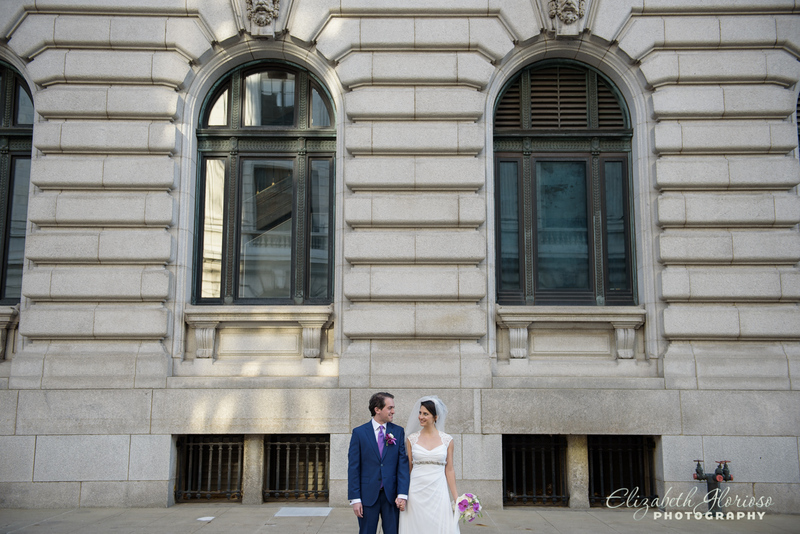 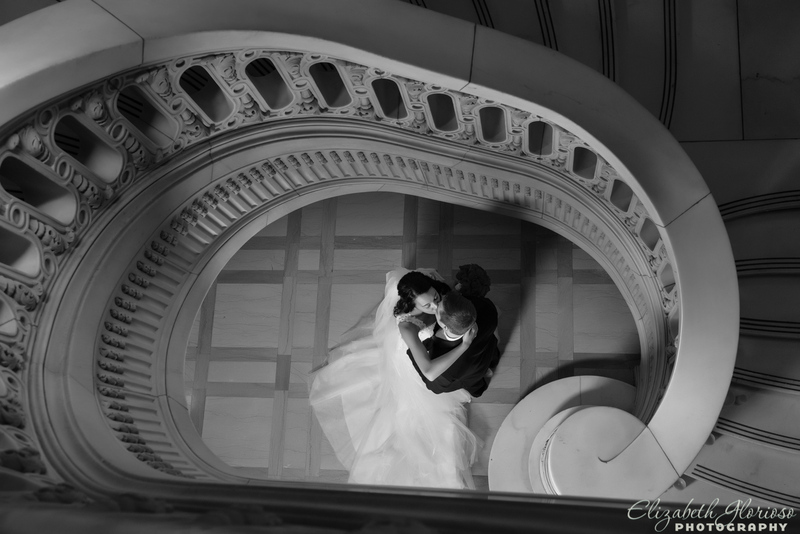 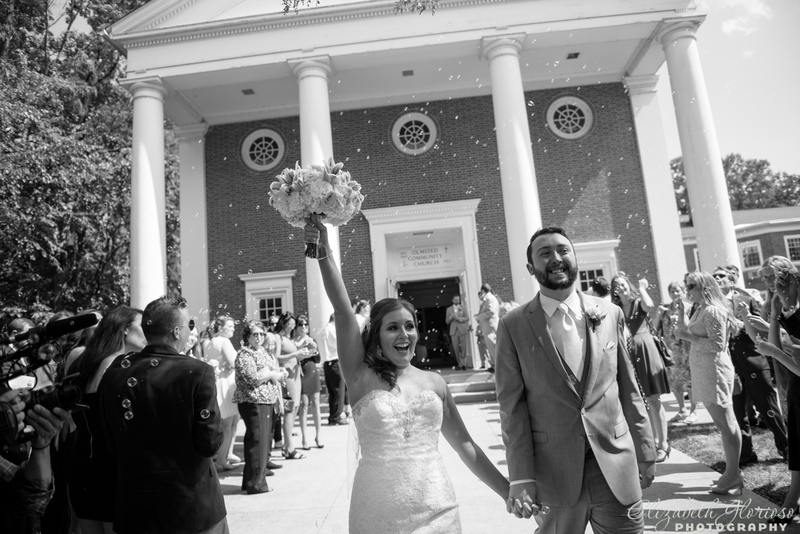 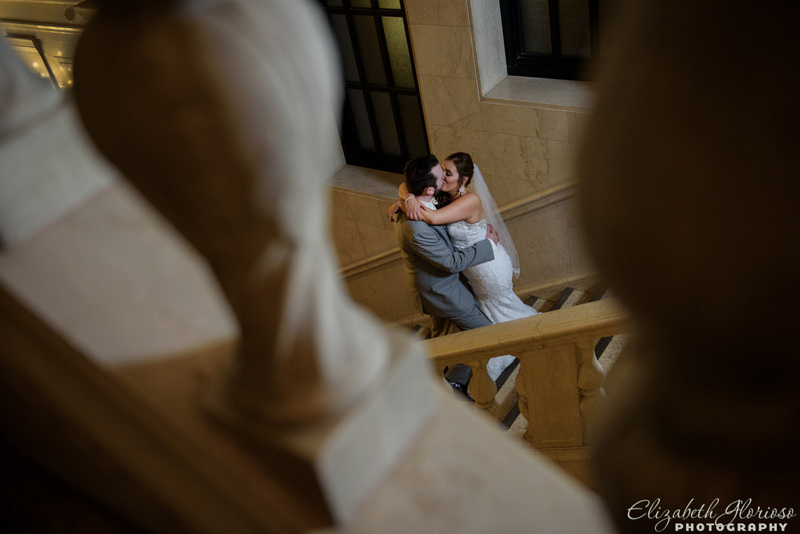 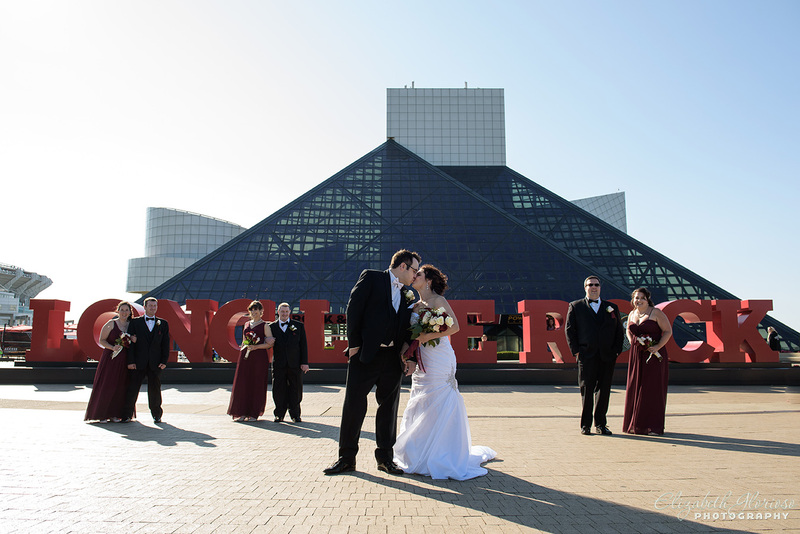 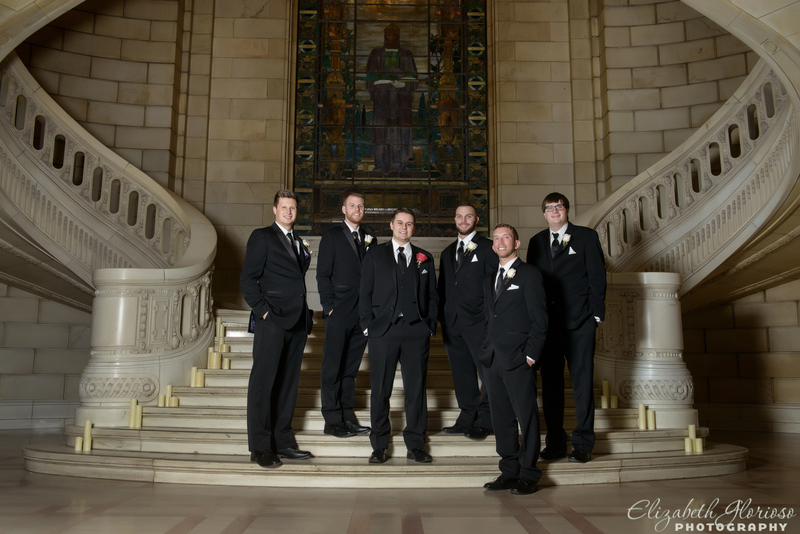 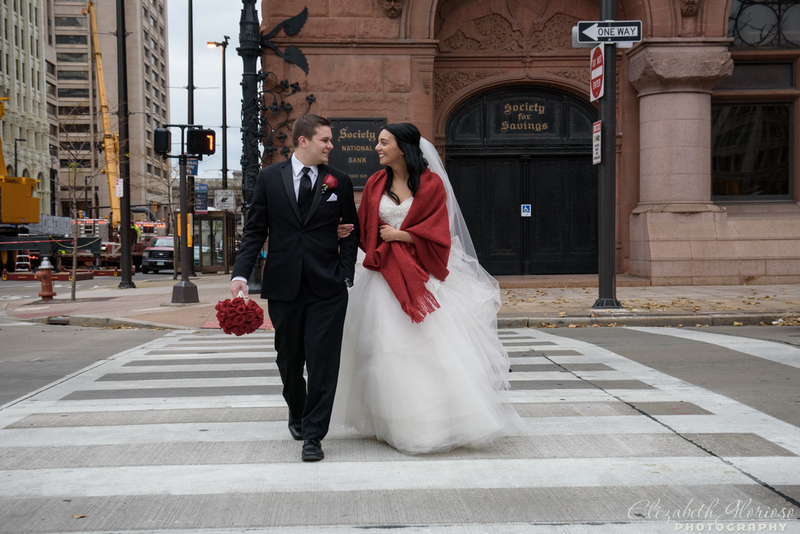 The Old Courthouse is Cleveland’s premier historical landmark for wedding photographs. 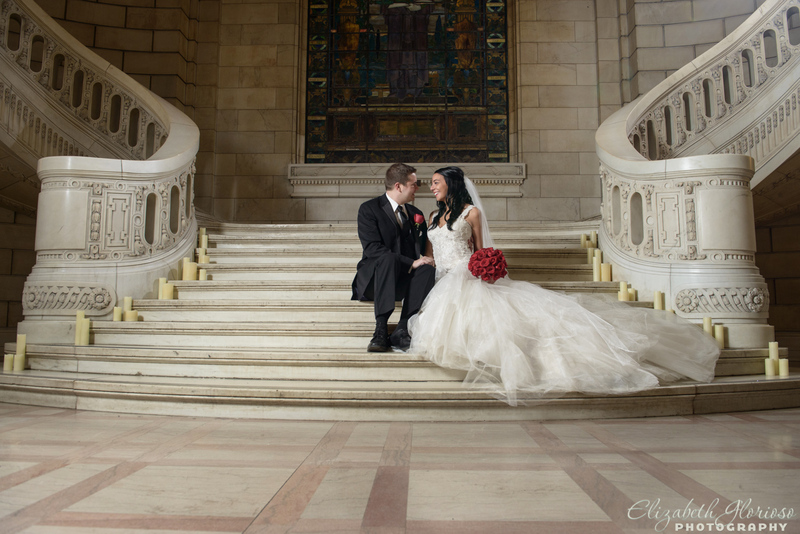 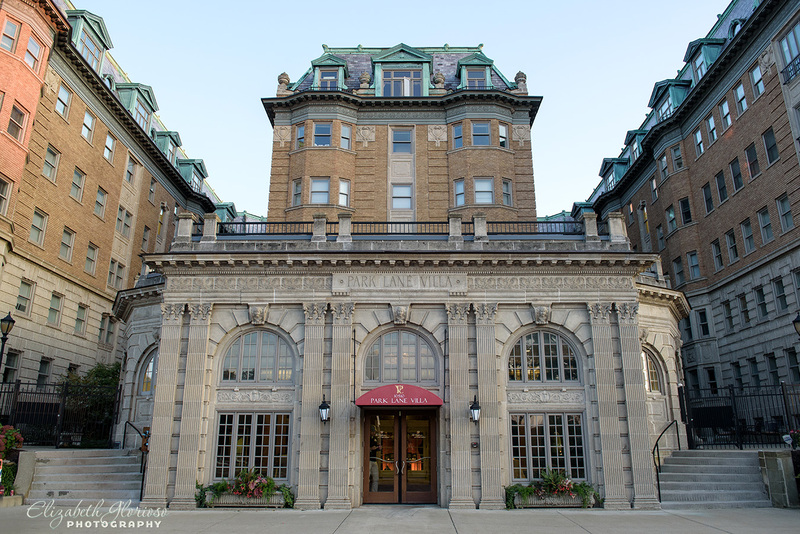 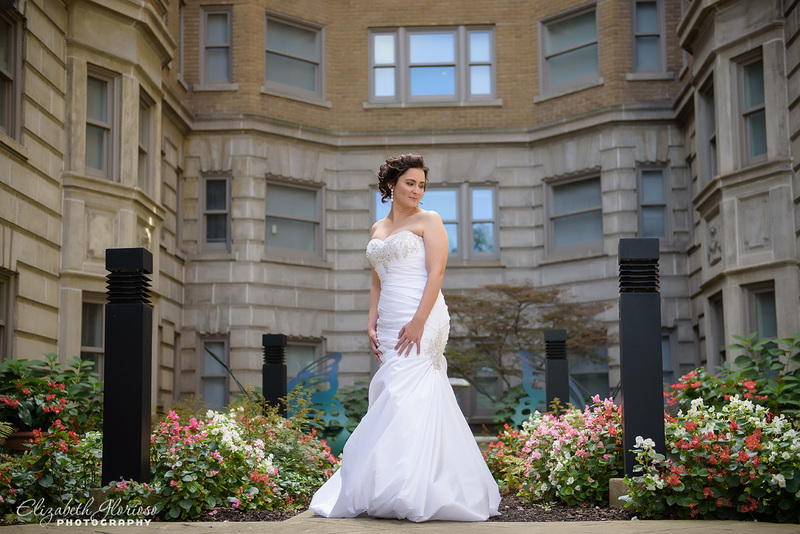 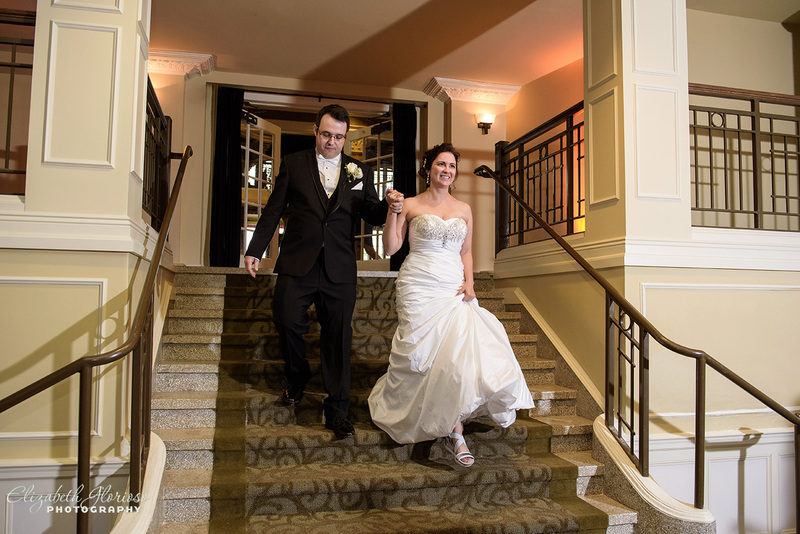 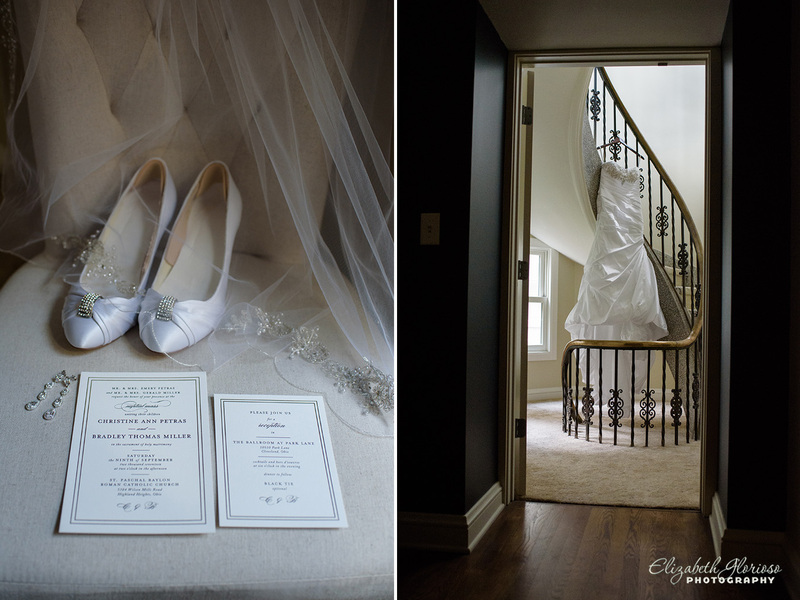 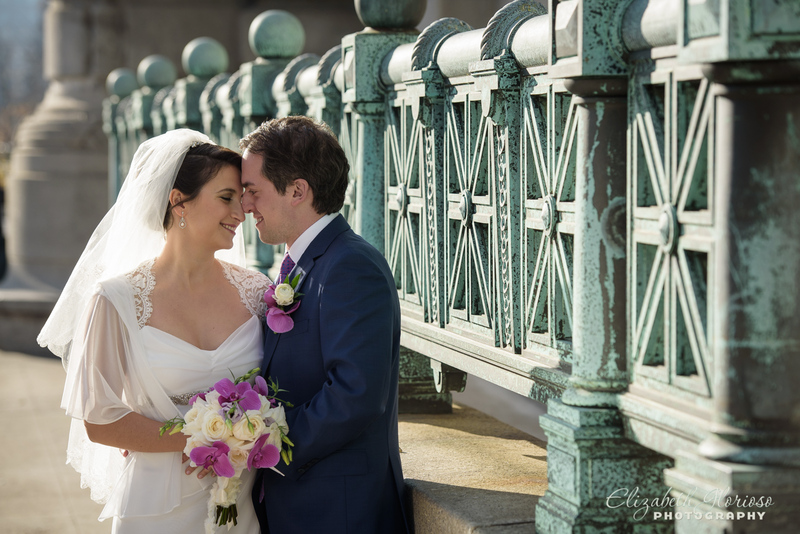 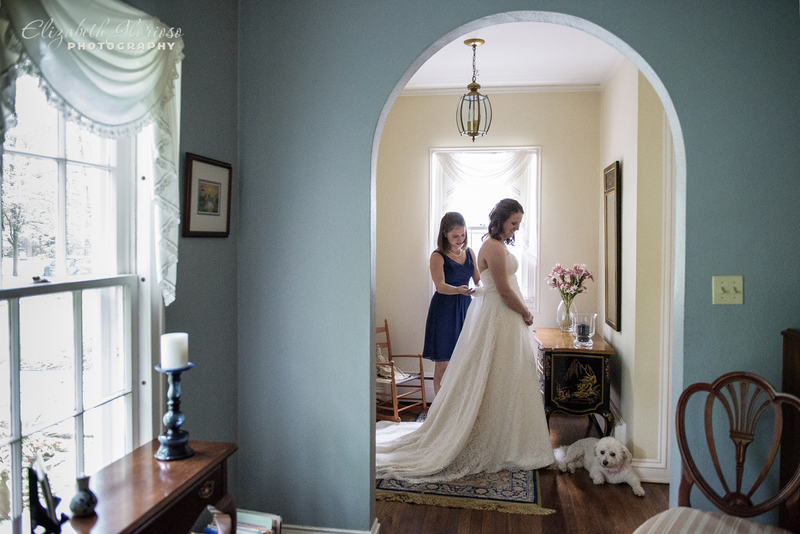 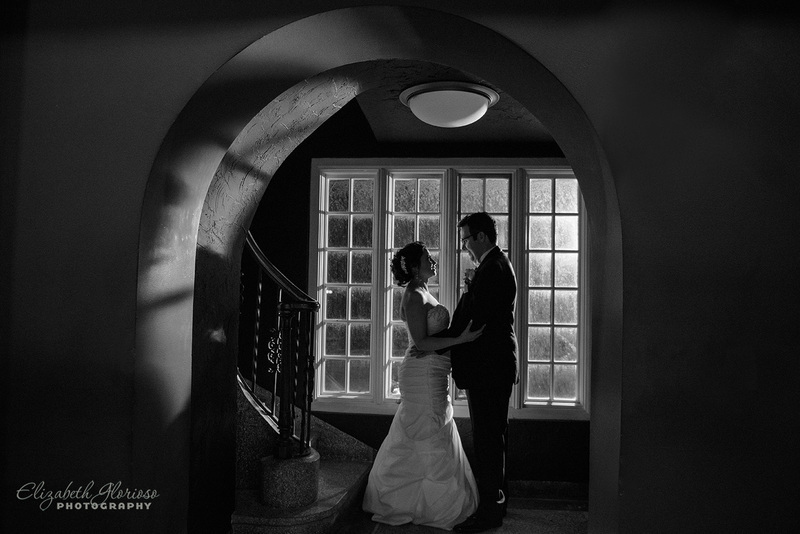 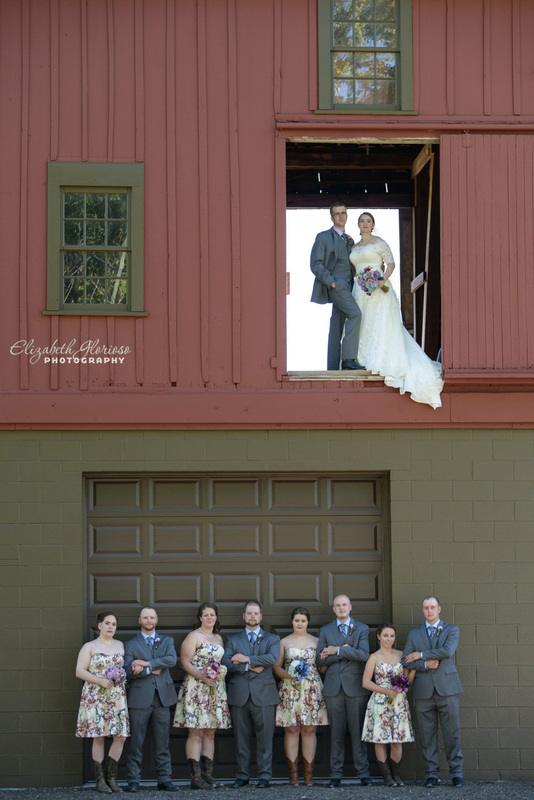 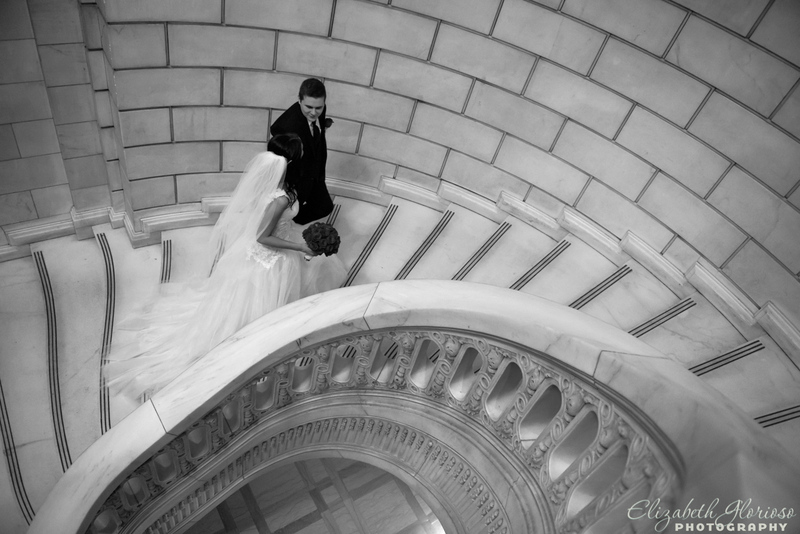 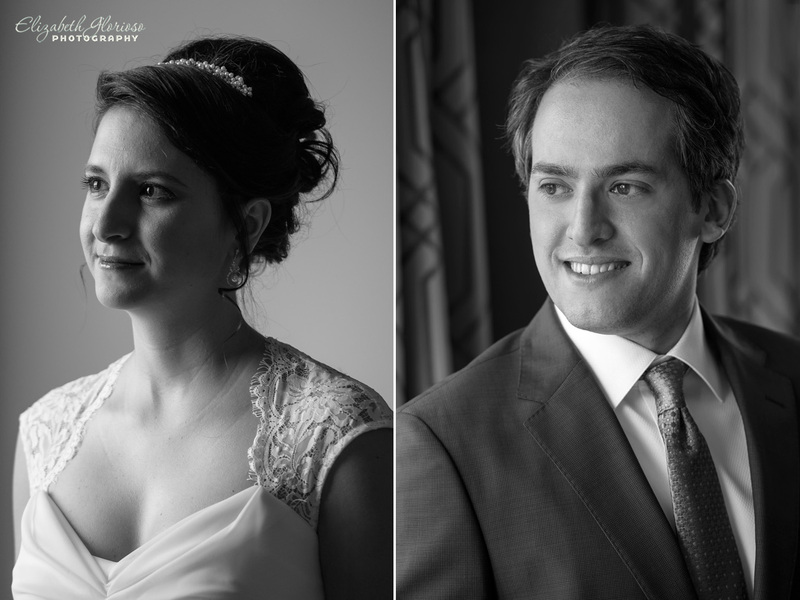 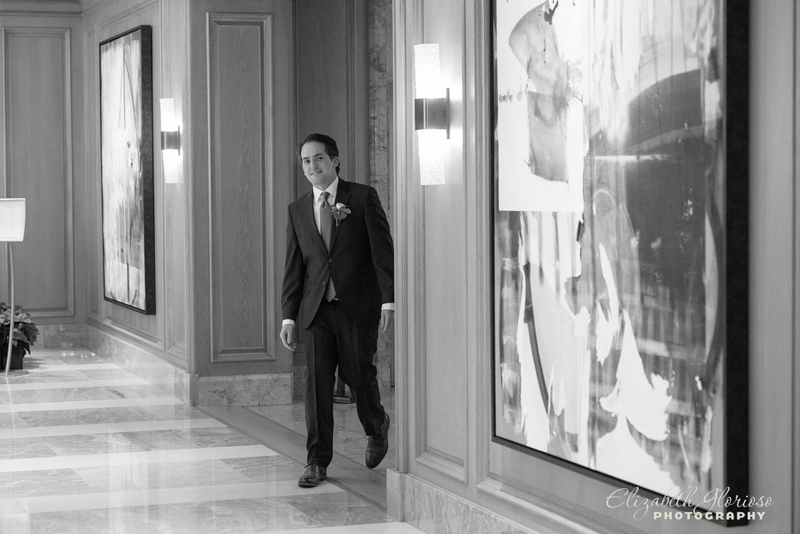 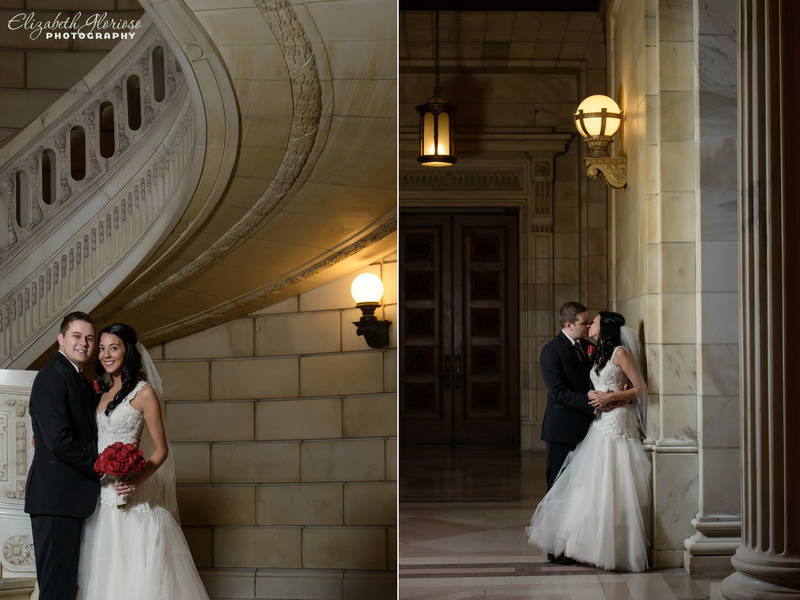 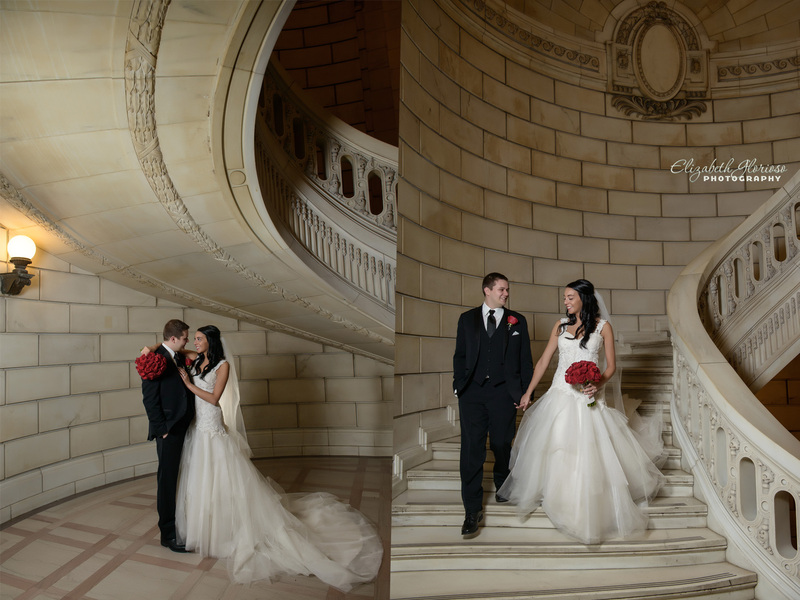 It’s stunning architecture and sweeping staircases are perfect for portraits. 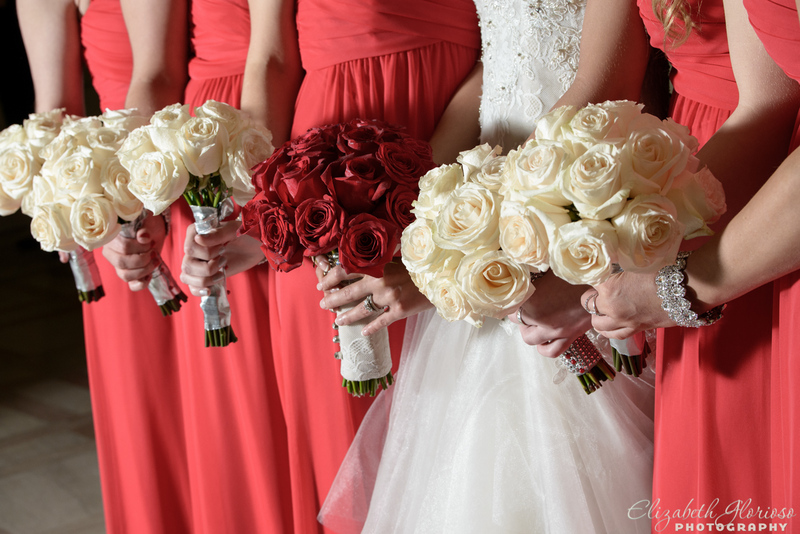 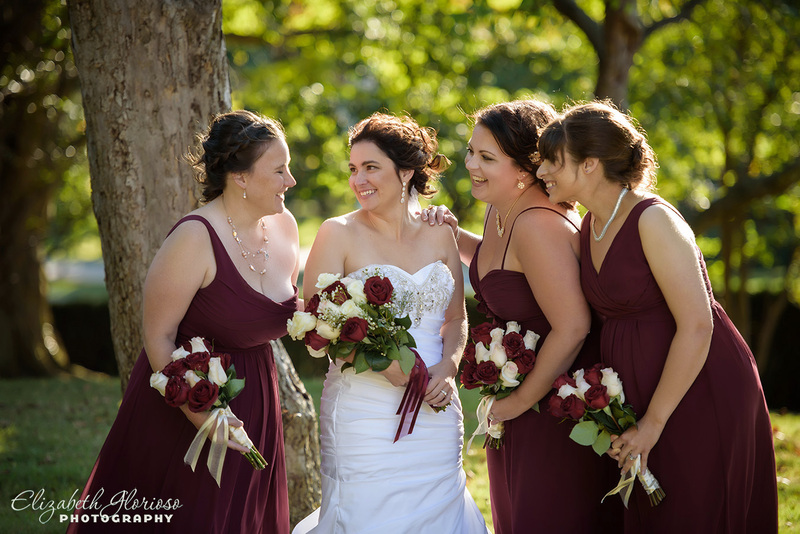 The elegant red and white roses were gorgeous bouquets for the bride and the bridesmaids for a winter wedding. 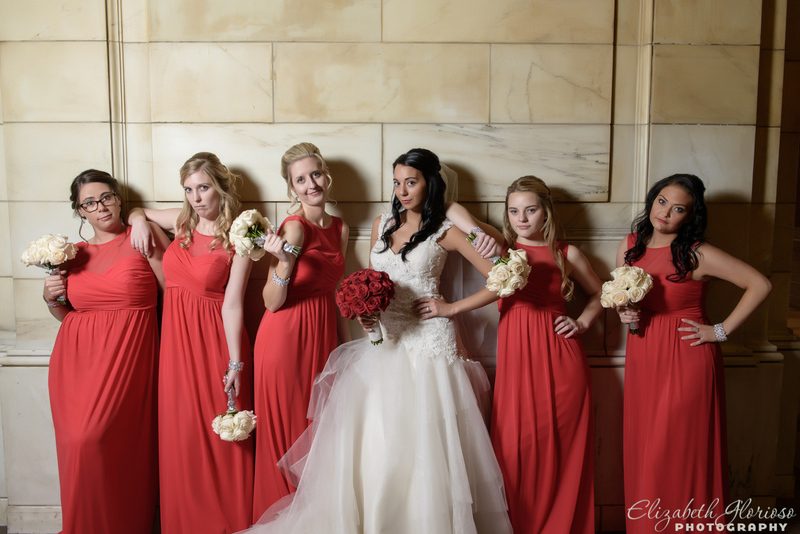 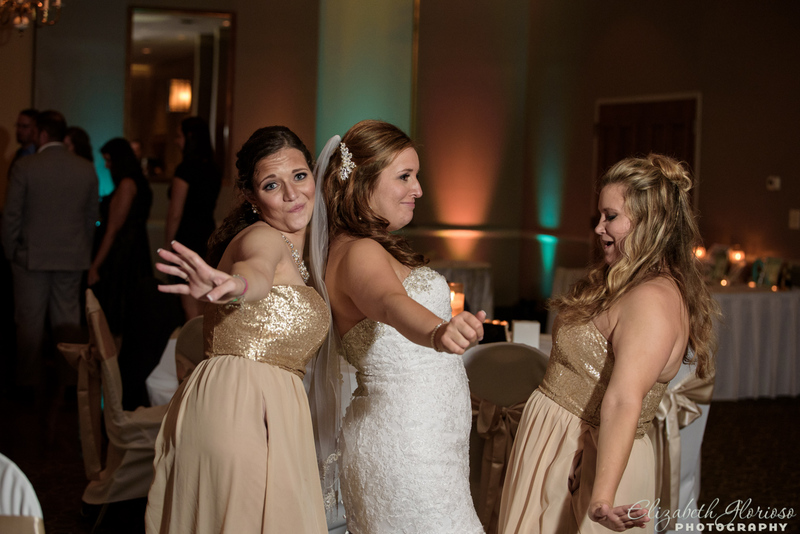 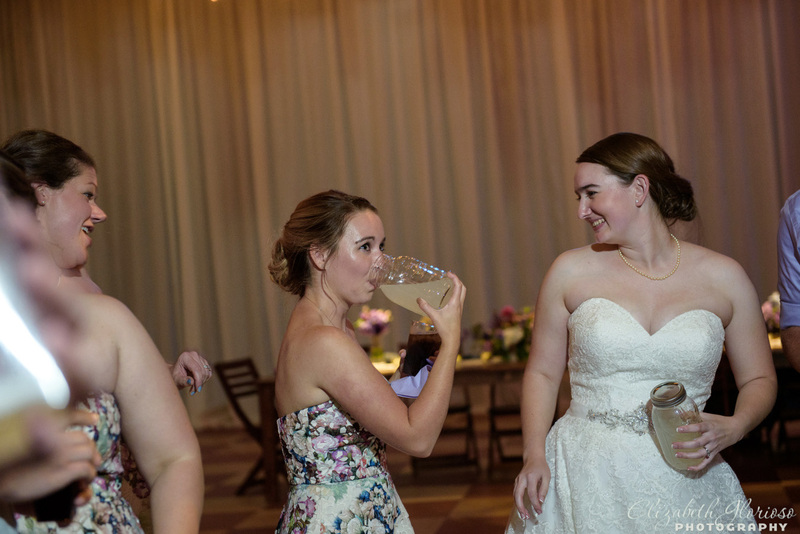 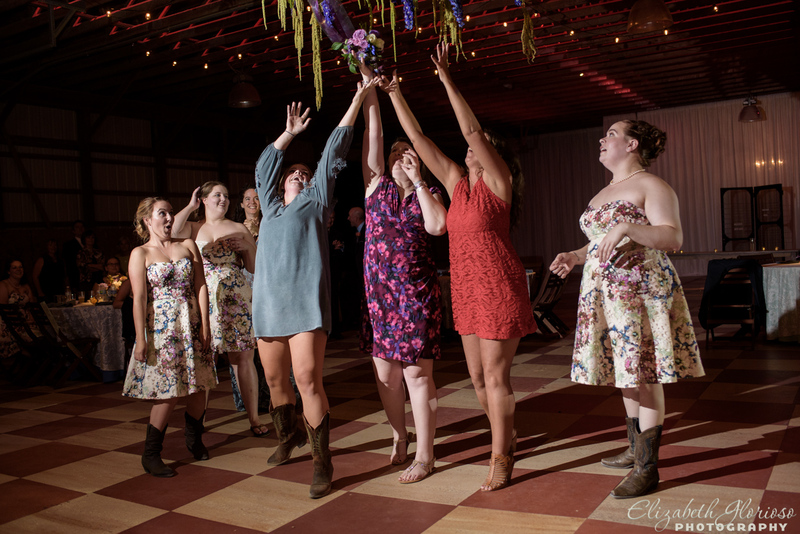 The bride and the ladies wanted to do a riff on the movie poster from Bridesmaids. 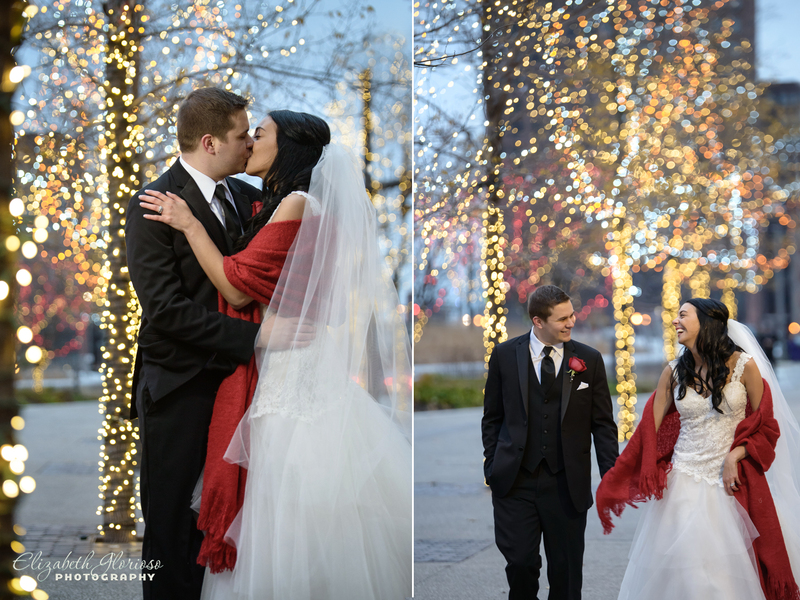 As we were finishing up downtown, the holiday lights seemed to turn on just in time for Mark and Dani. 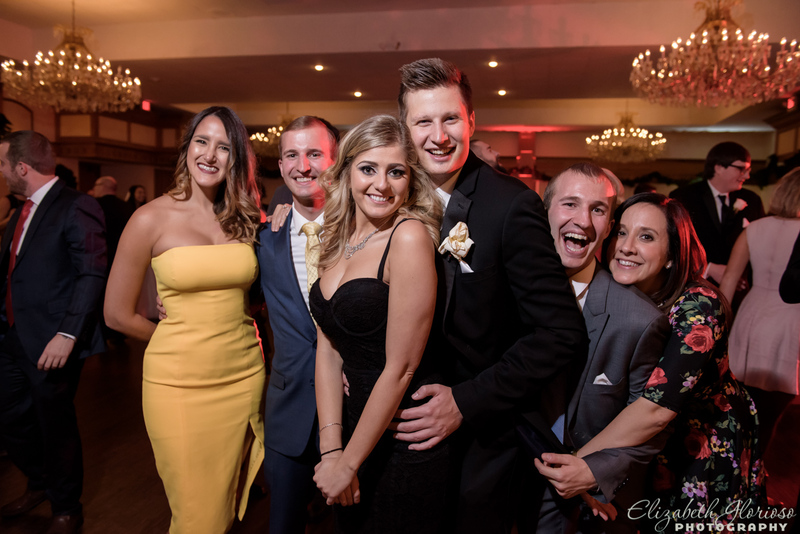 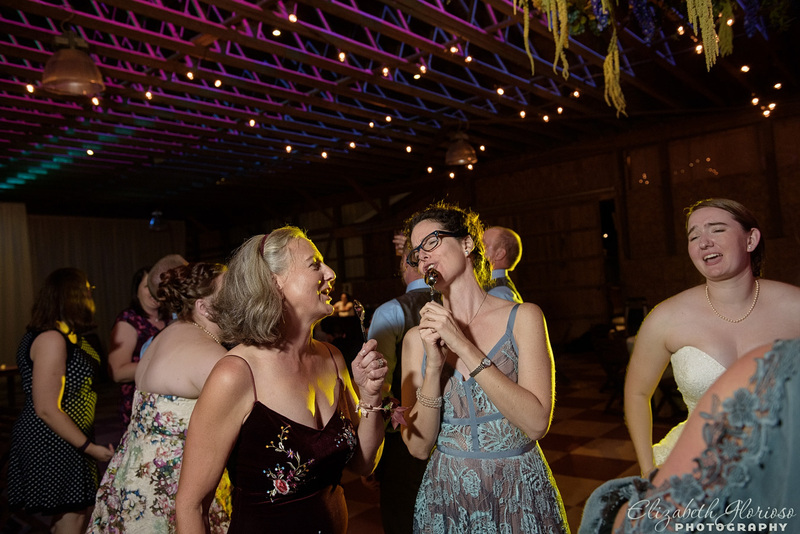 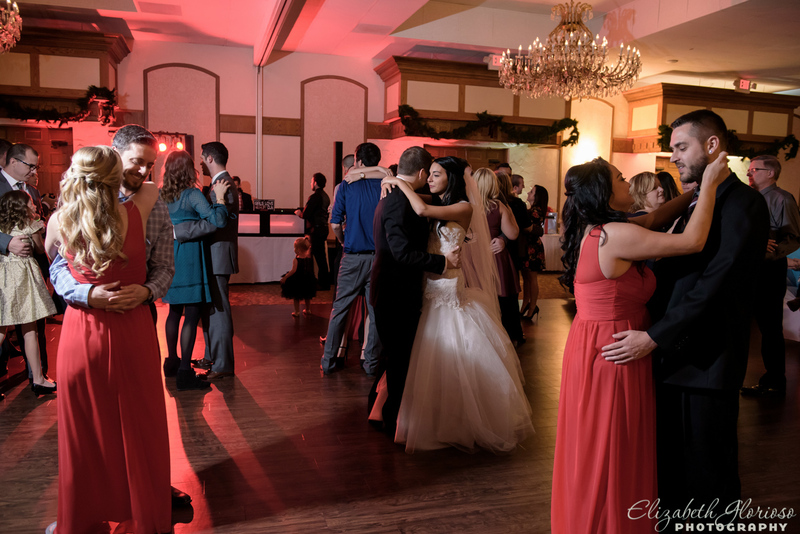 The reception at Carrie Cerino’s in North Royalton was very classic and beautifully lit for an evening of fun and dancing. 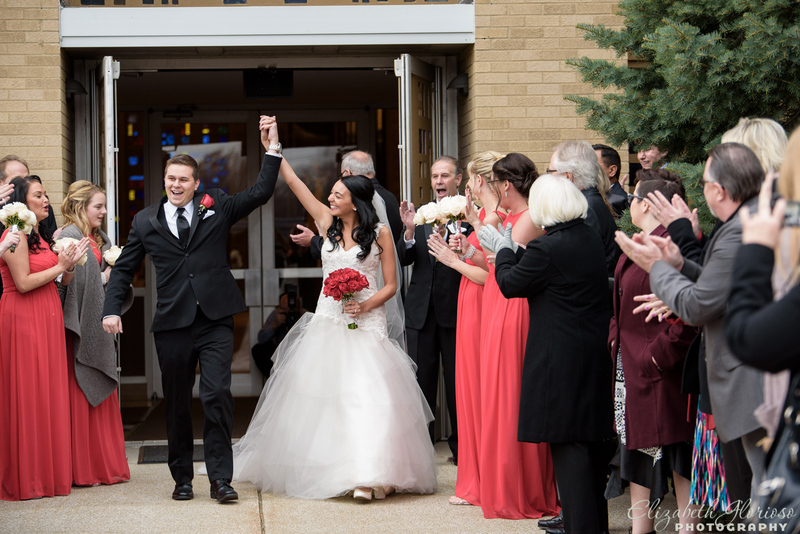 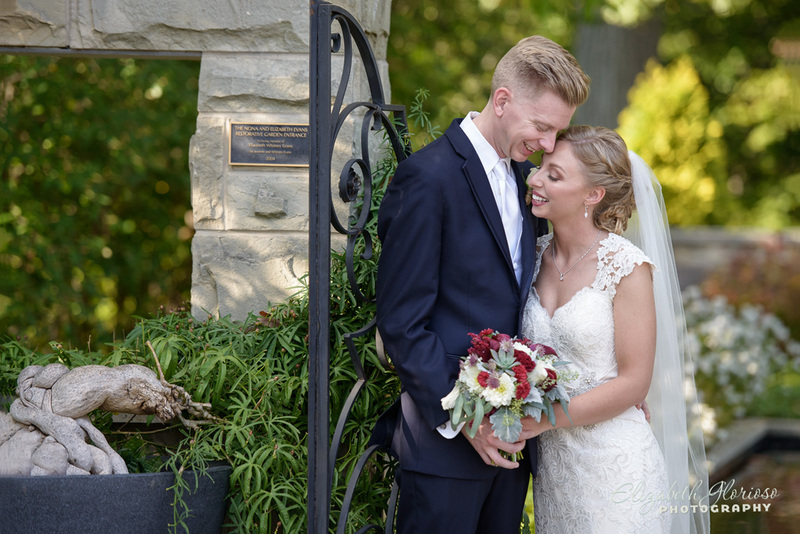 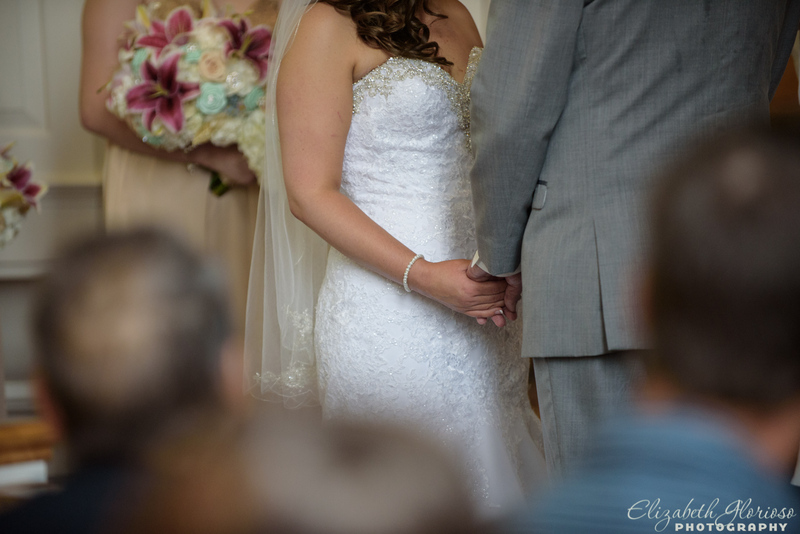 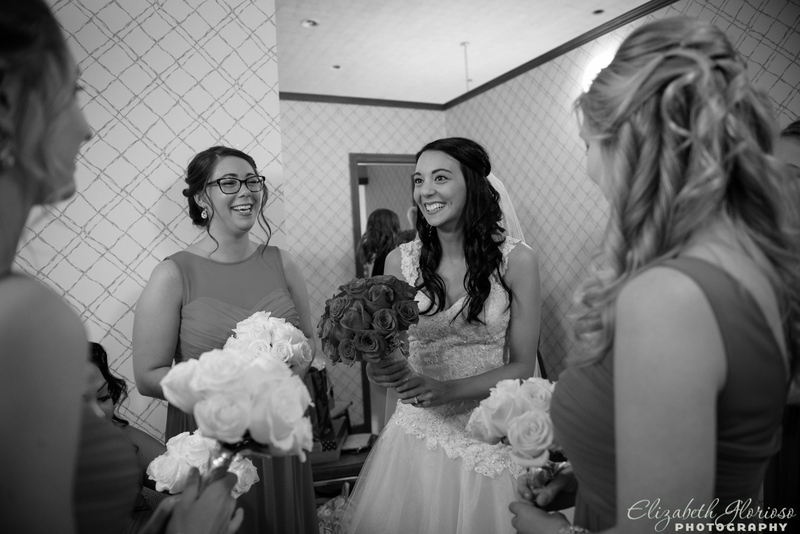 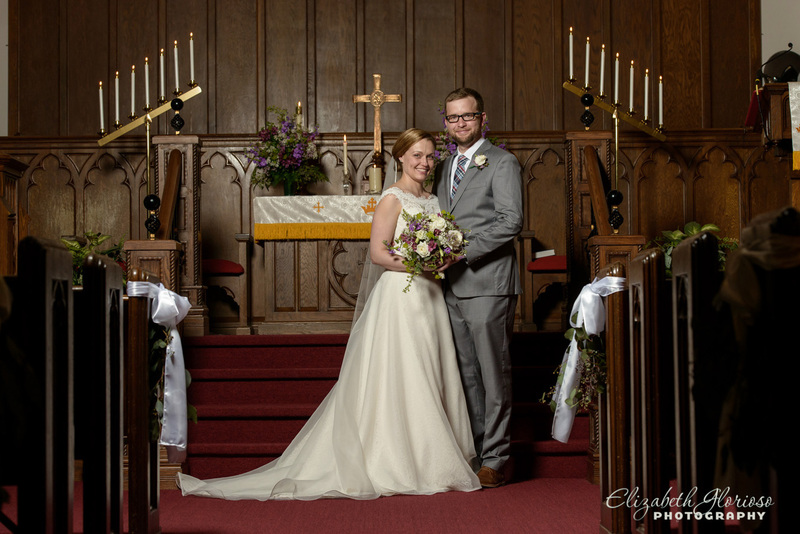 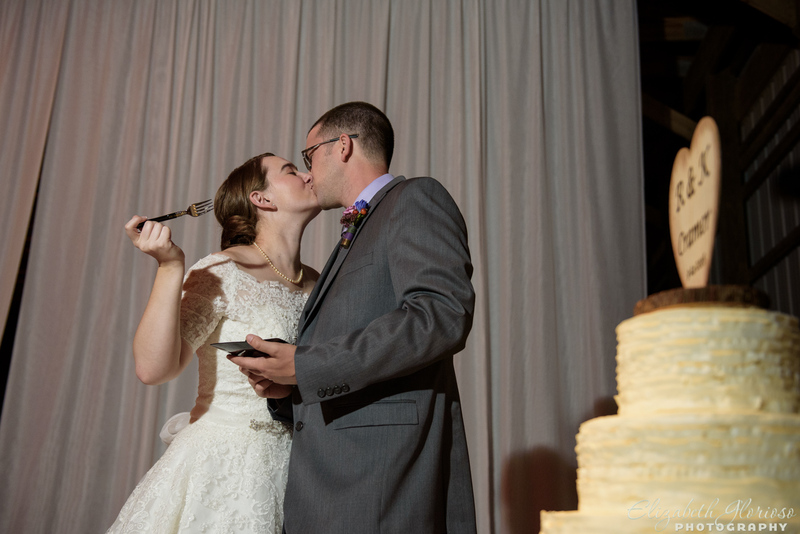 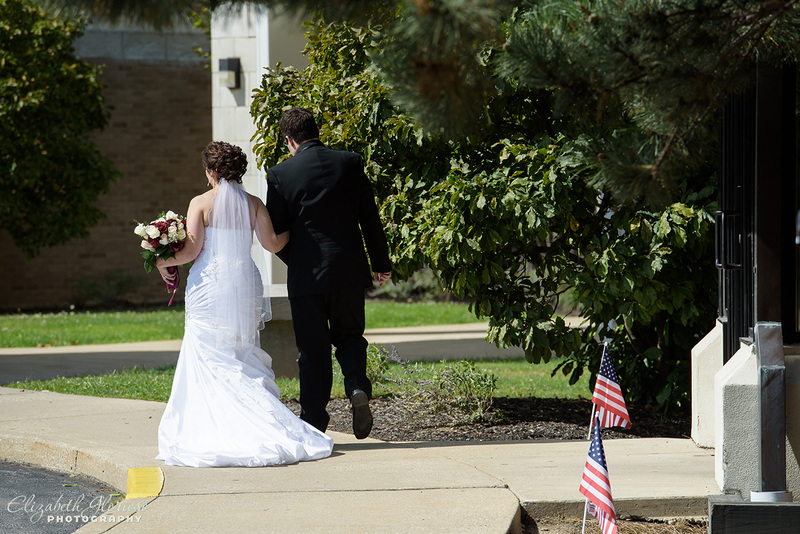 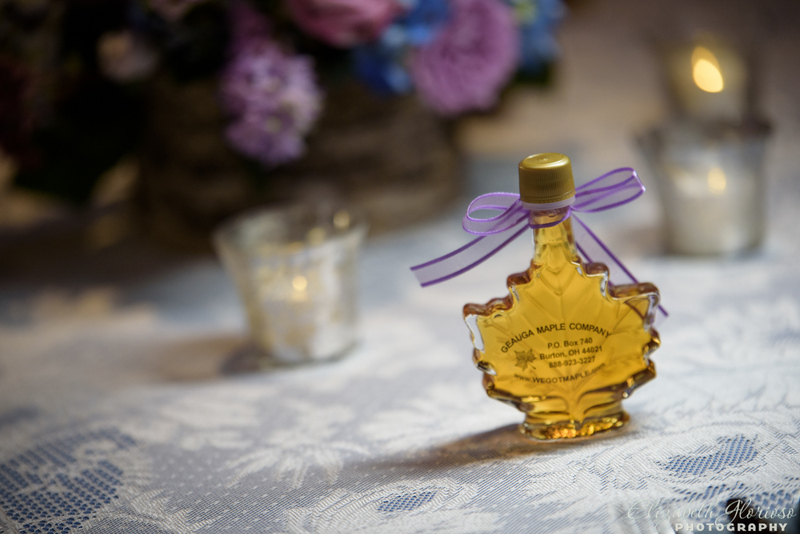 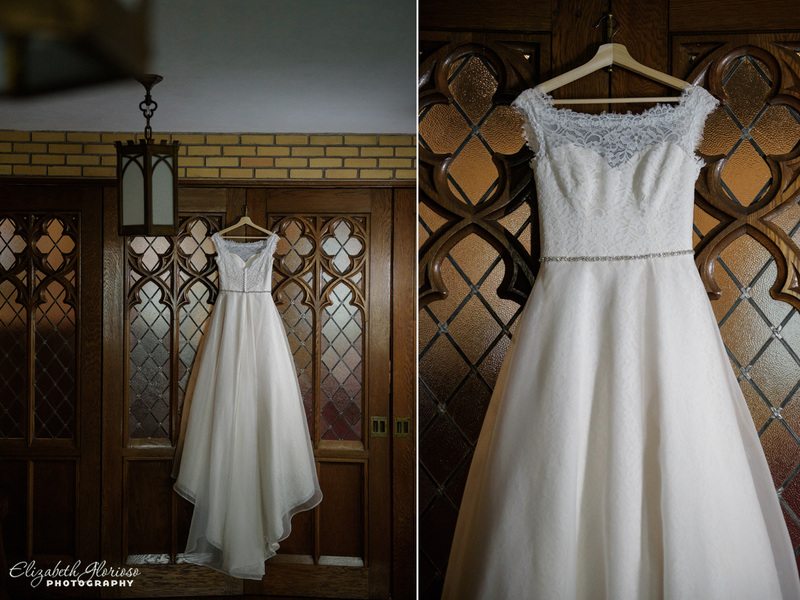 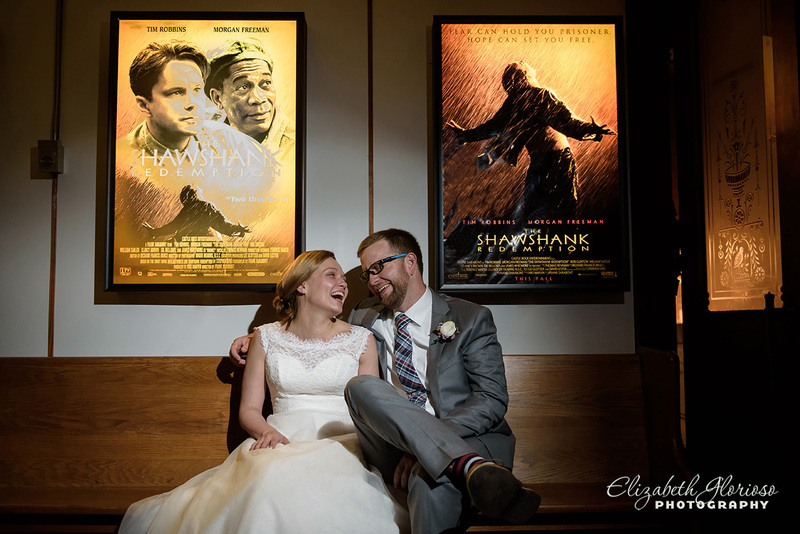 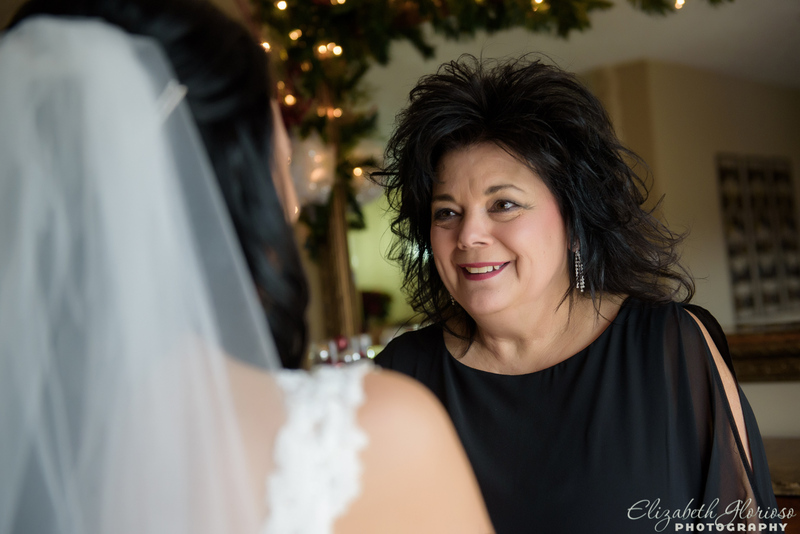 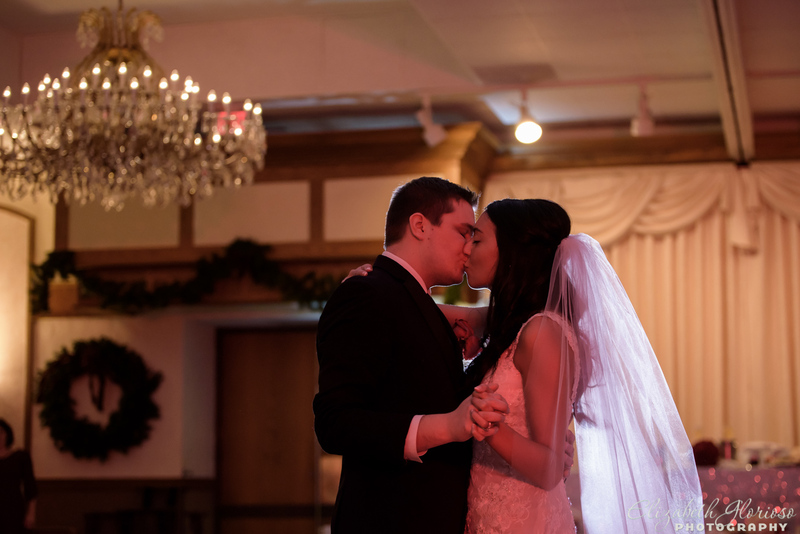 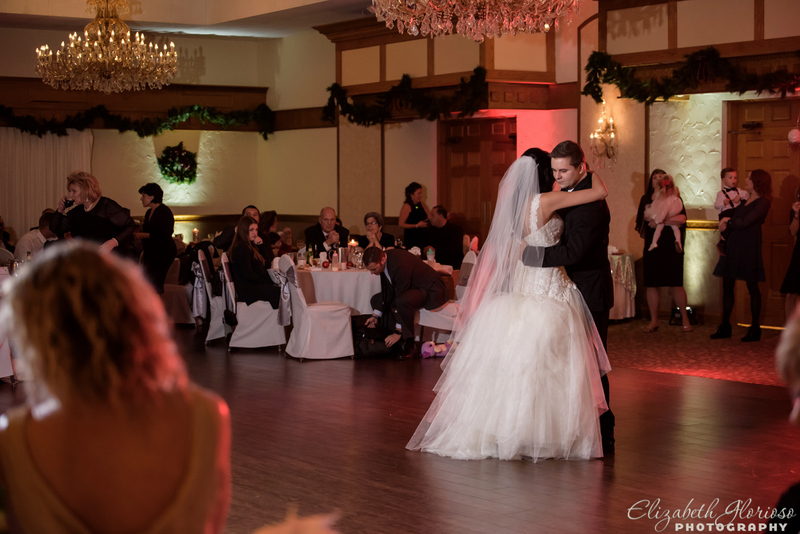 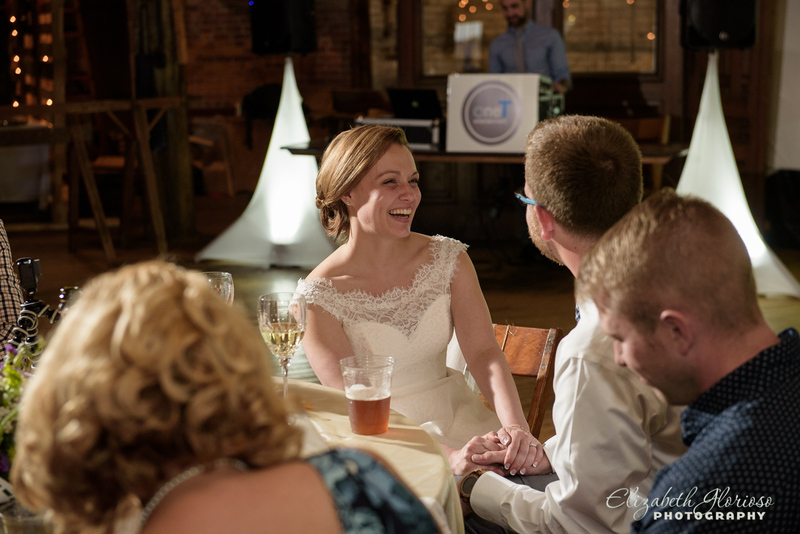 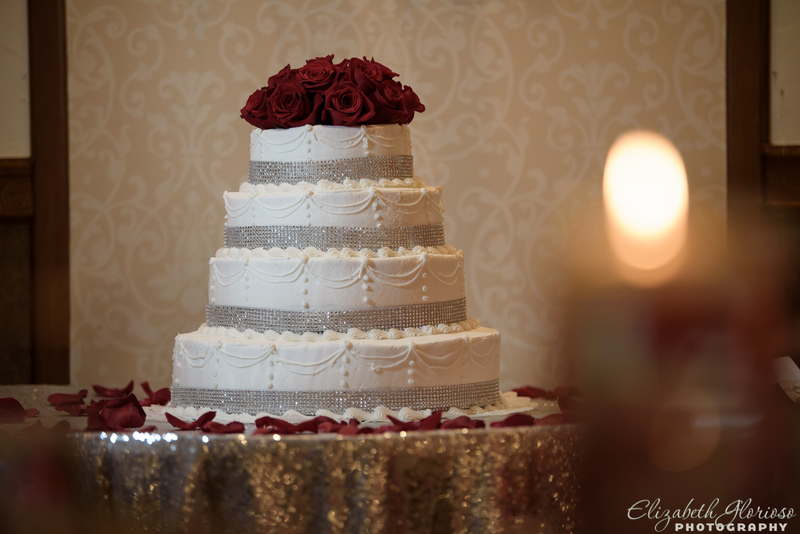 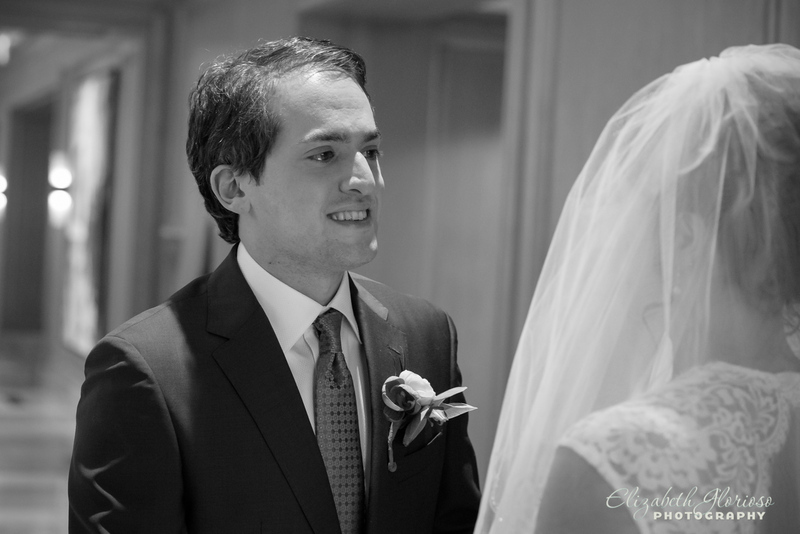 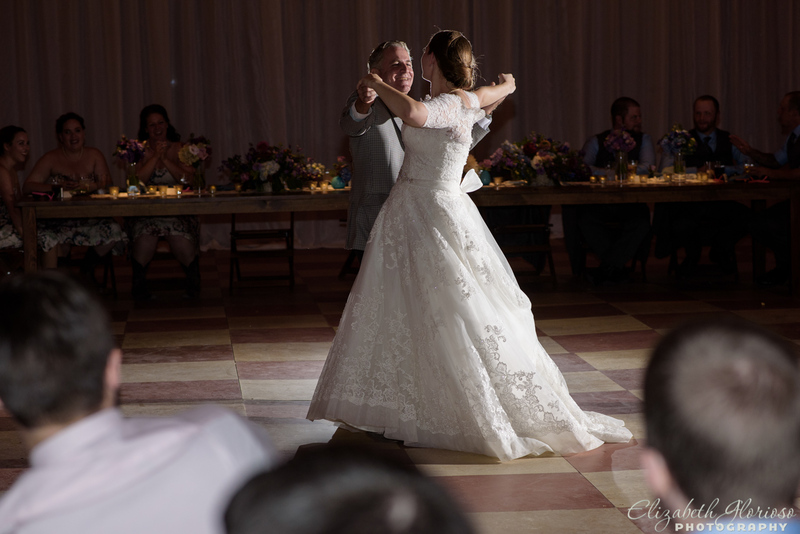 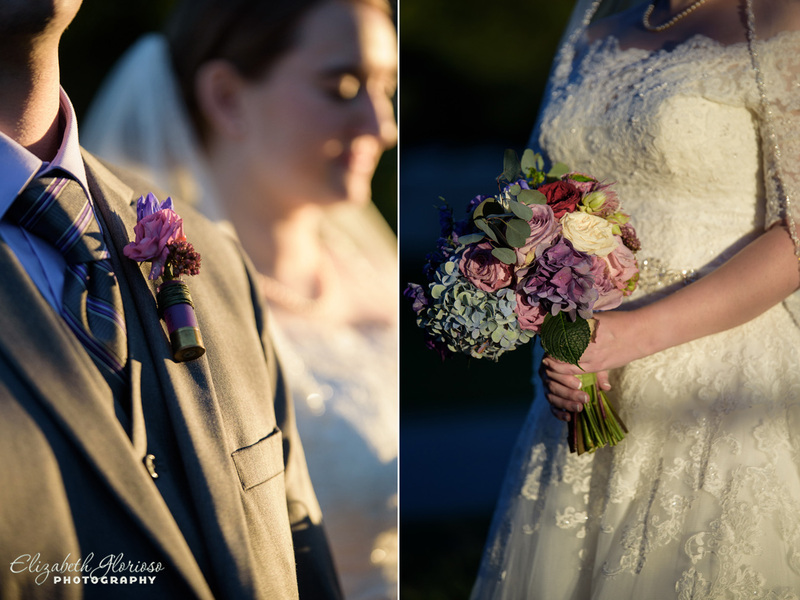 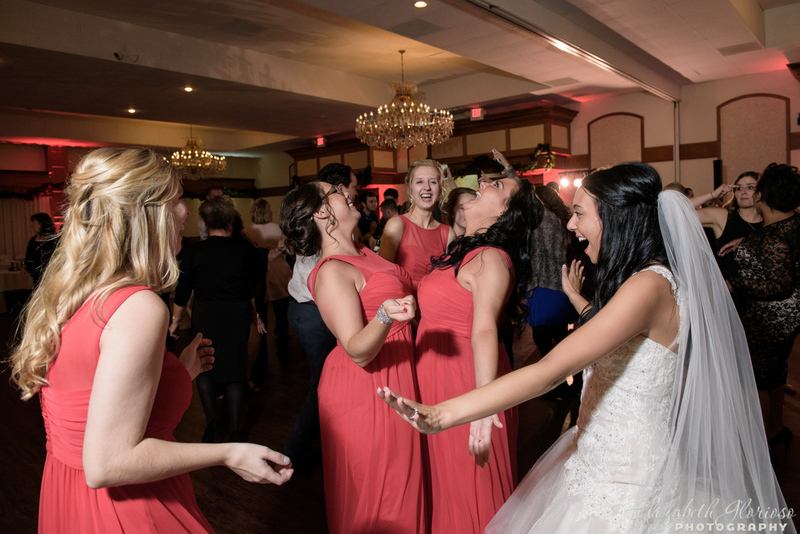 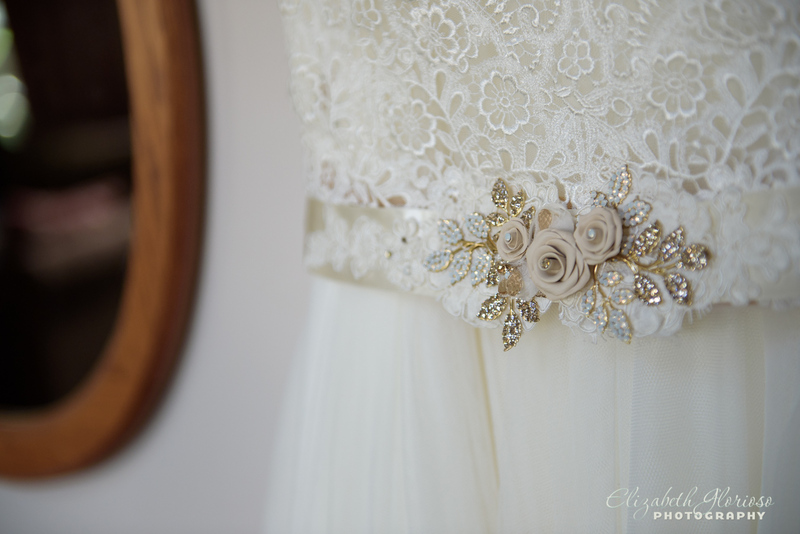 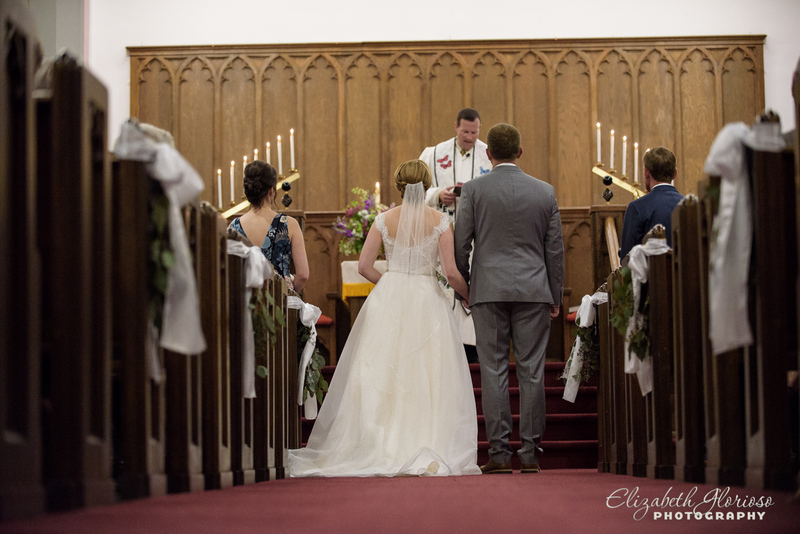 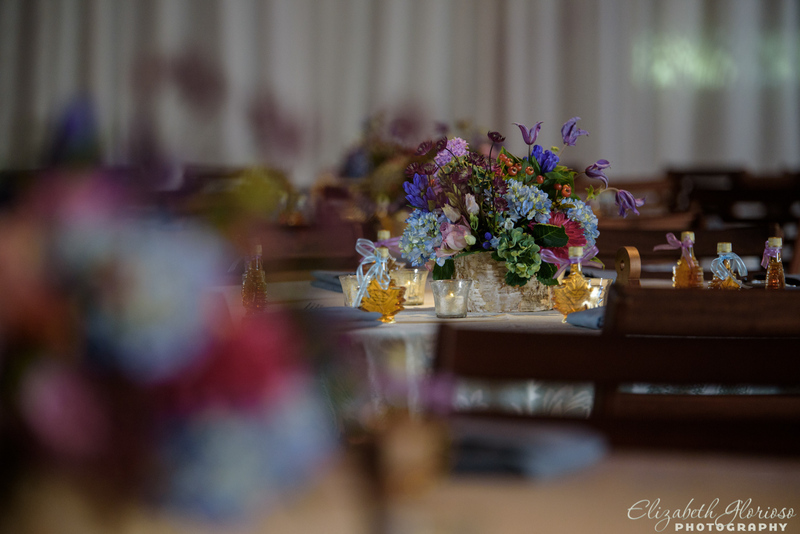 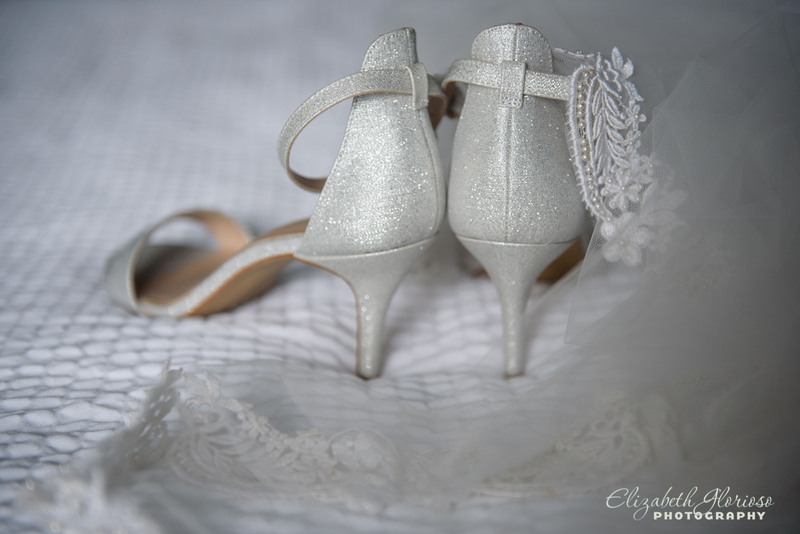 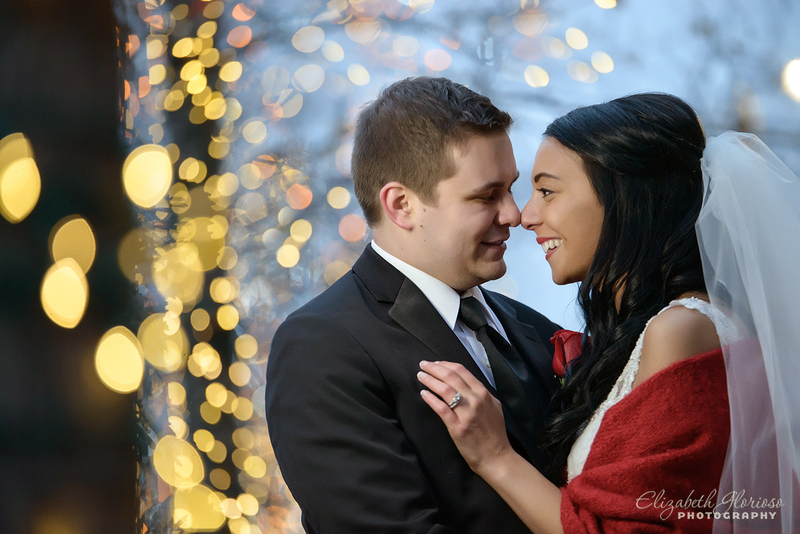 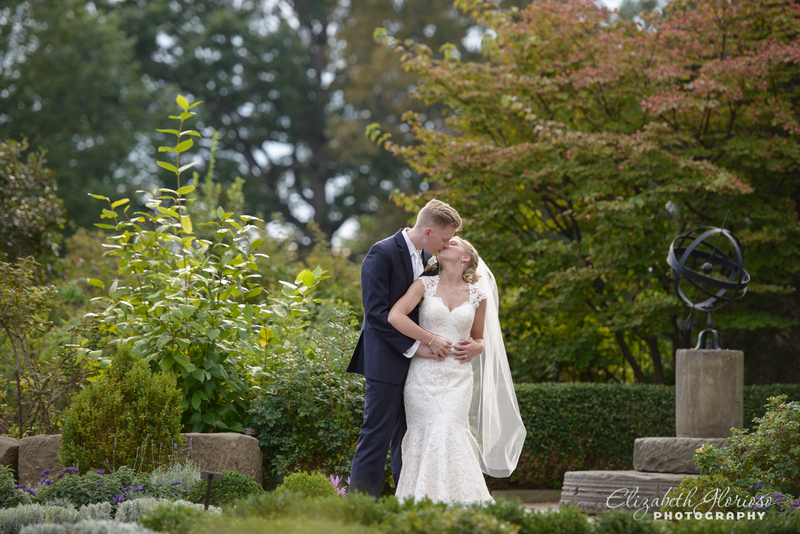 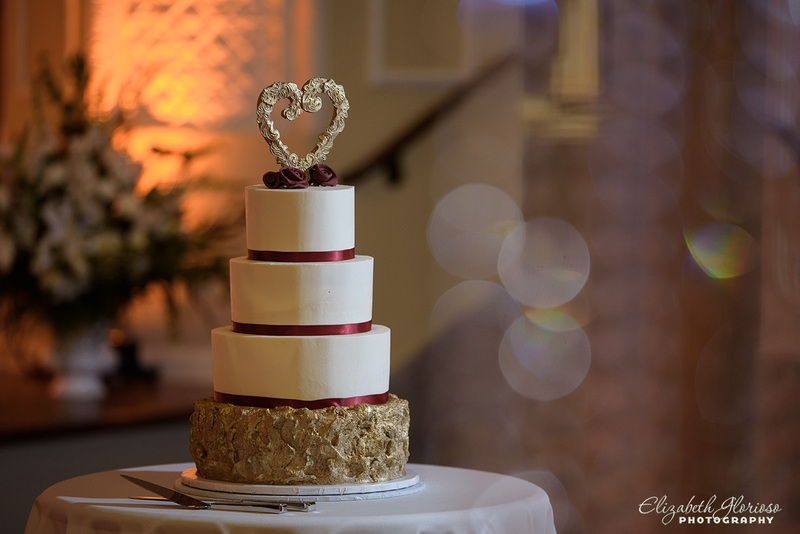 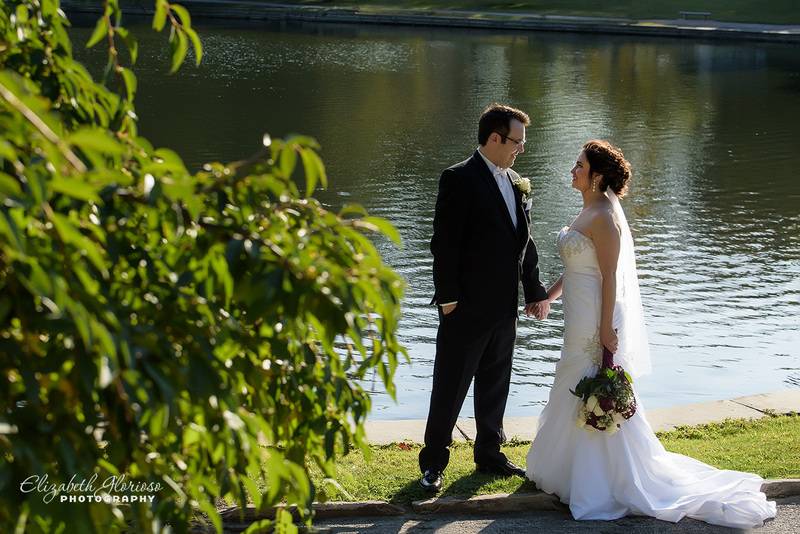 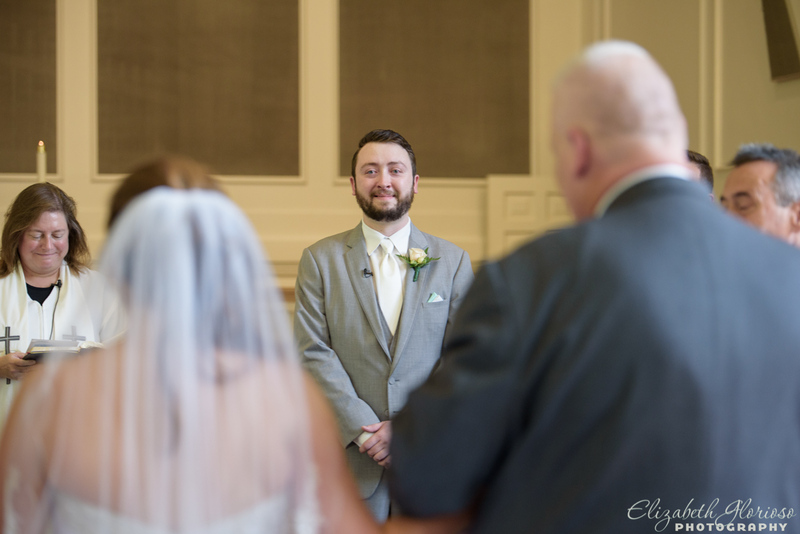 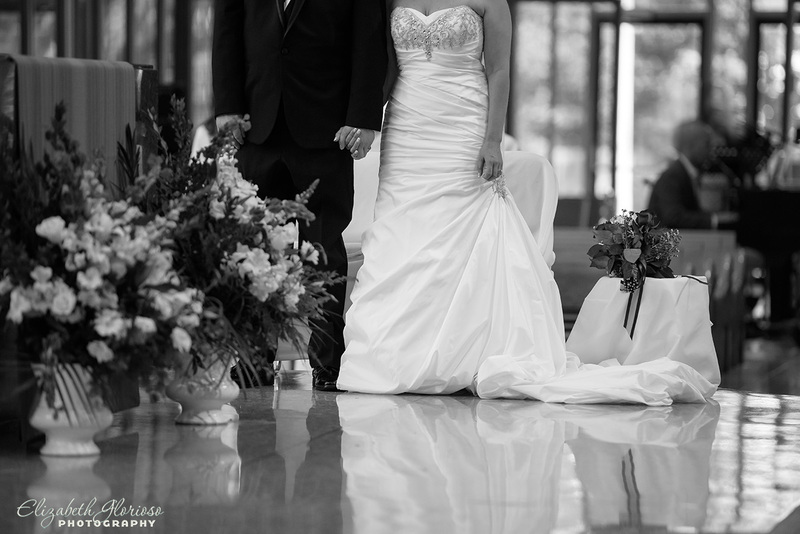 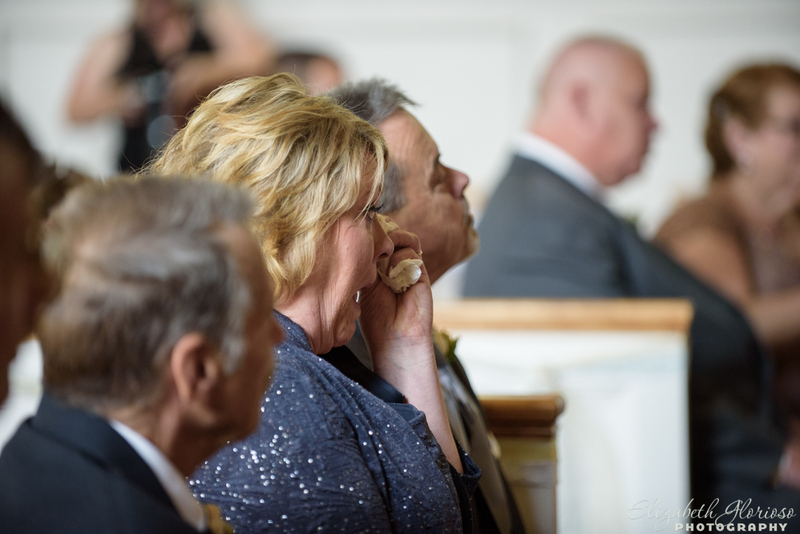 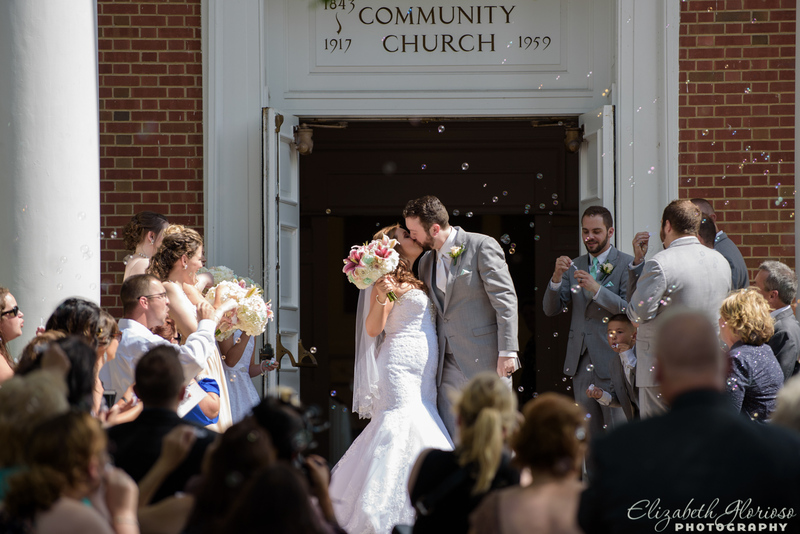 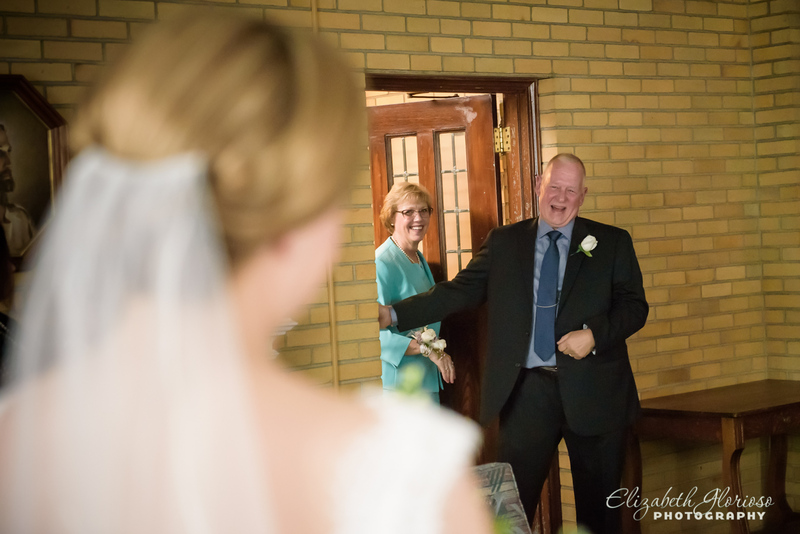 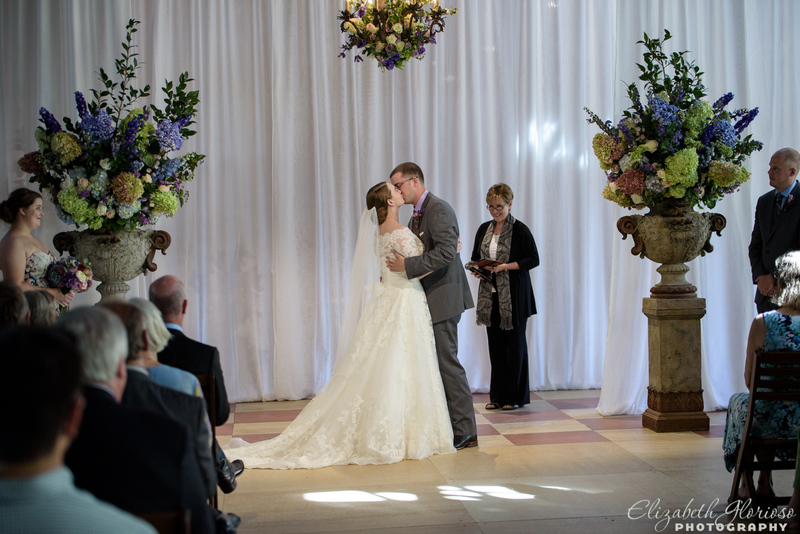 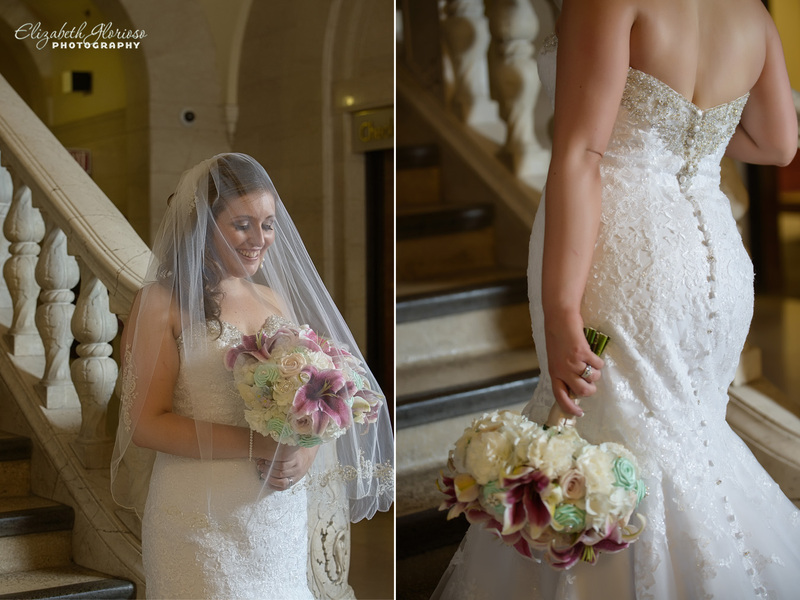 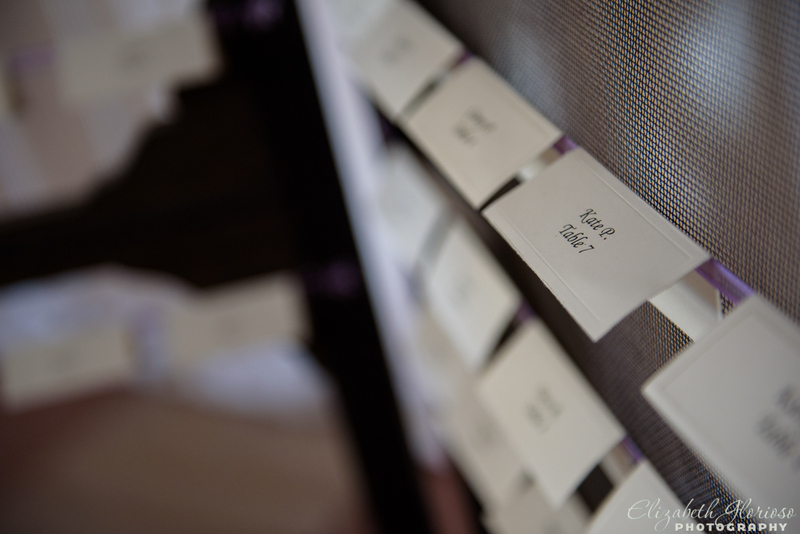 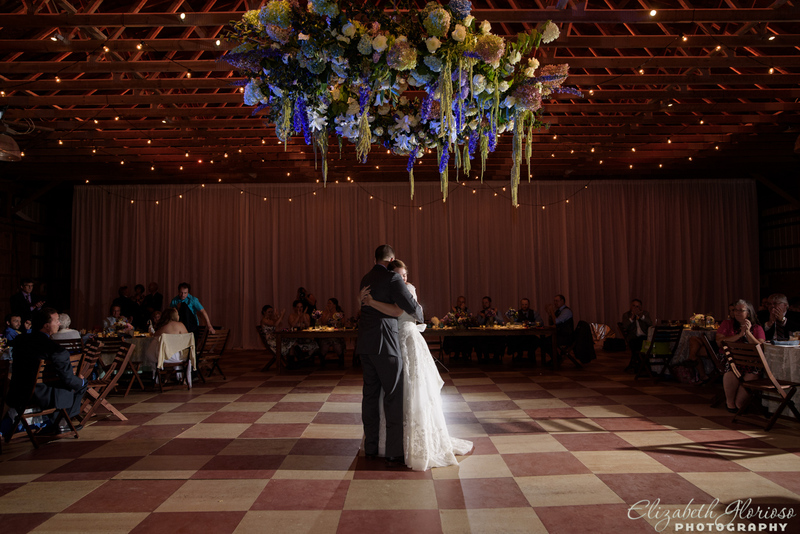 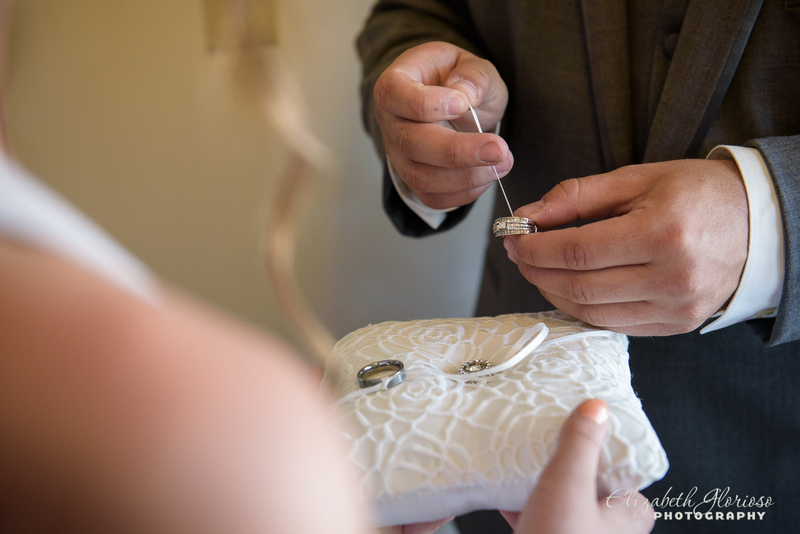 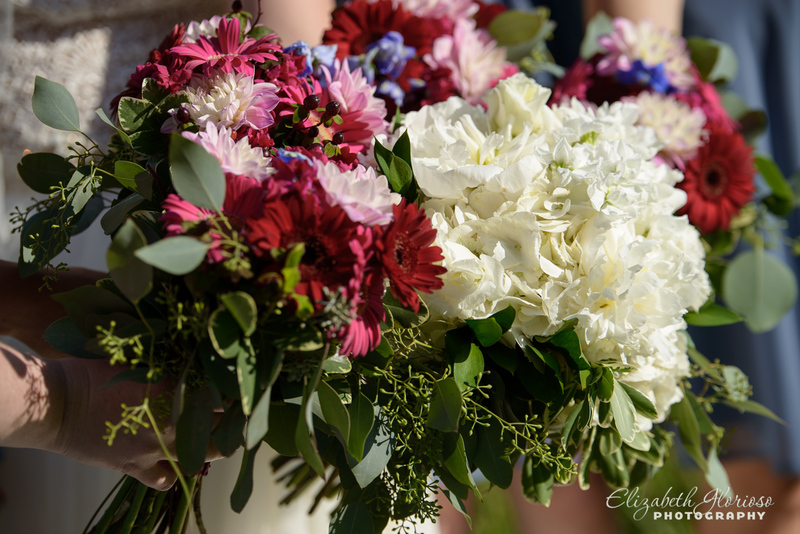 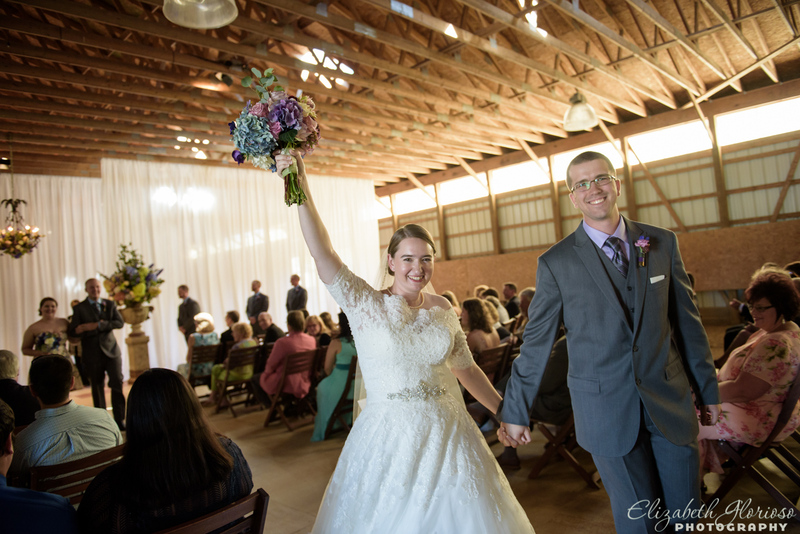 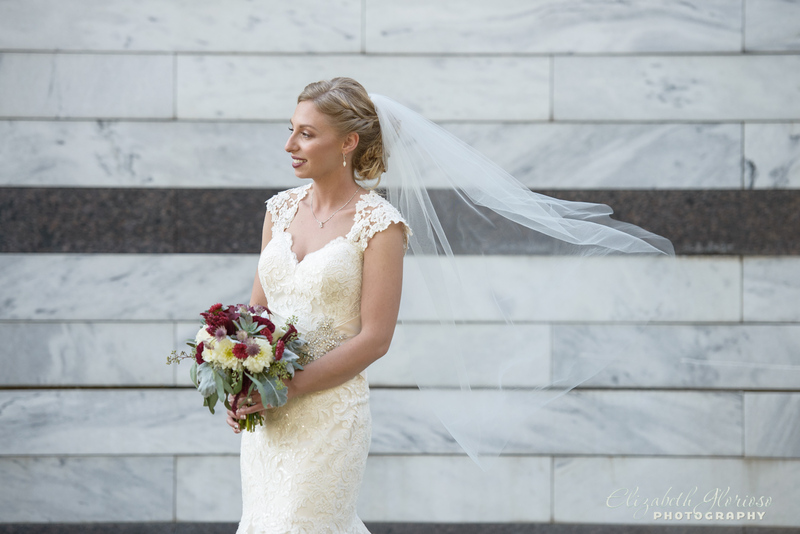 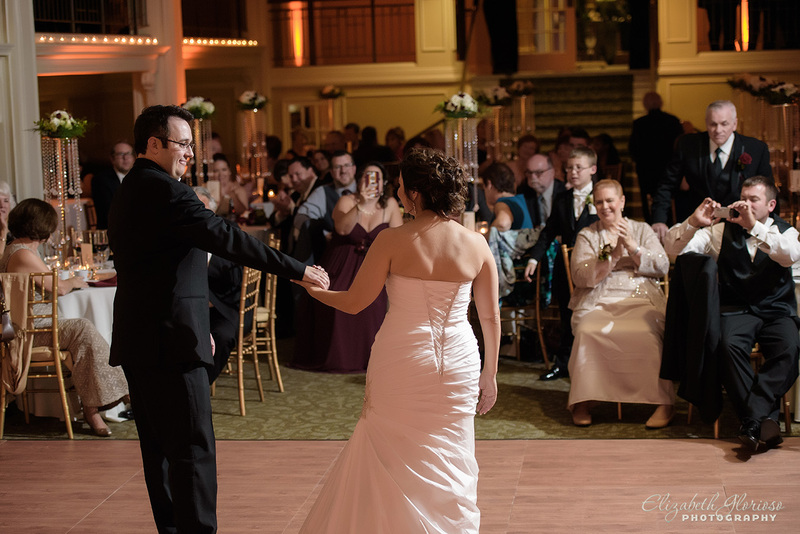 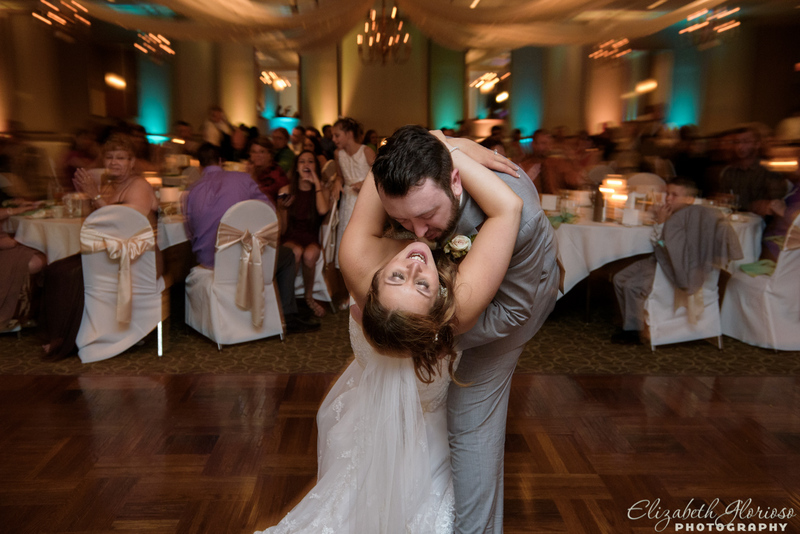 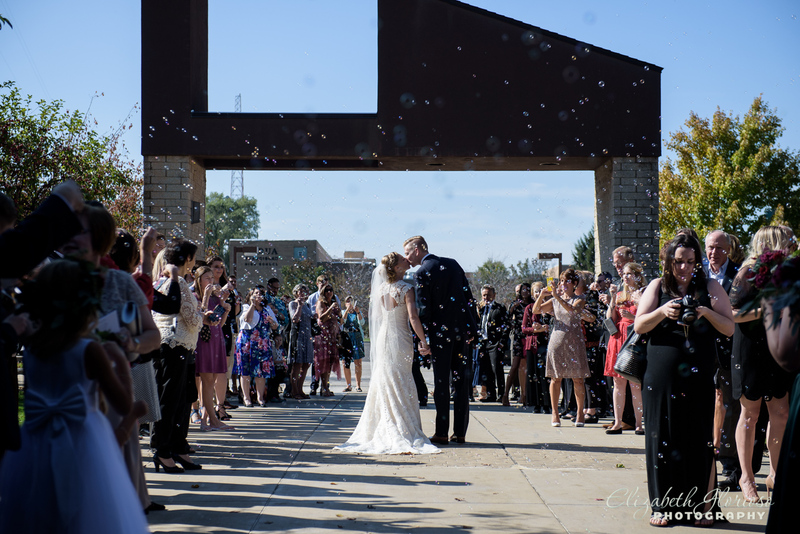 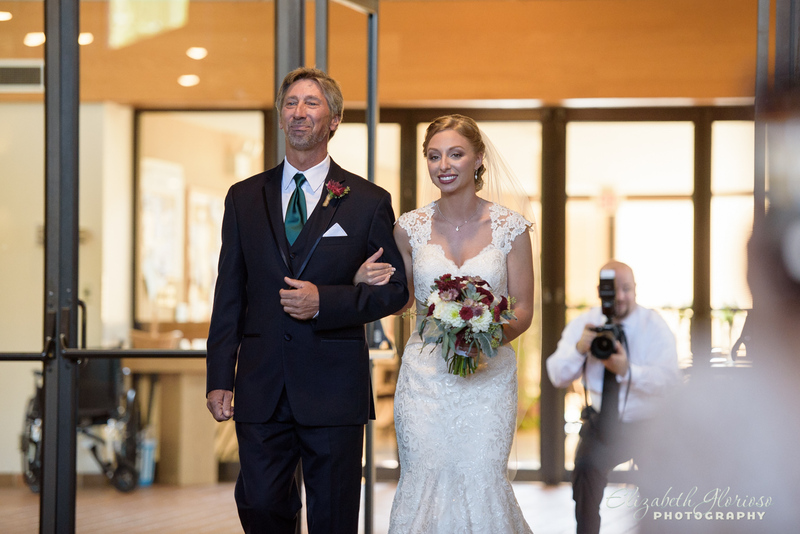 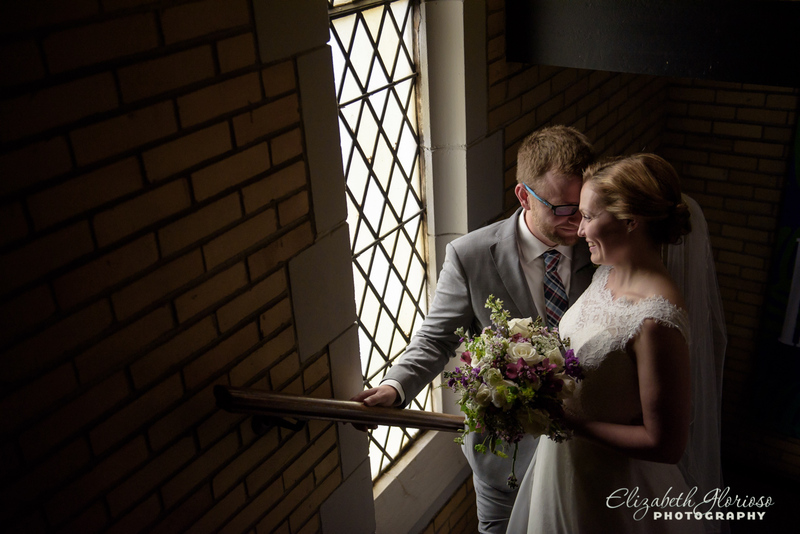 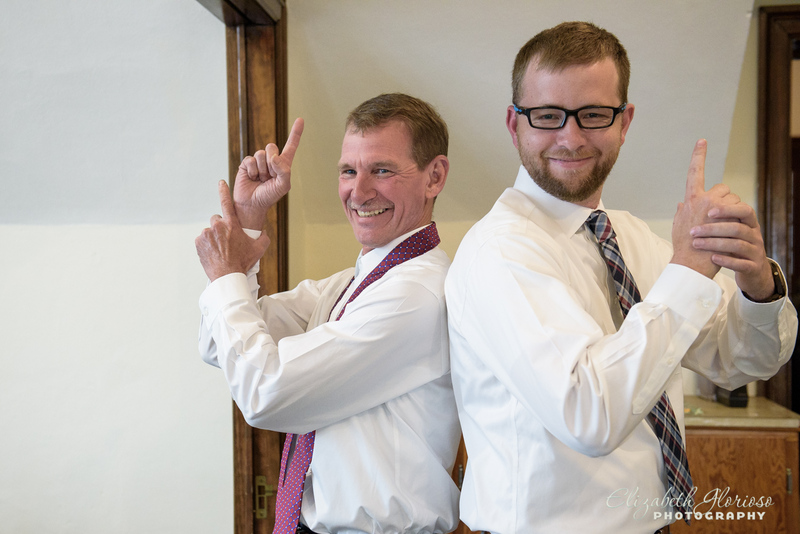 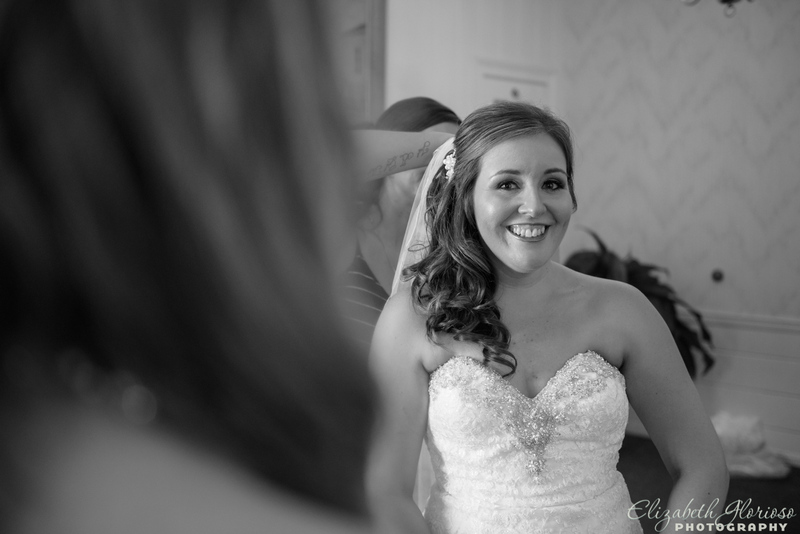 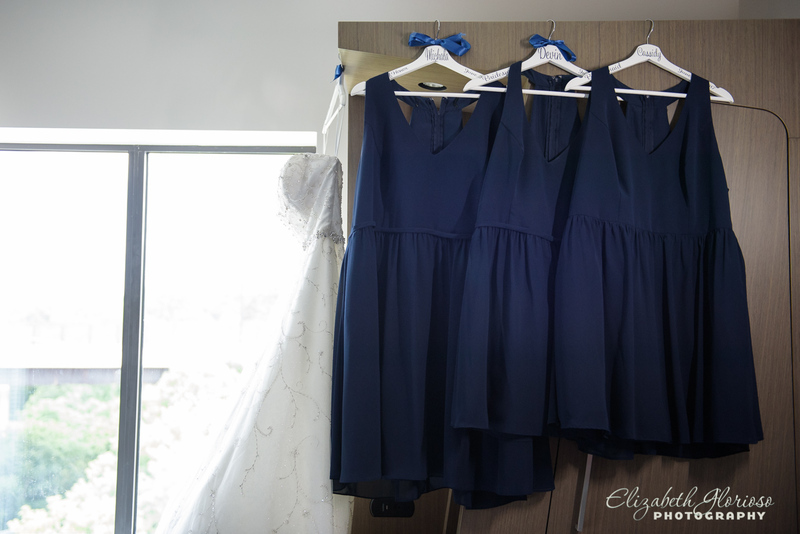 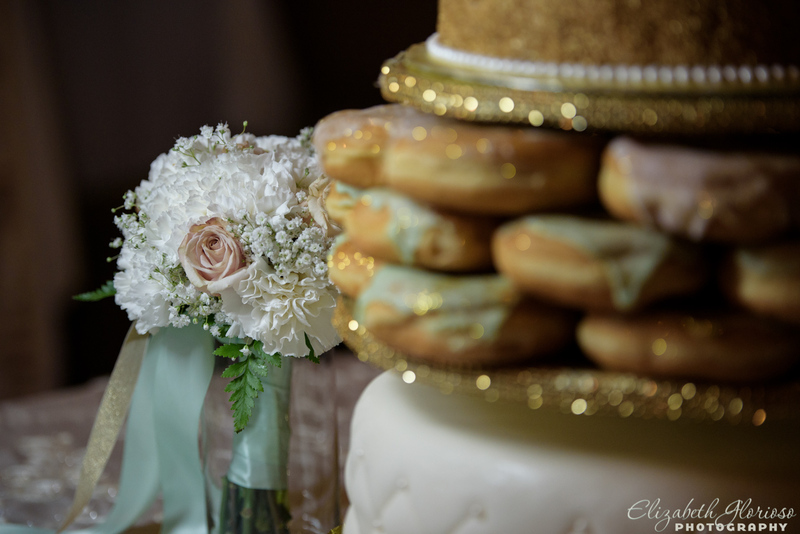 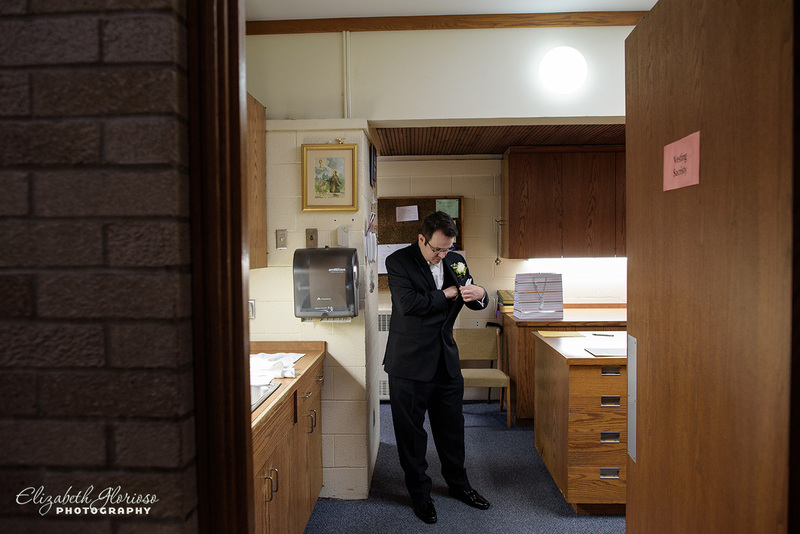 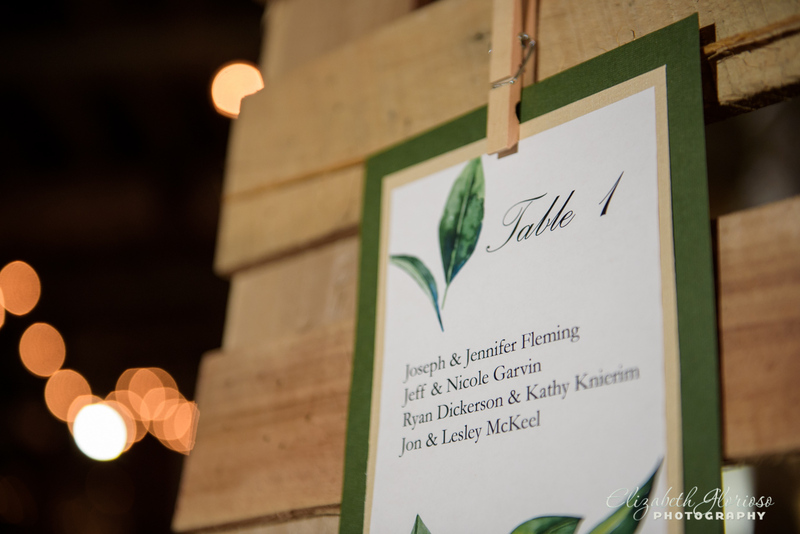 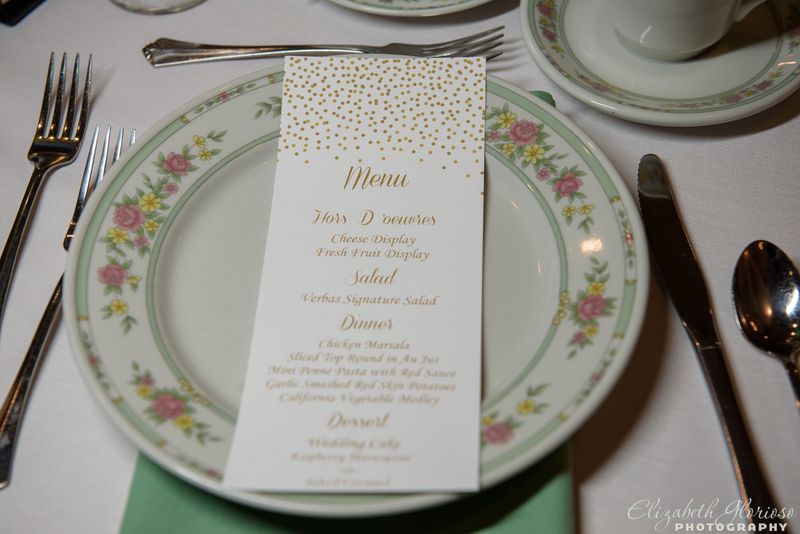 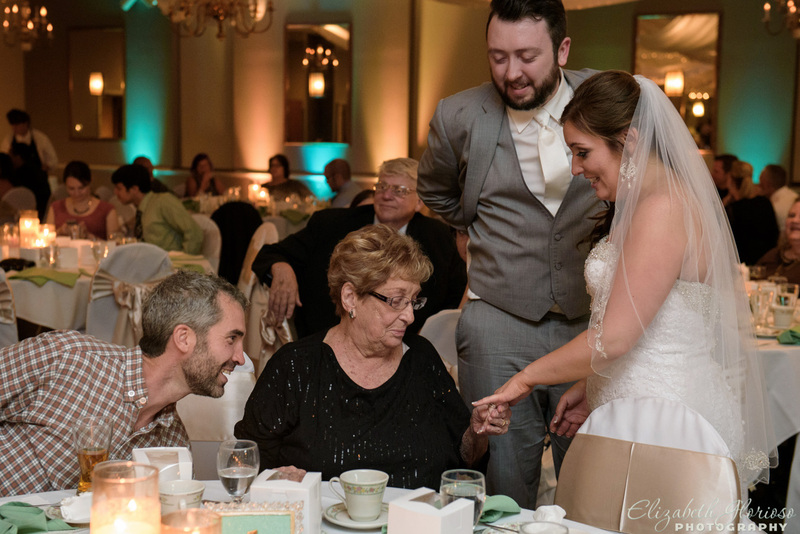 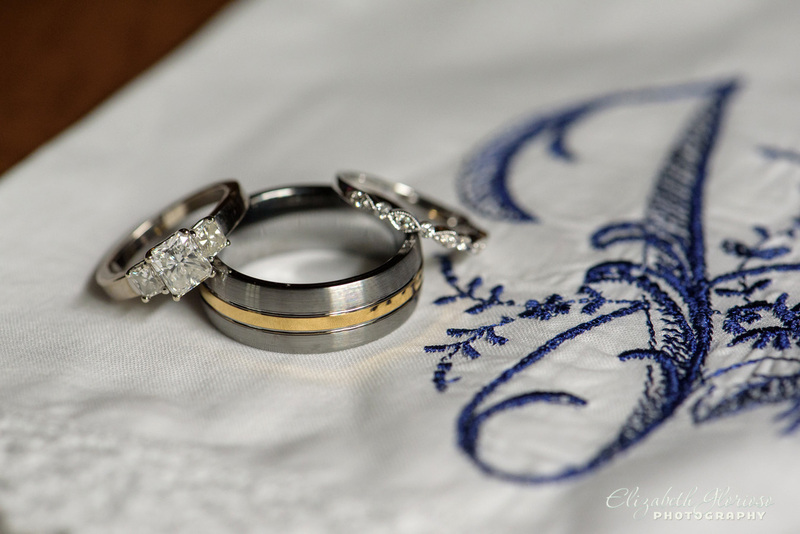 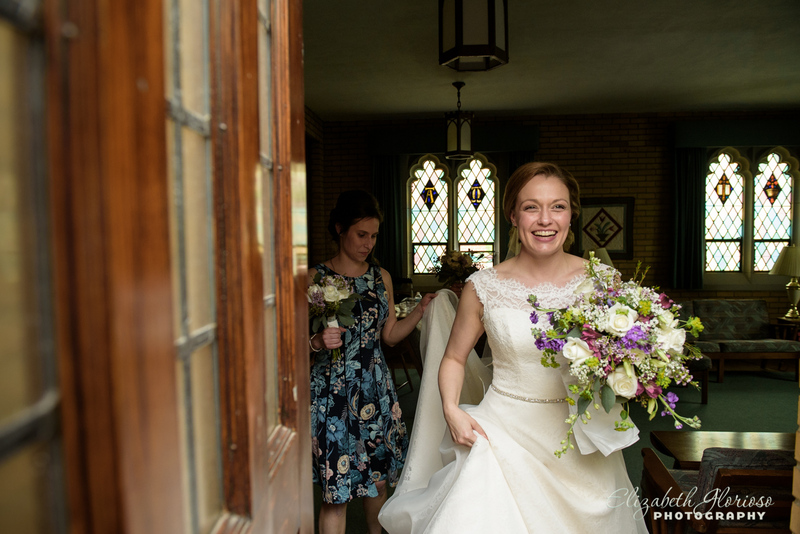 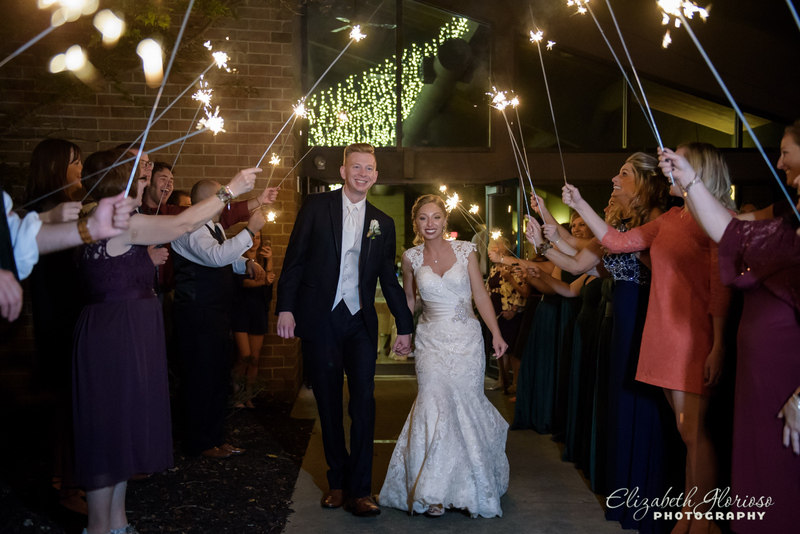 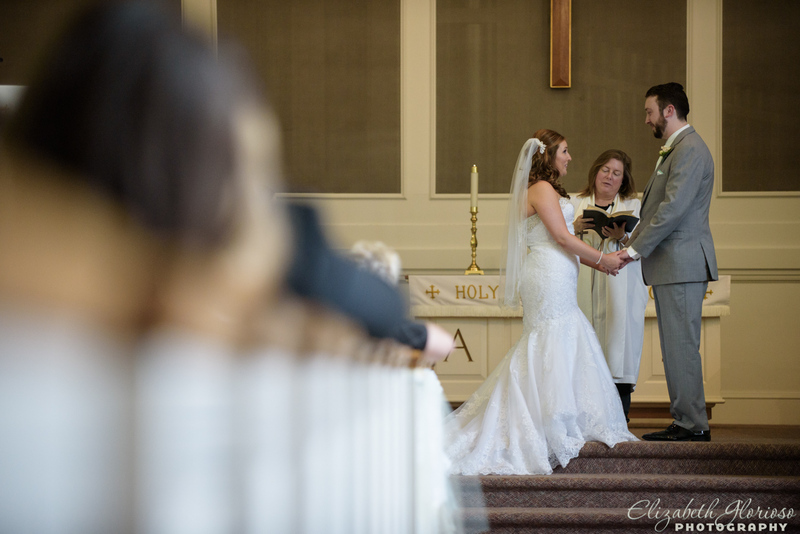 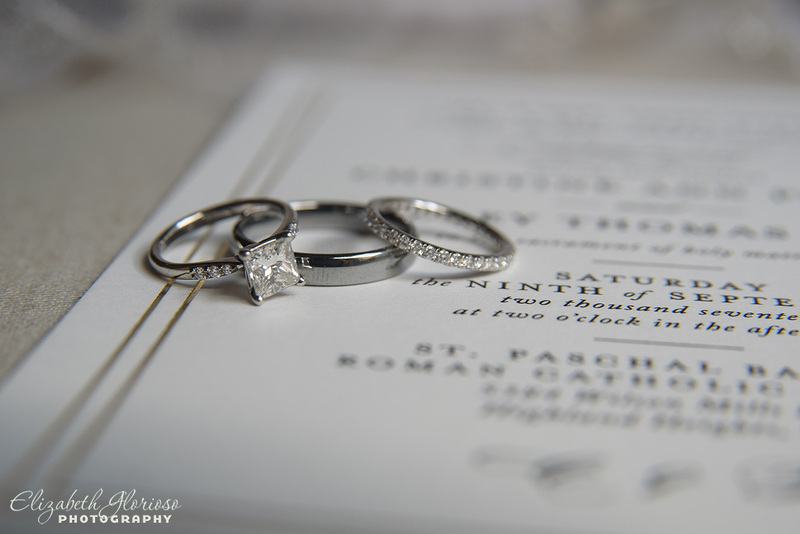 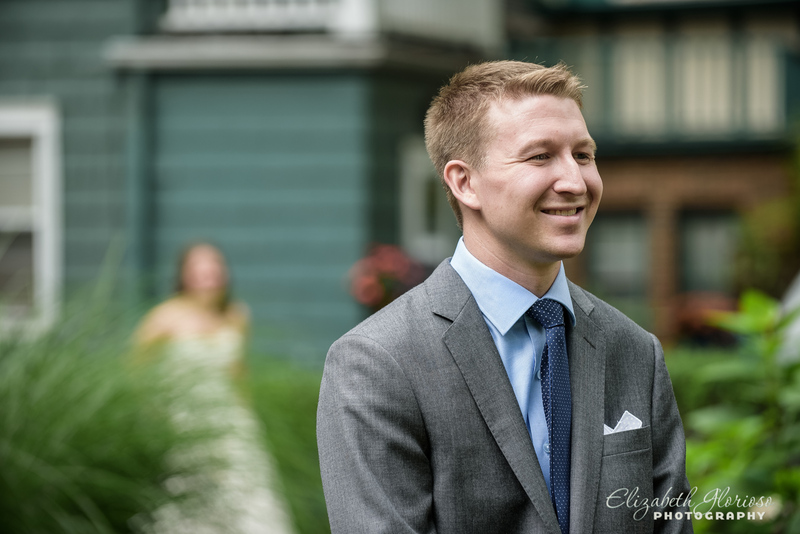 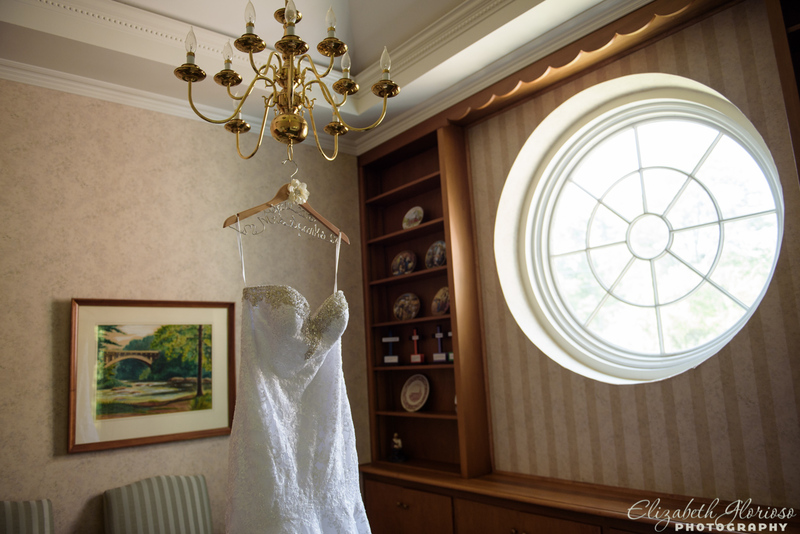 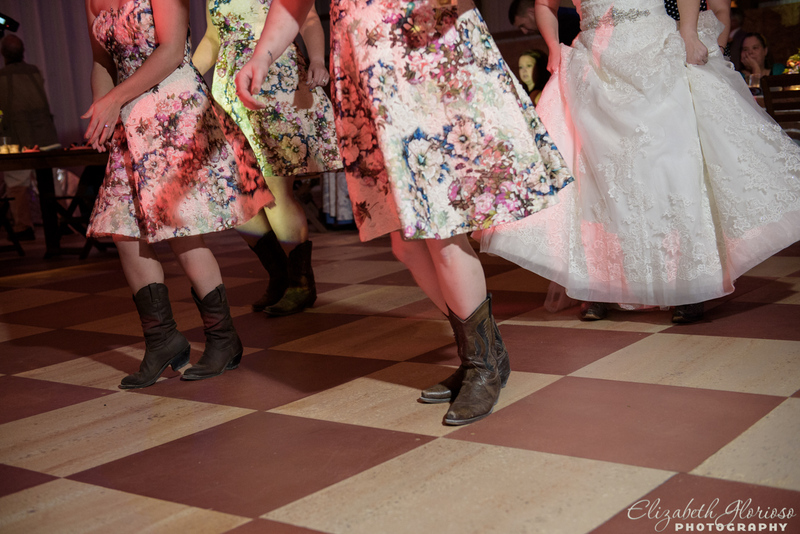 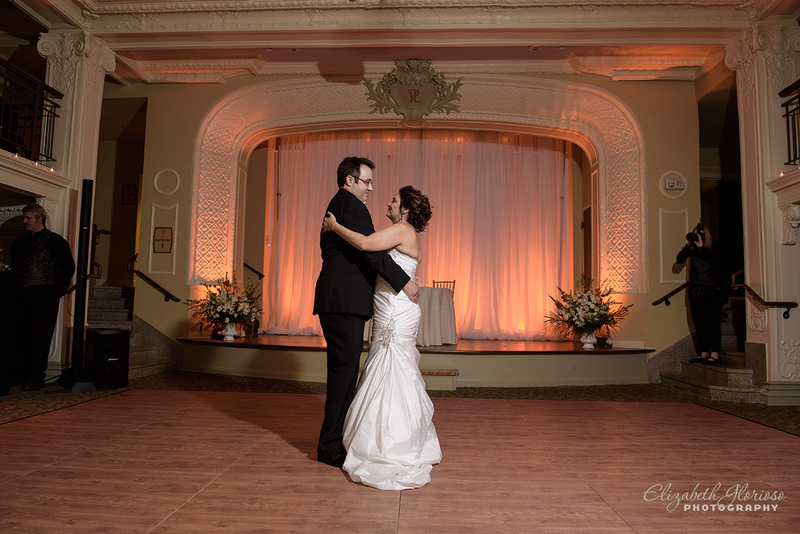 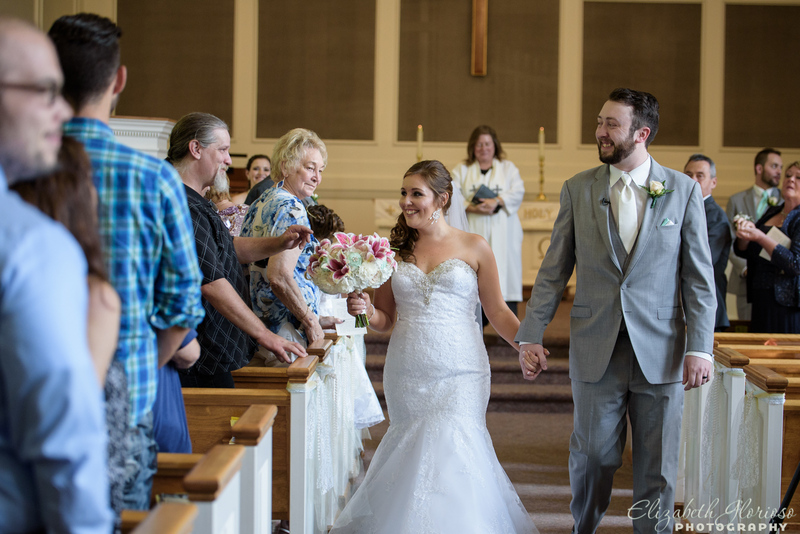 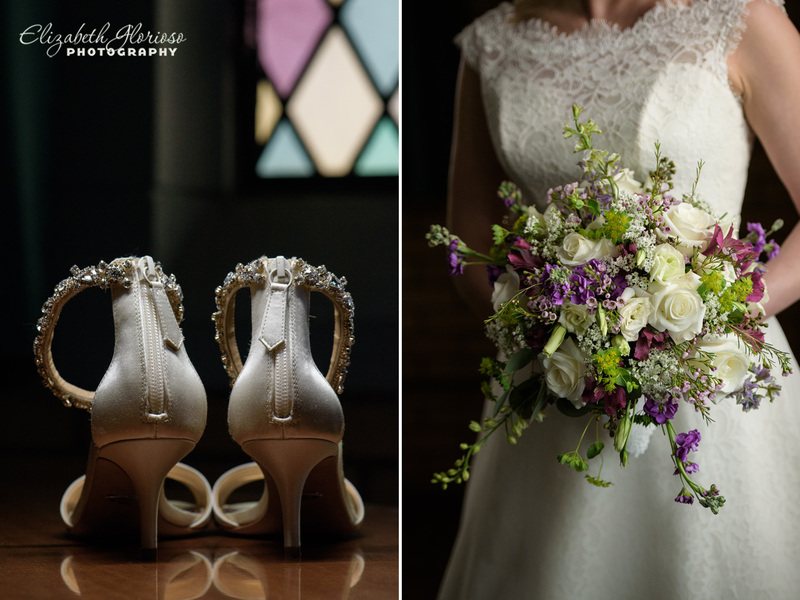 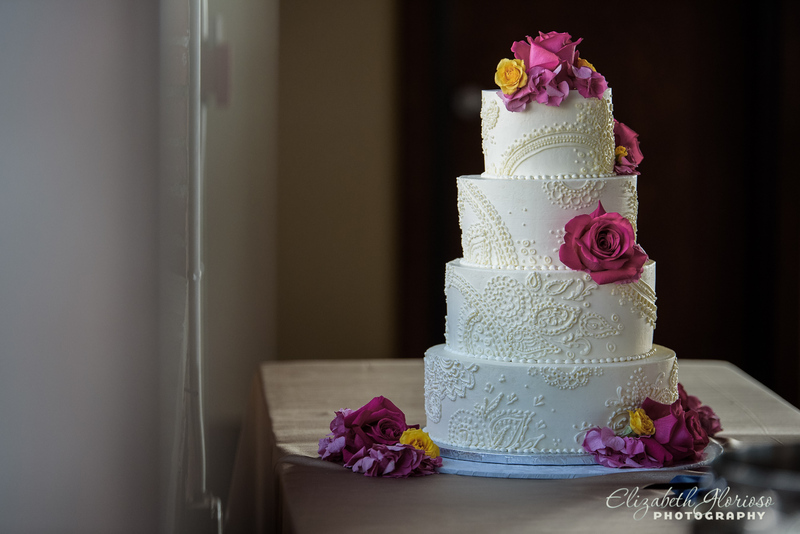 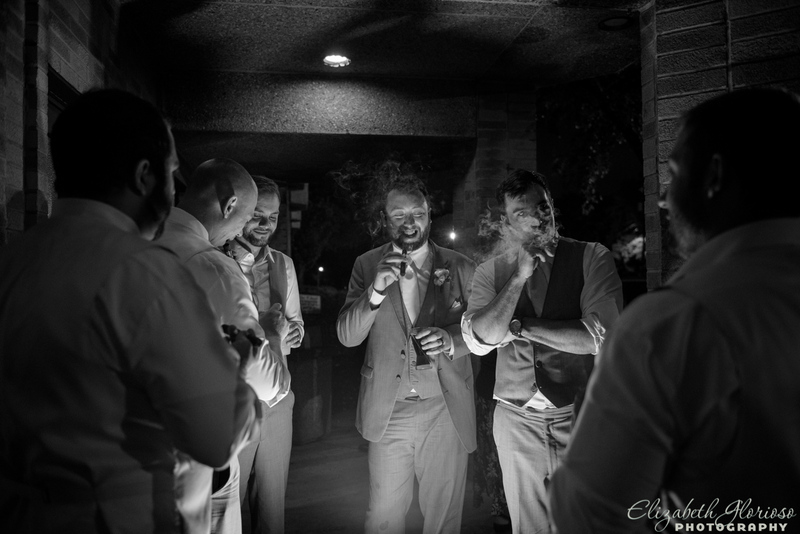 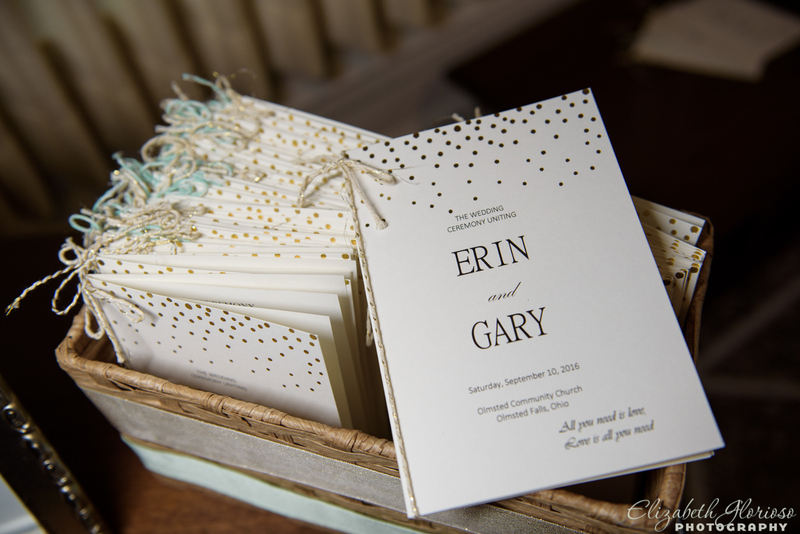 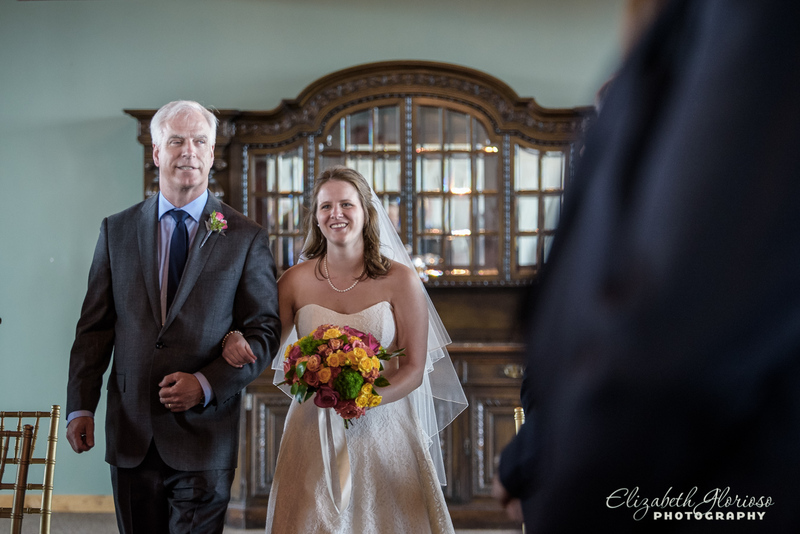 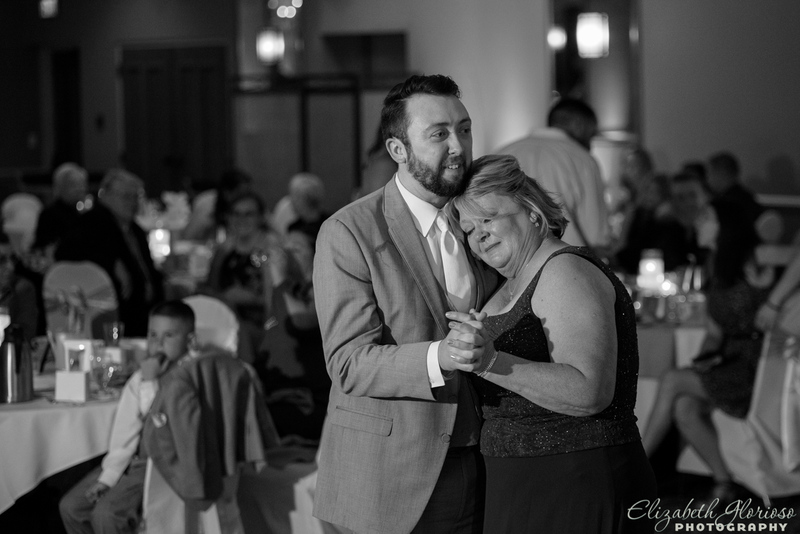 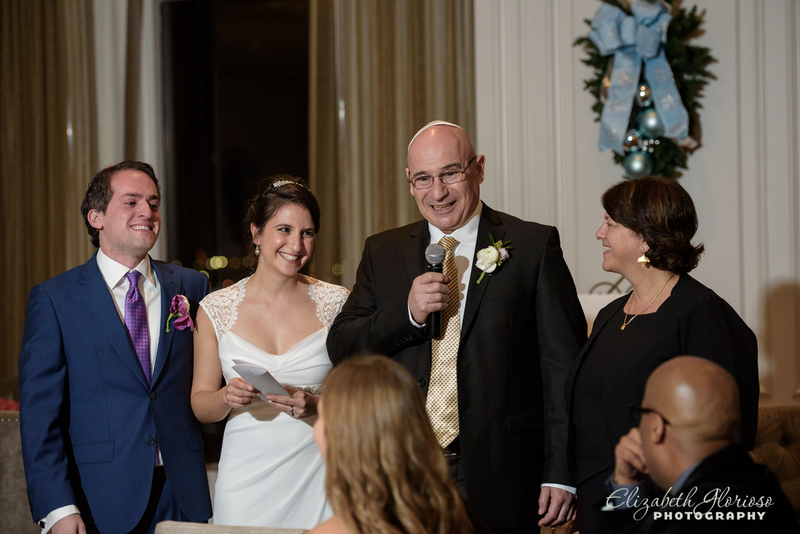 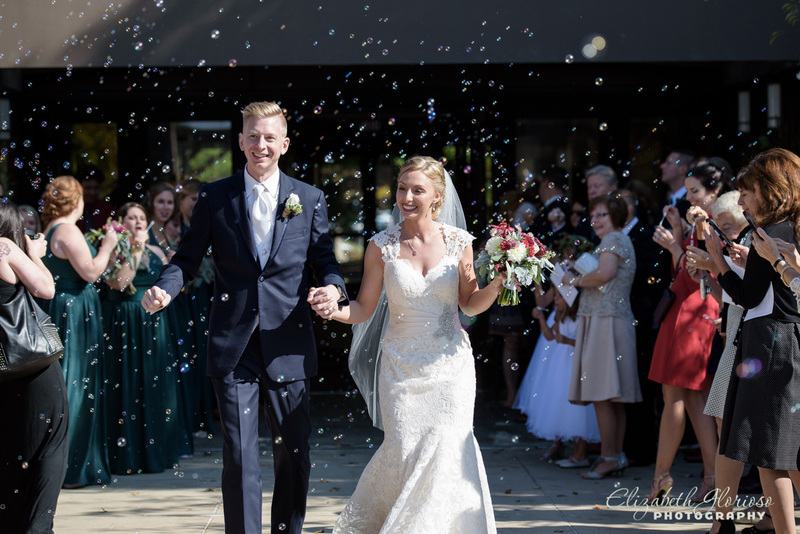 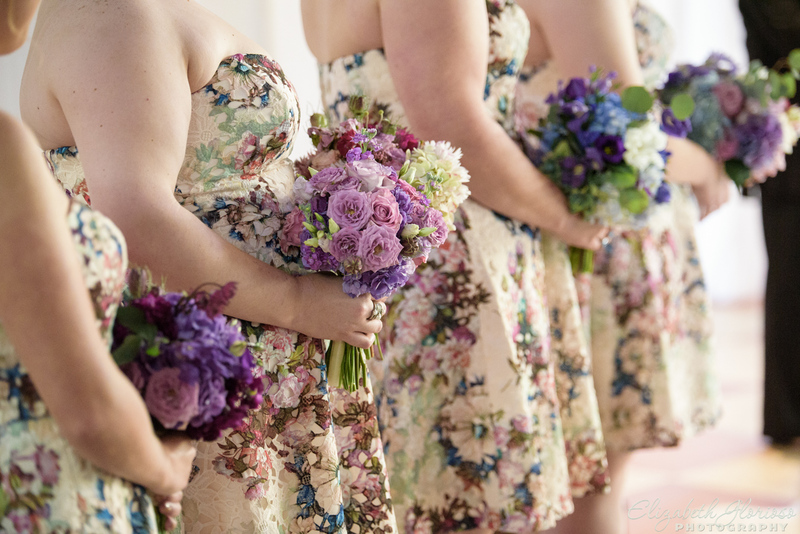 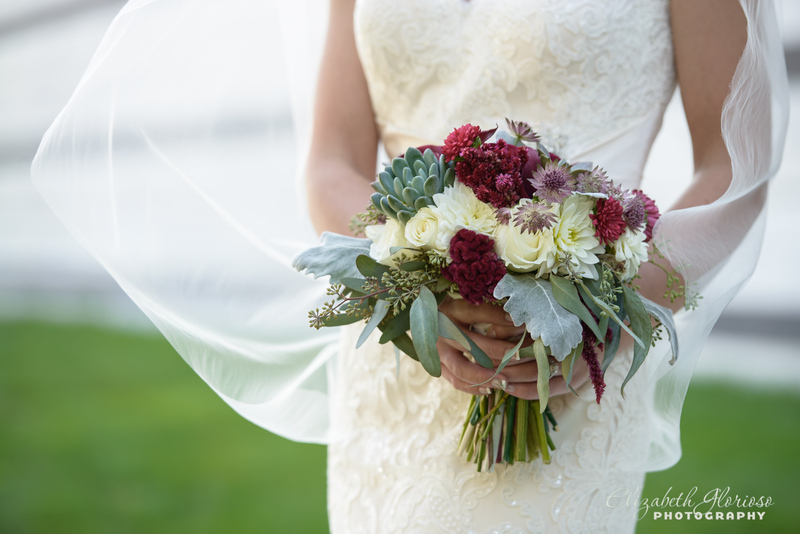 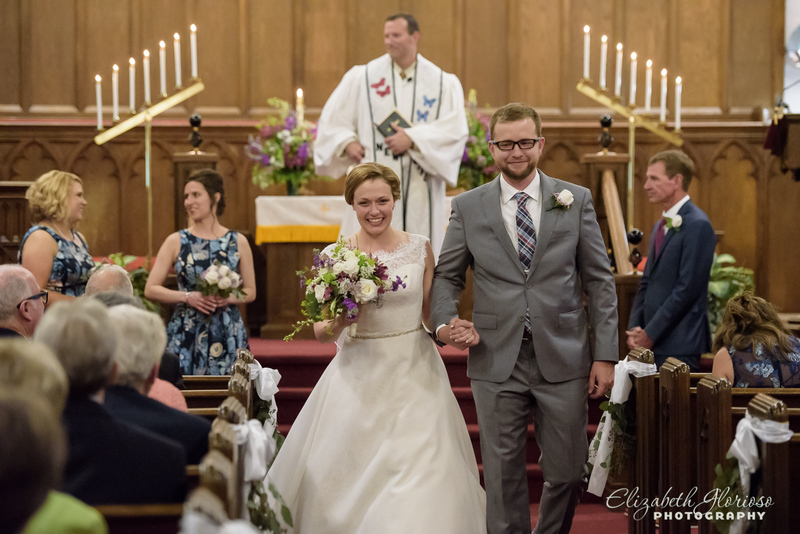 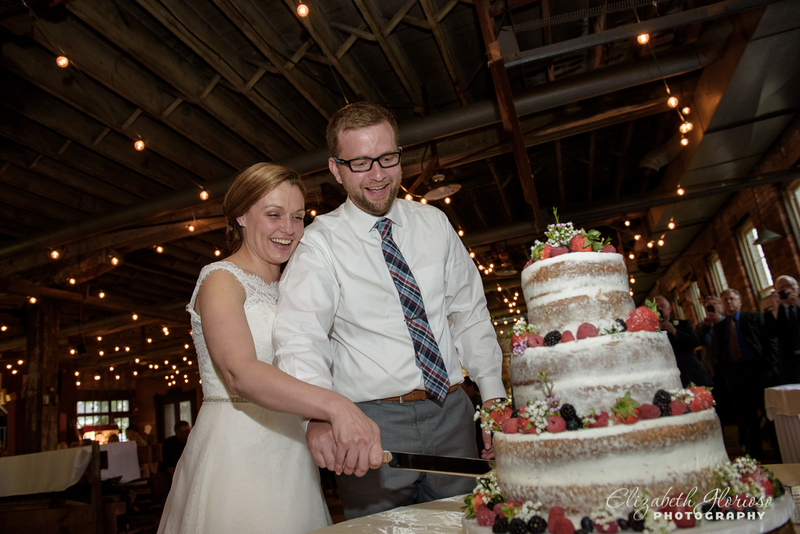 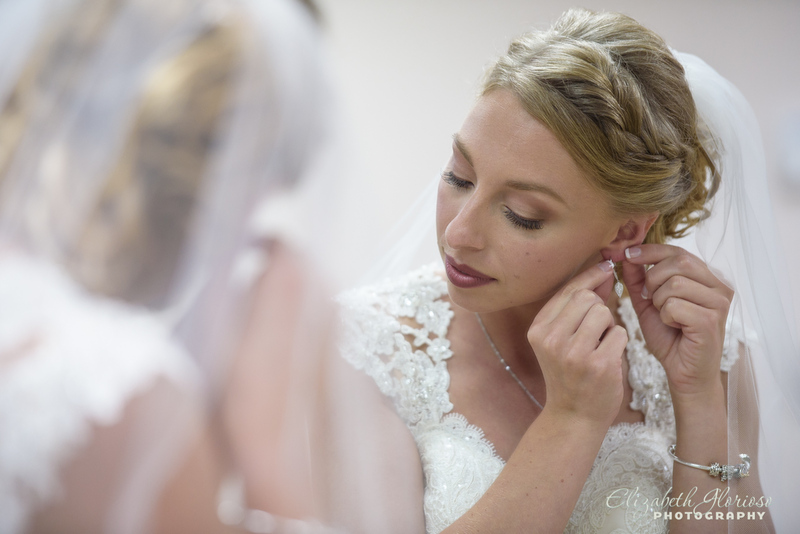 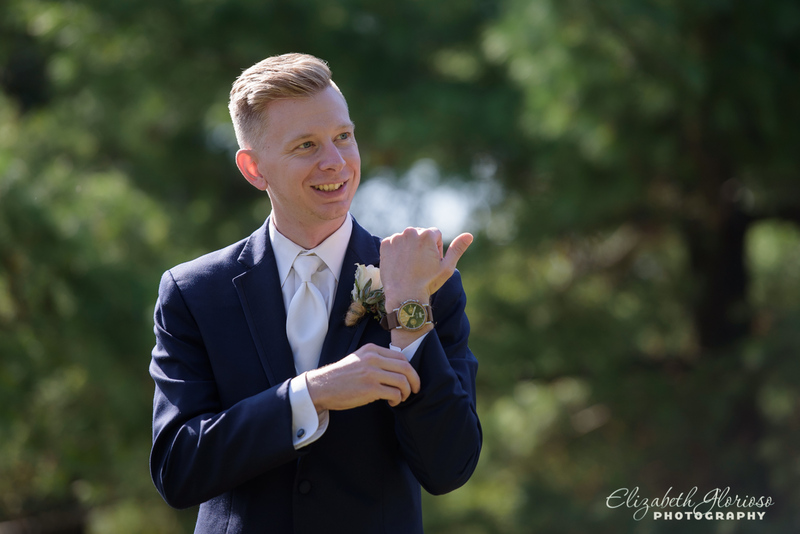 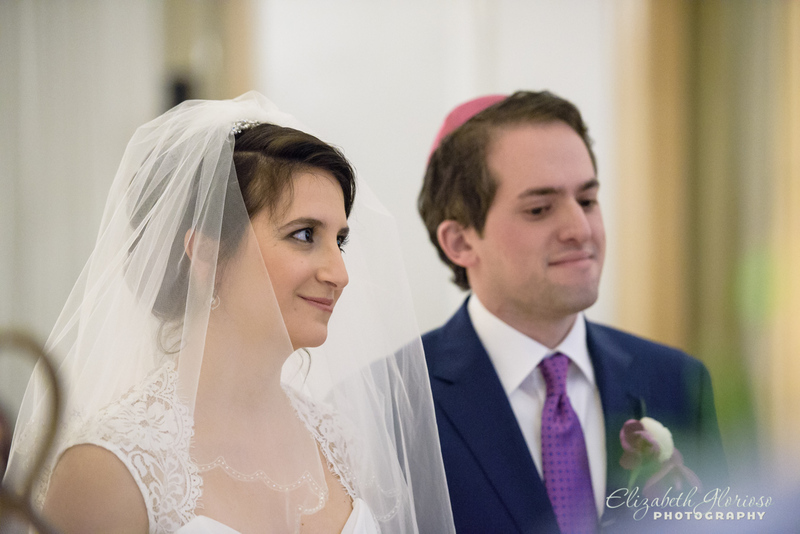 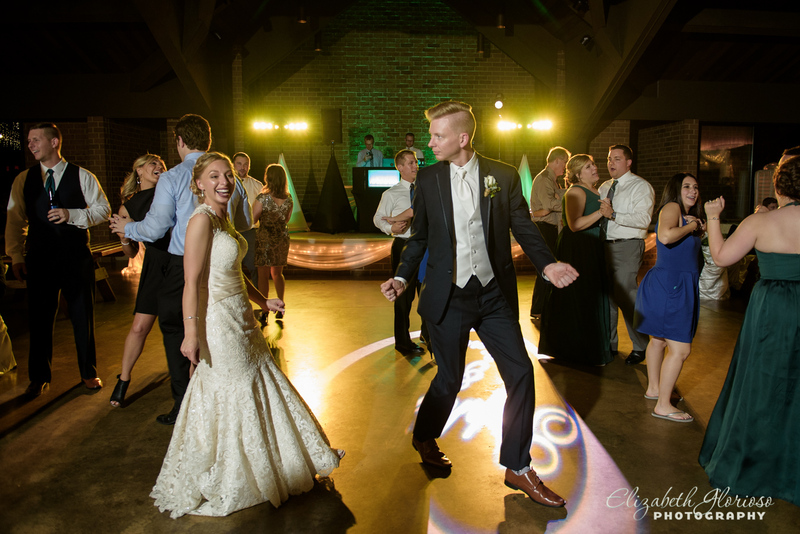 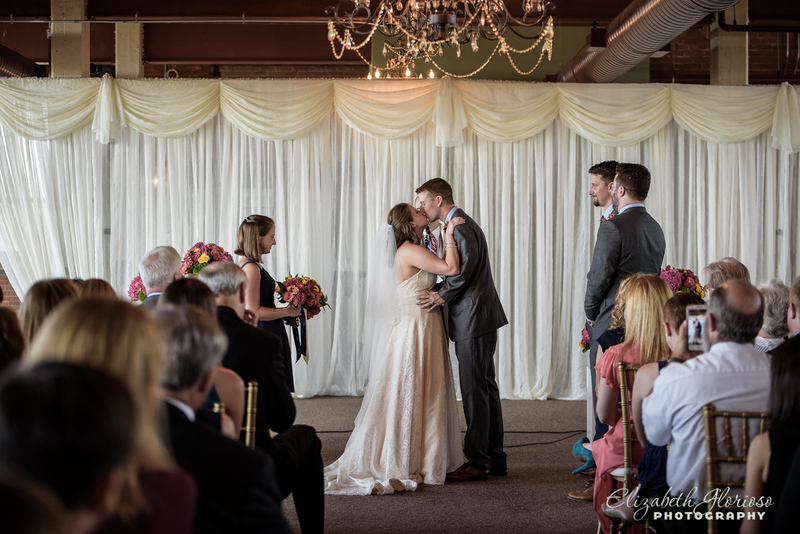 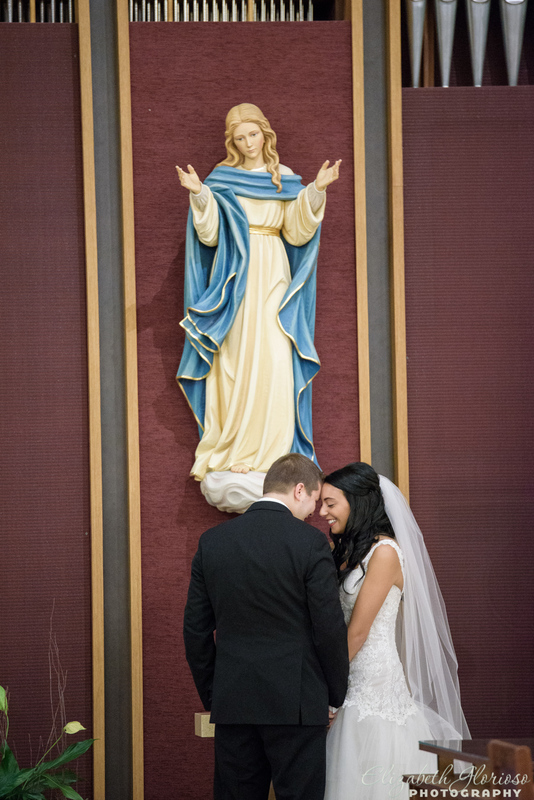 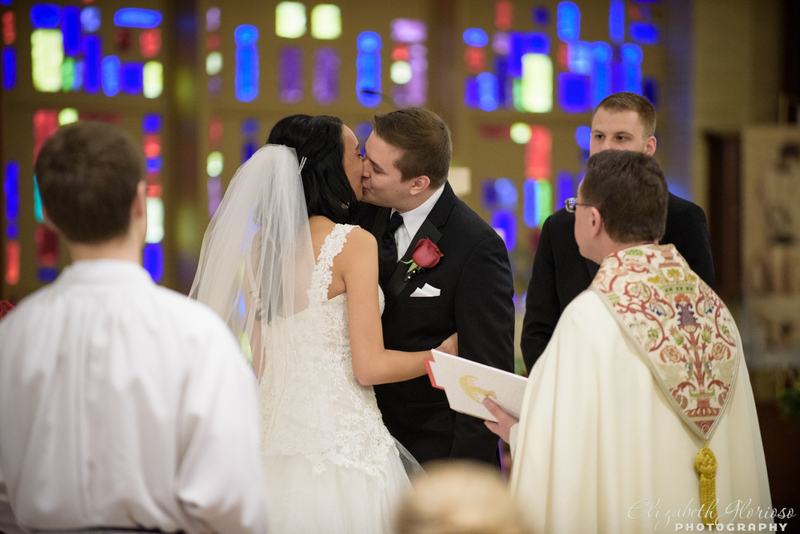 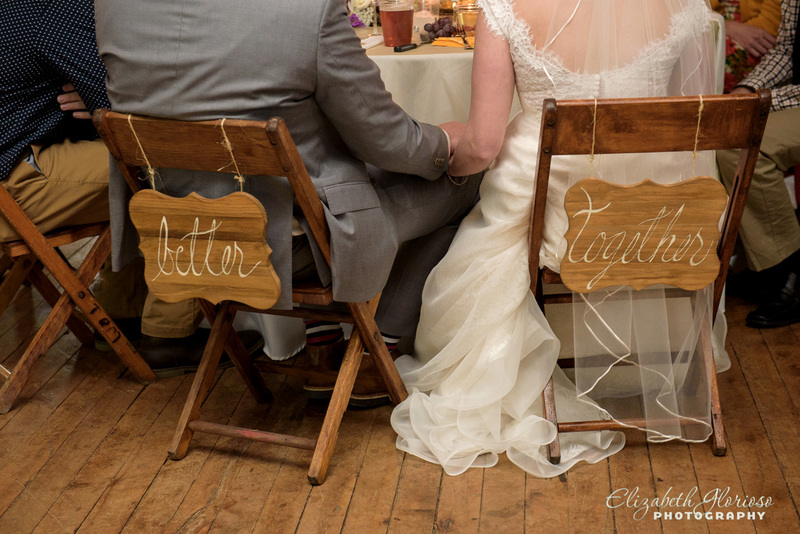 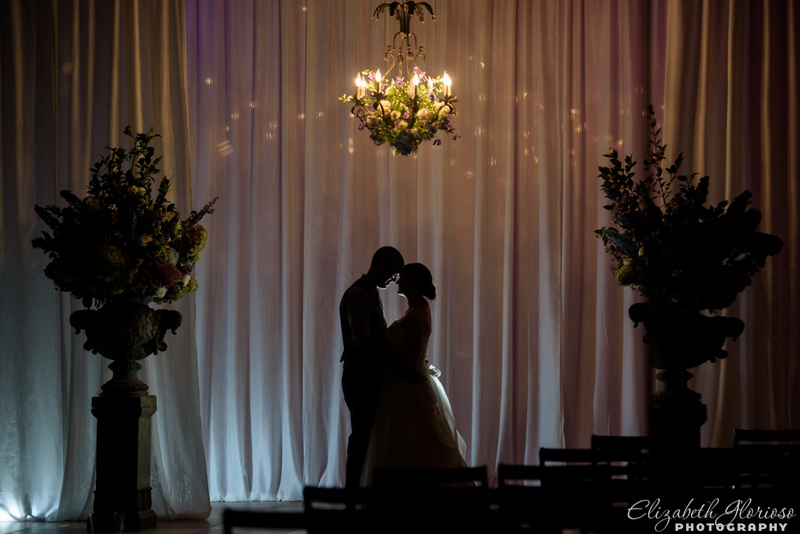 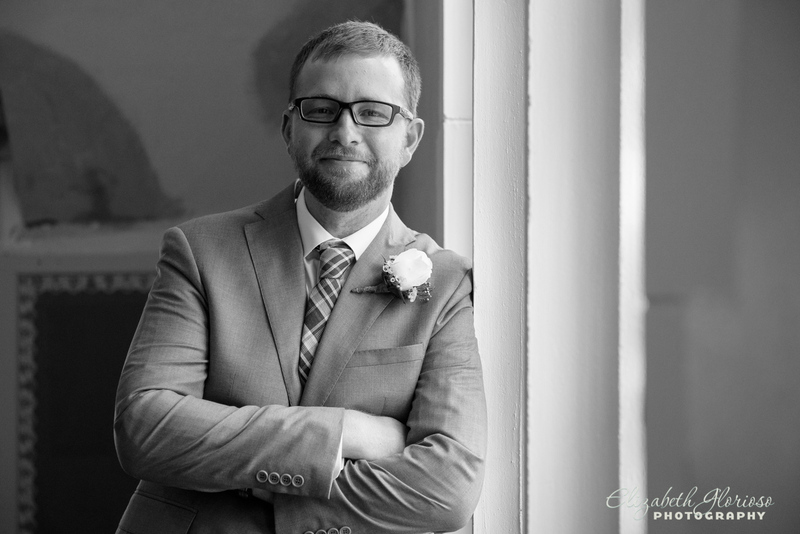 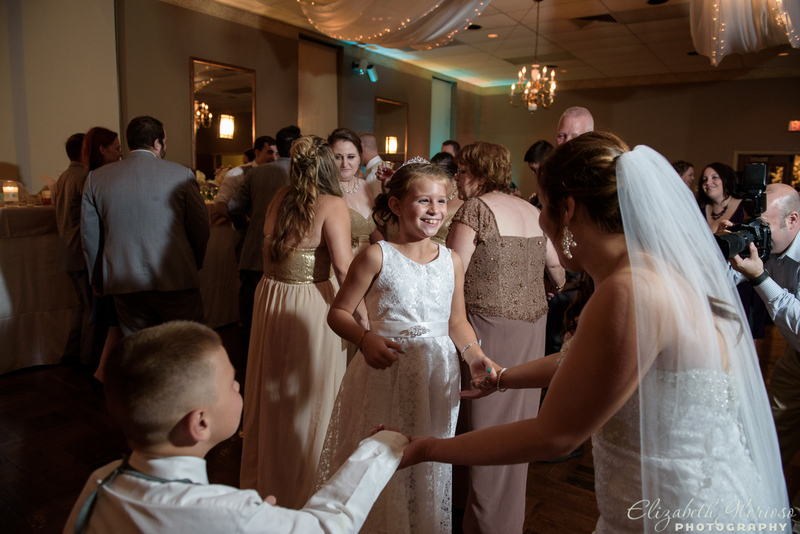 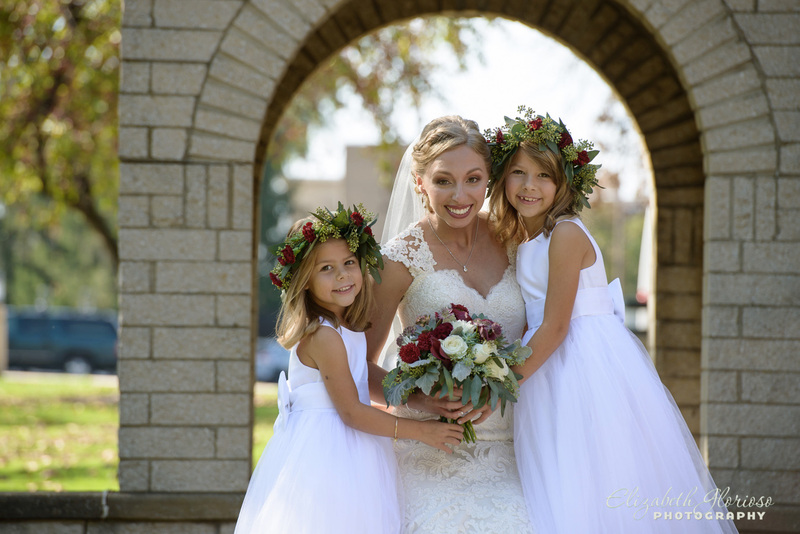 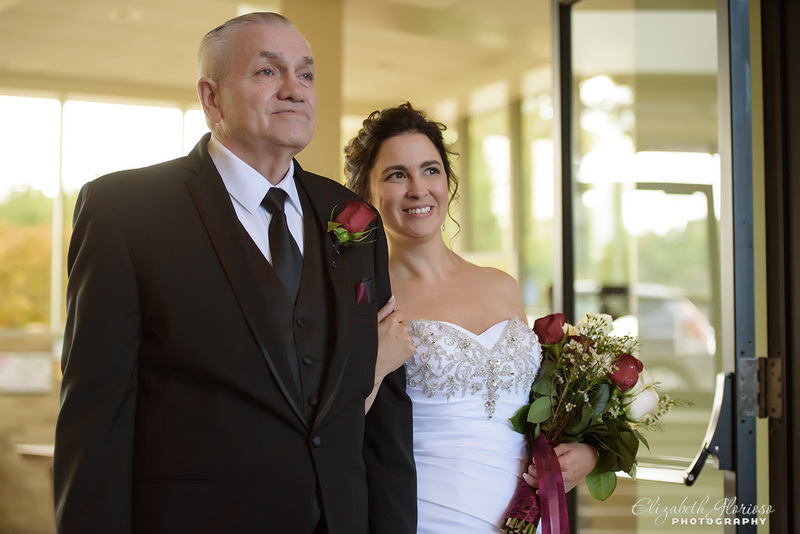 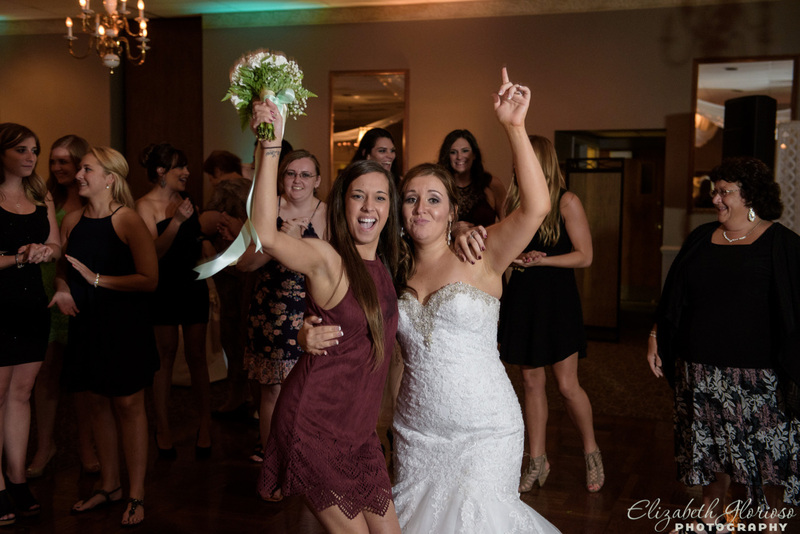 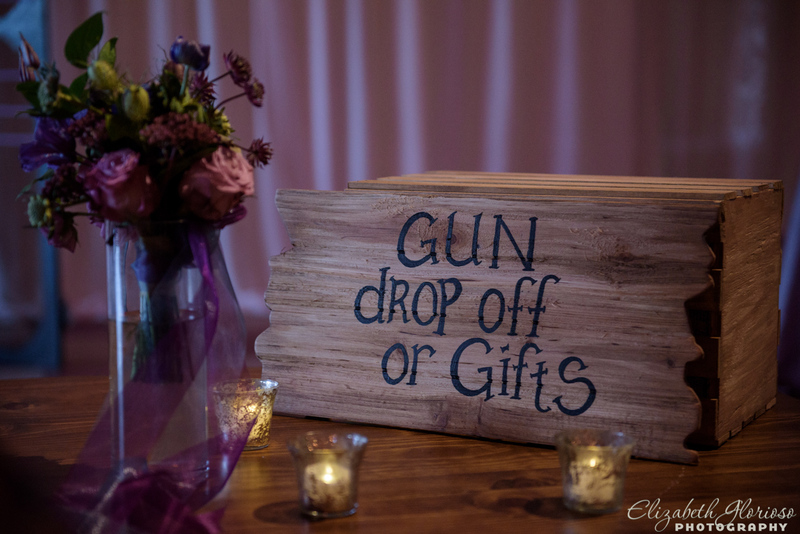 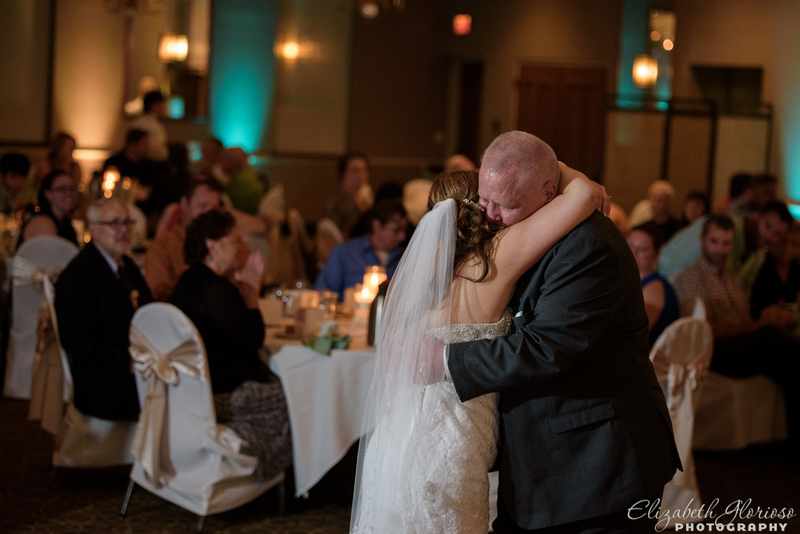 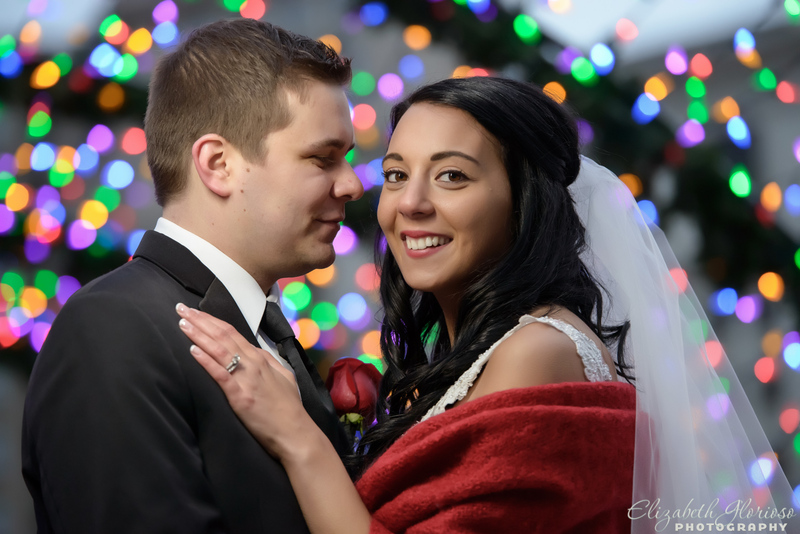 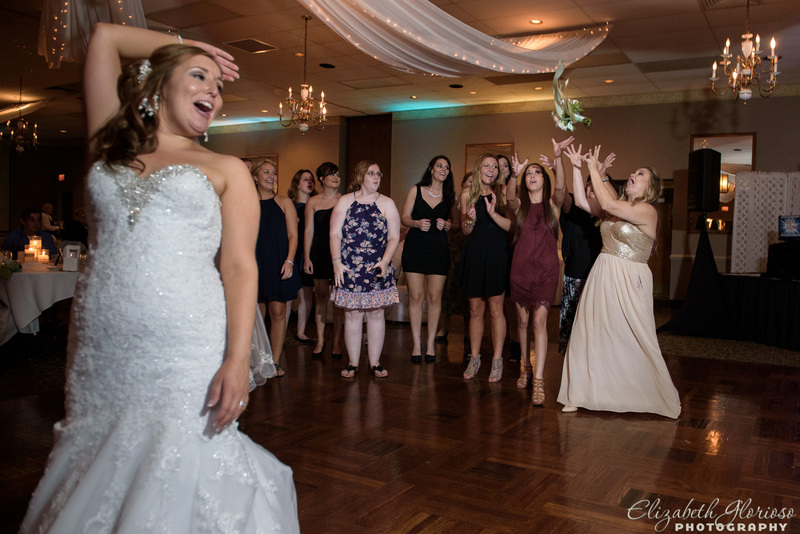 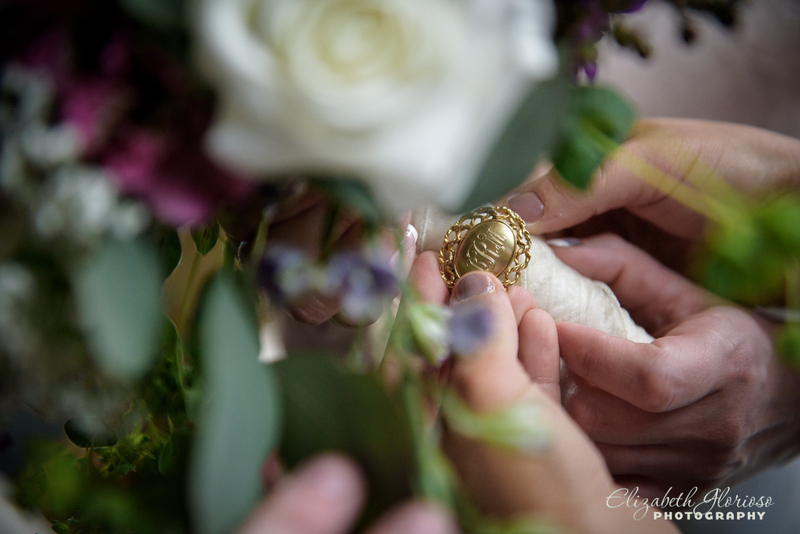 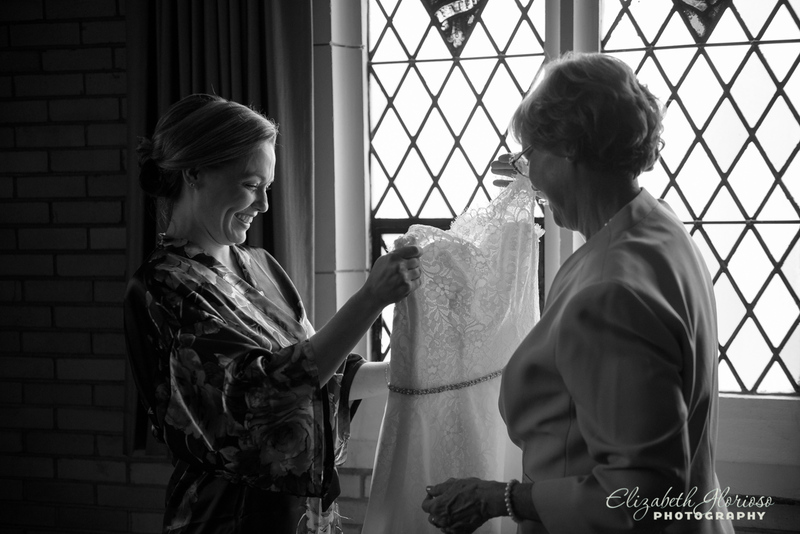 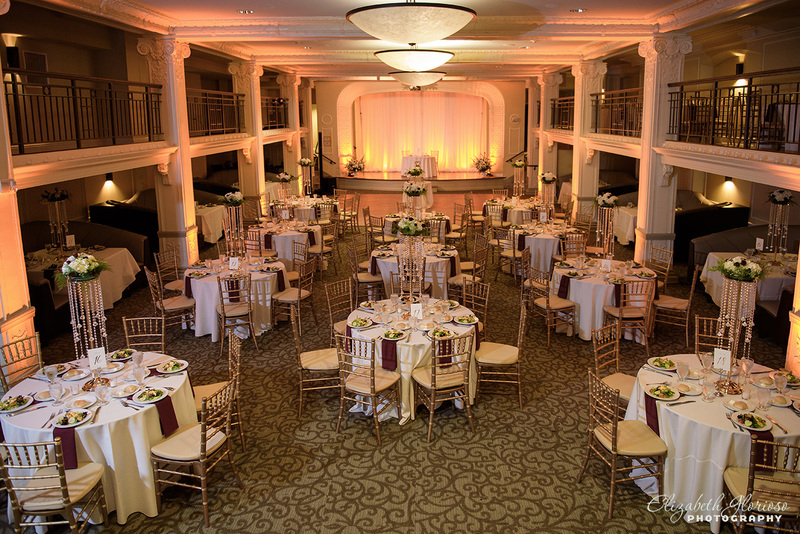 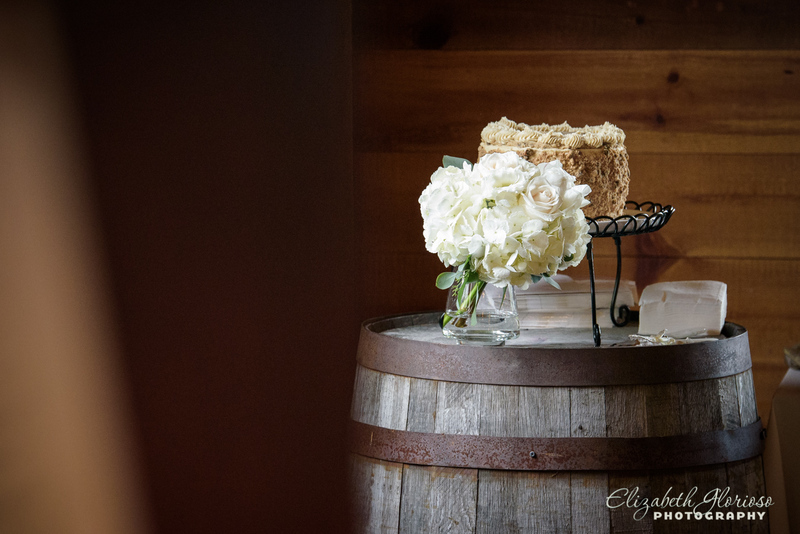 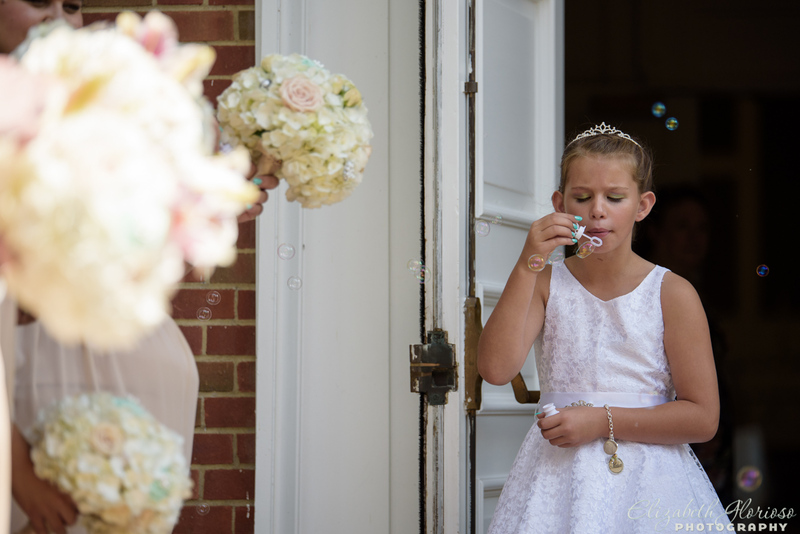 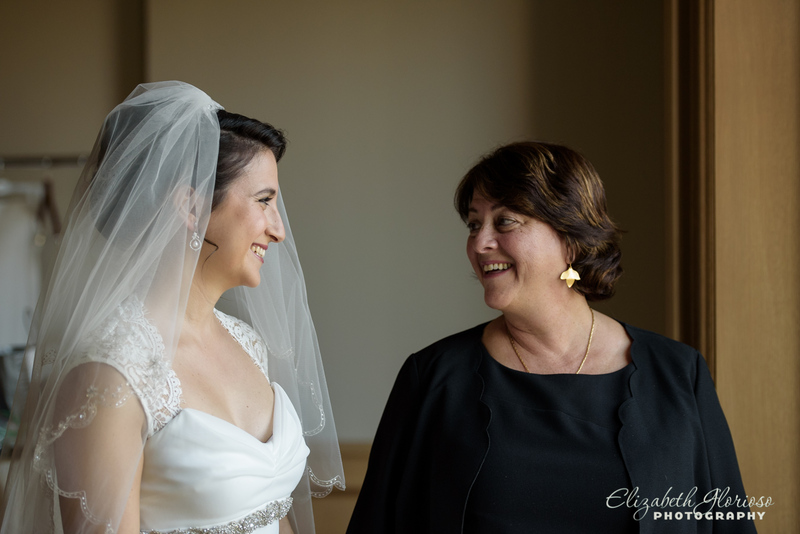 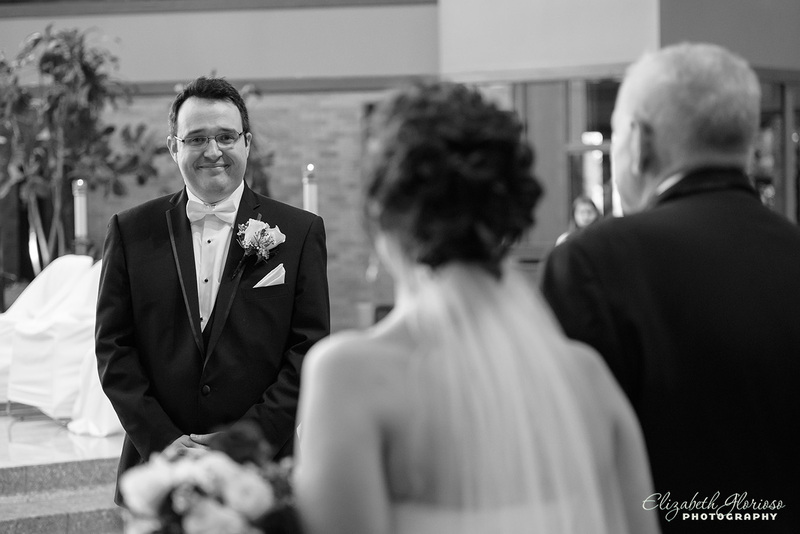 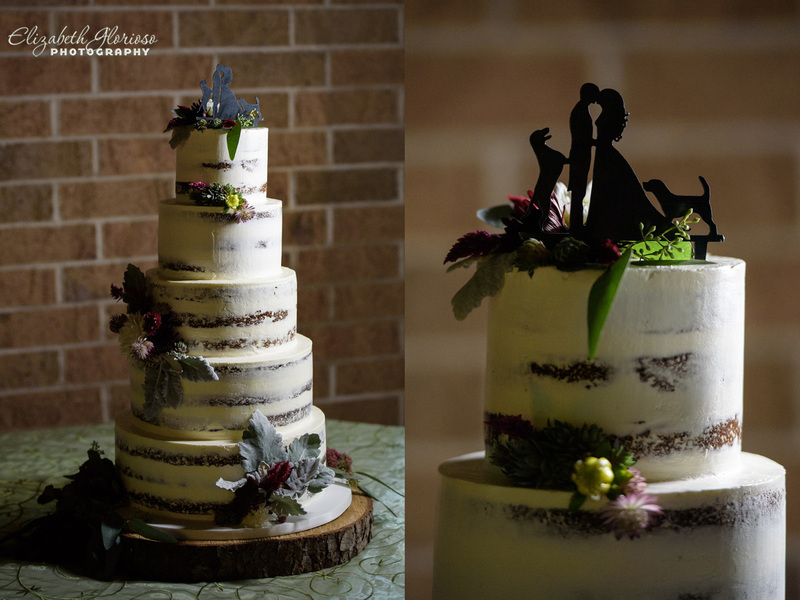 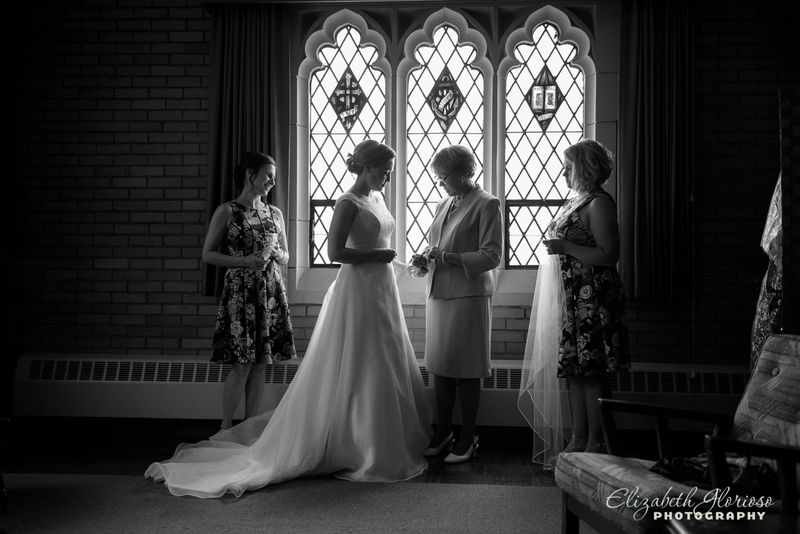 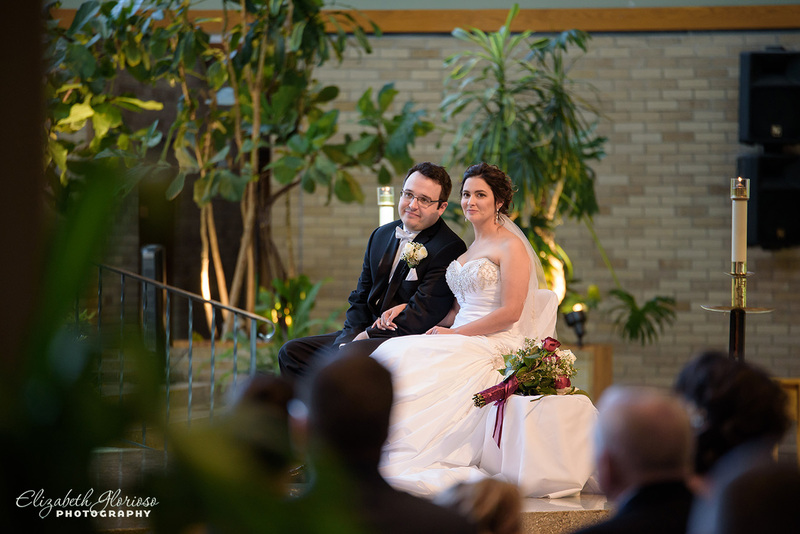 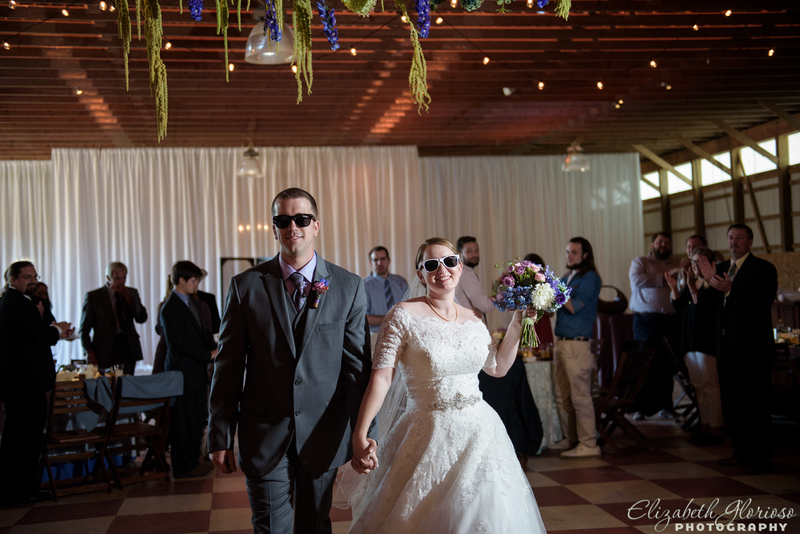 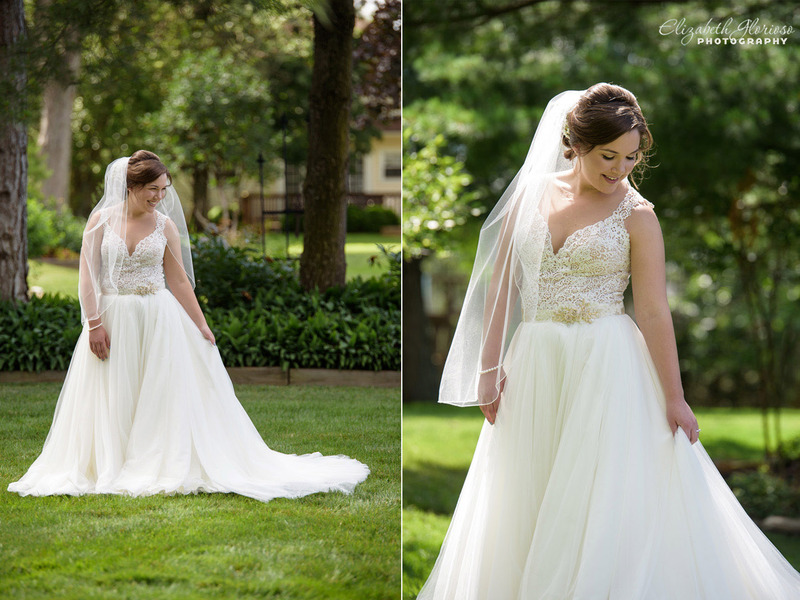 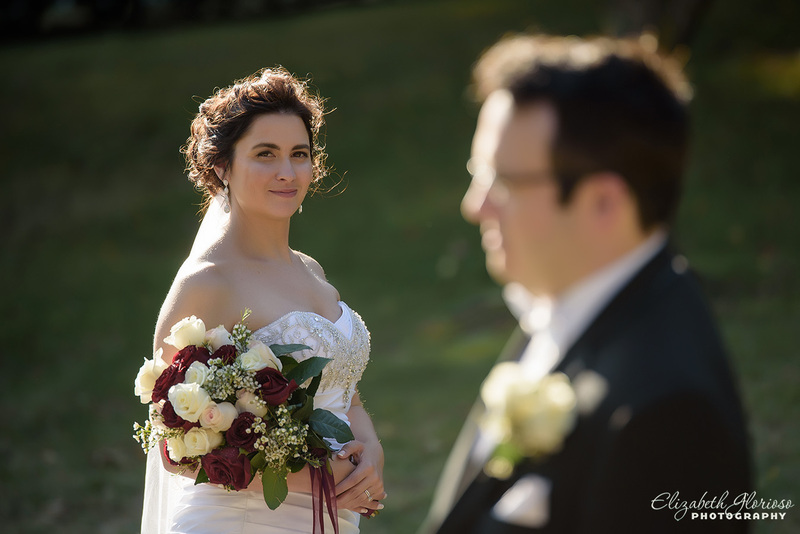 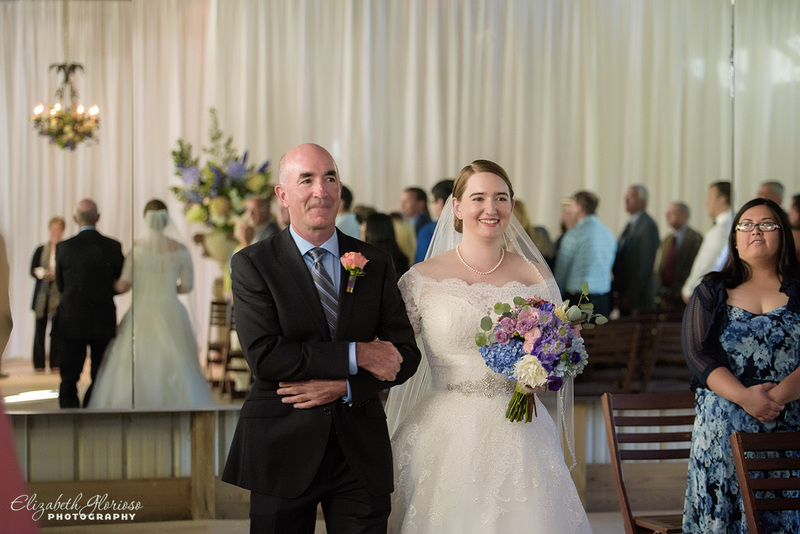 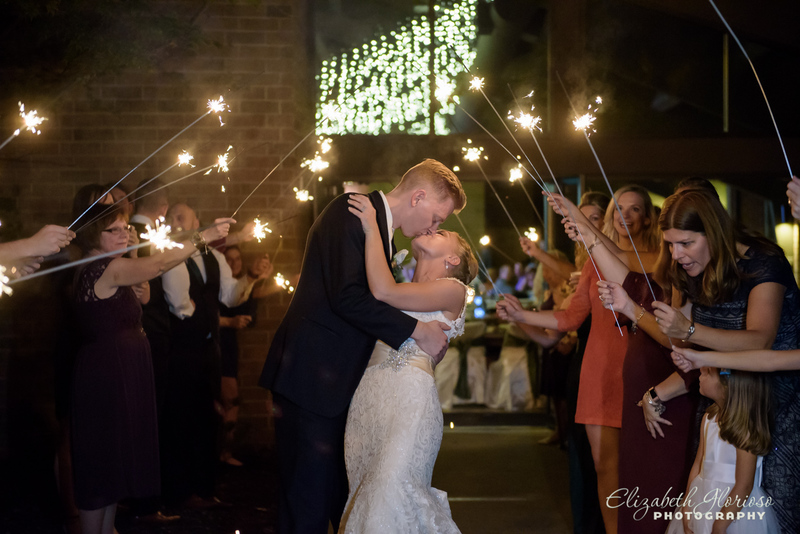 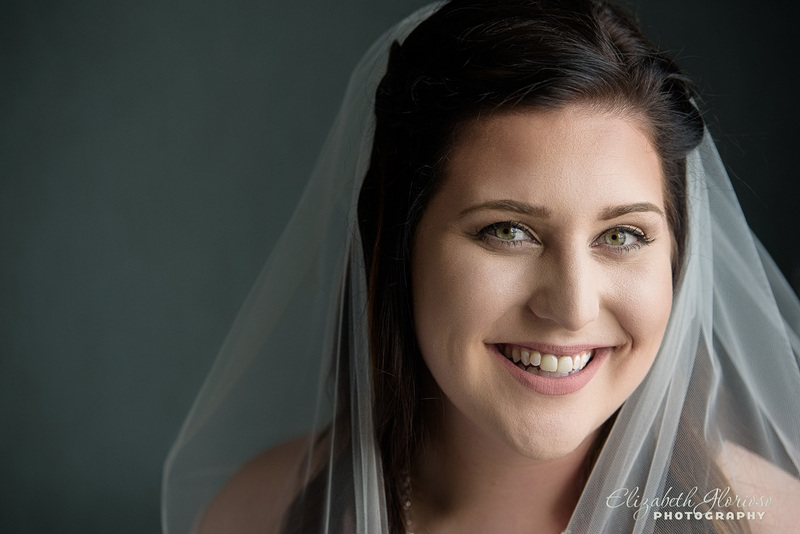 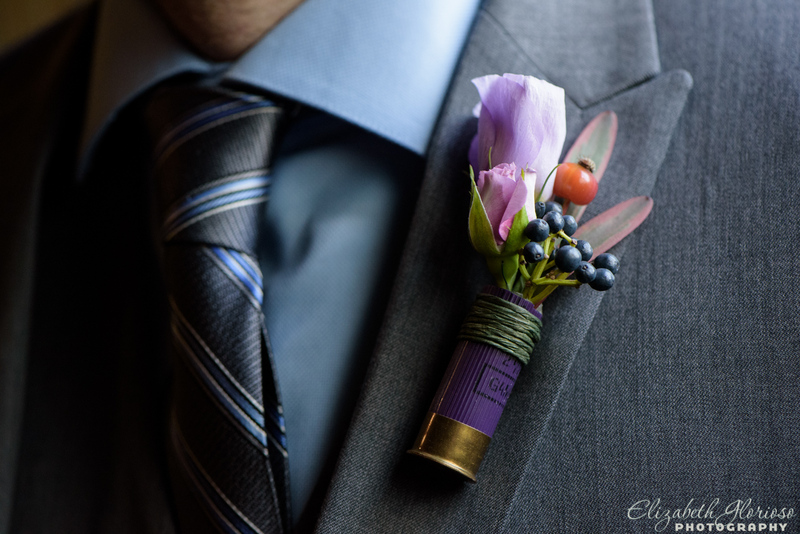 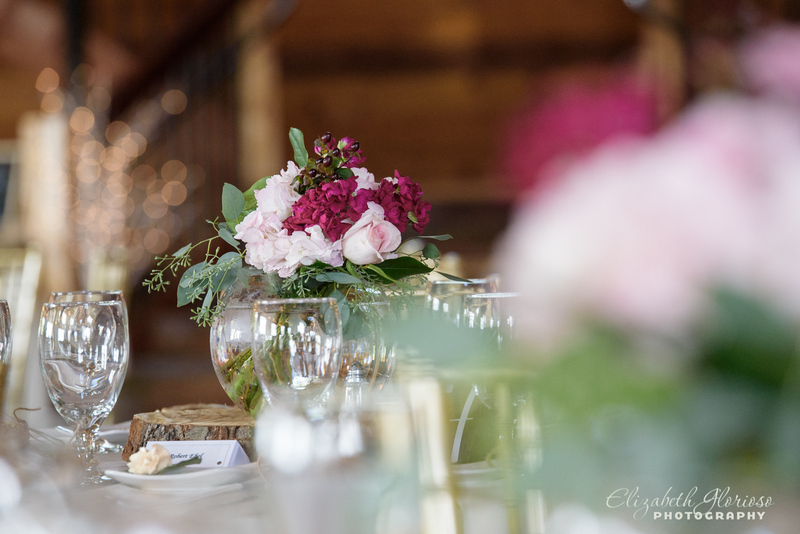 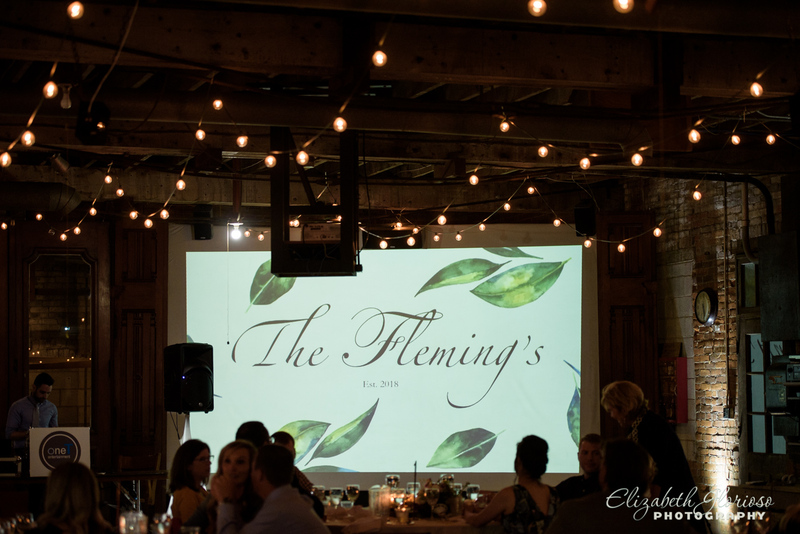 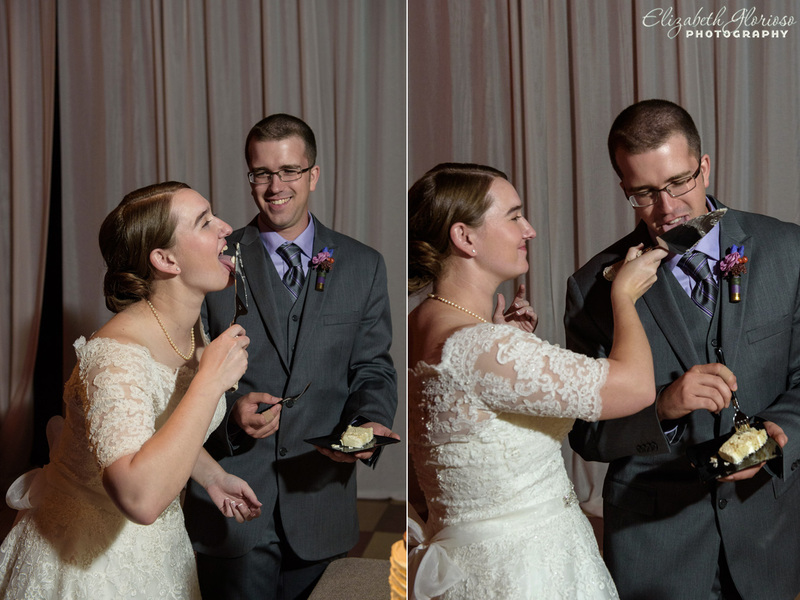 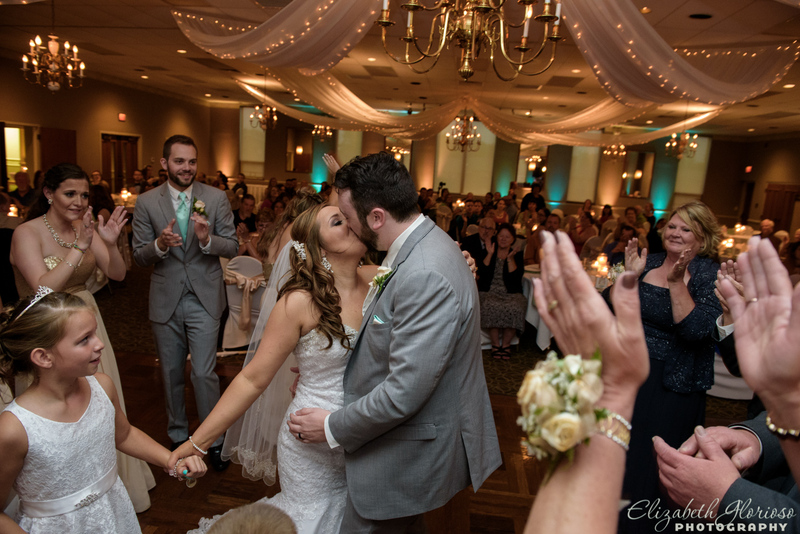 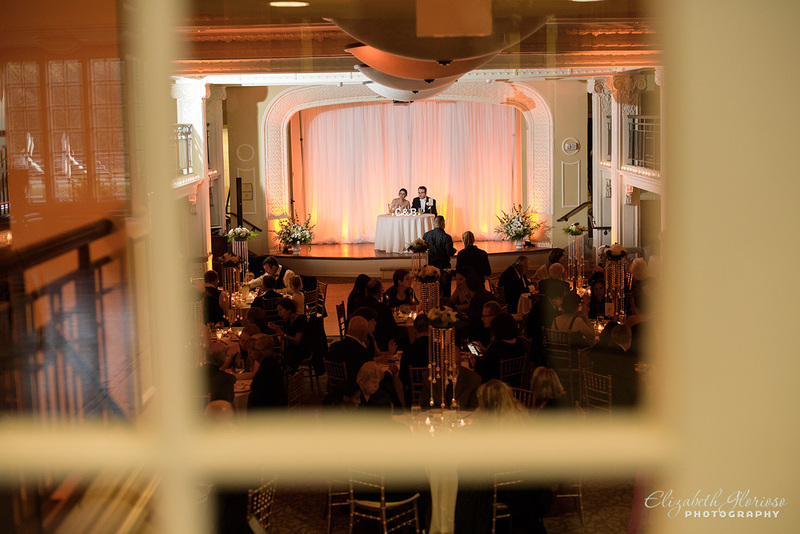 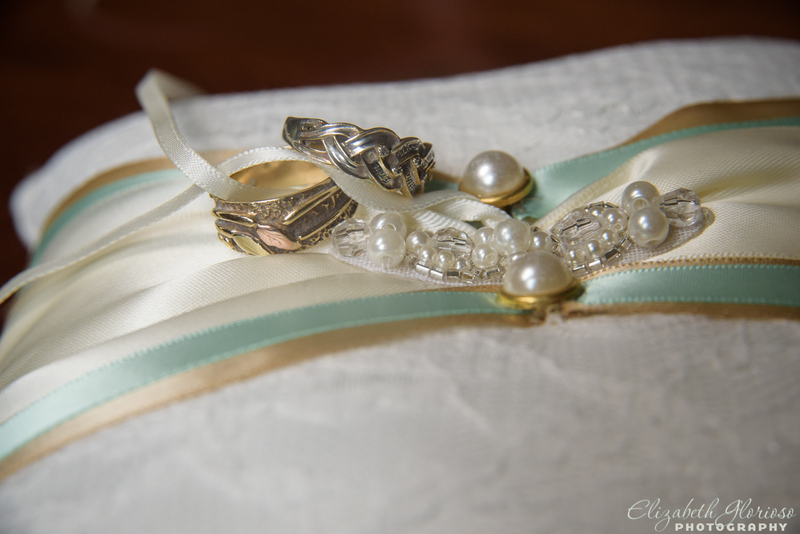 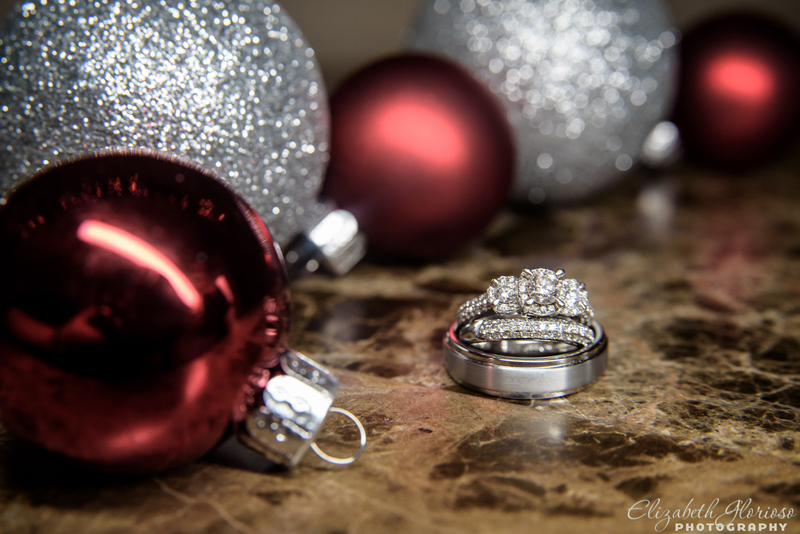 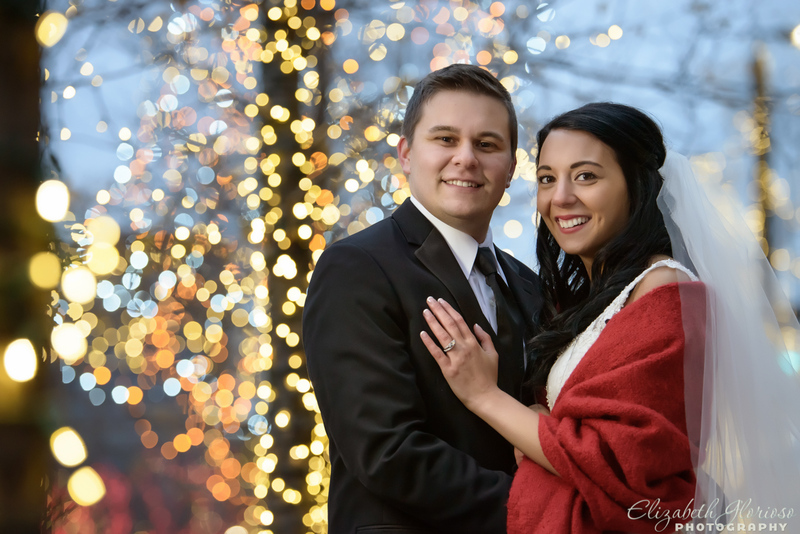 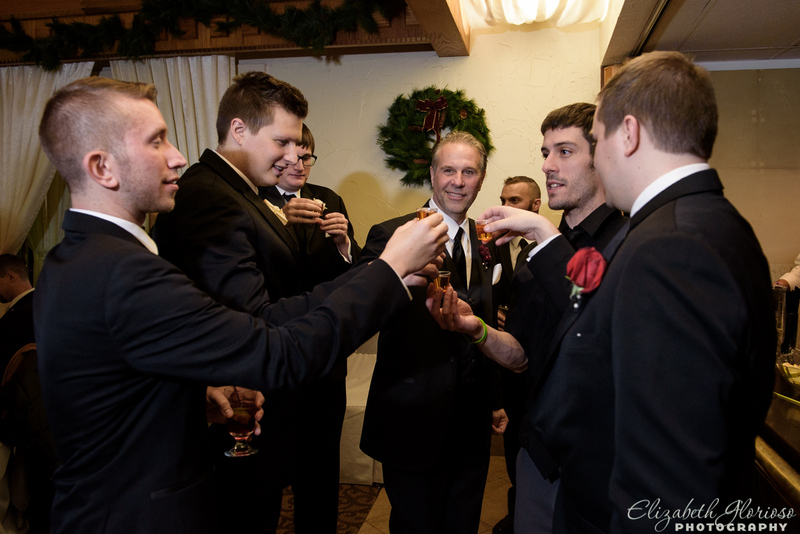 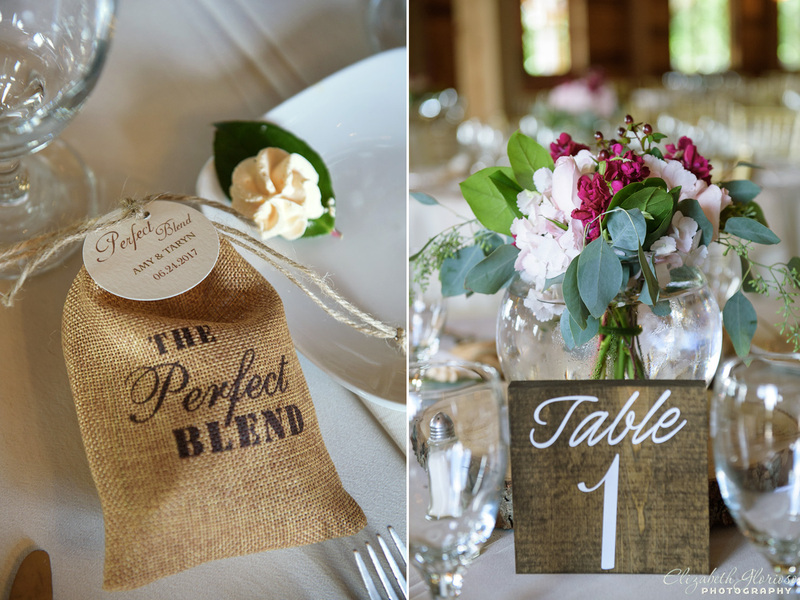 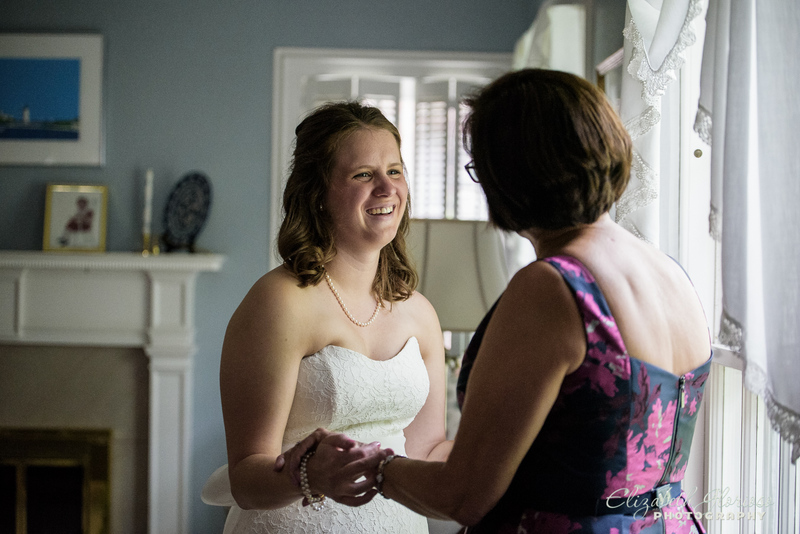 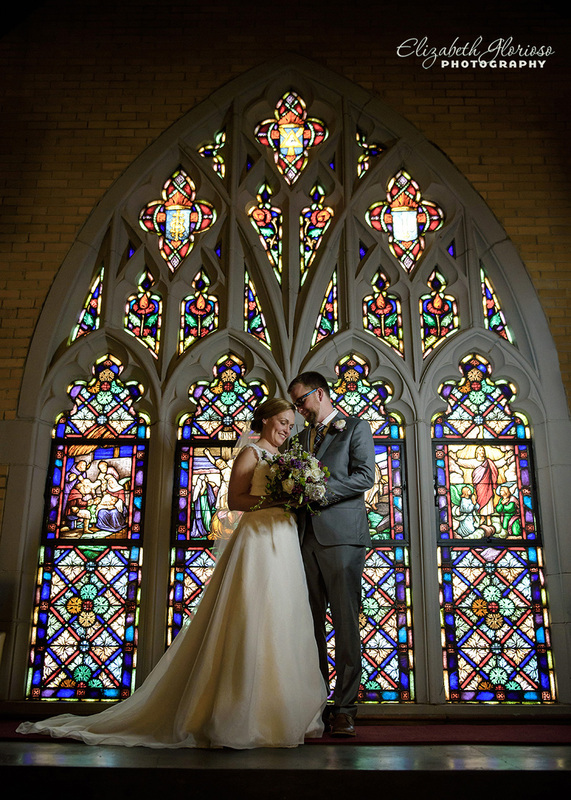 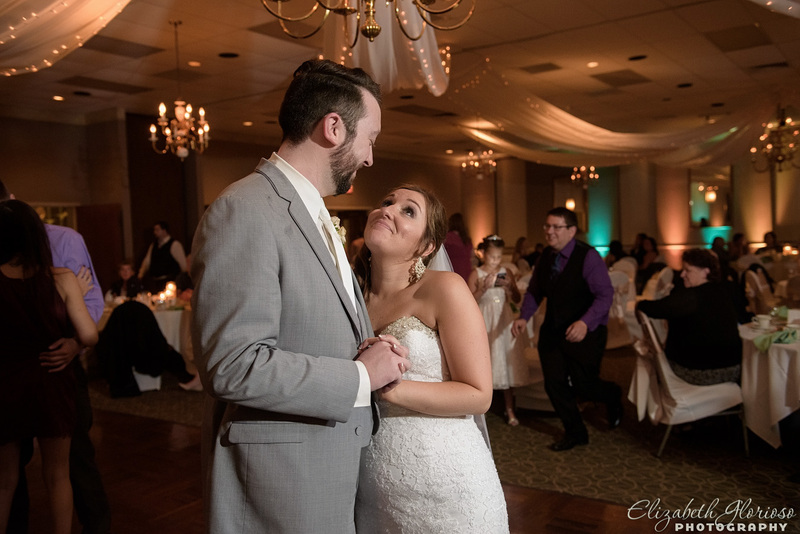 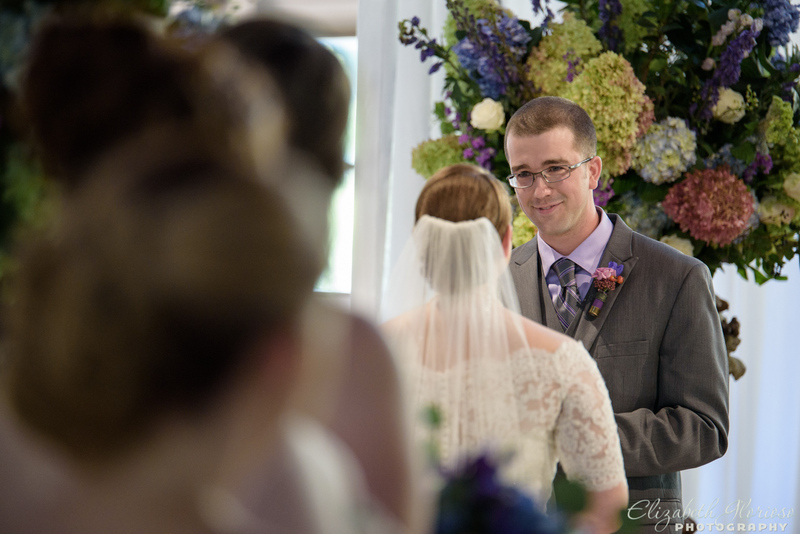 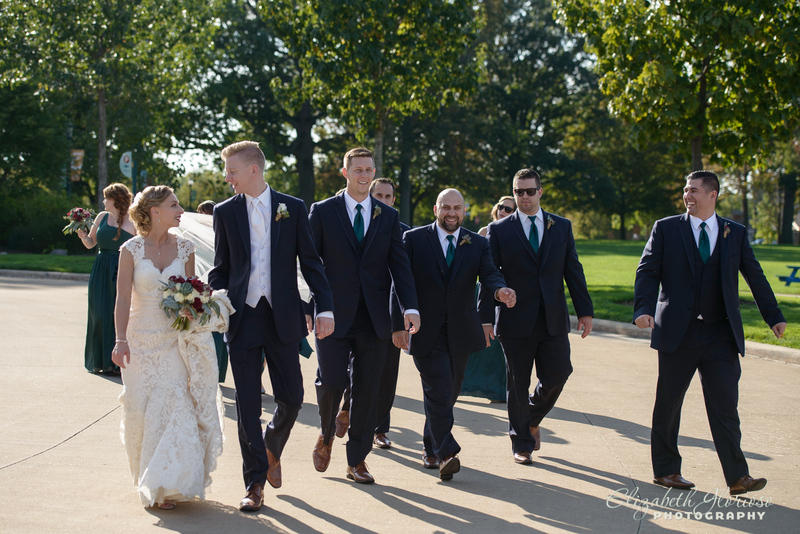 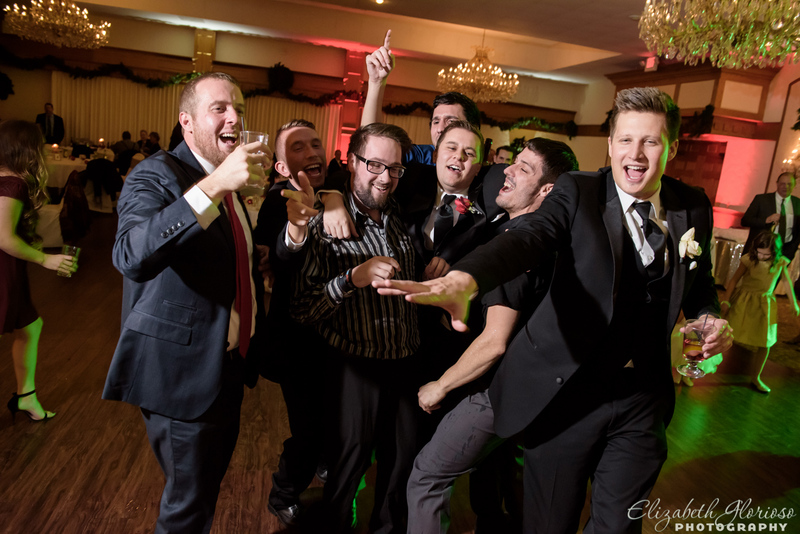 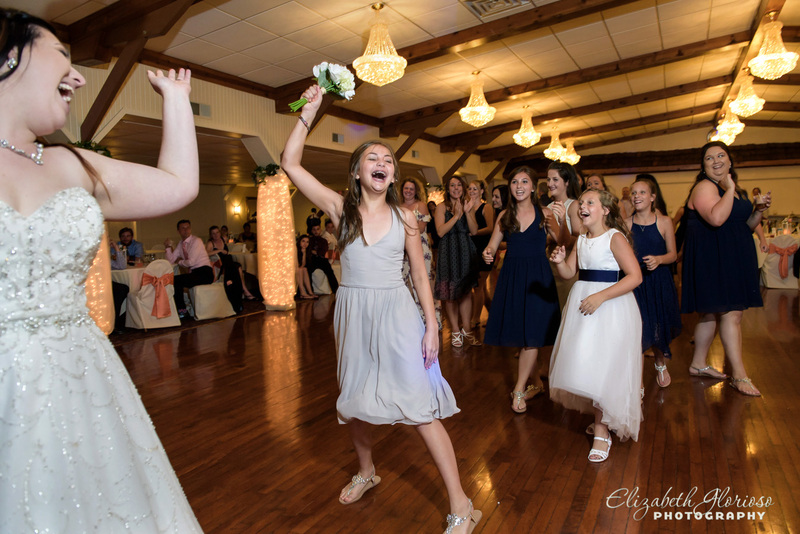 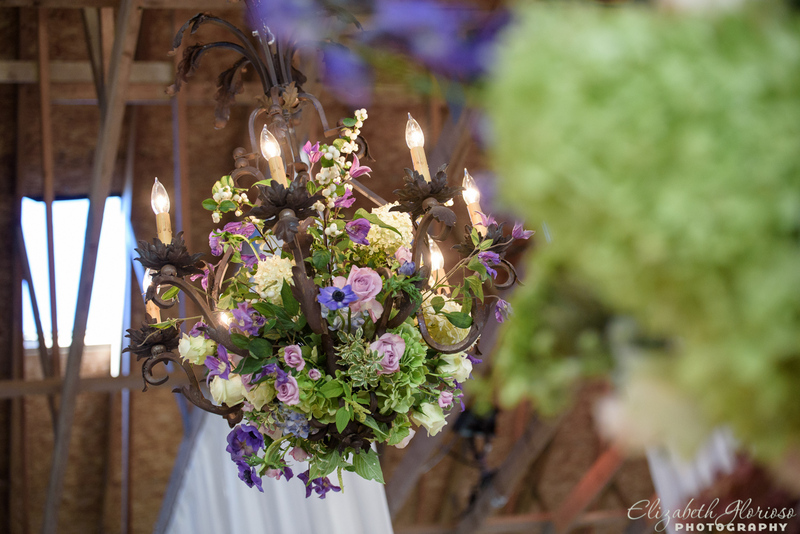 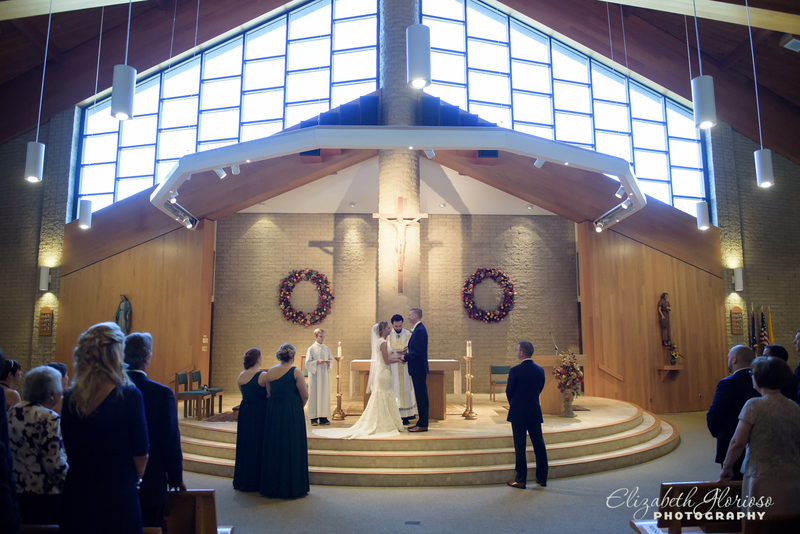 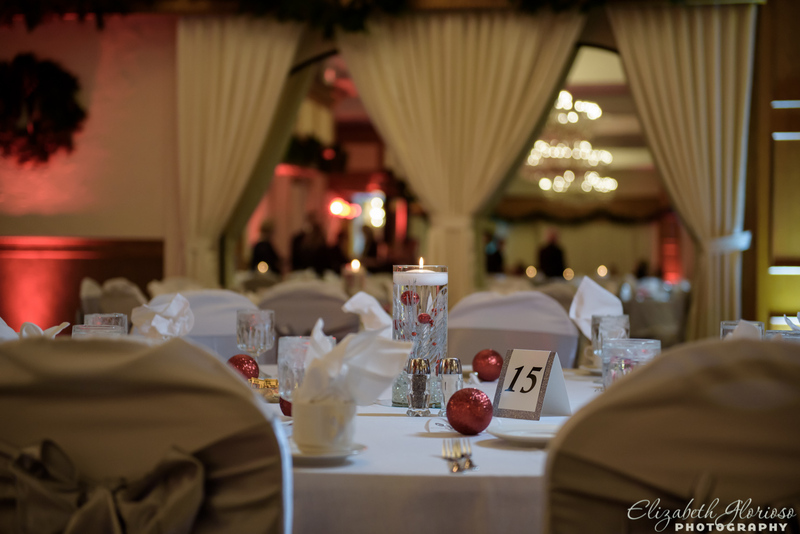 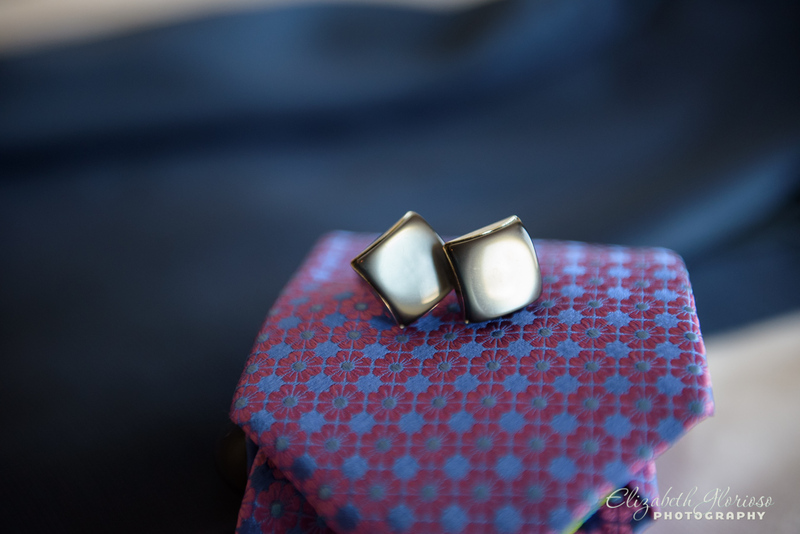 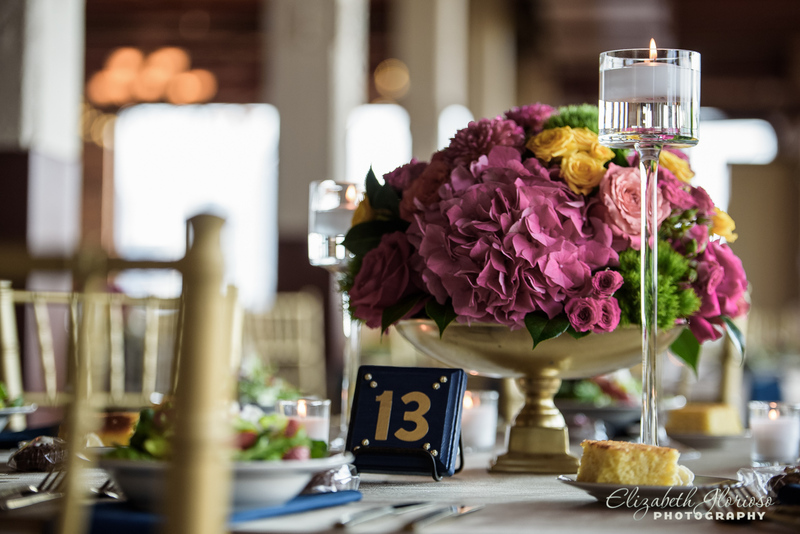 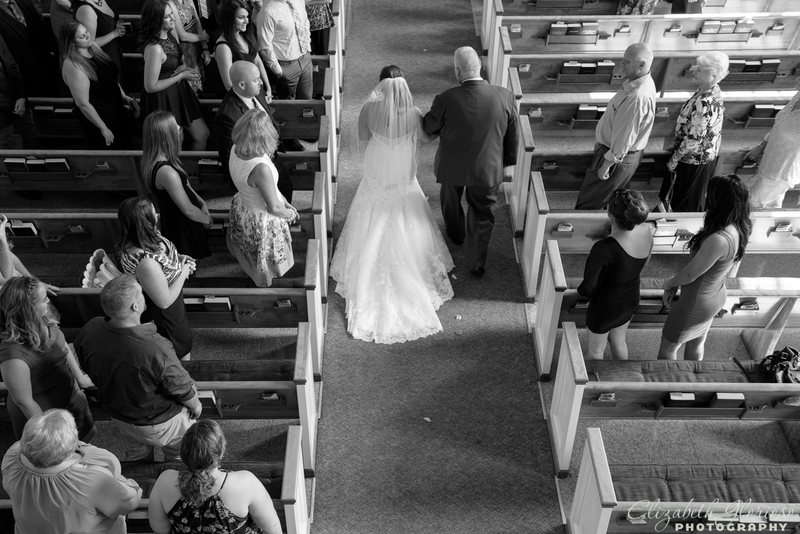 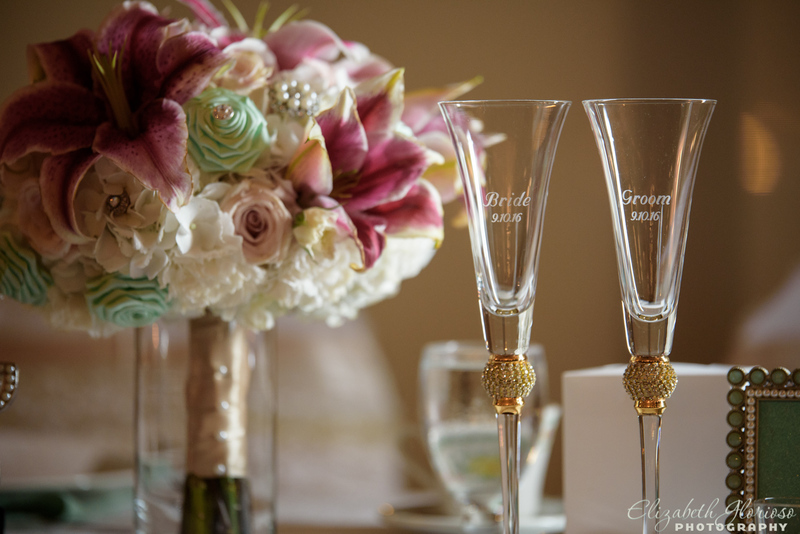 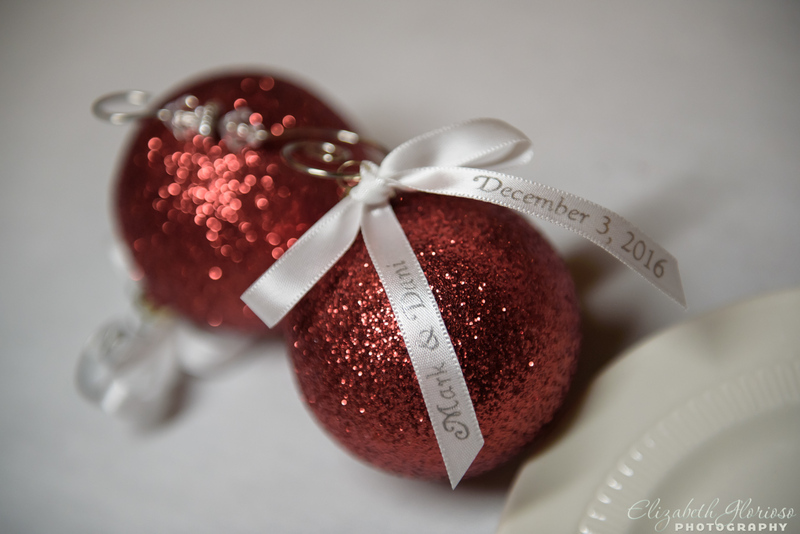 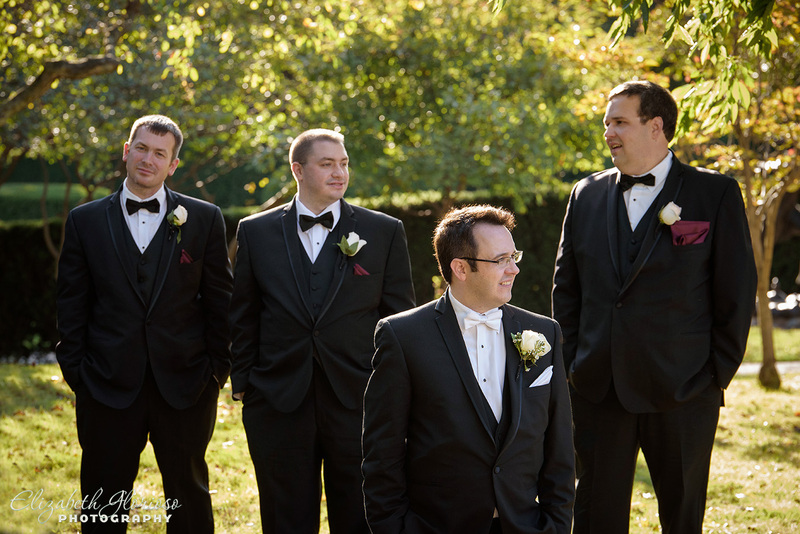 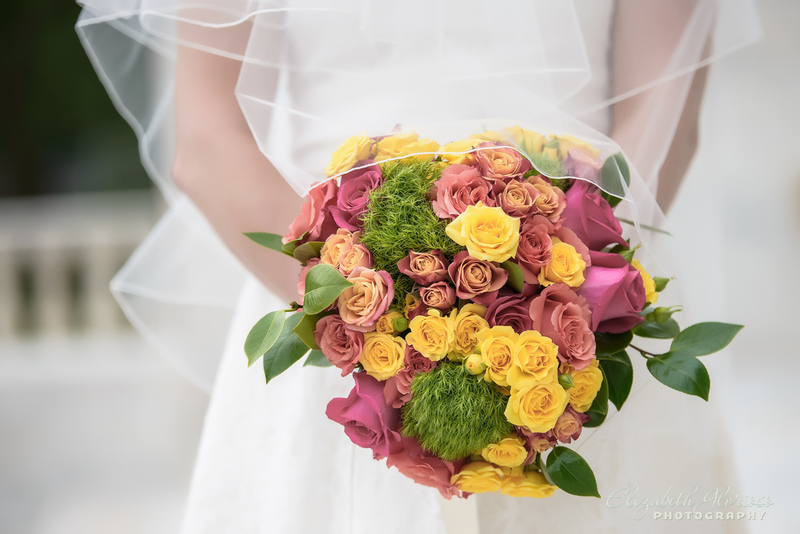 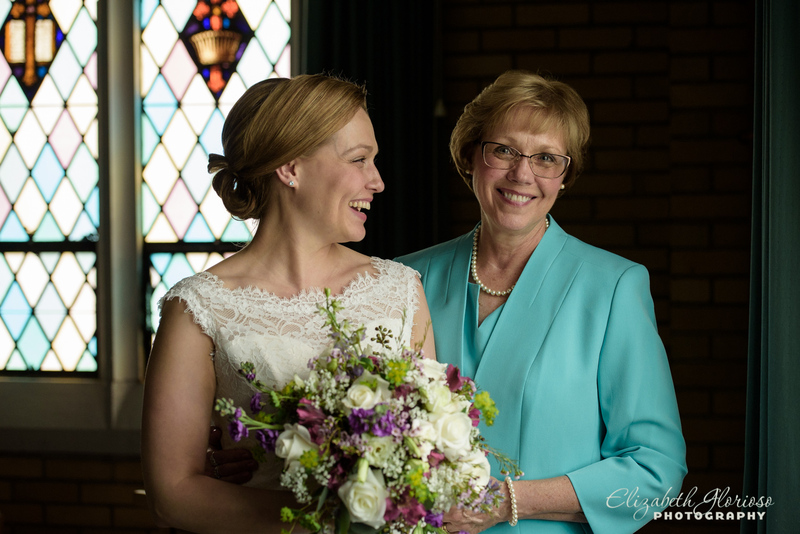 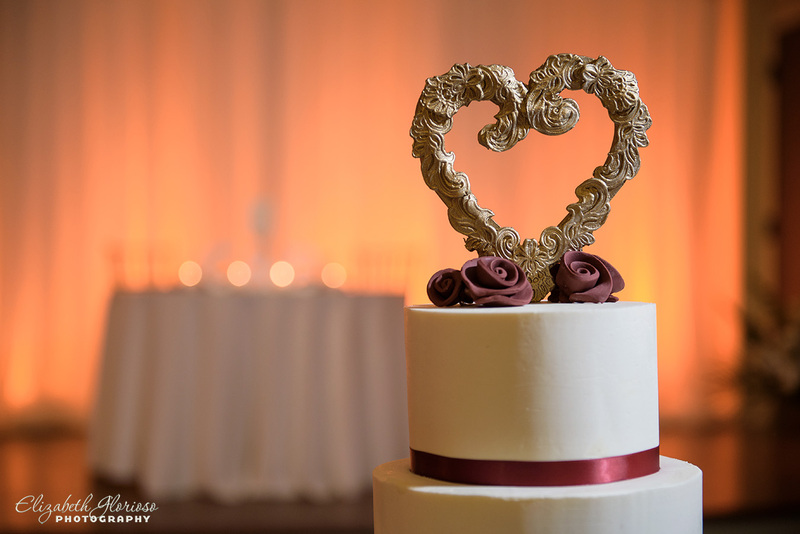 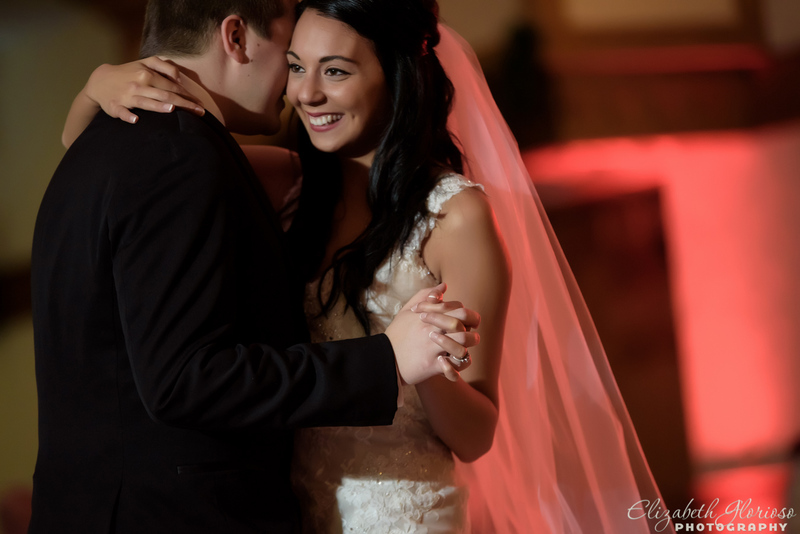 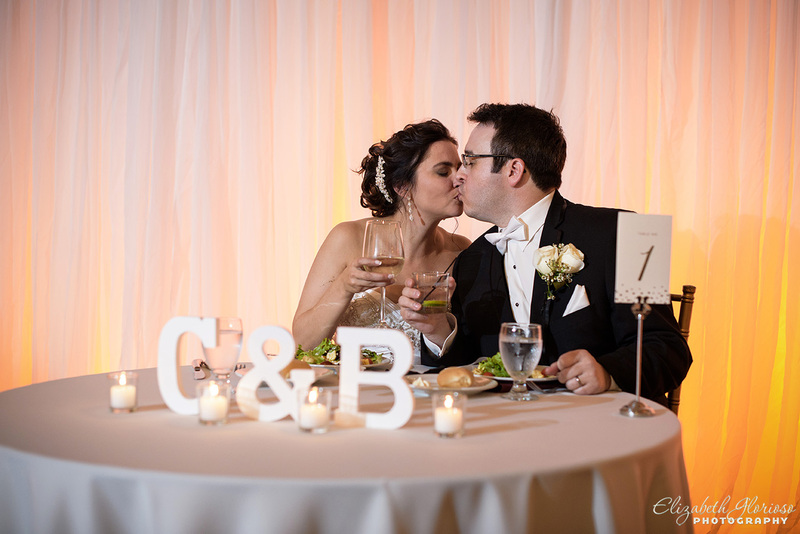 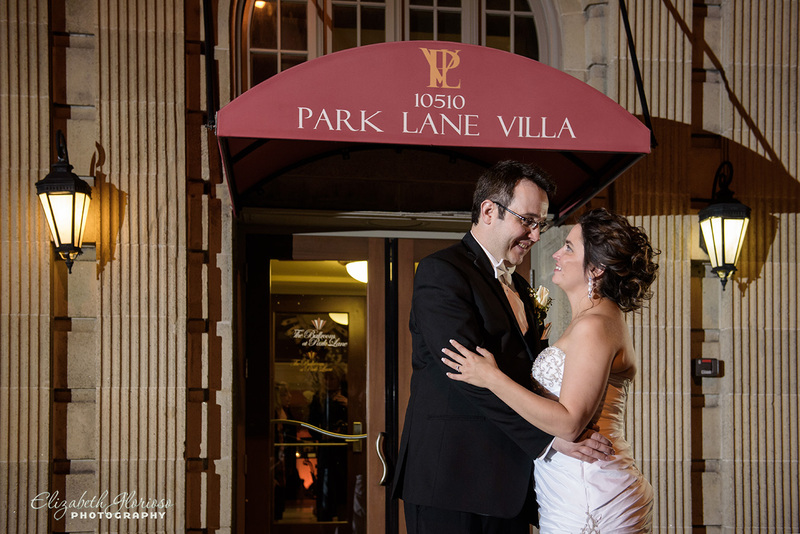 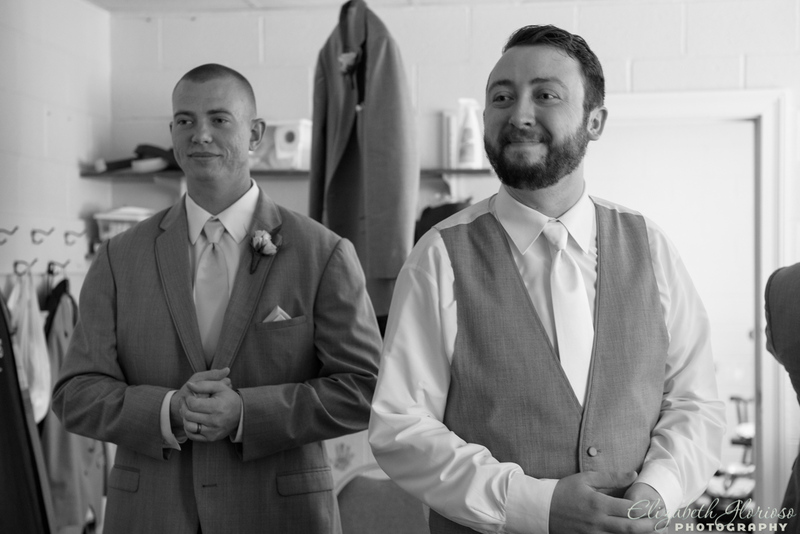 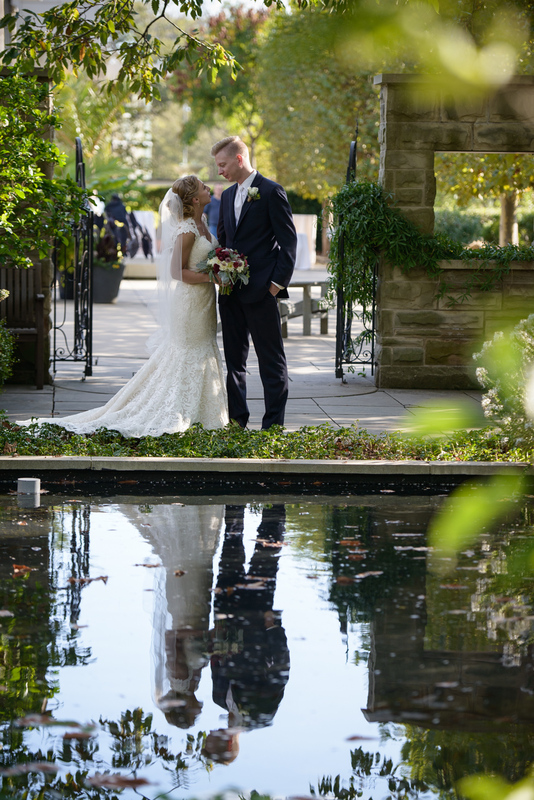 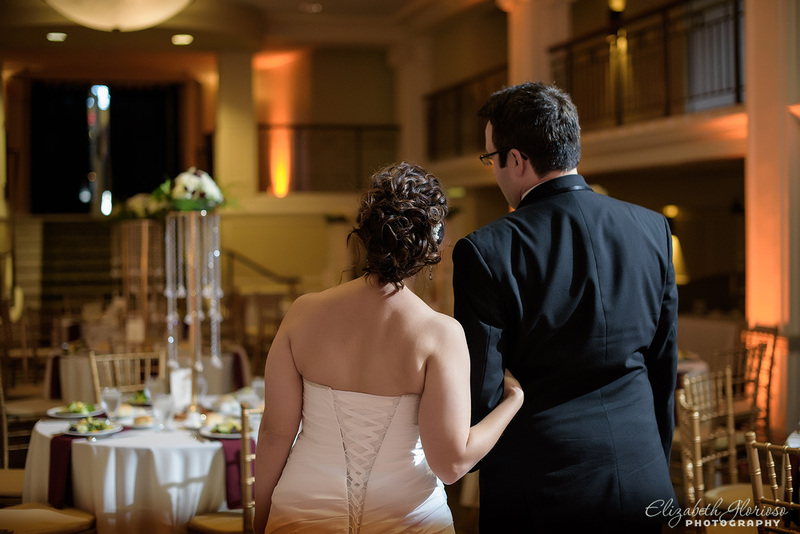 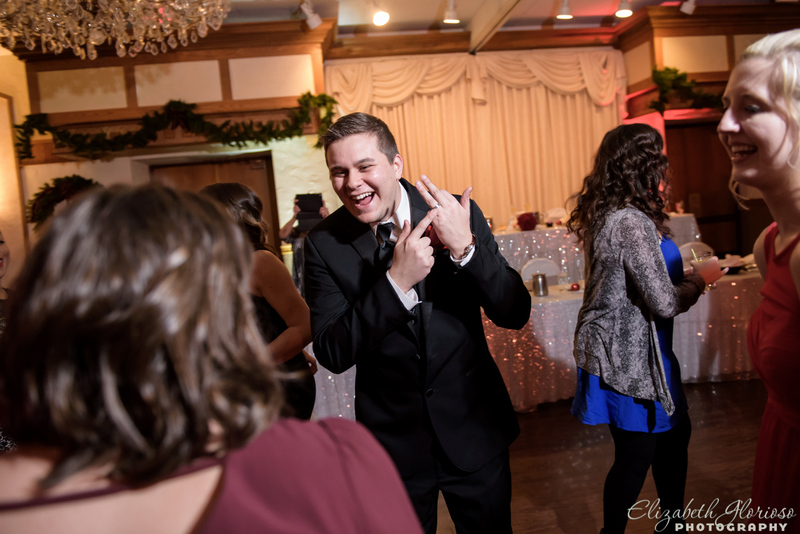 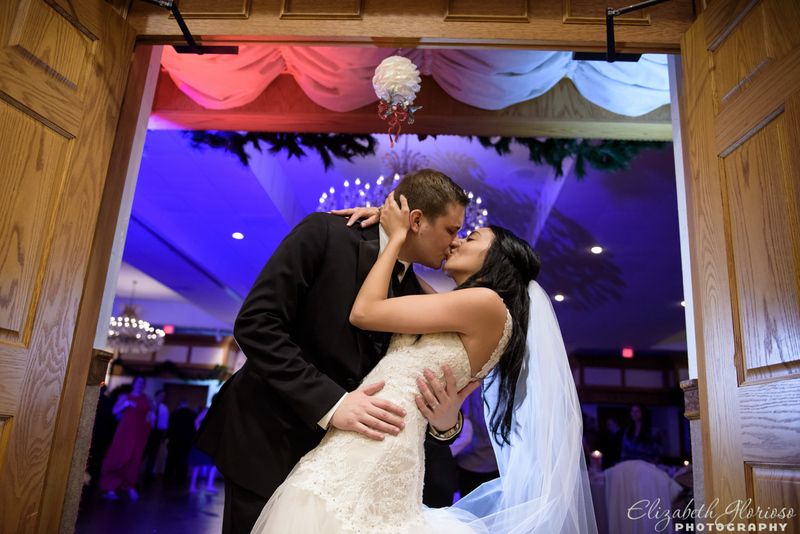 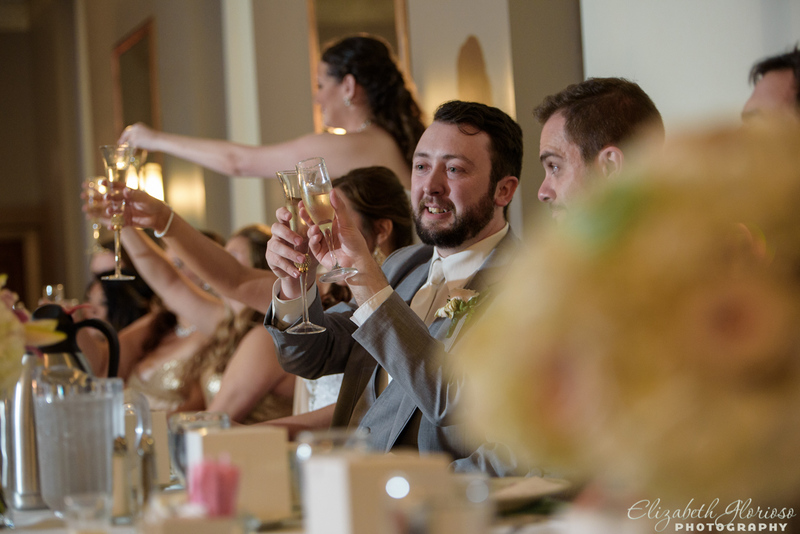 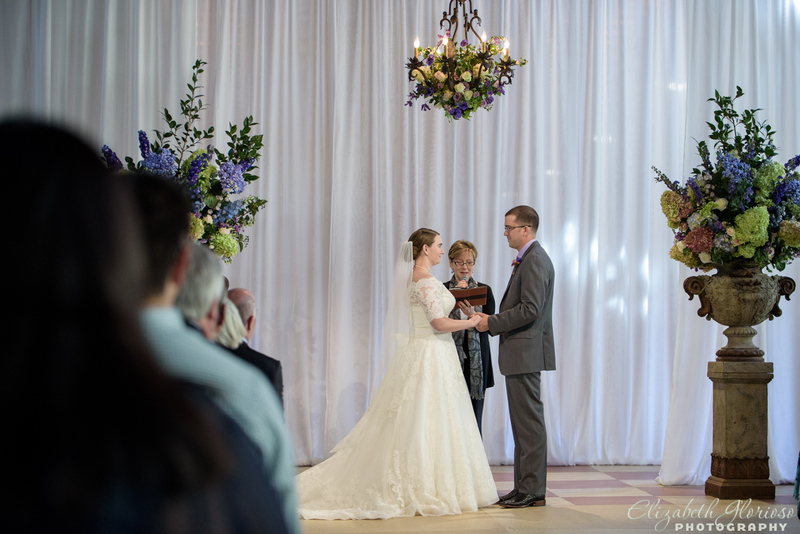 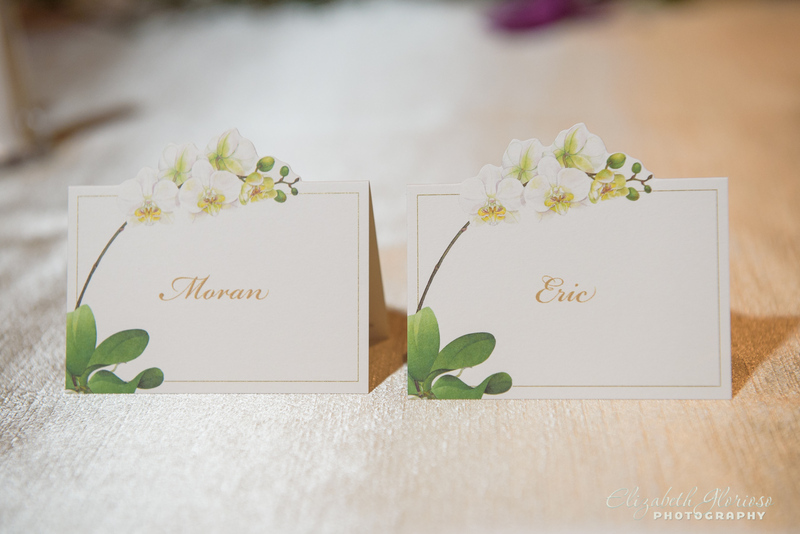 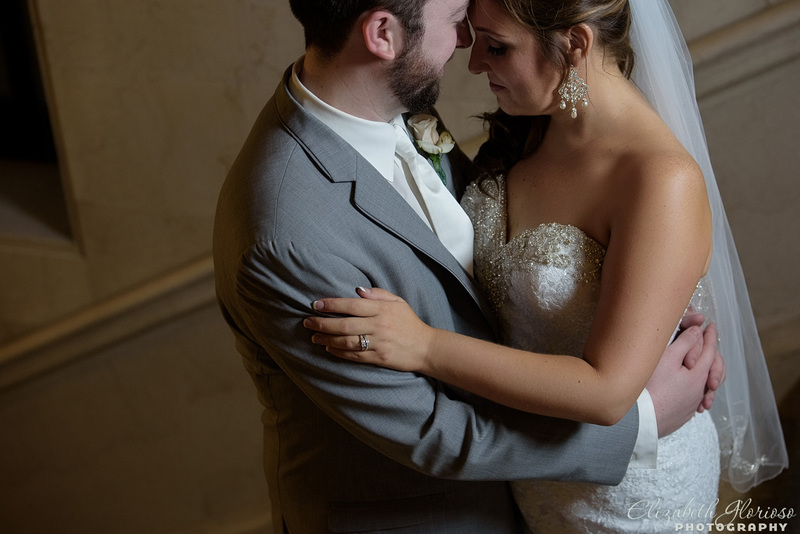 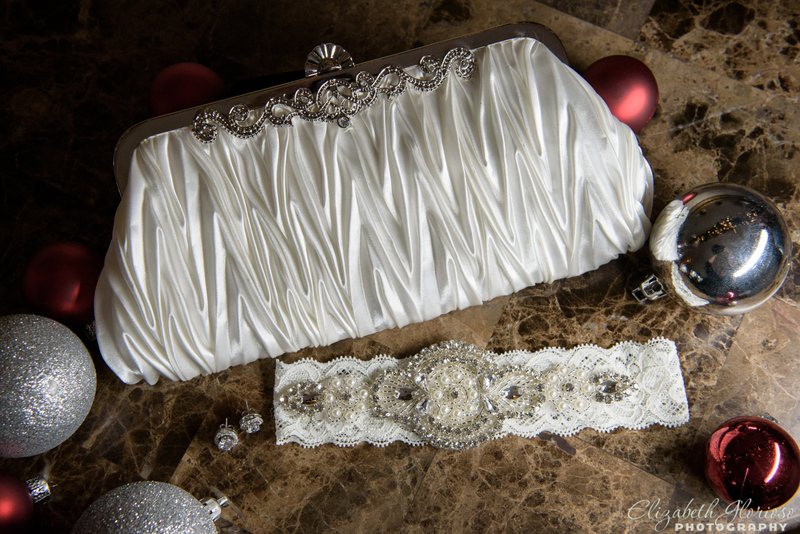 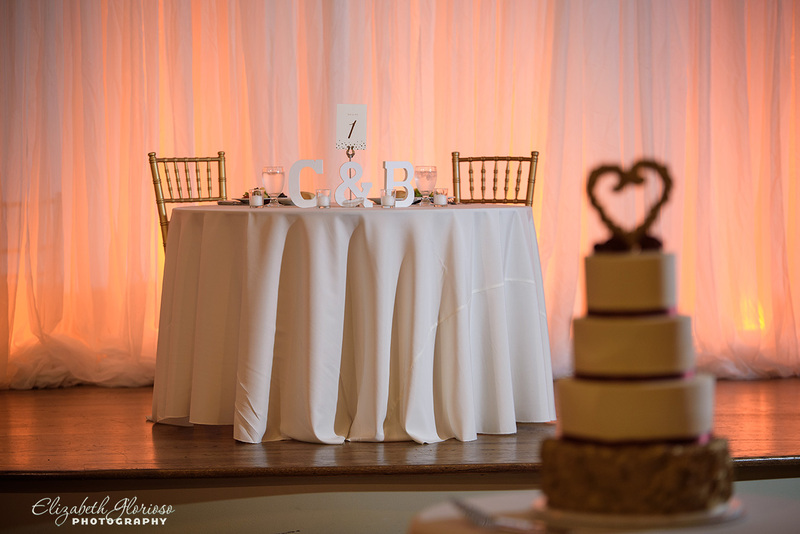 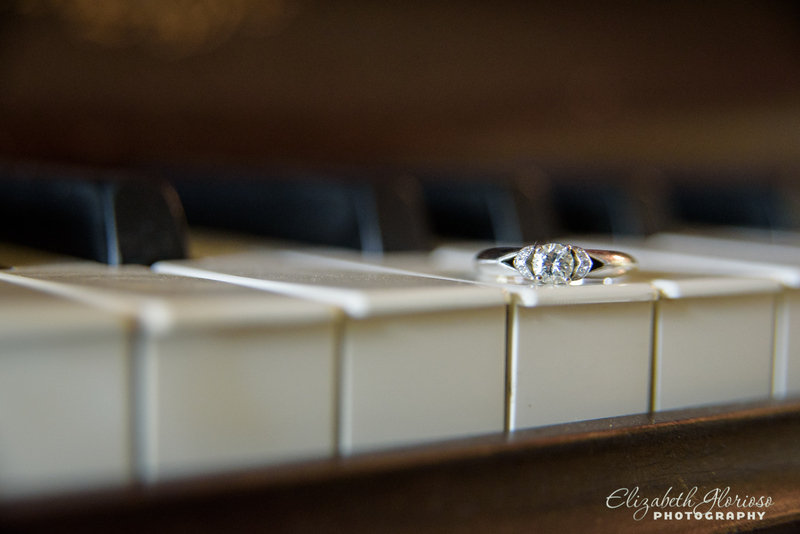 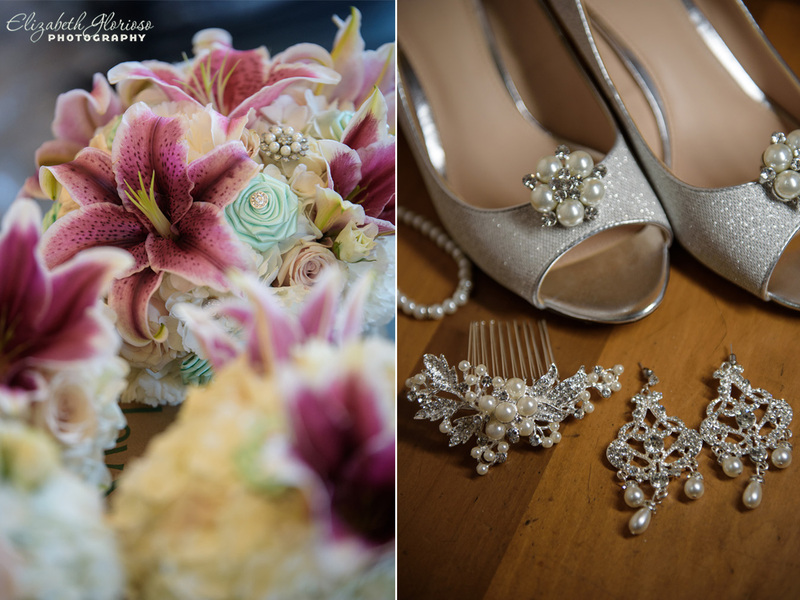 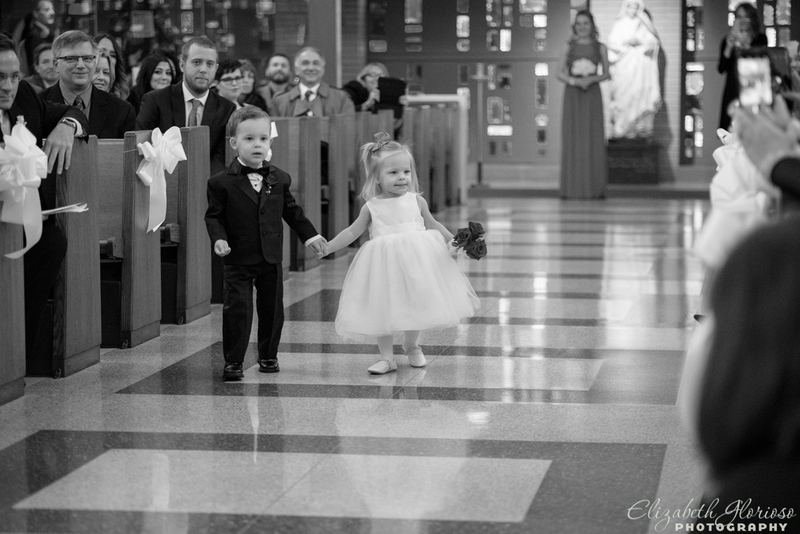 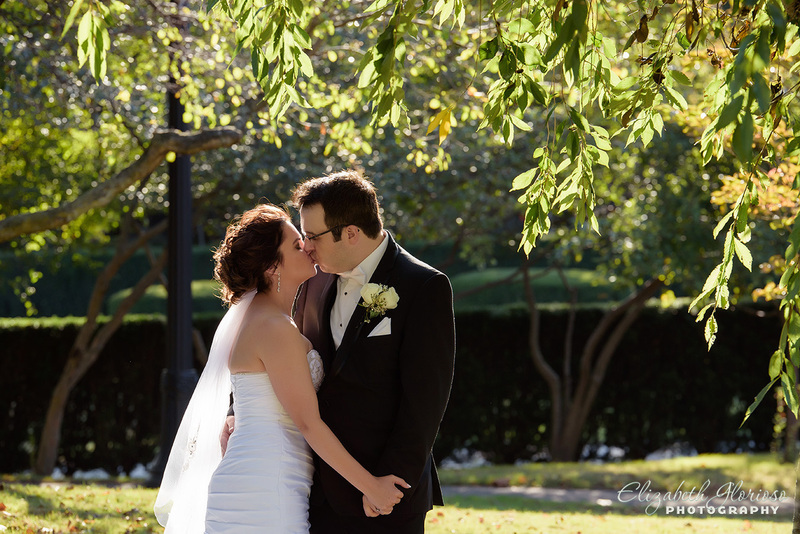 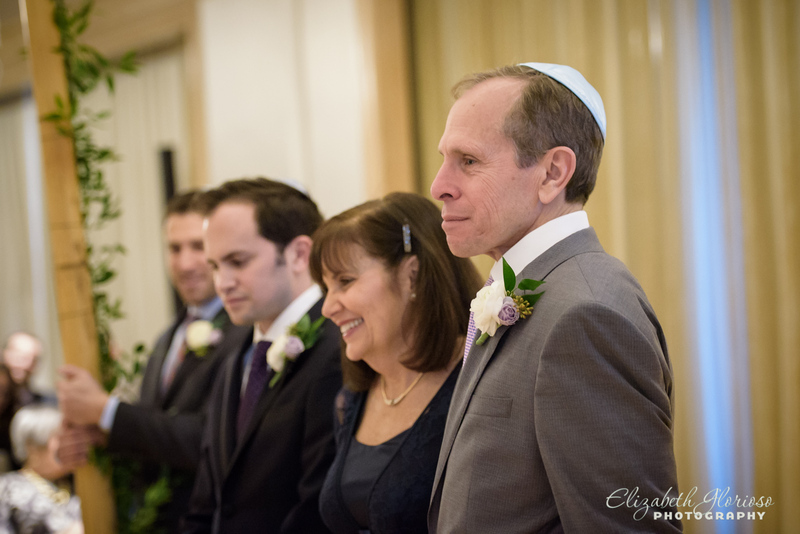 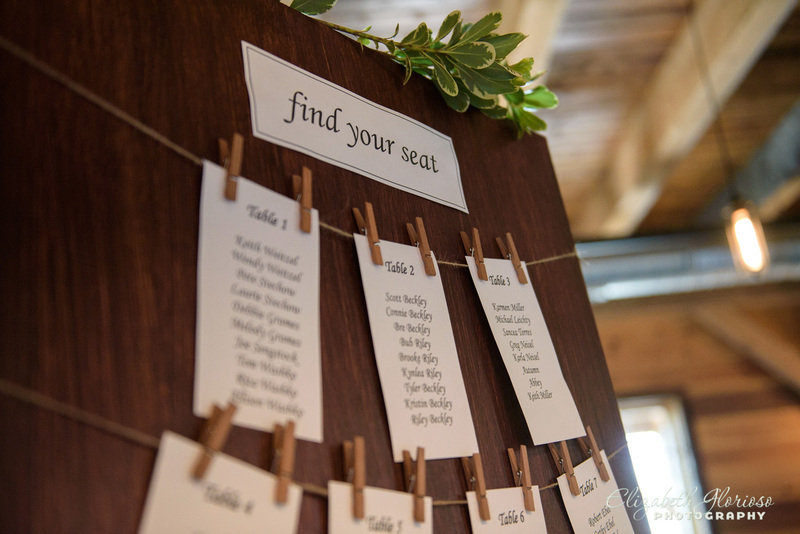 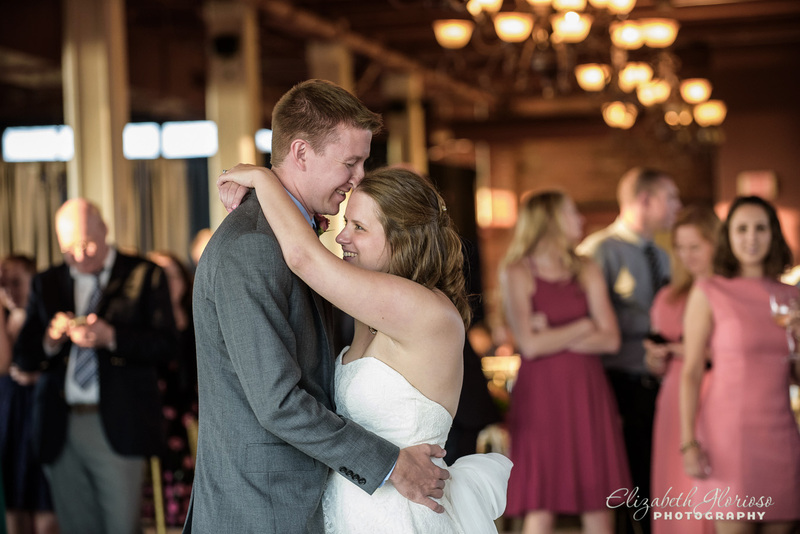 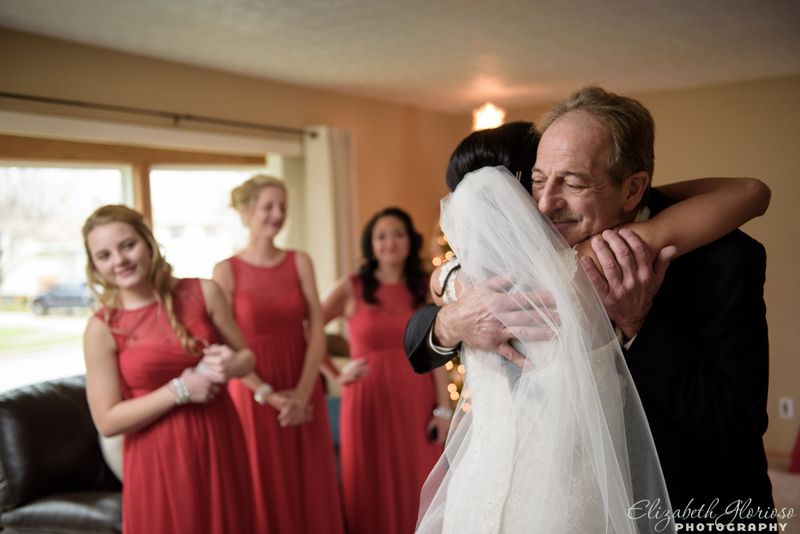 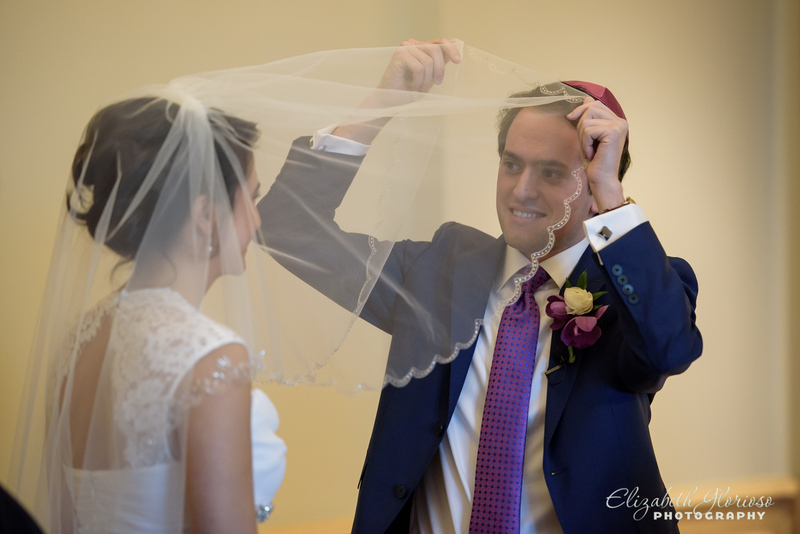 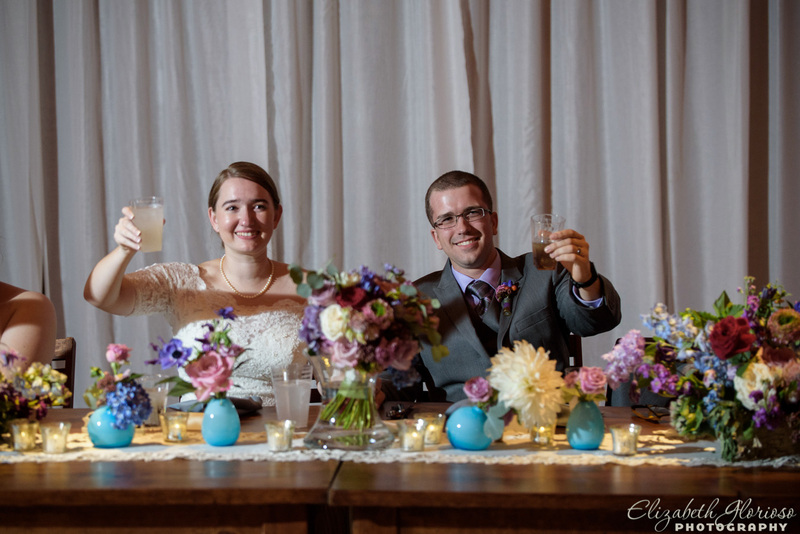 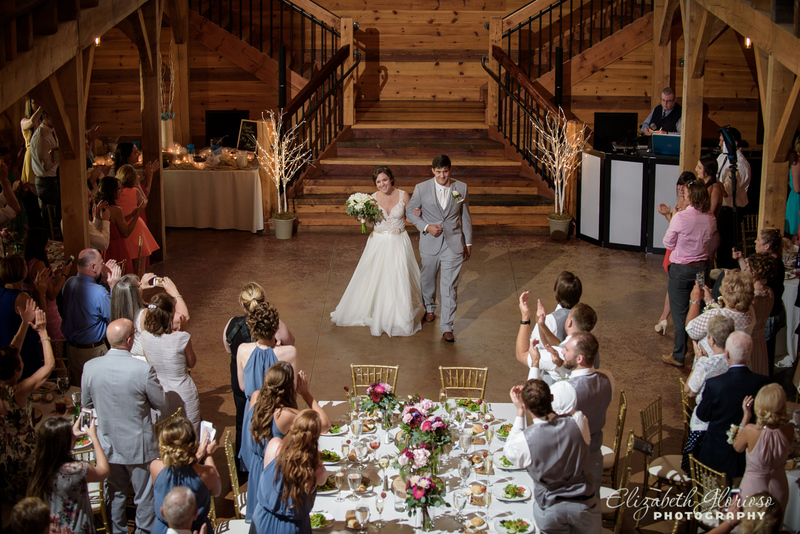 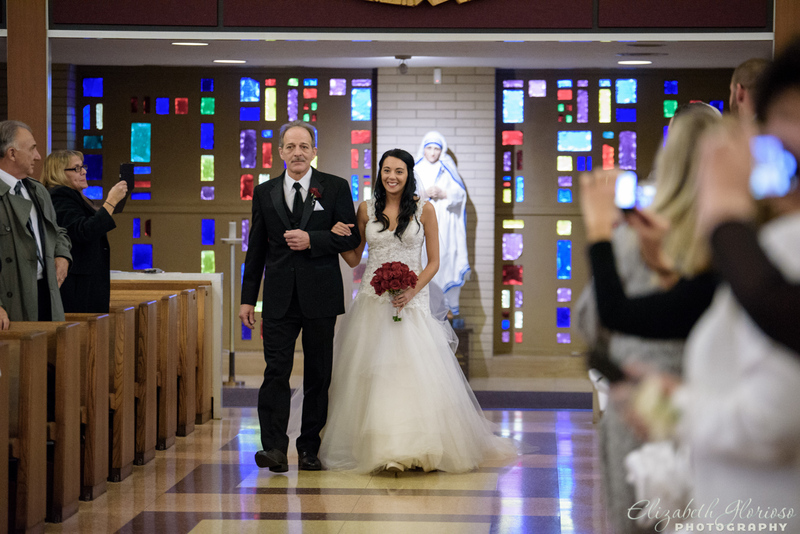 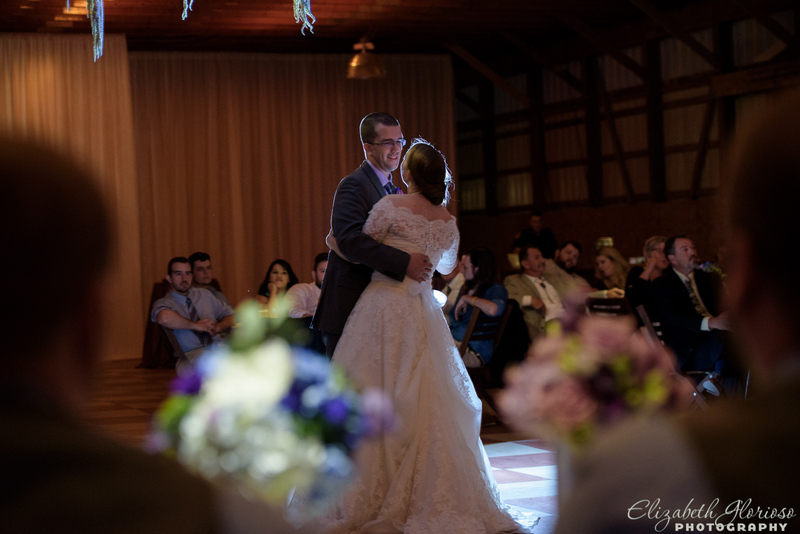 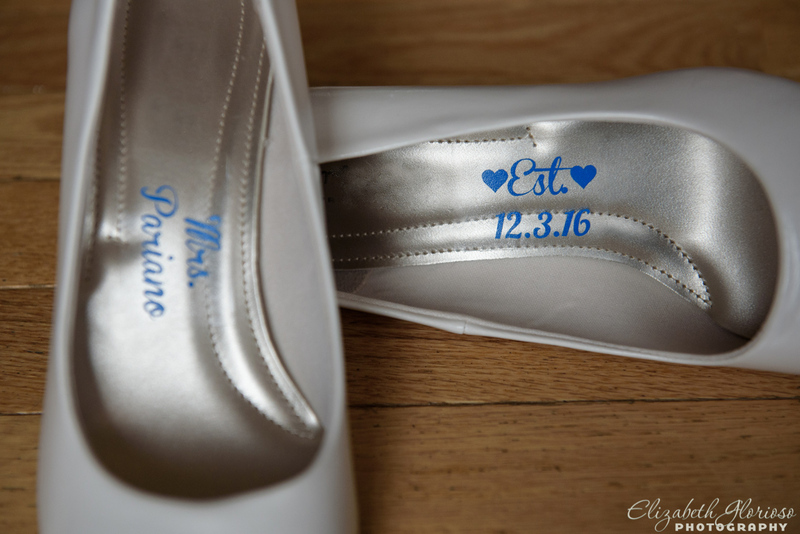 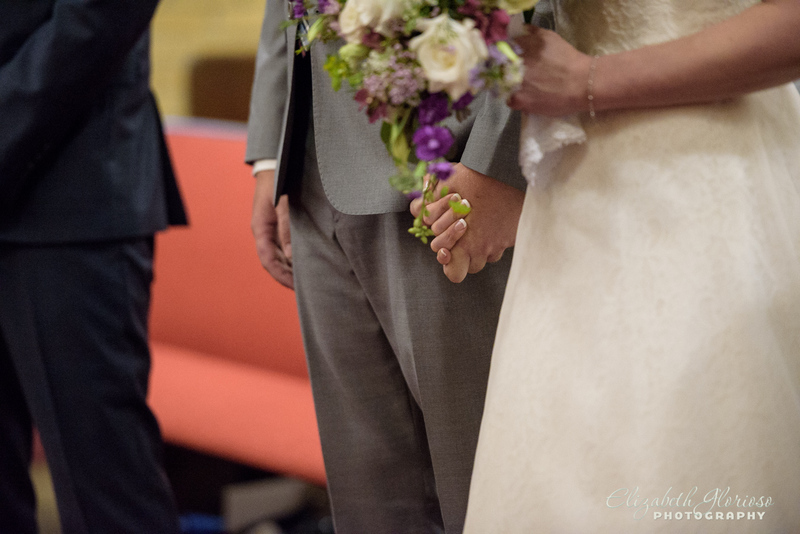 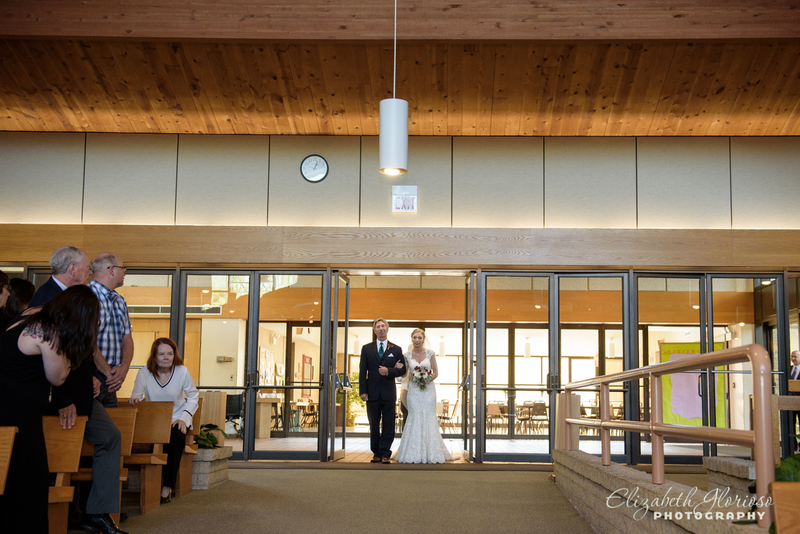 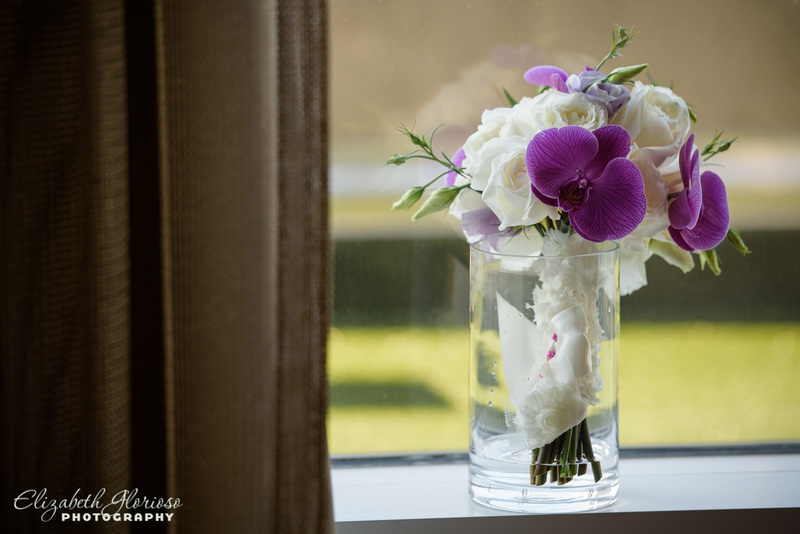 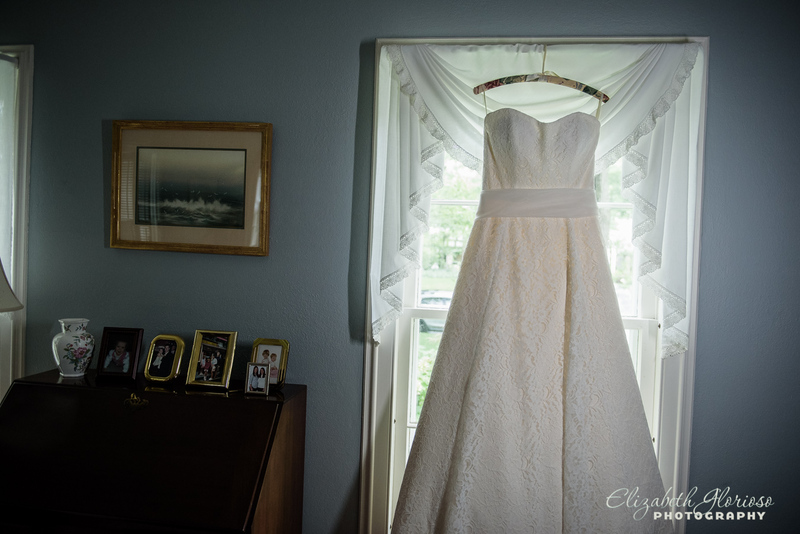 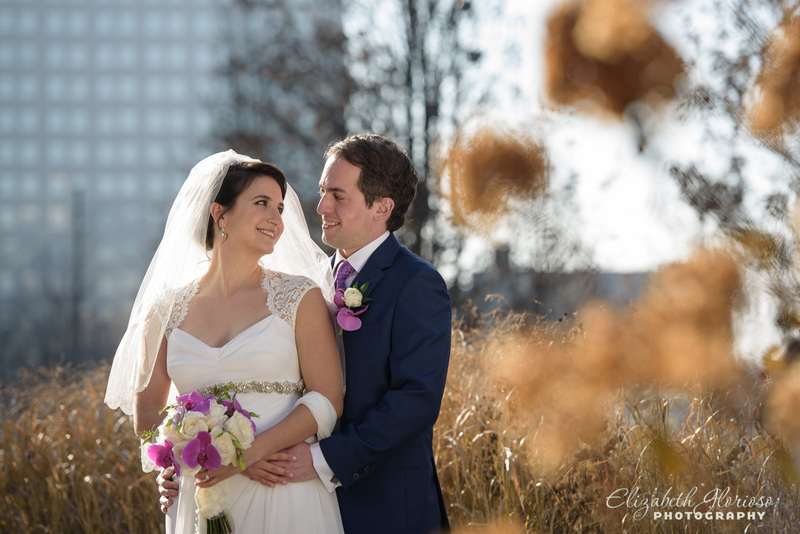 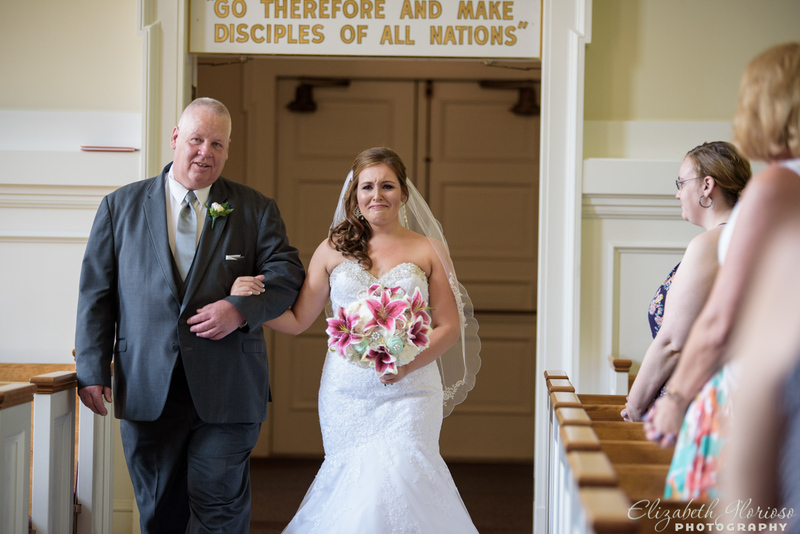 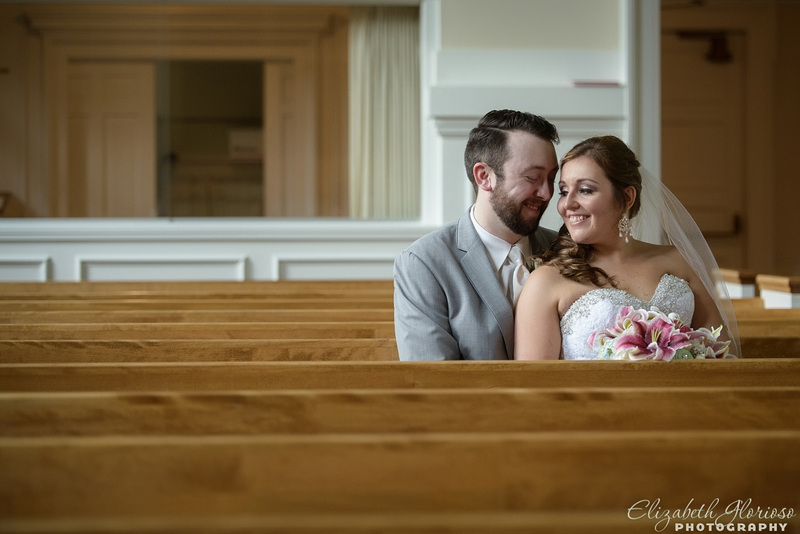 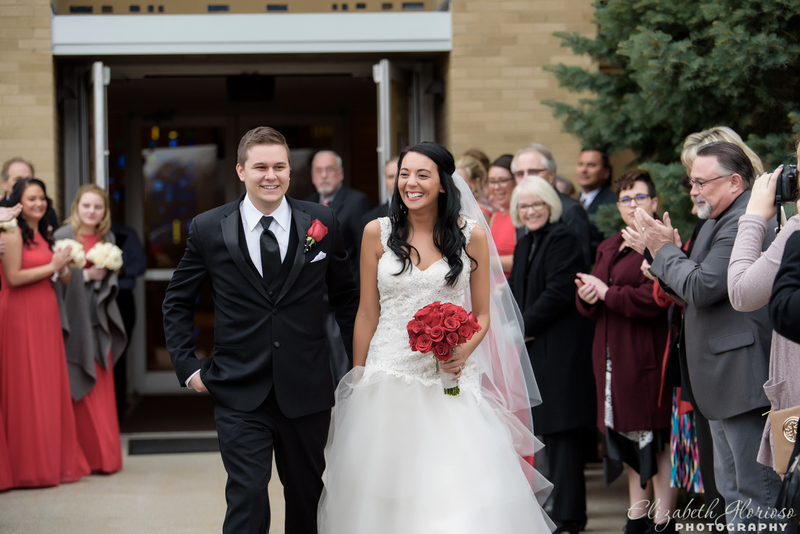 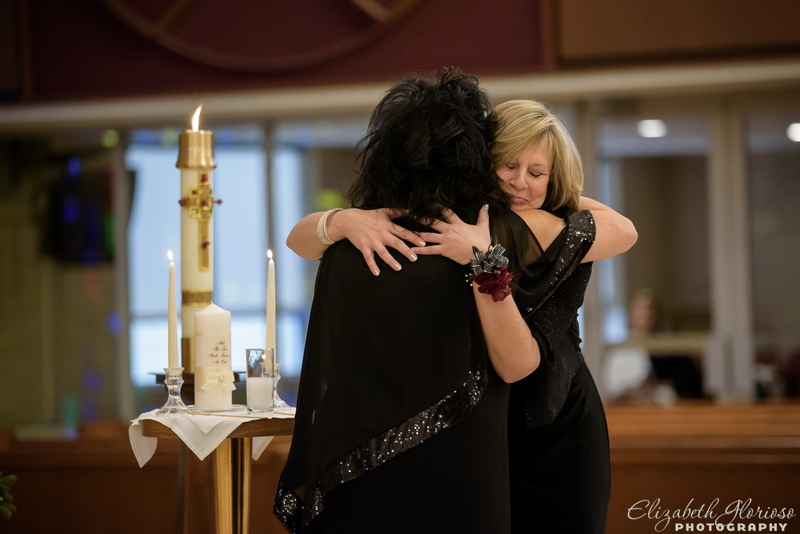 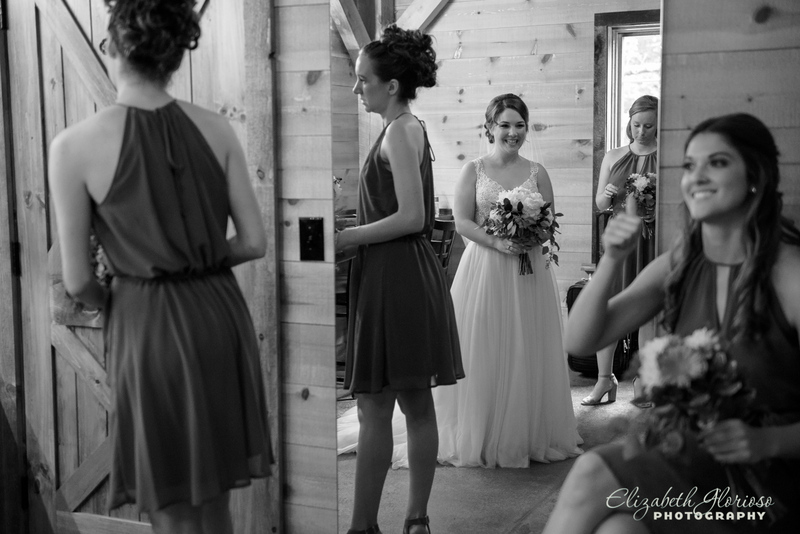 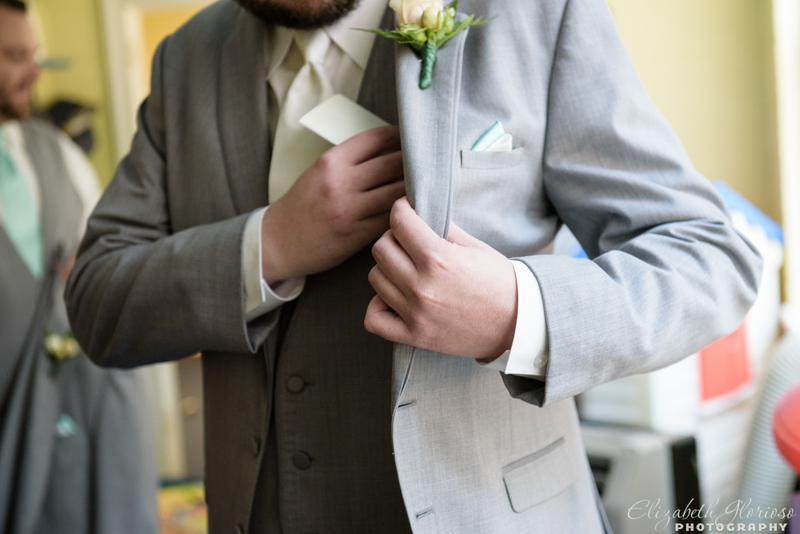 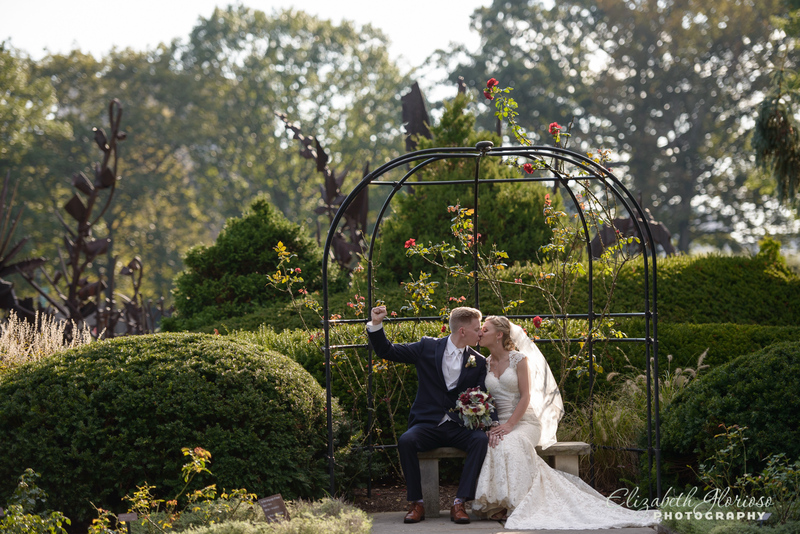 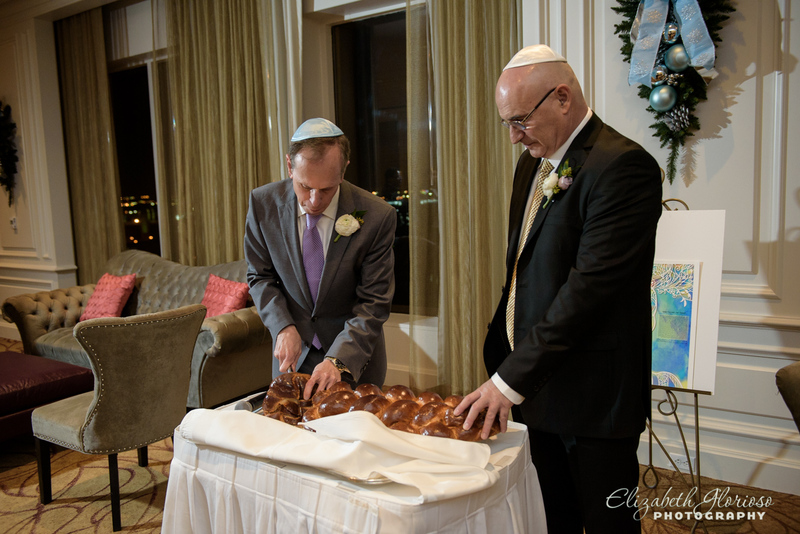 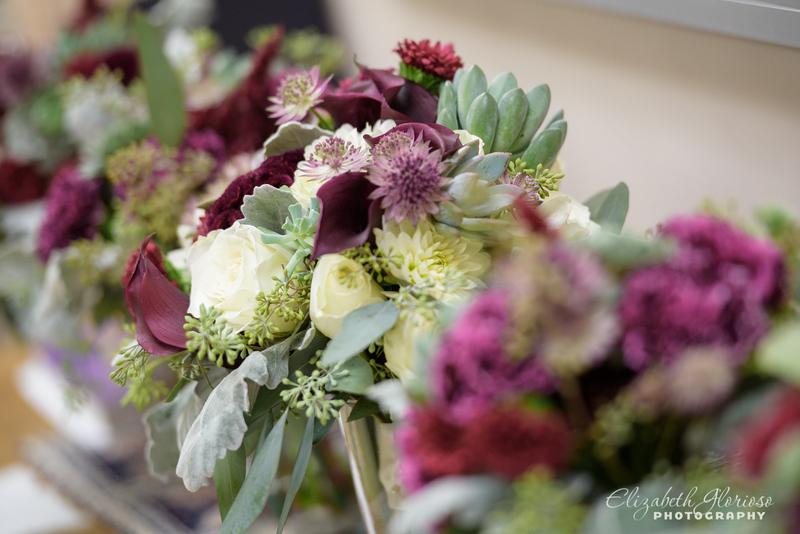 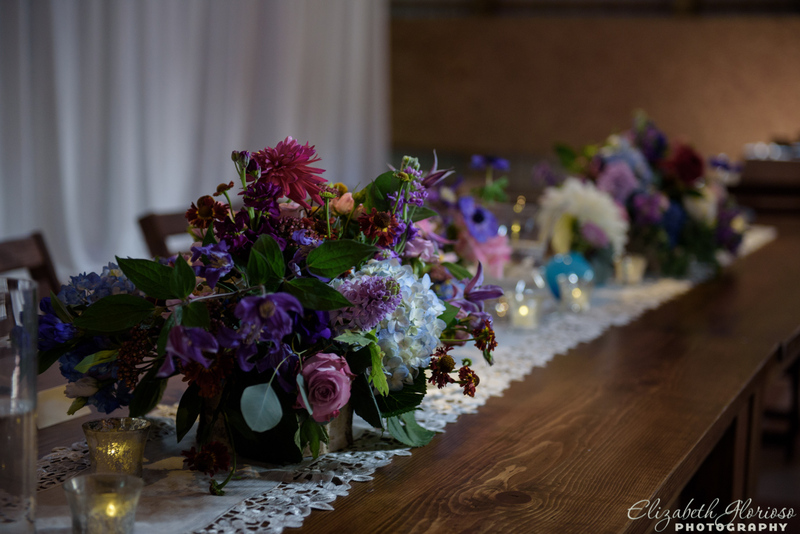 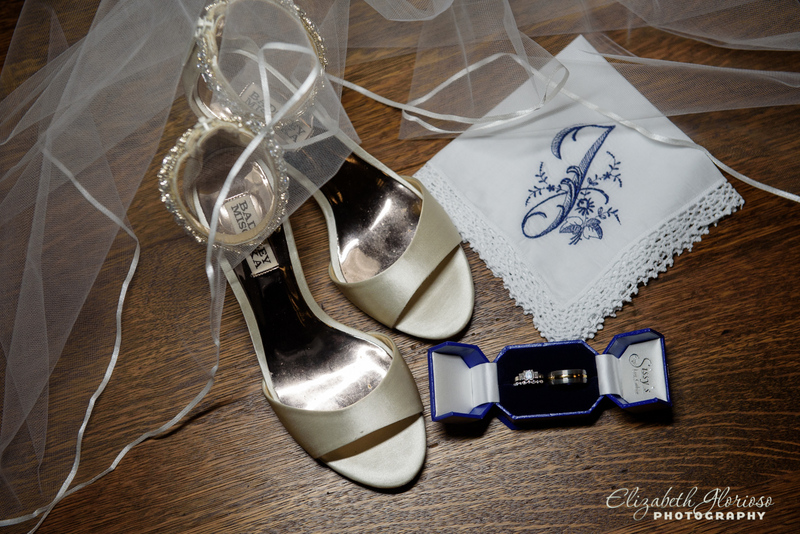 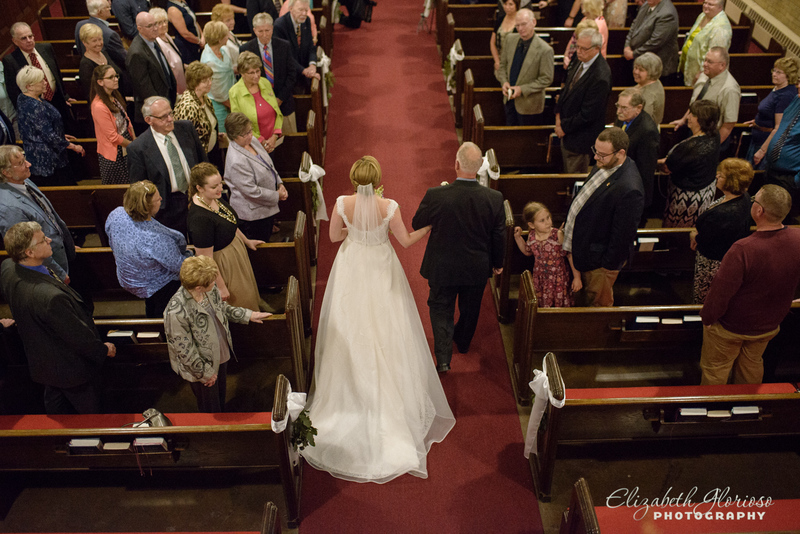 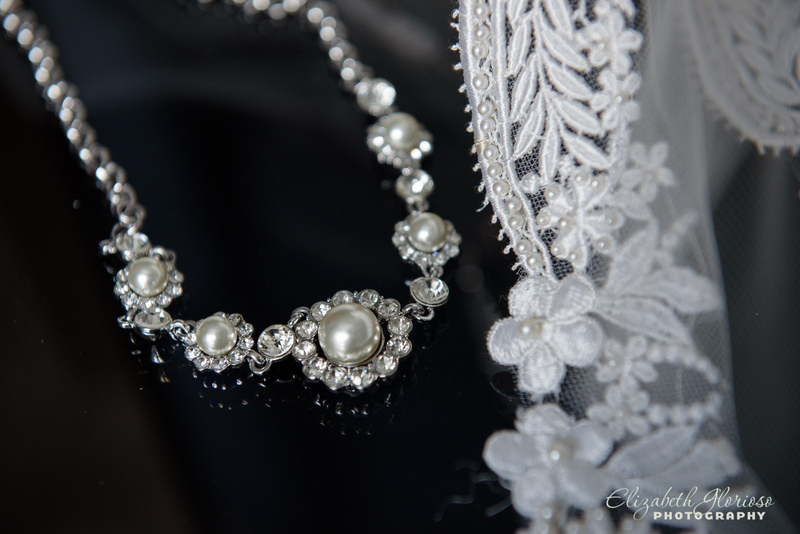 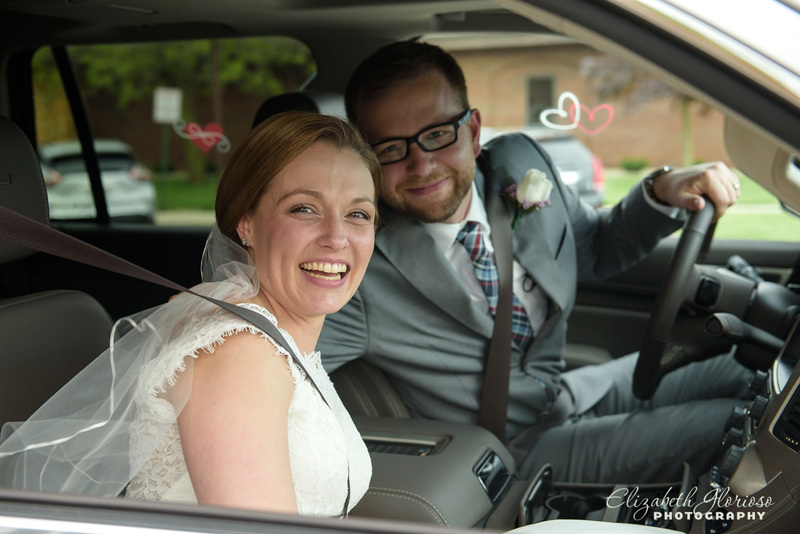 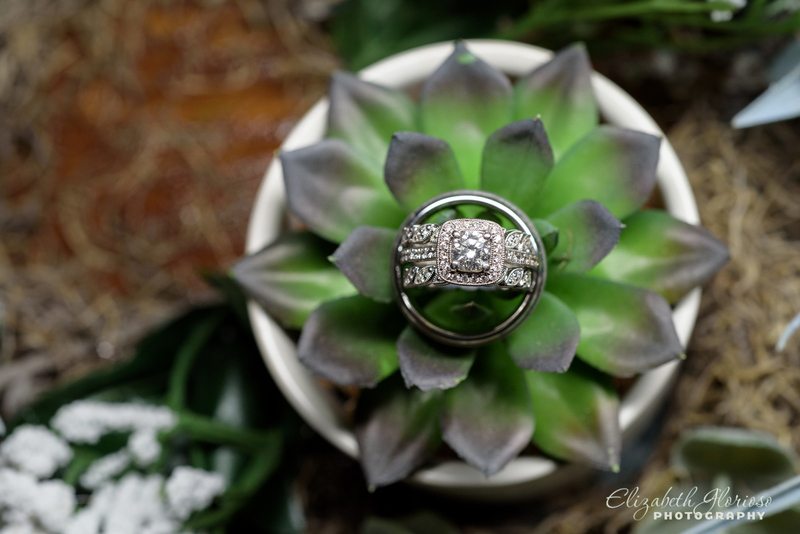 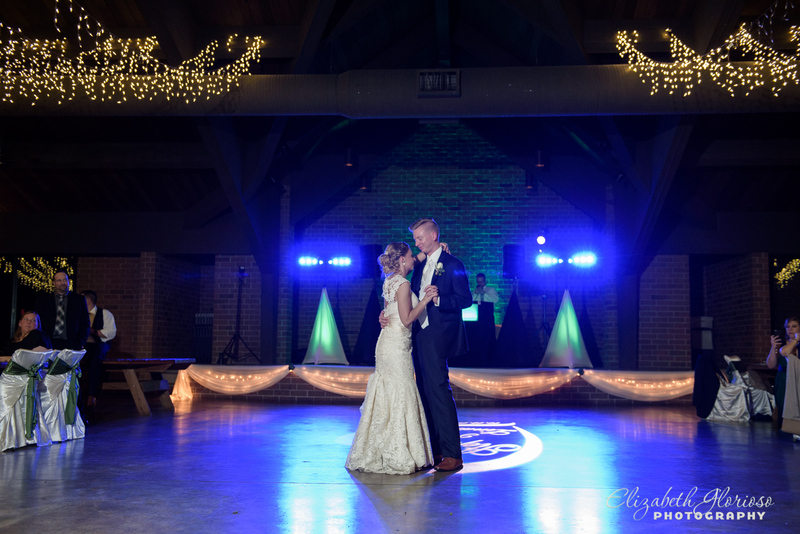 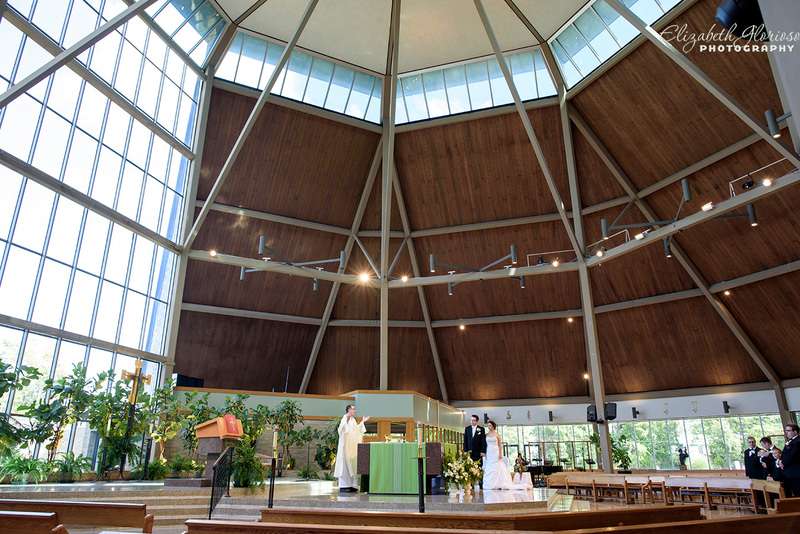 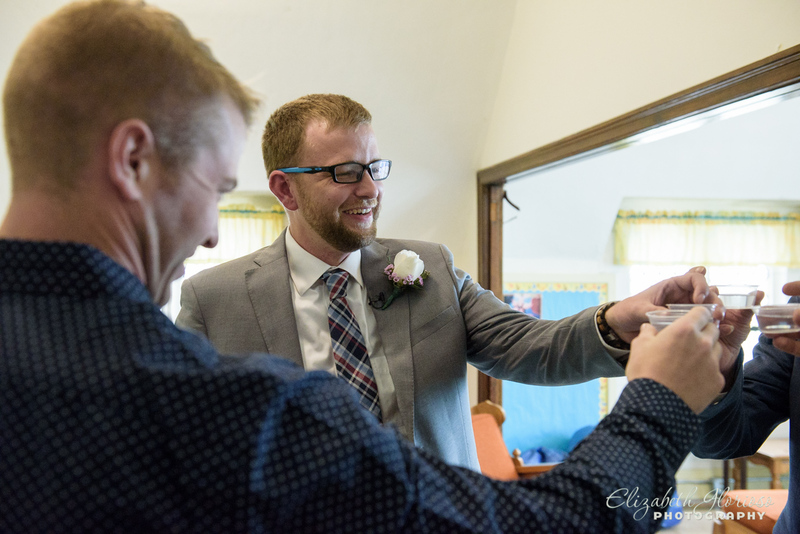 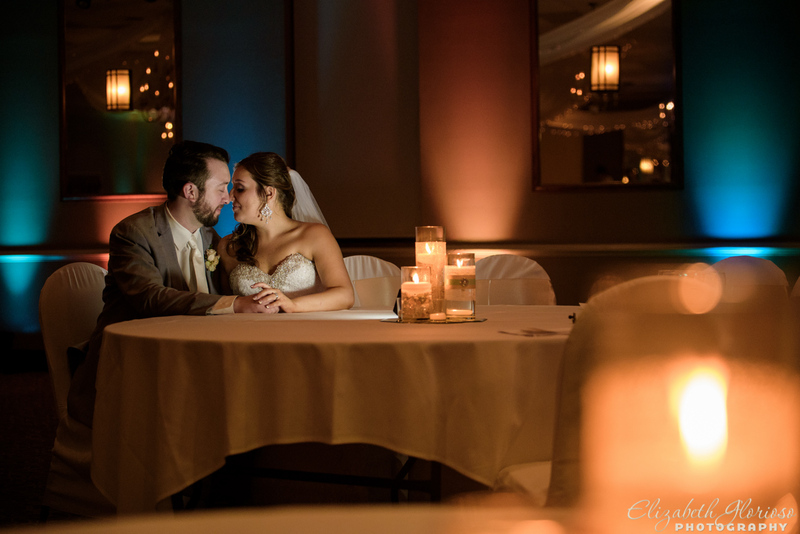 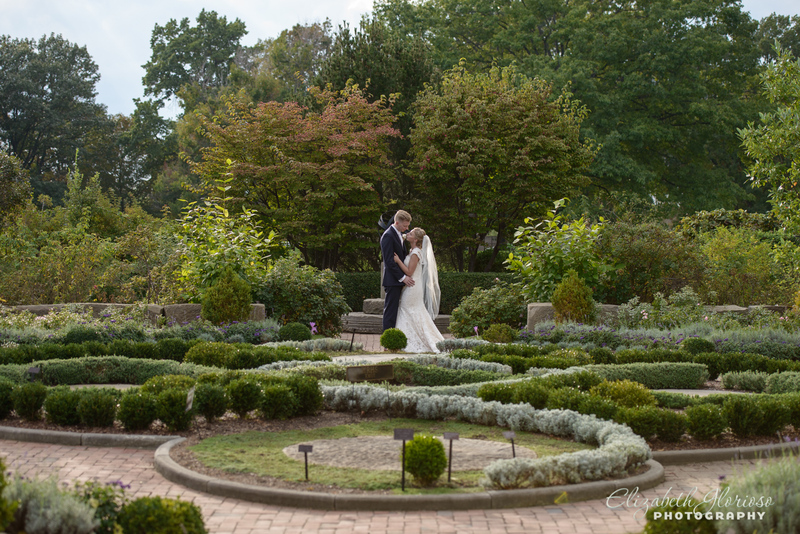 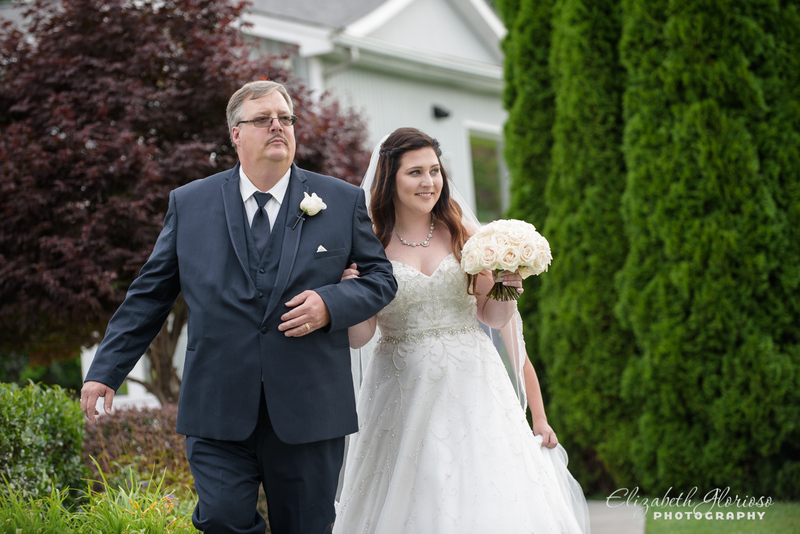 This entry was posted in Cleveland Wedding Photography and tagged Christmas wedding, Cleveland photographer, Cleveland Wedding Photographer, Cleveland weddings, Elizabeth Glorioso Photography, Holiday wedding, Old Courthouse on December 15, 2016 by Elizabeth G..
From the bridal bouquet to a the bubble exit, Erin and Gary had every detail planned for their wedding at Olmsted Community Church in Olmsted Falls. 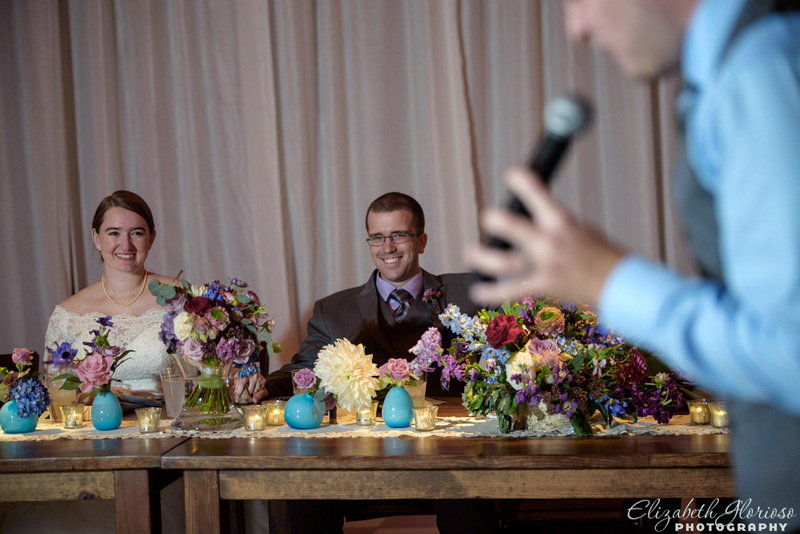 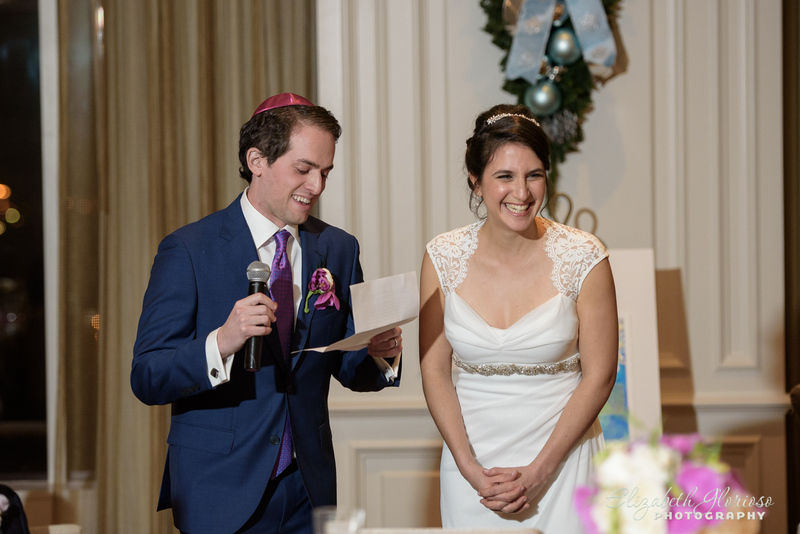 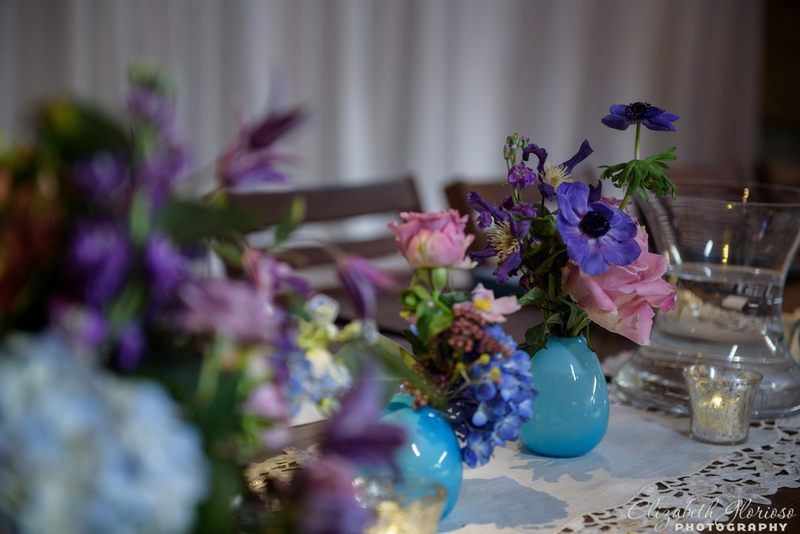 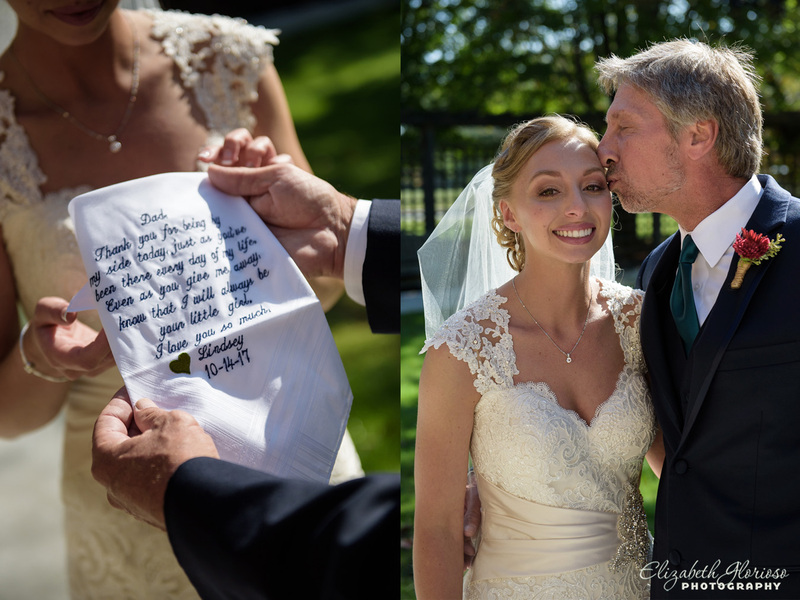 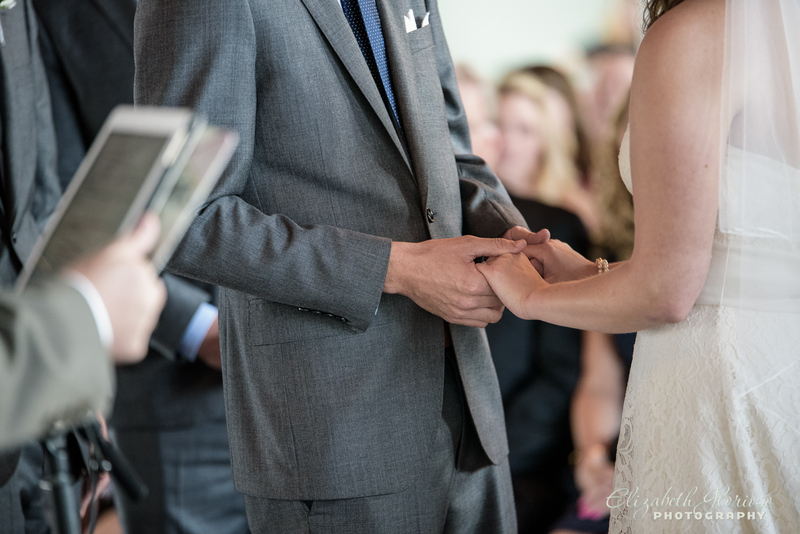 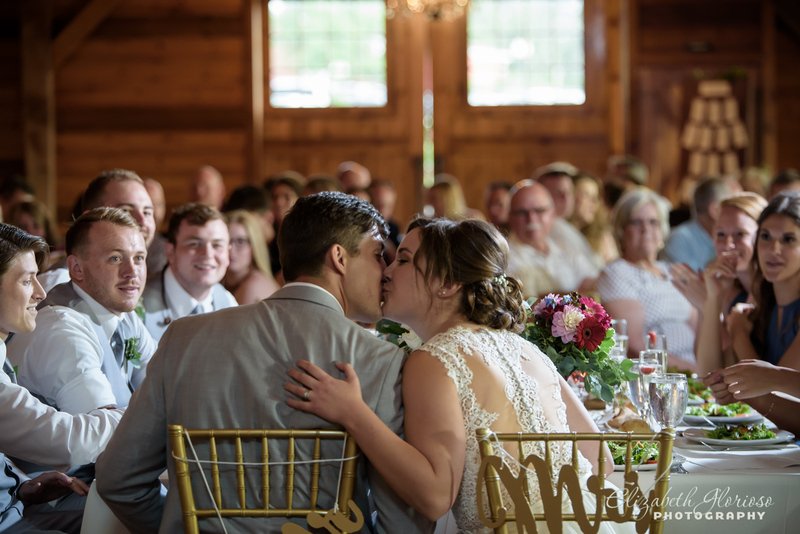 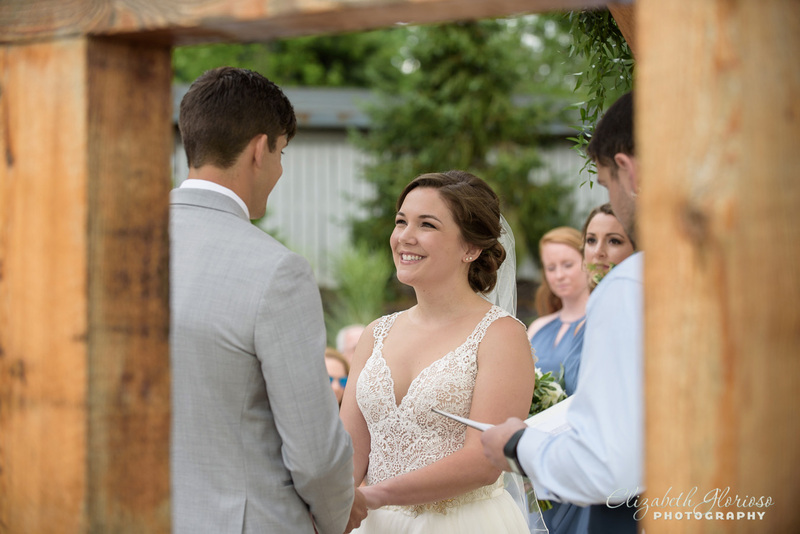 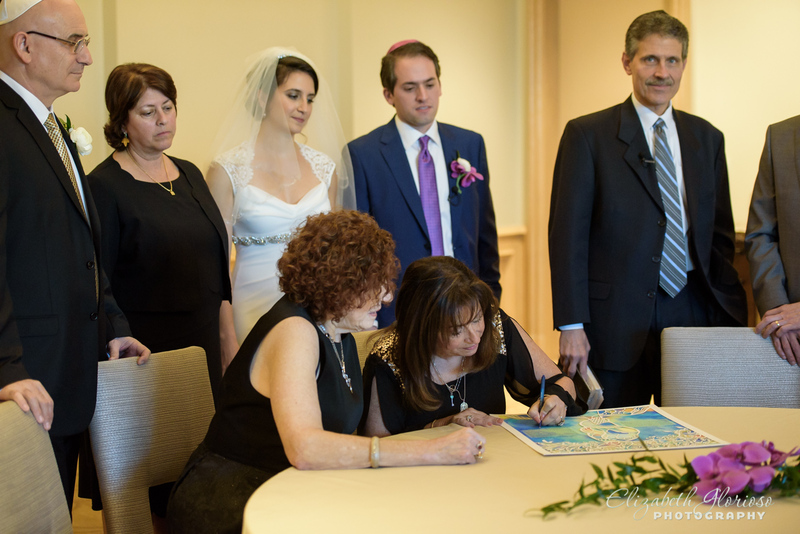 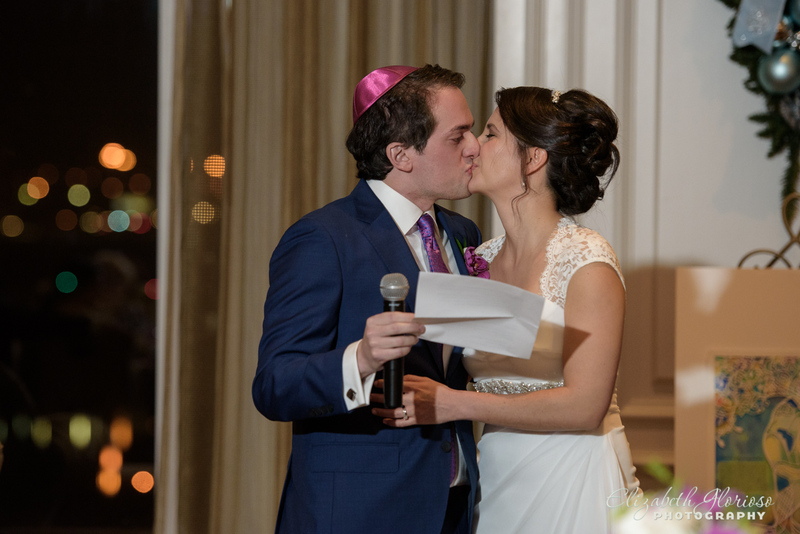 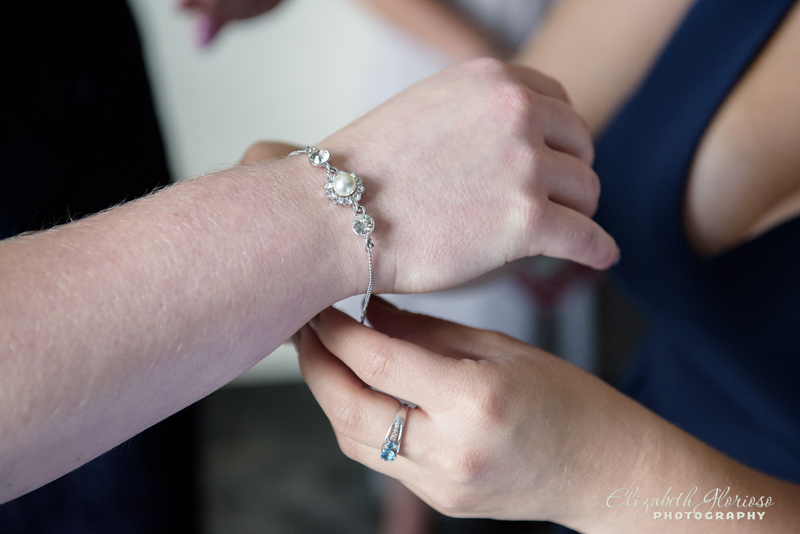 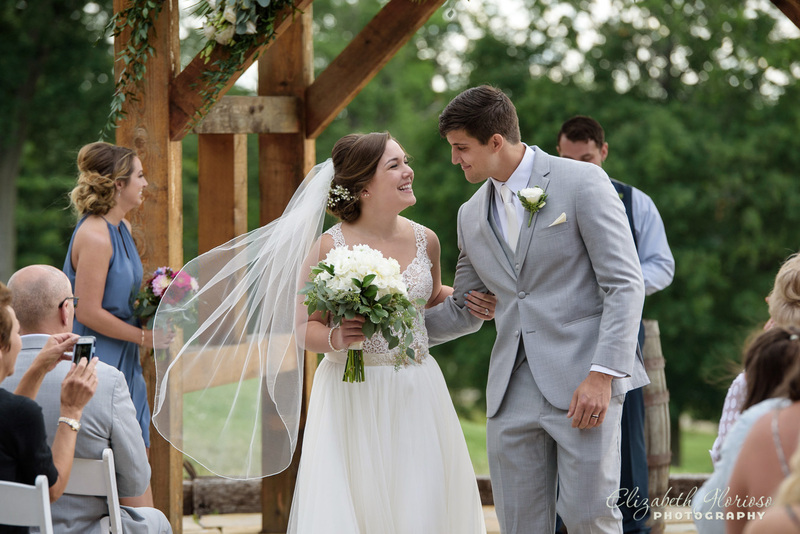 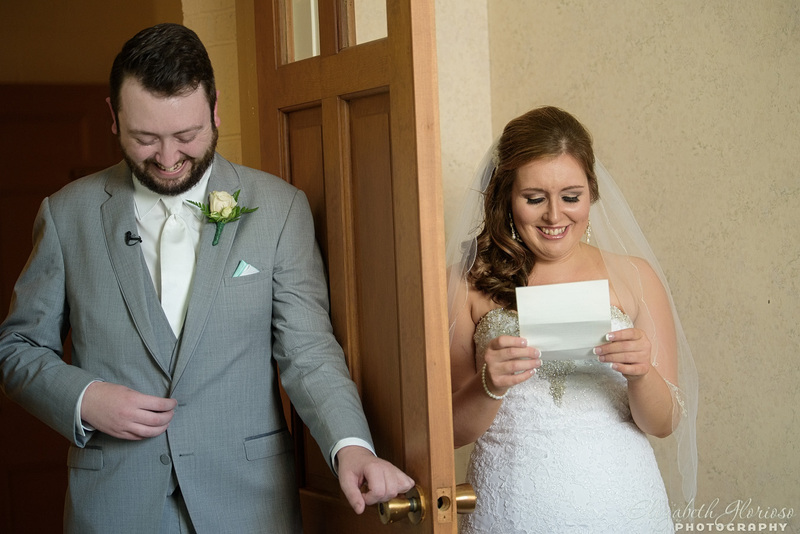 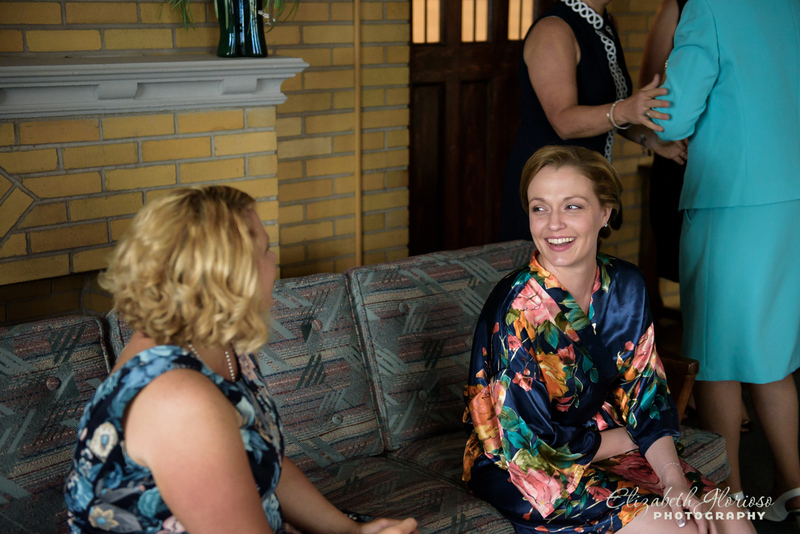 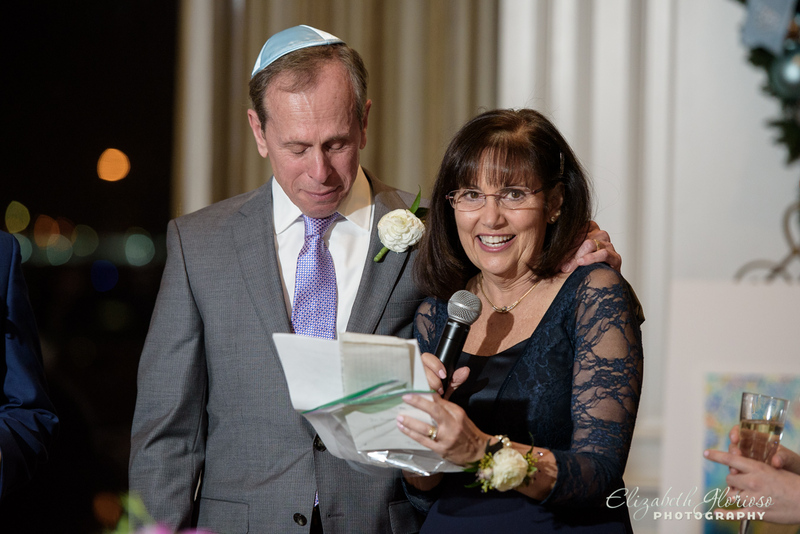 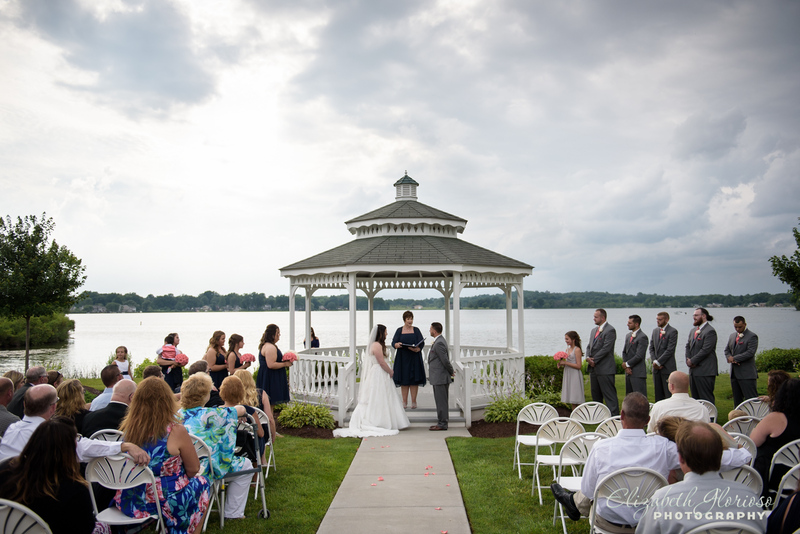 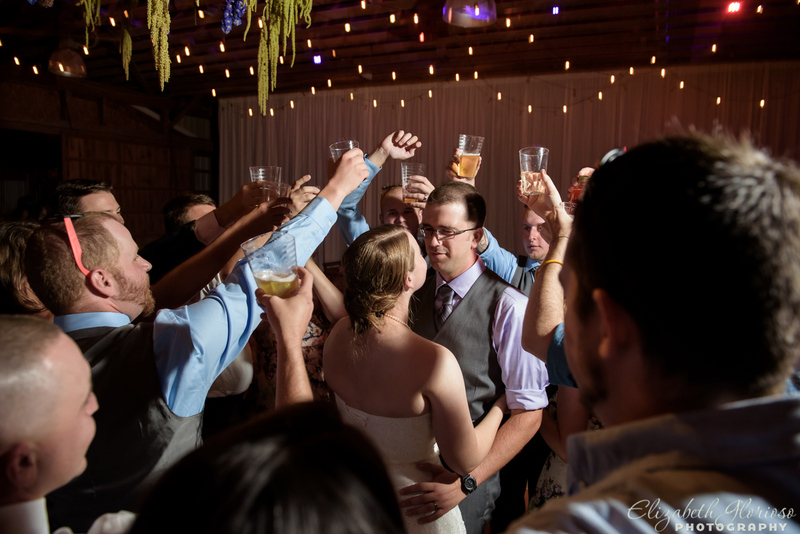 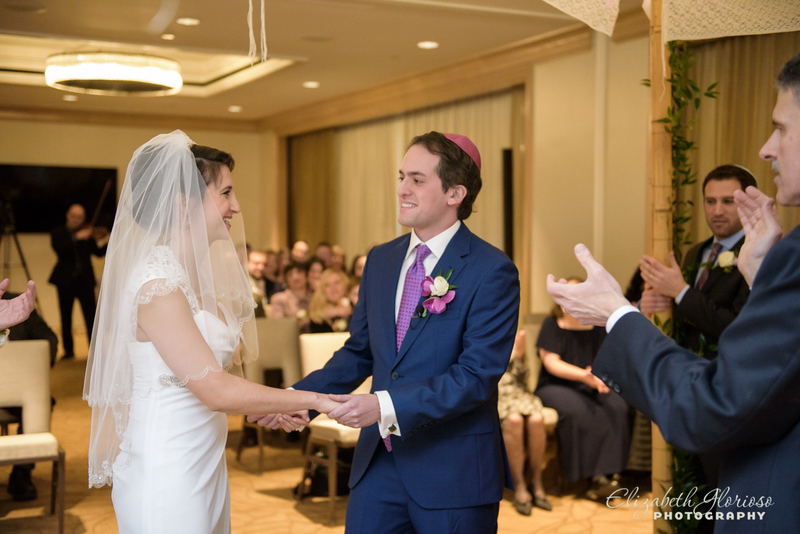 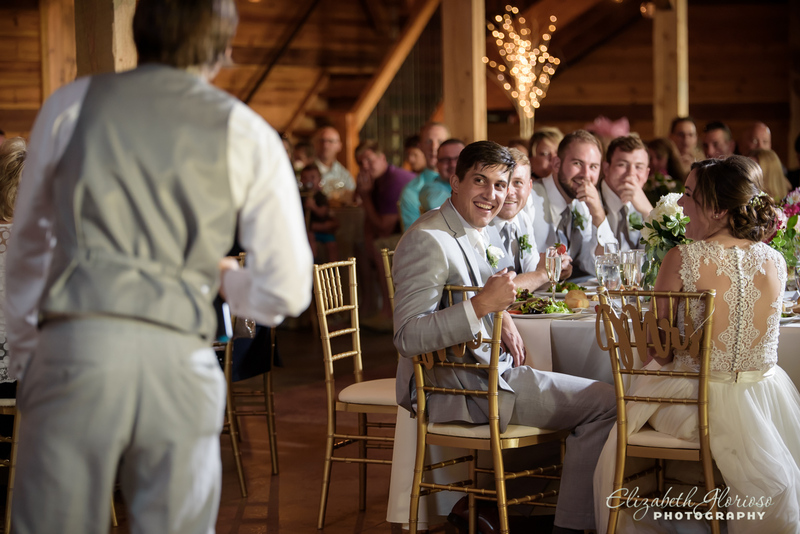 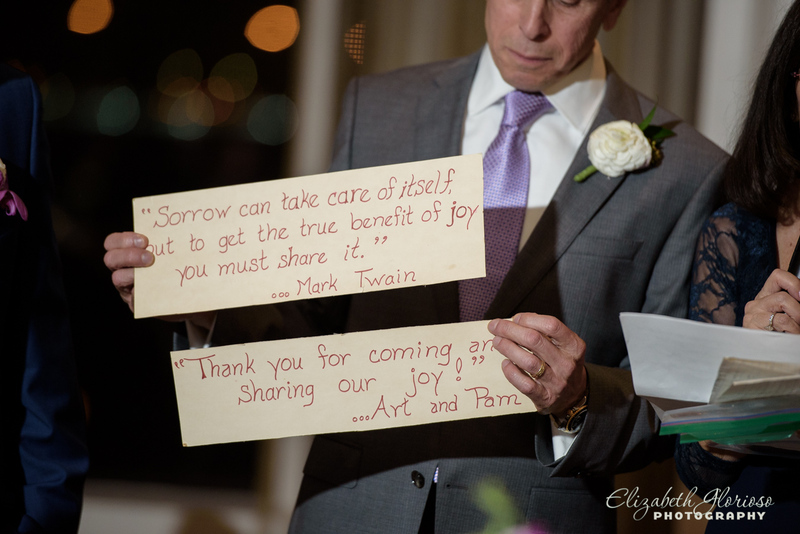 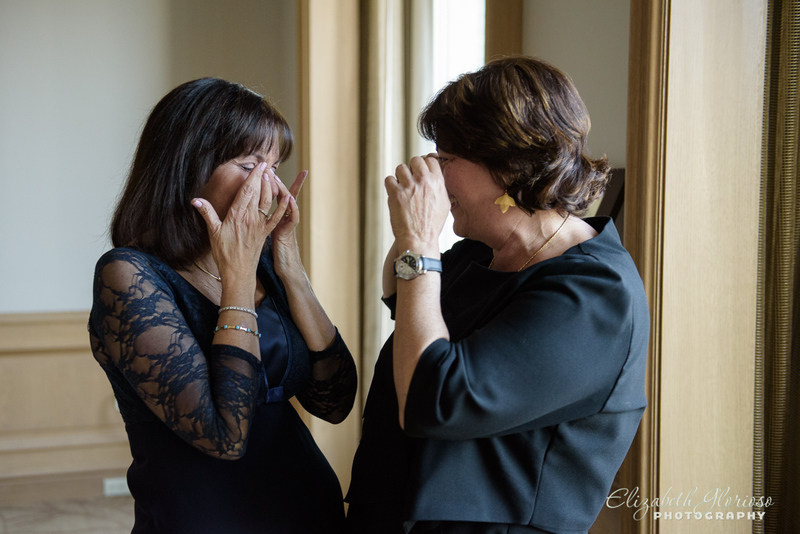 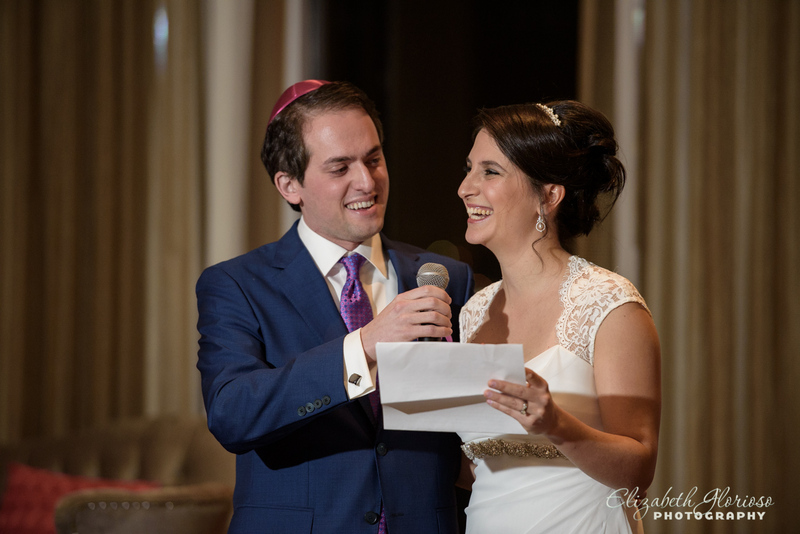 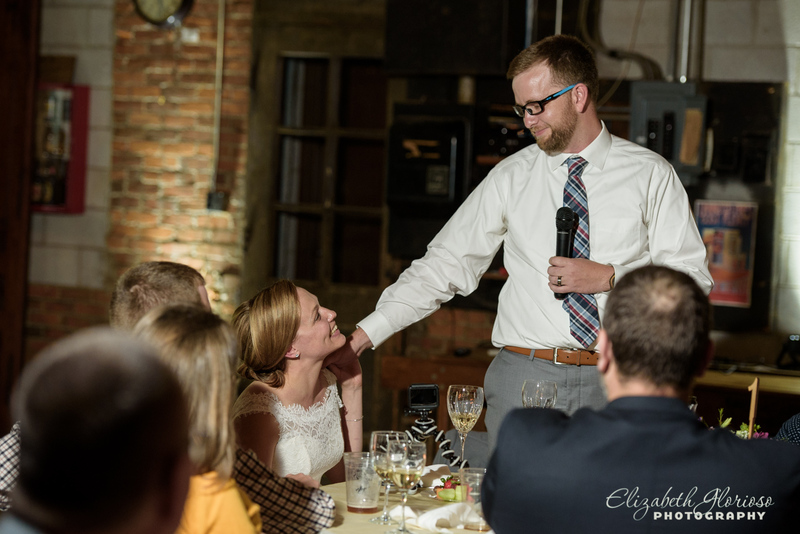 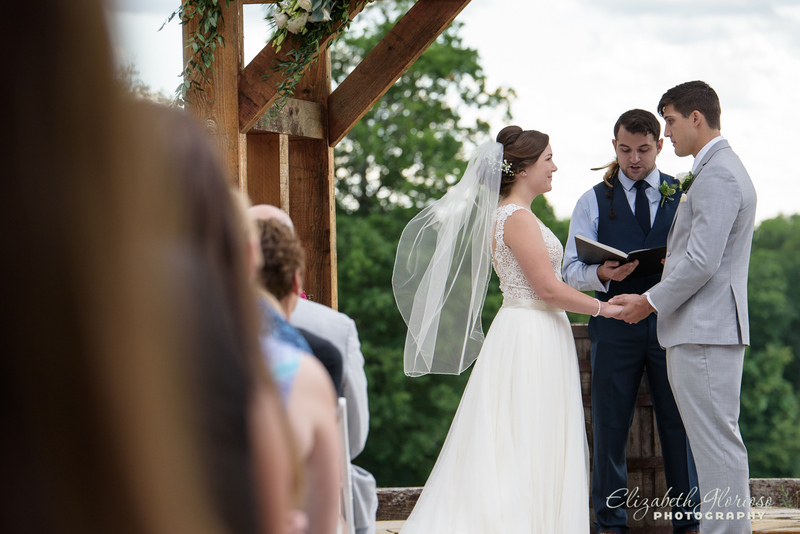 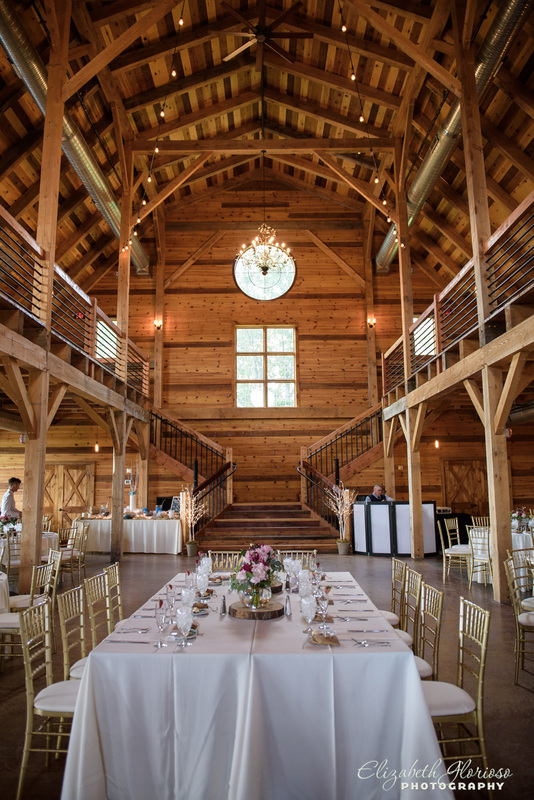 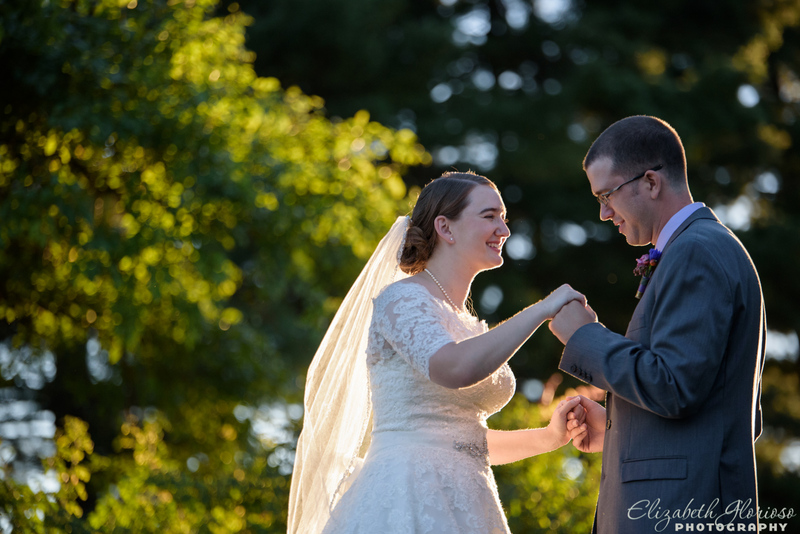 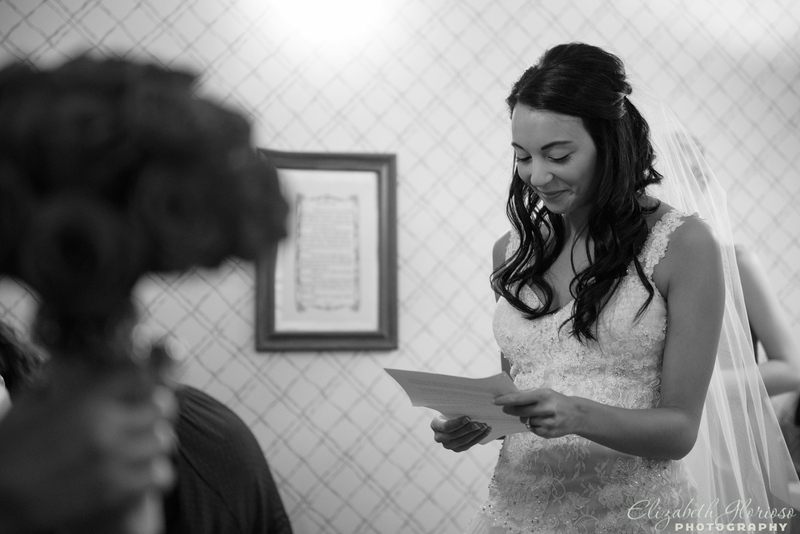 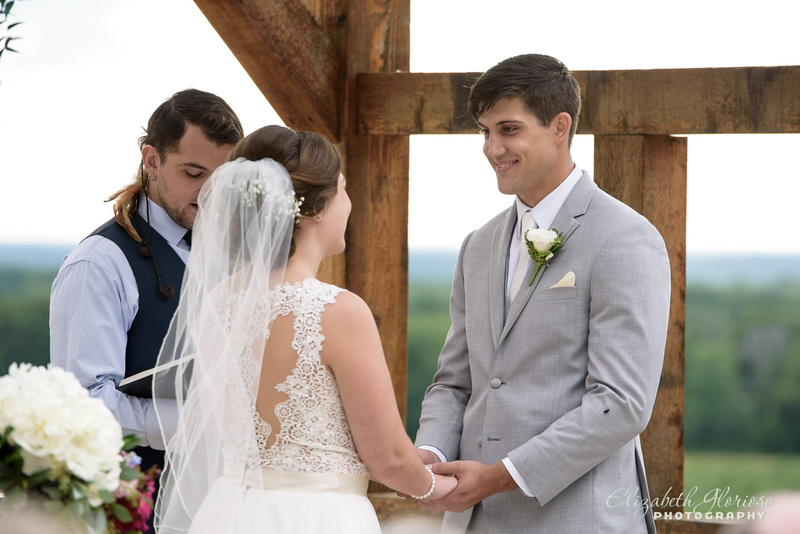 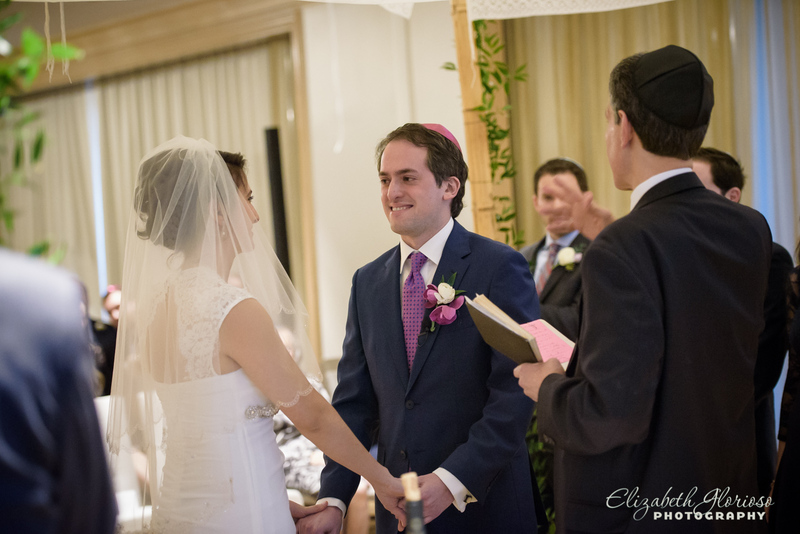 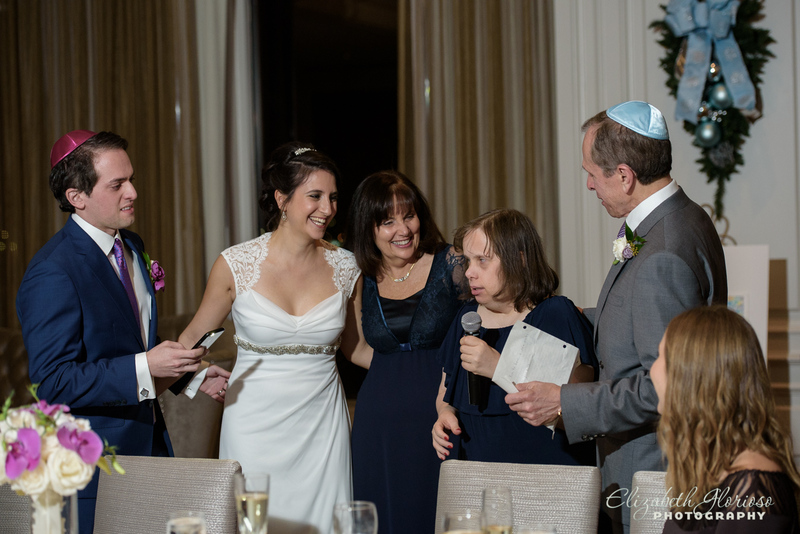 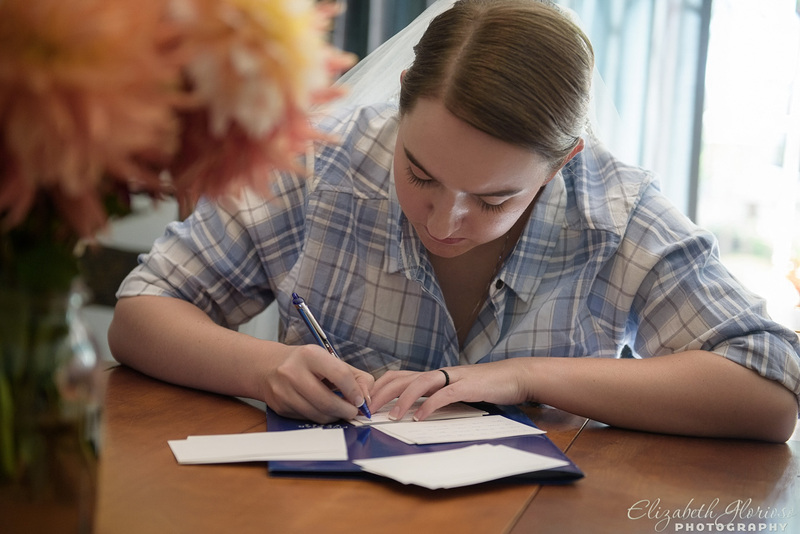 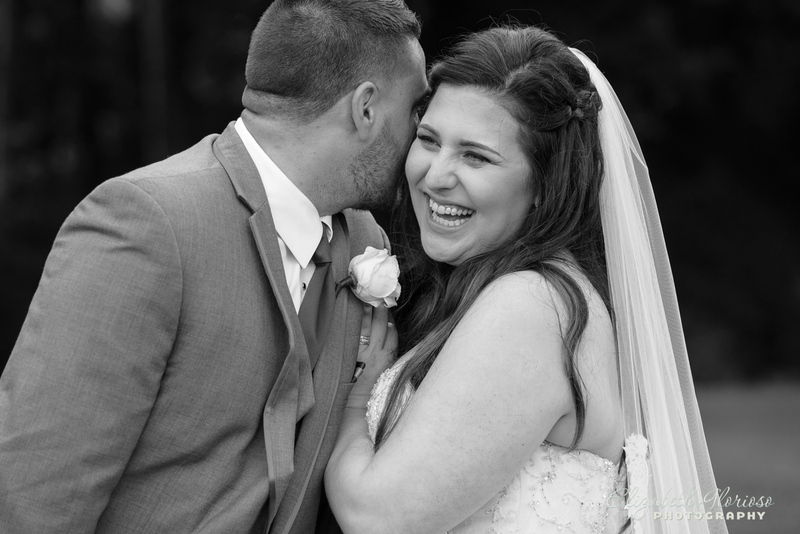 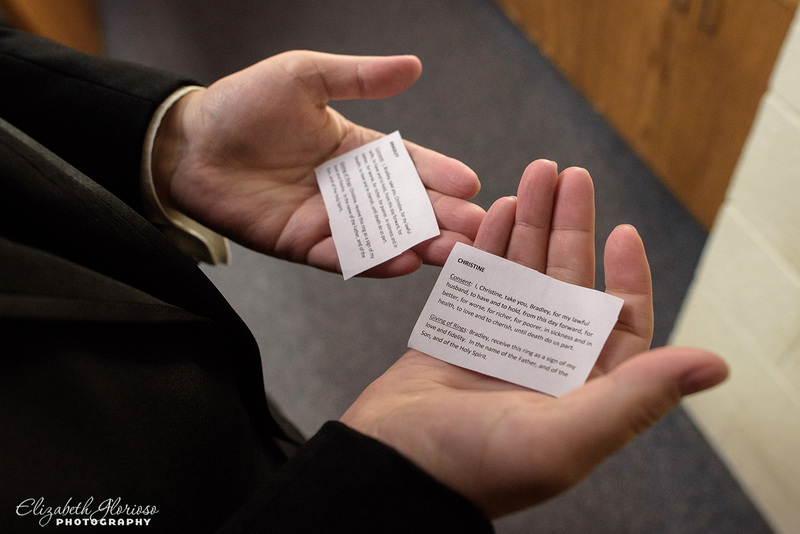 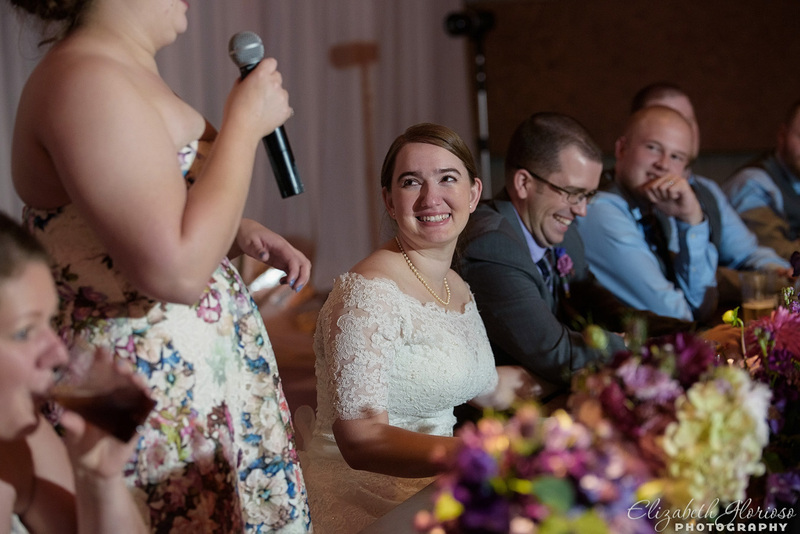 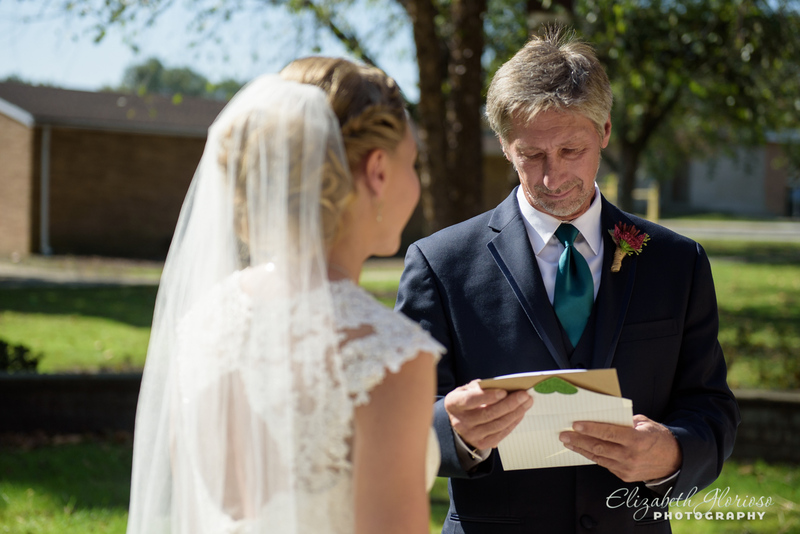 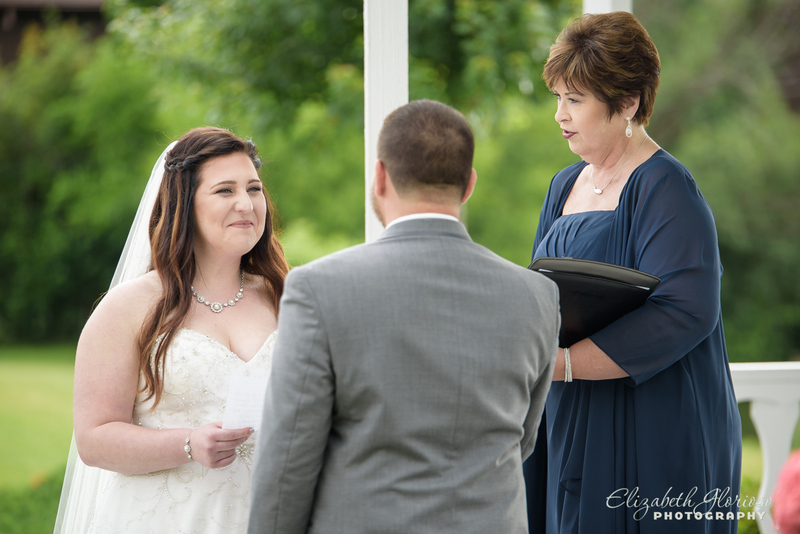 When couples decide not to do a first look, it is wonderful to do an exchange of personal letters to each other on the wedding day before the ceremony. 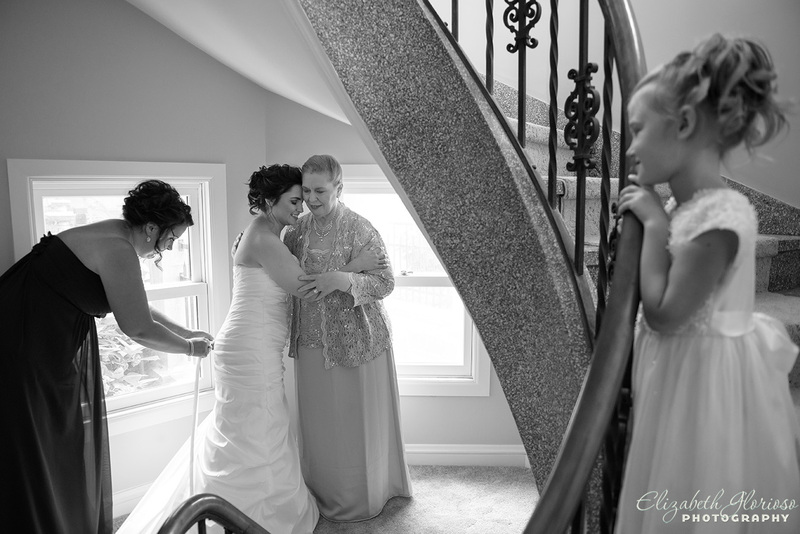 It is a moment I love to capture as a photographer. 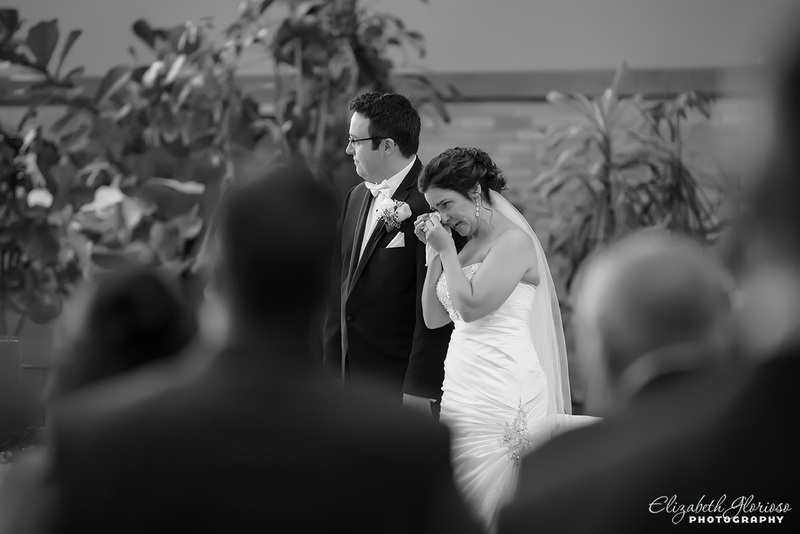 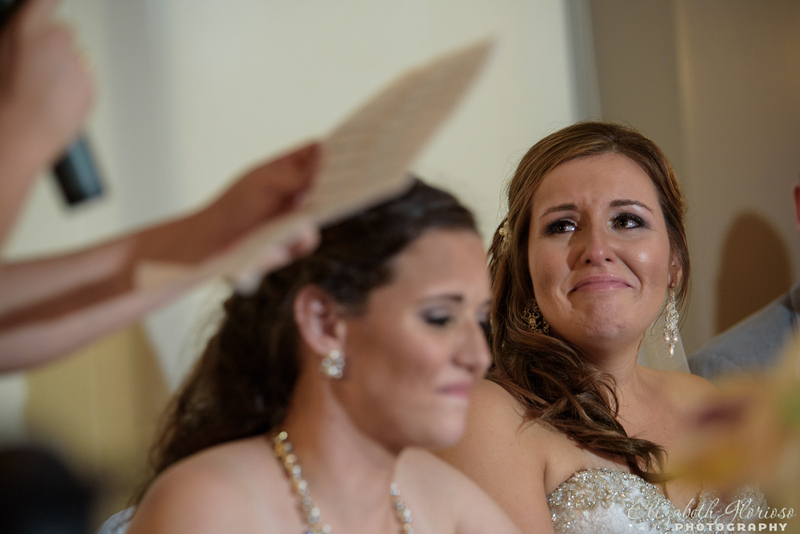 A ceremony of smiles and happy tears followed. 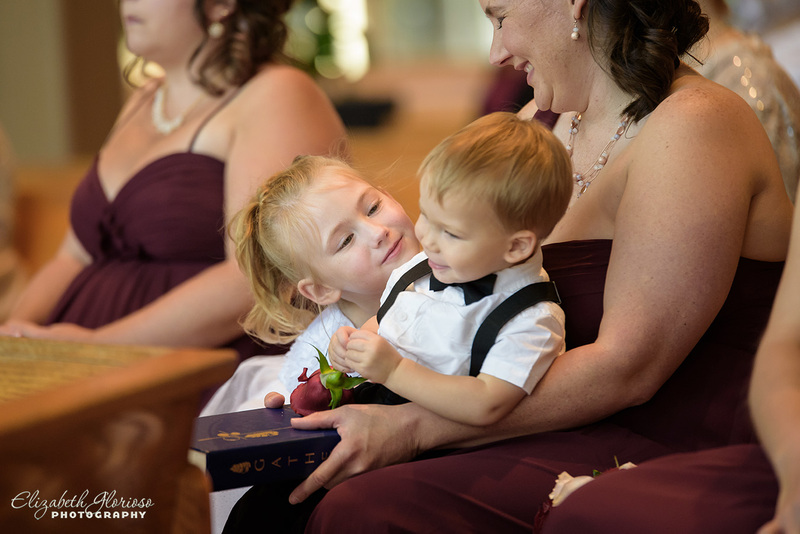 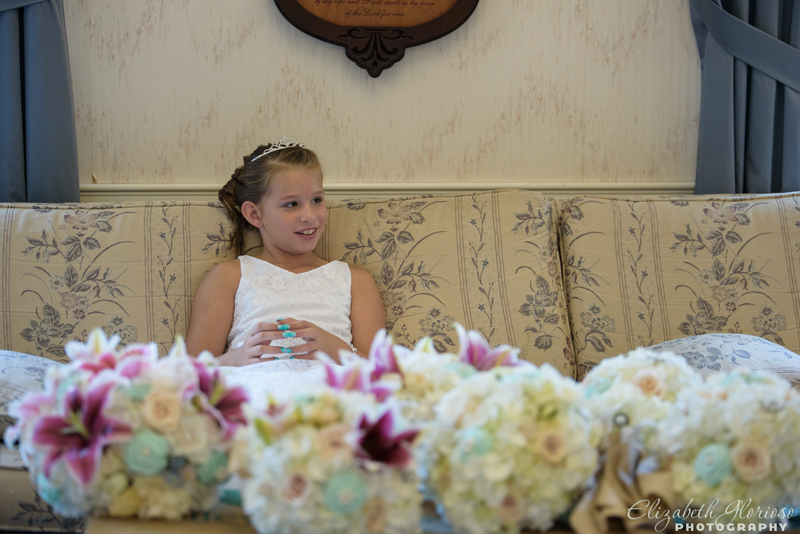 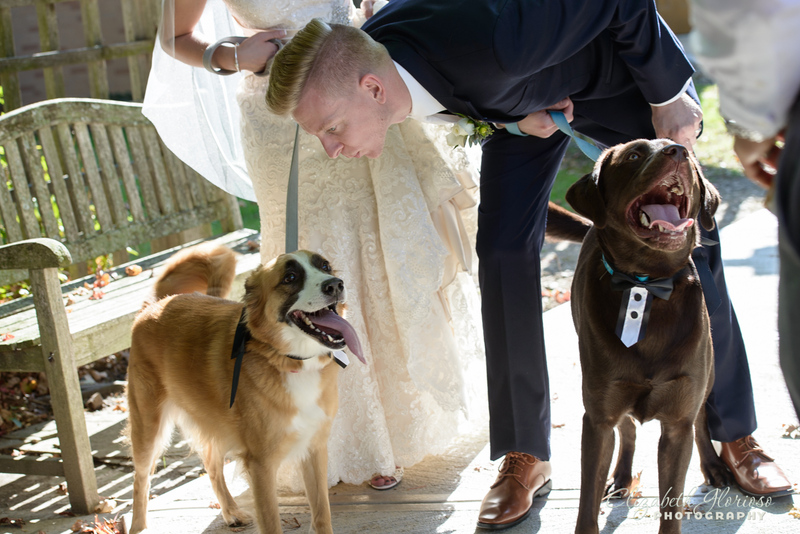 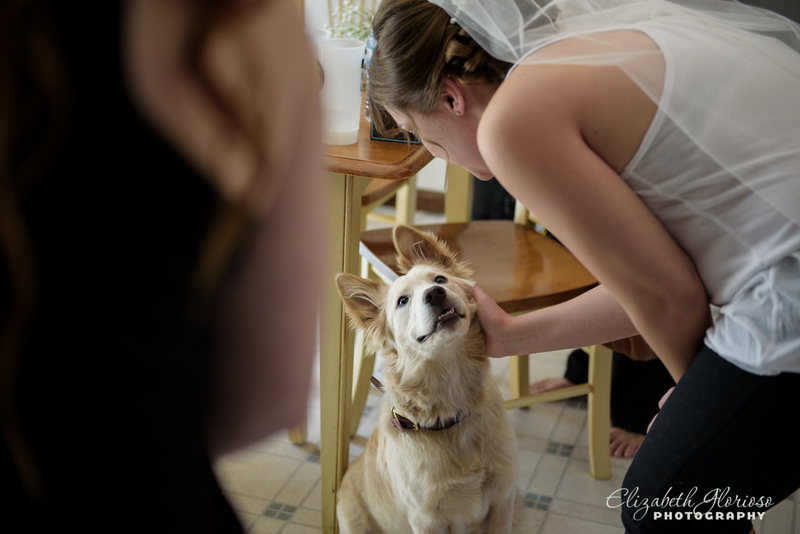 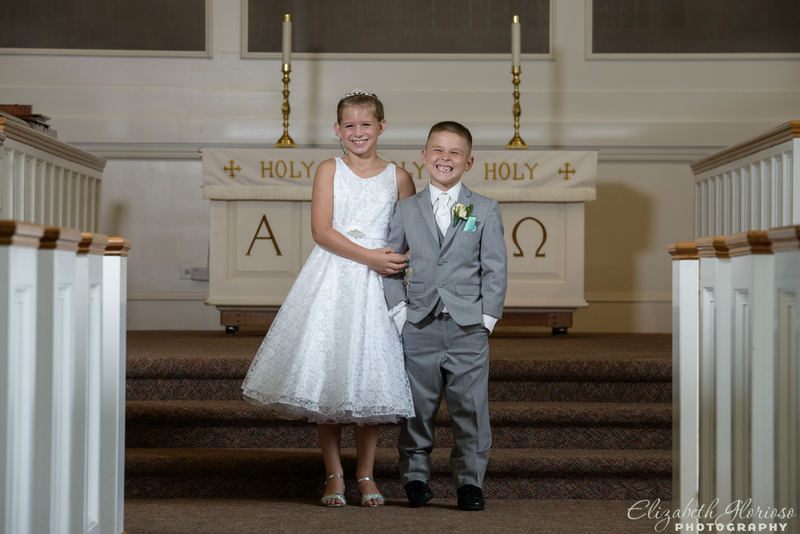 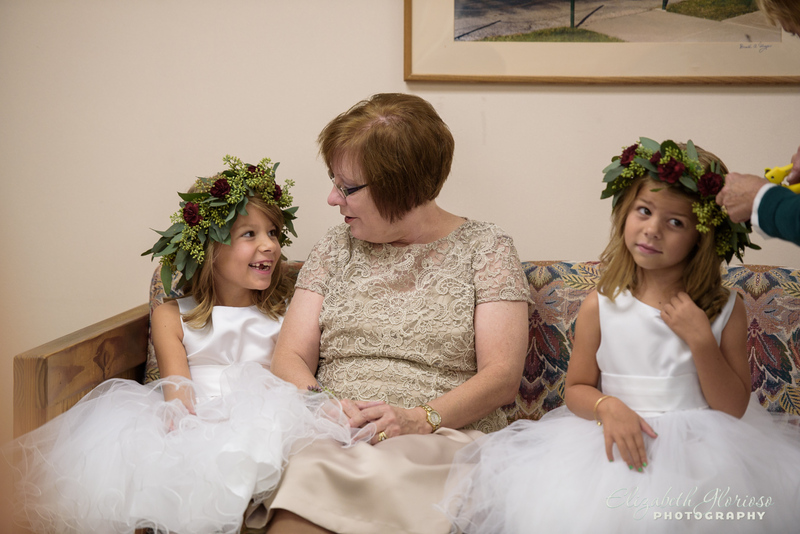 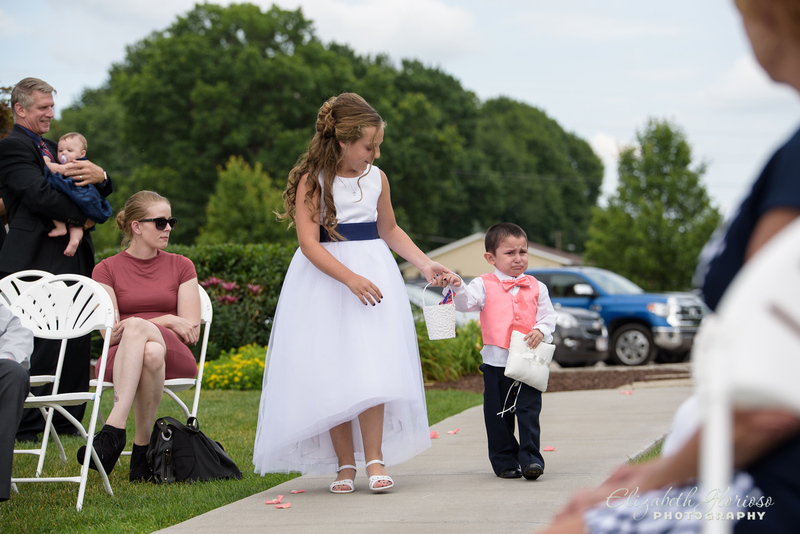 The flower girl and ring bearer were rocking the portrait session! 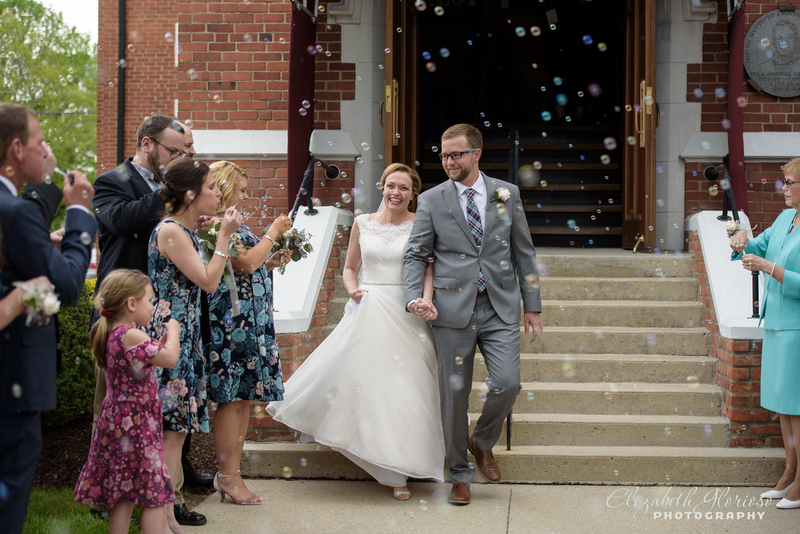 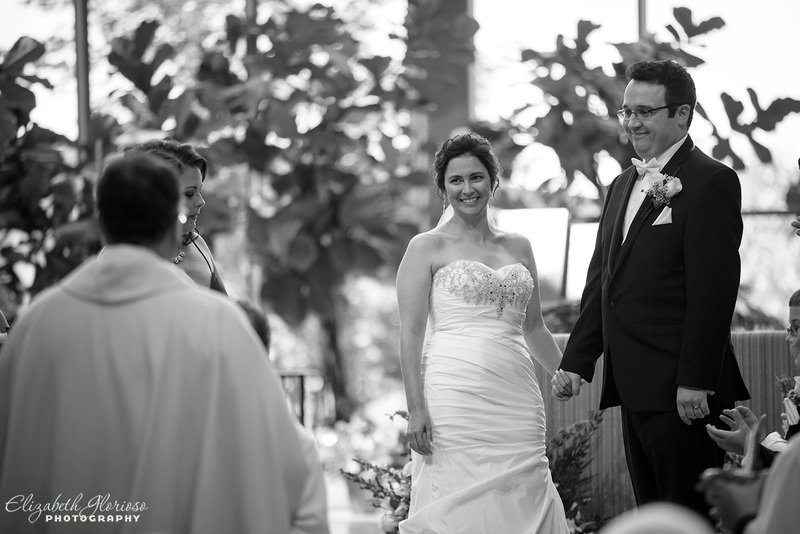 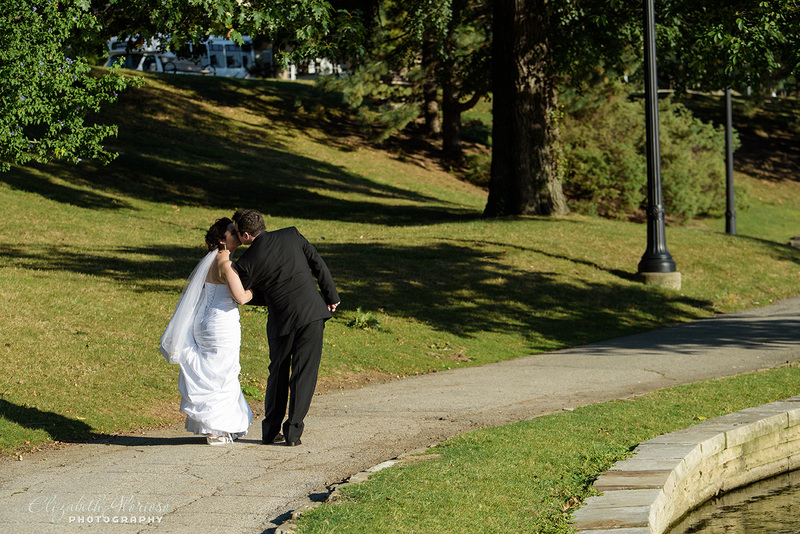 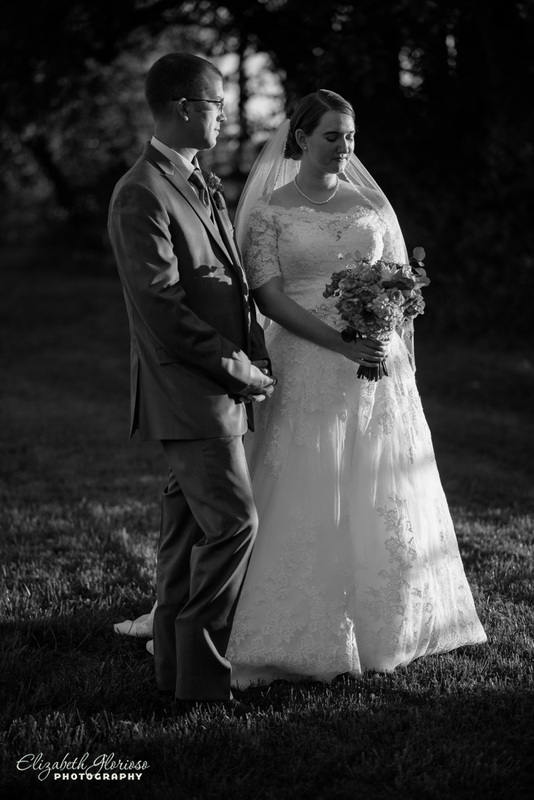 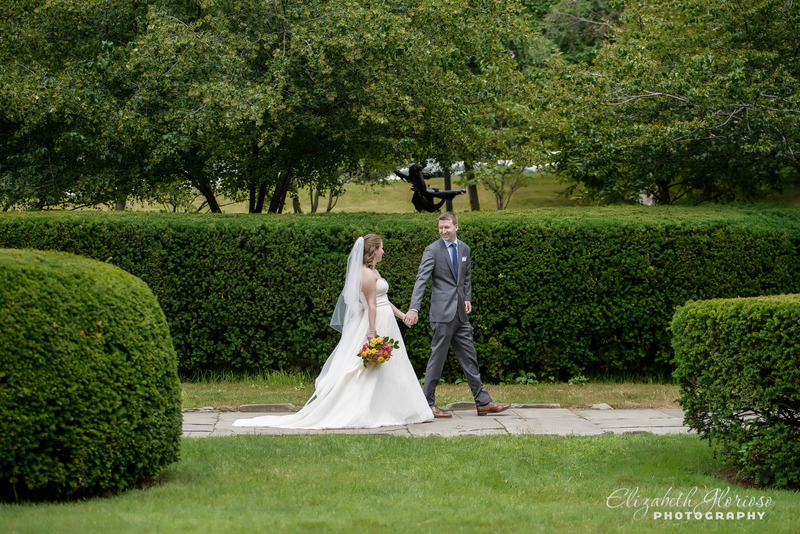 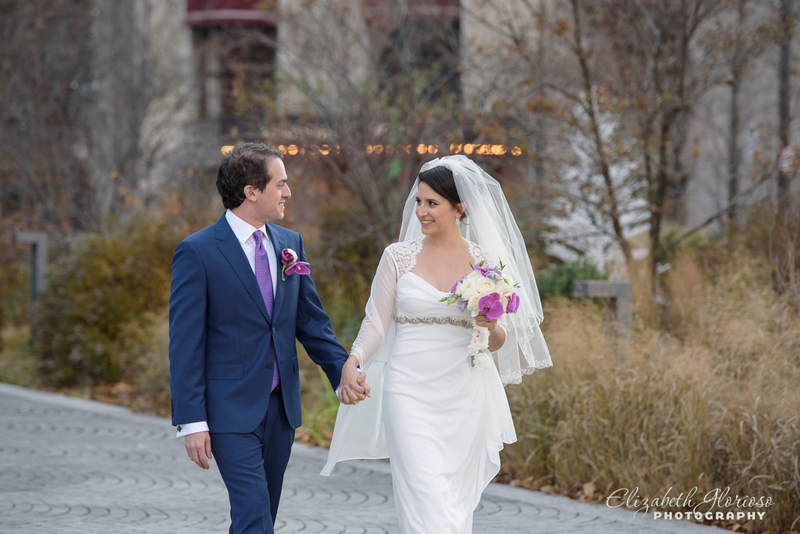 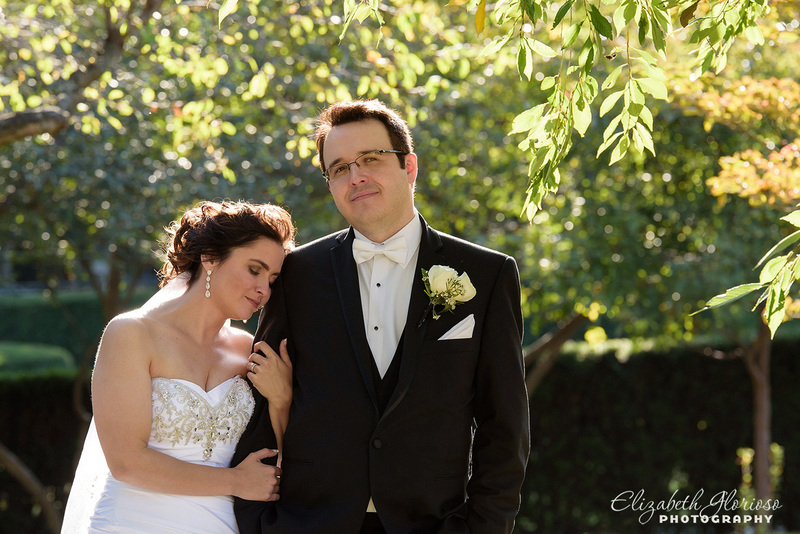 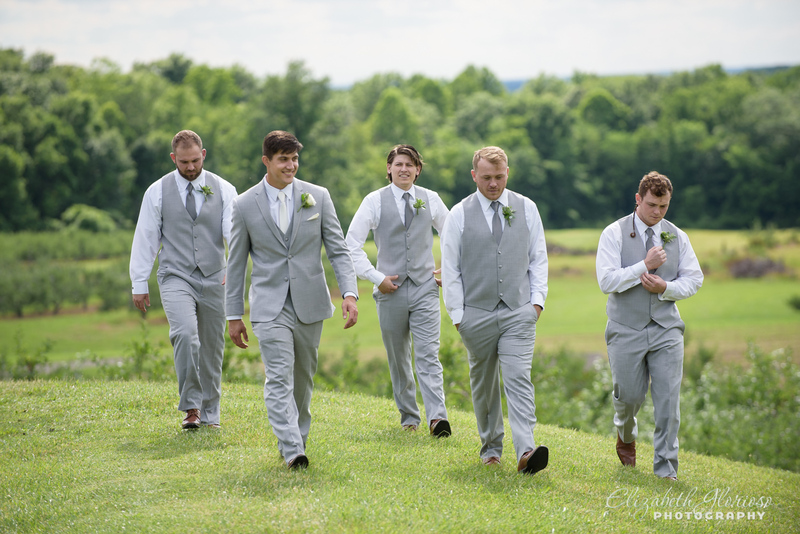 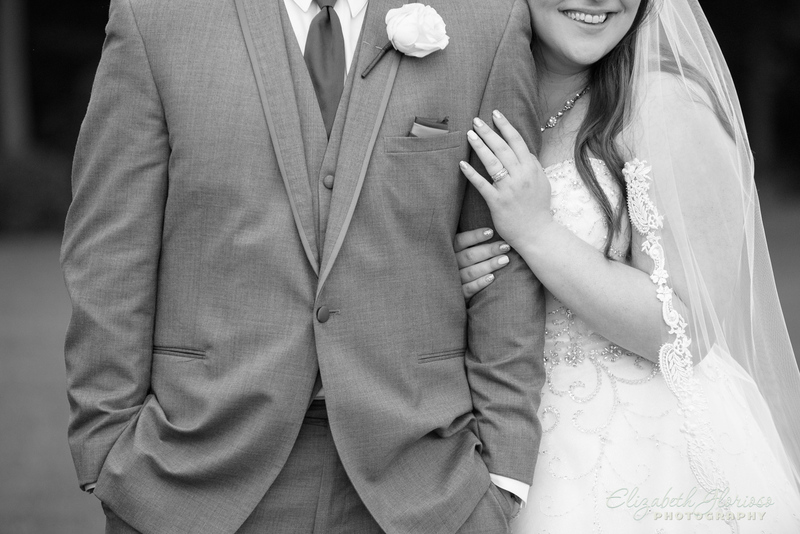 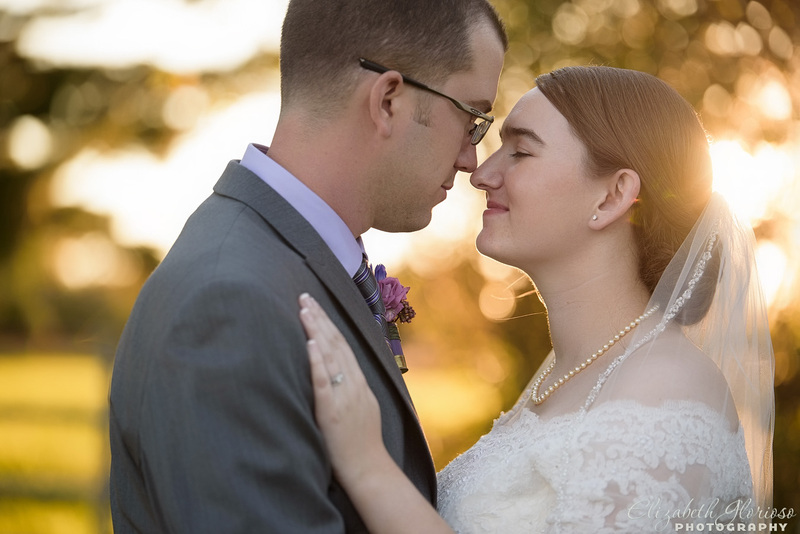 We began their portraits just outside of the church after the ceremony. 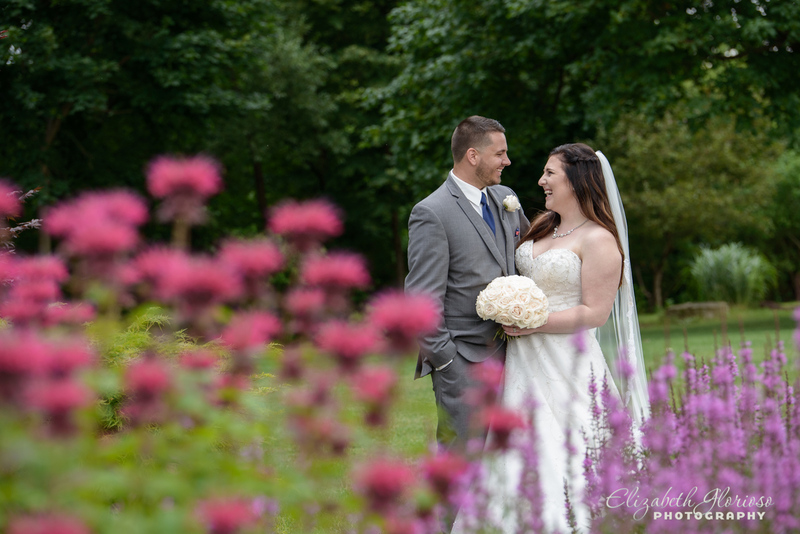 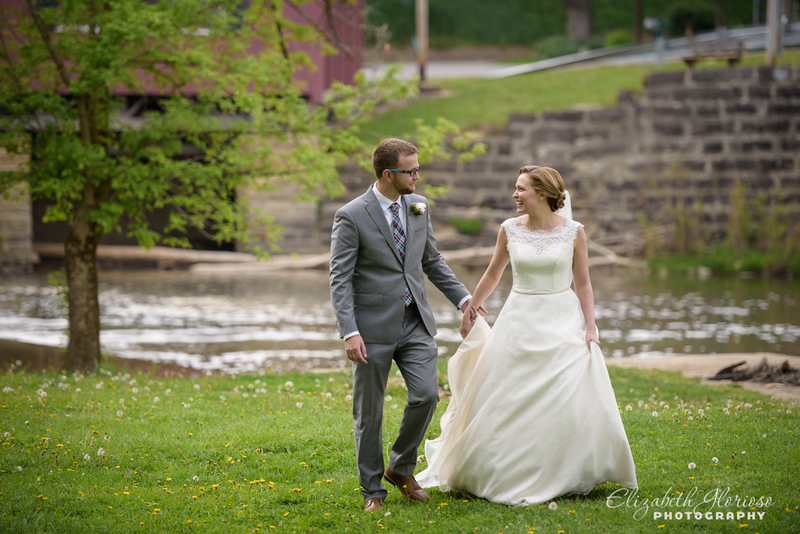 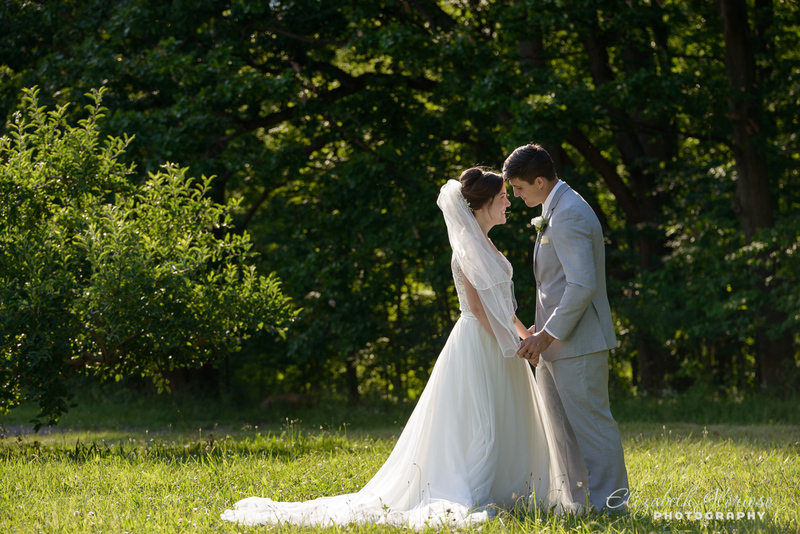 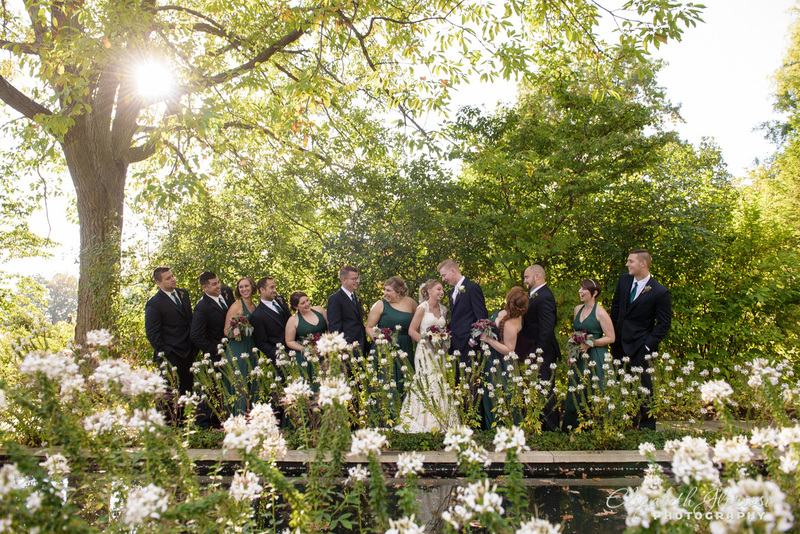 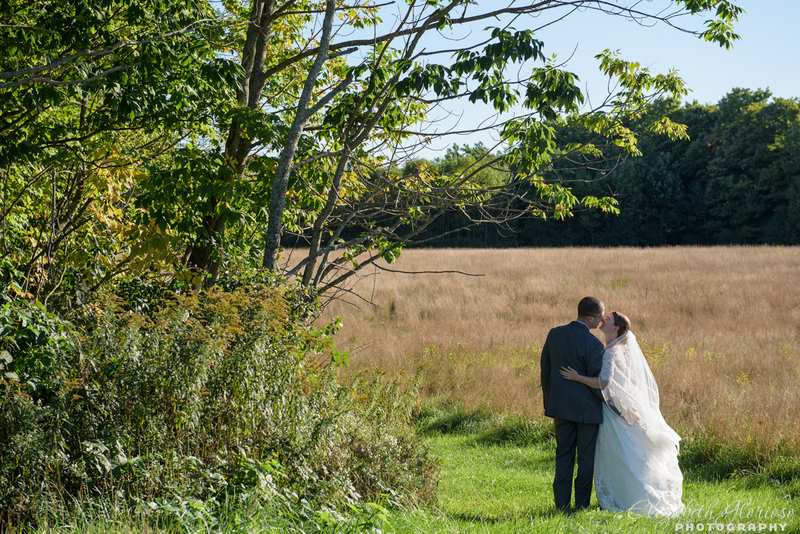 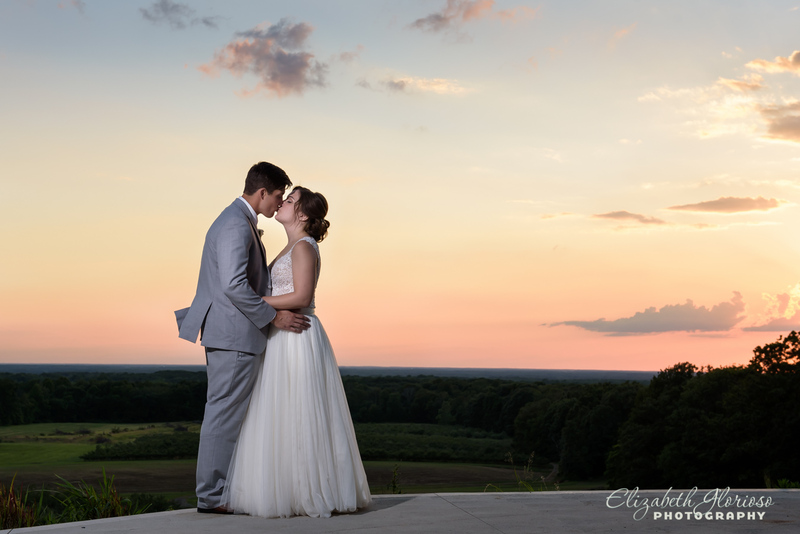 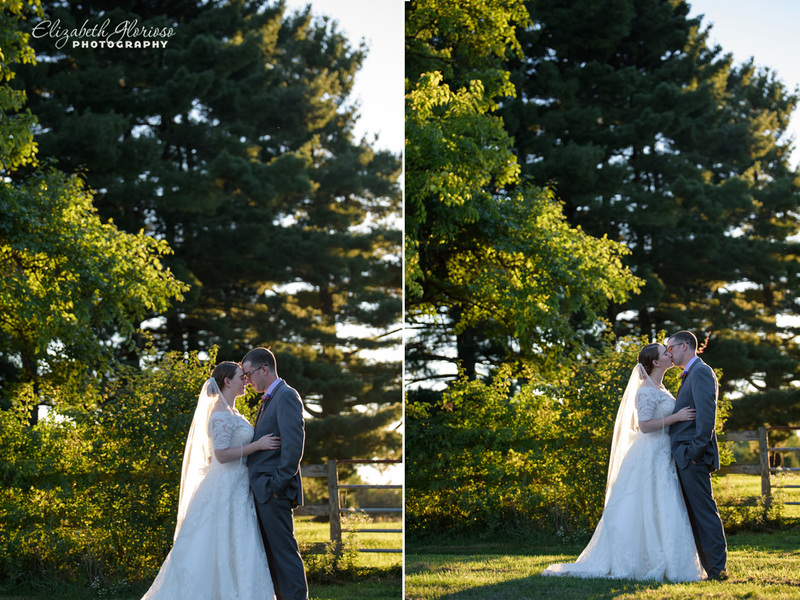 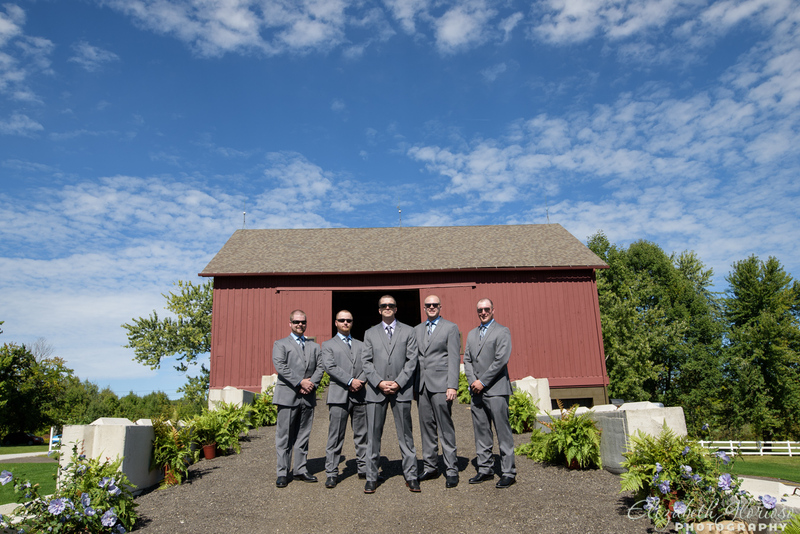 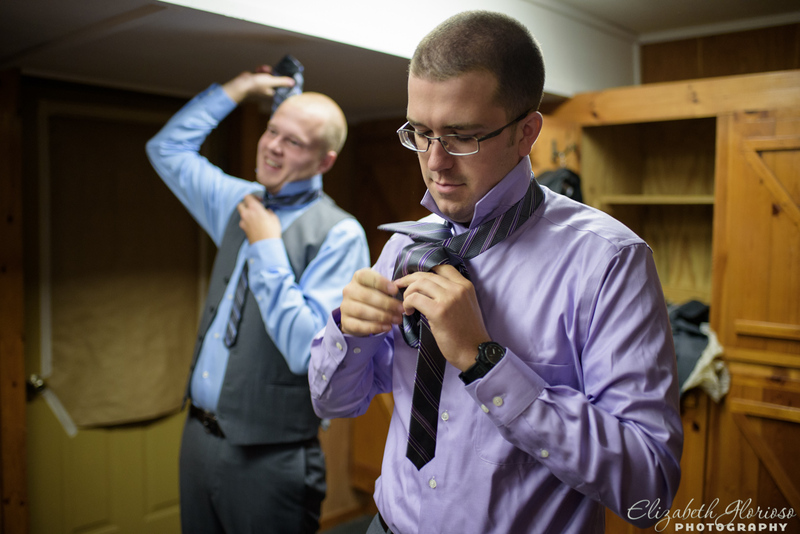 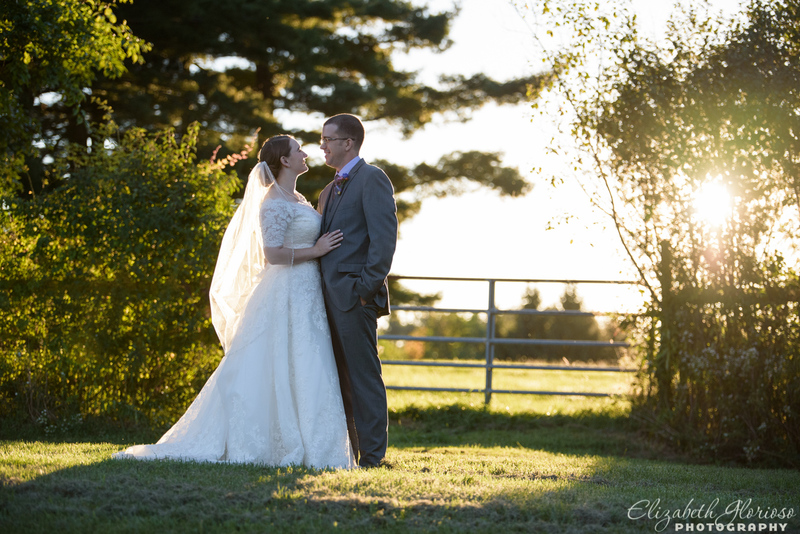 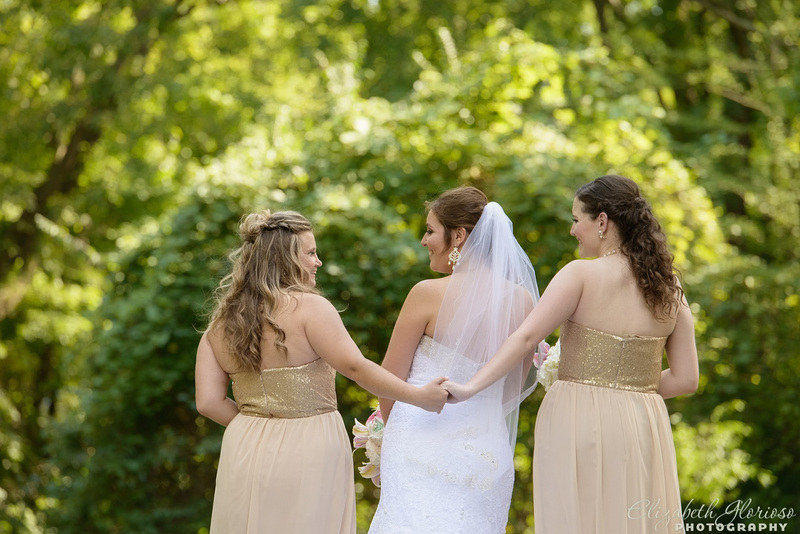 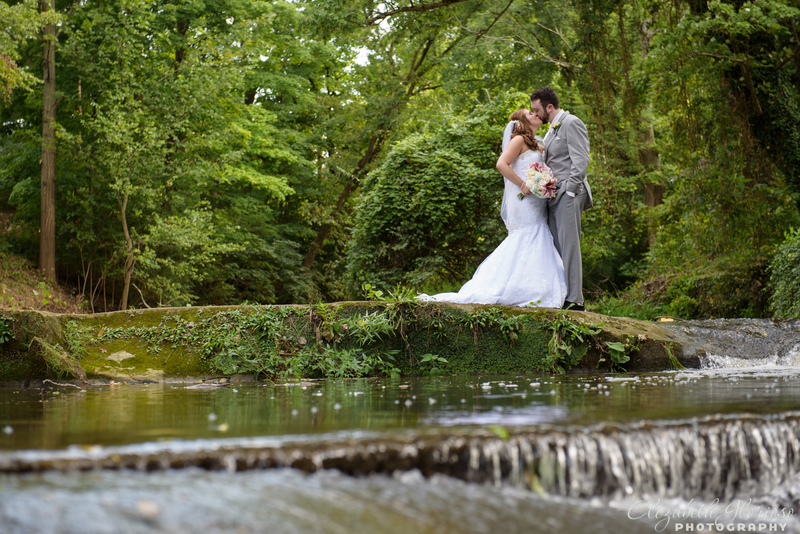 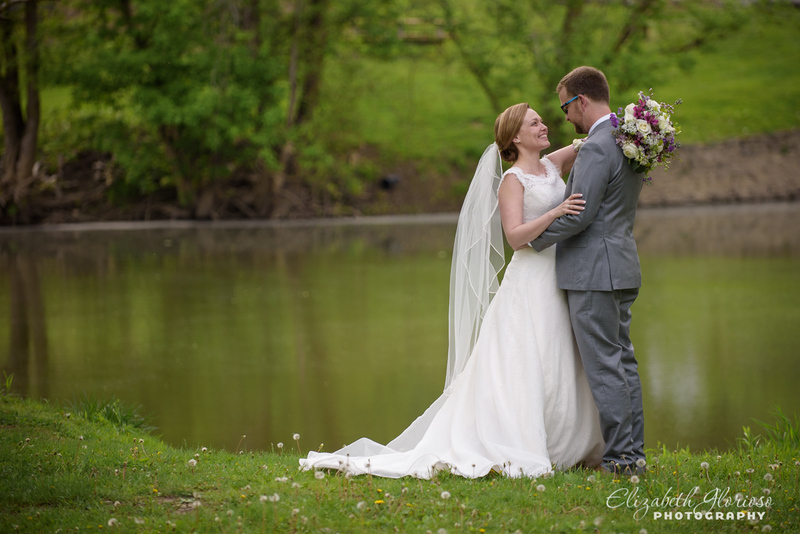 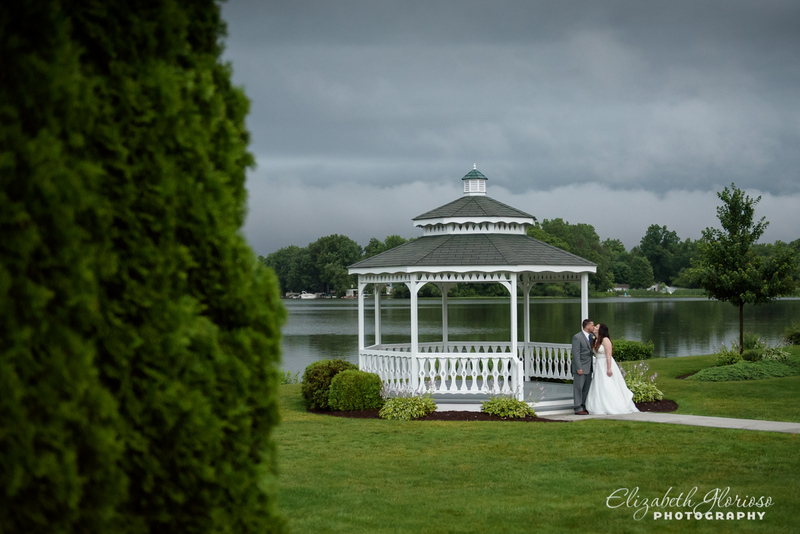 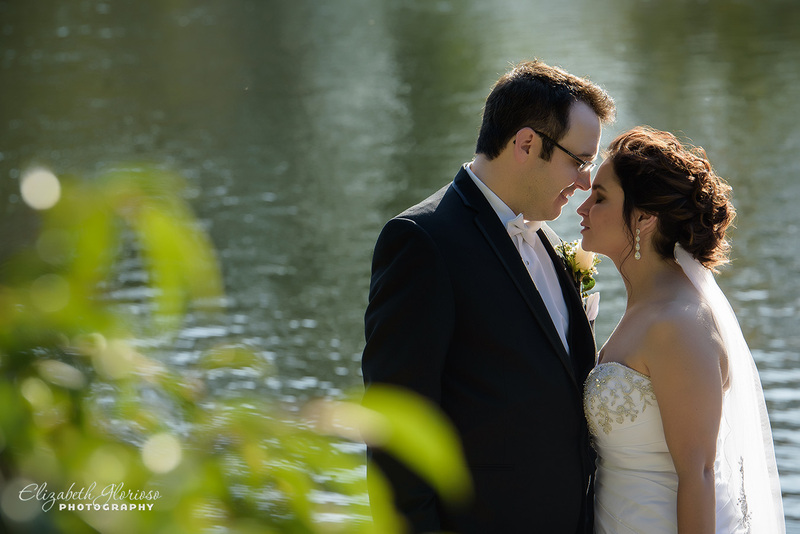 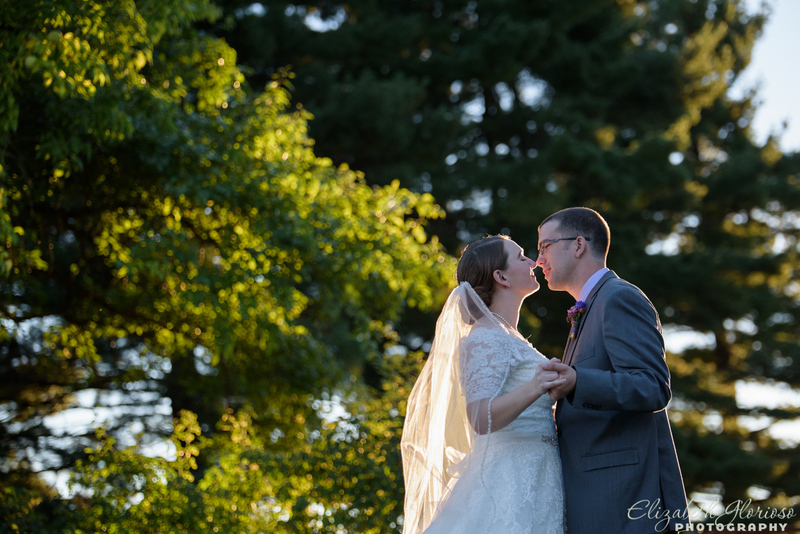 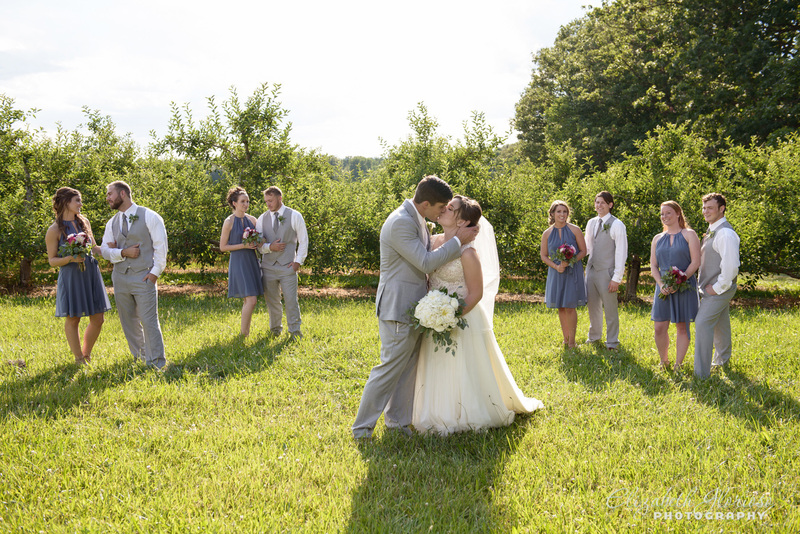 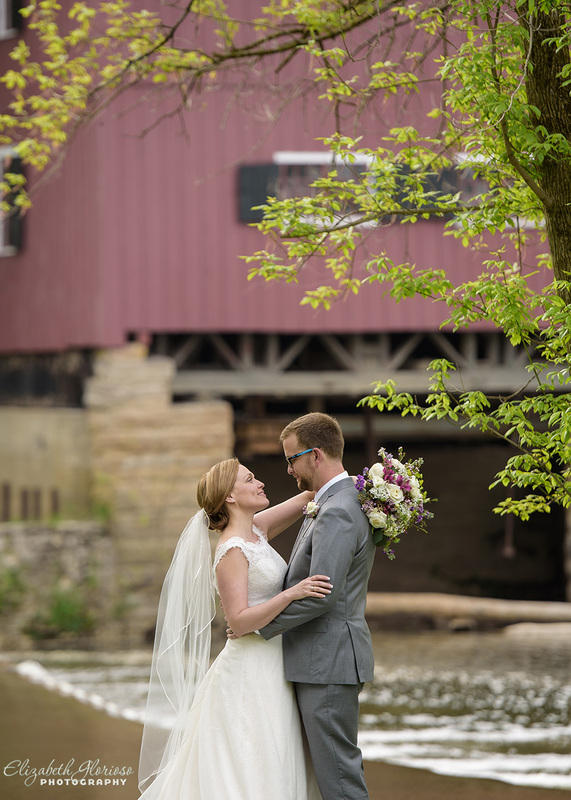 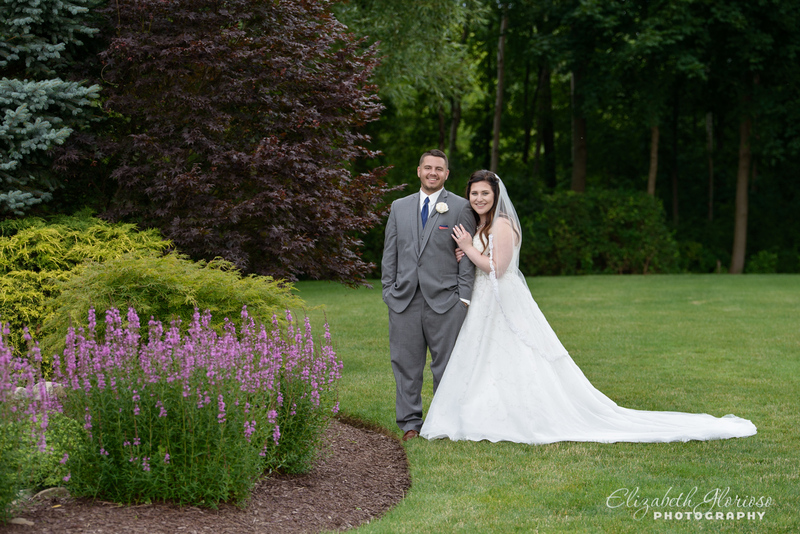 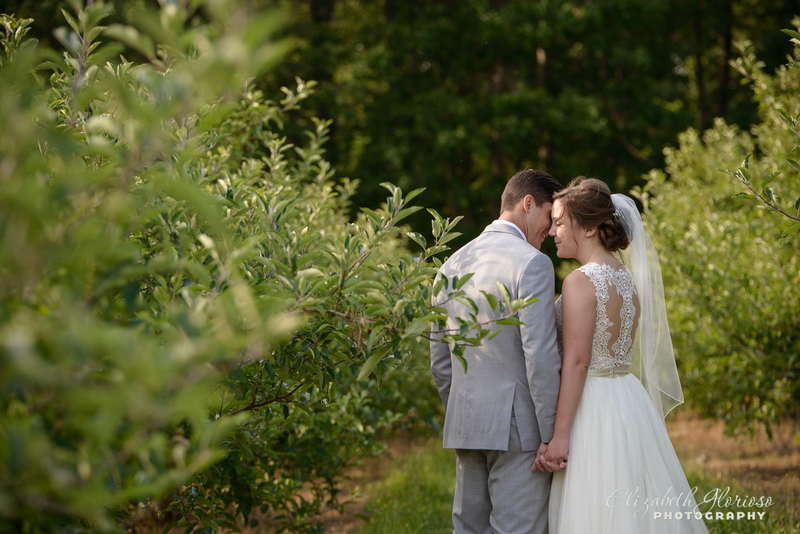 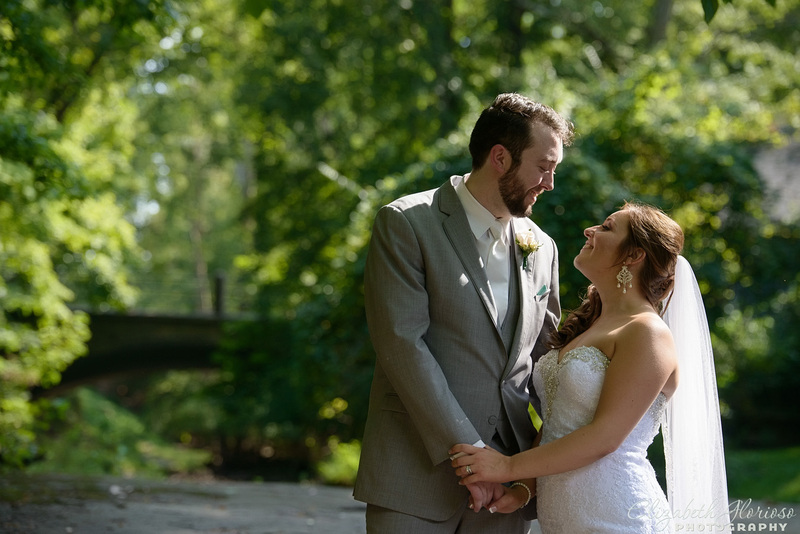 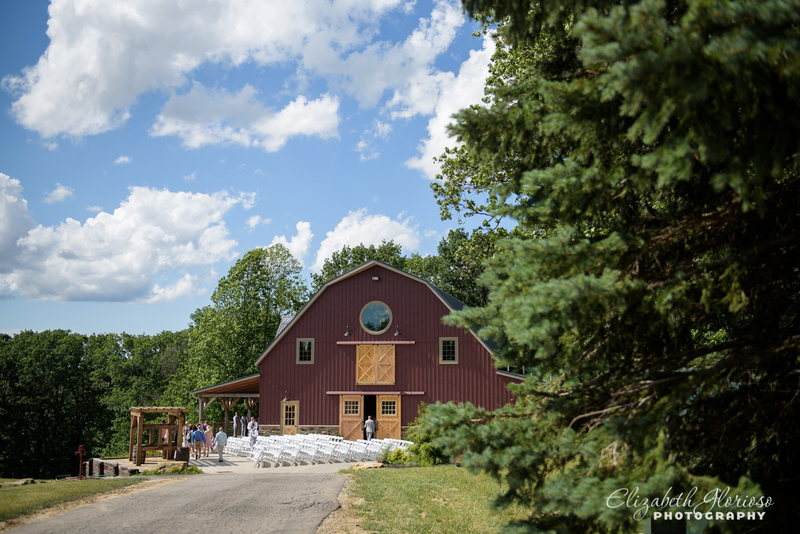 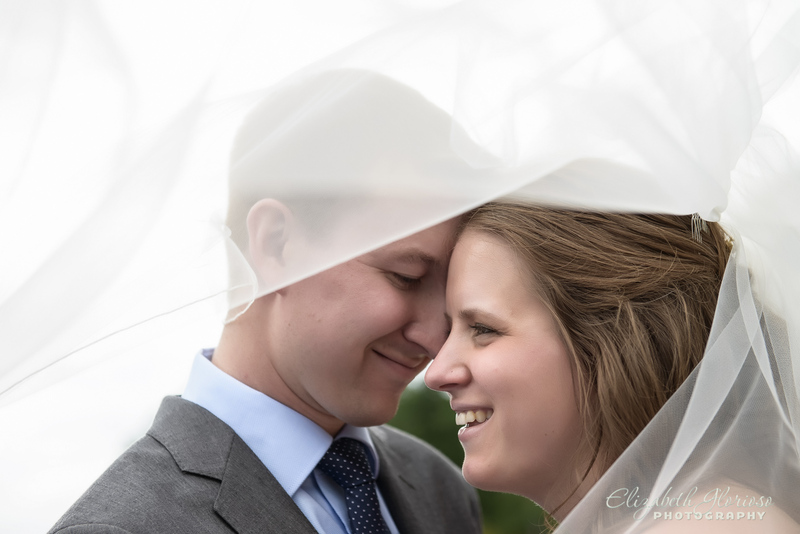 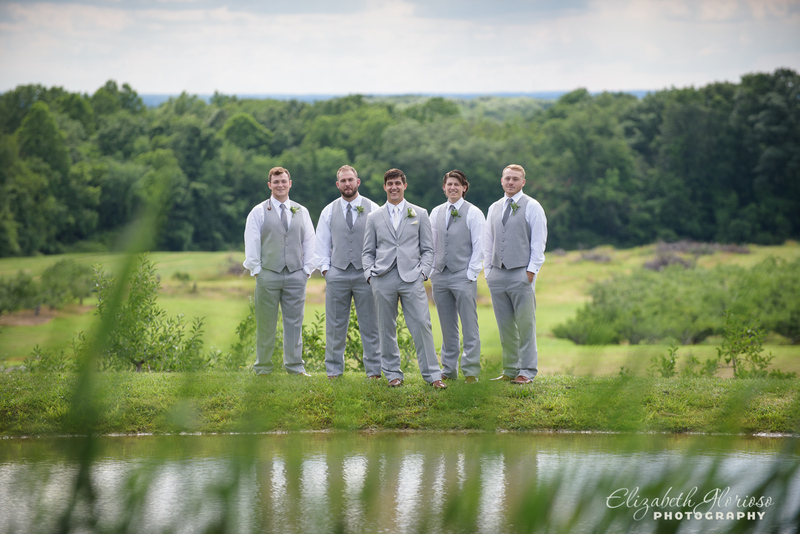 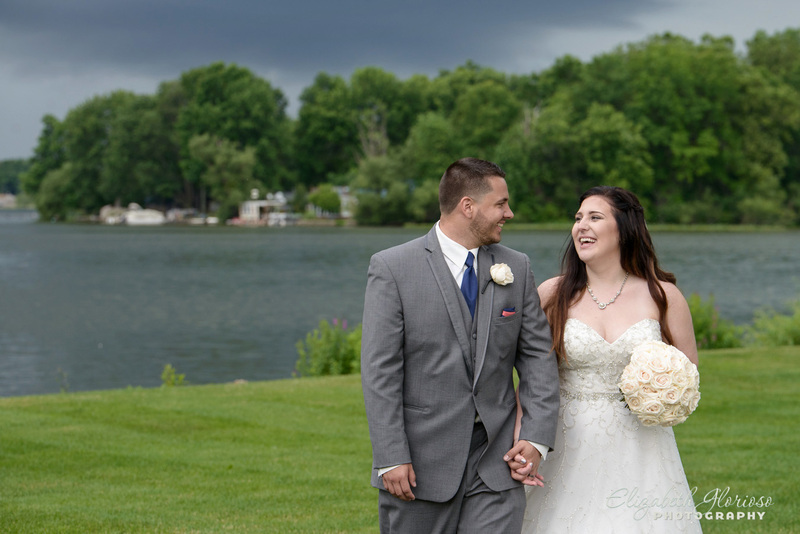 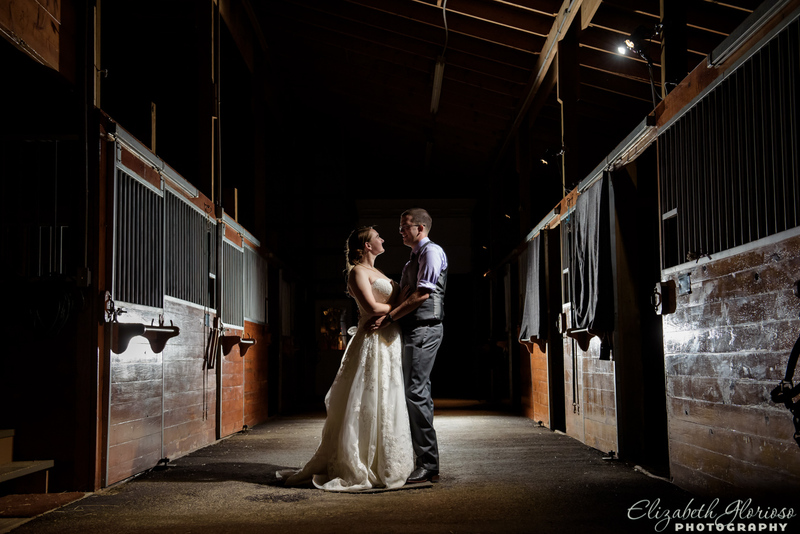 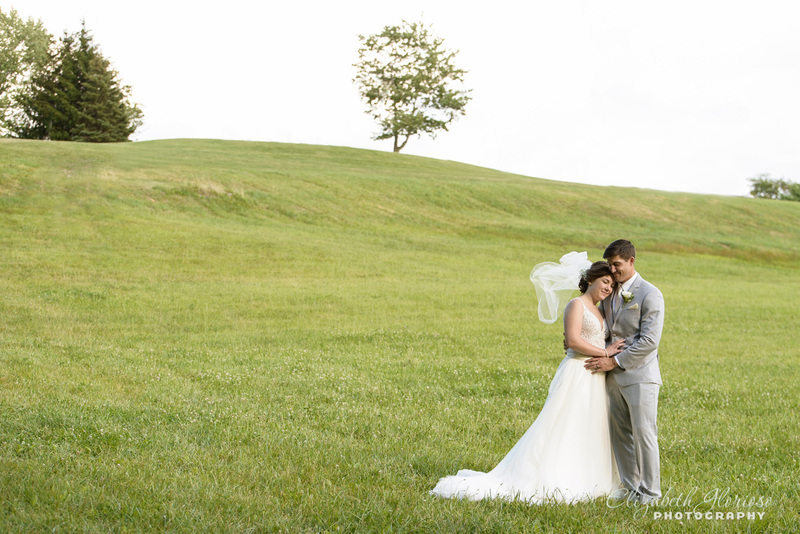 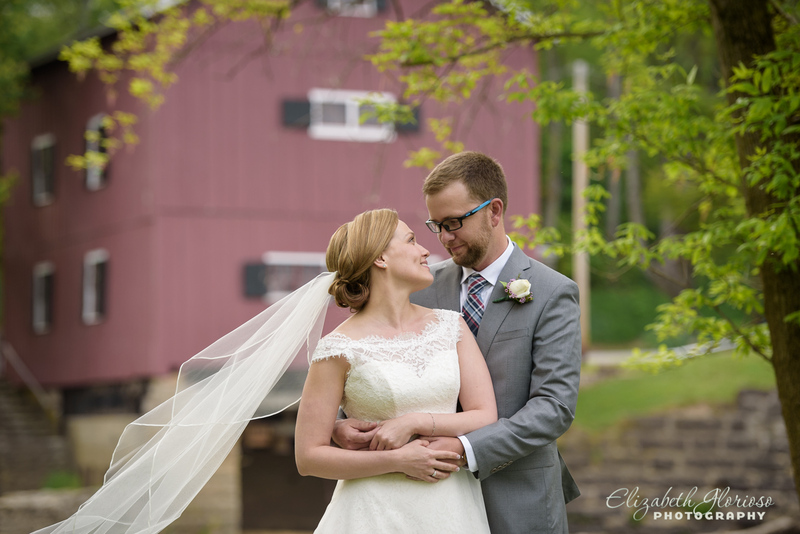 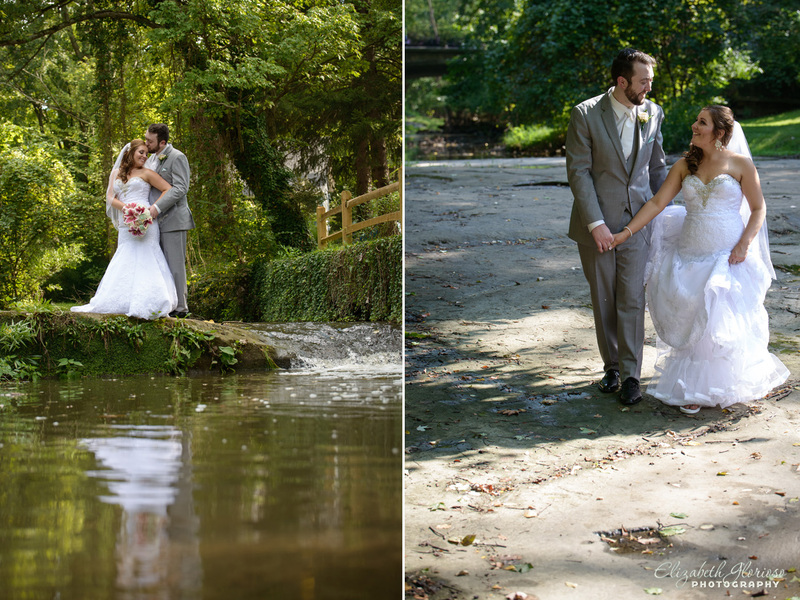 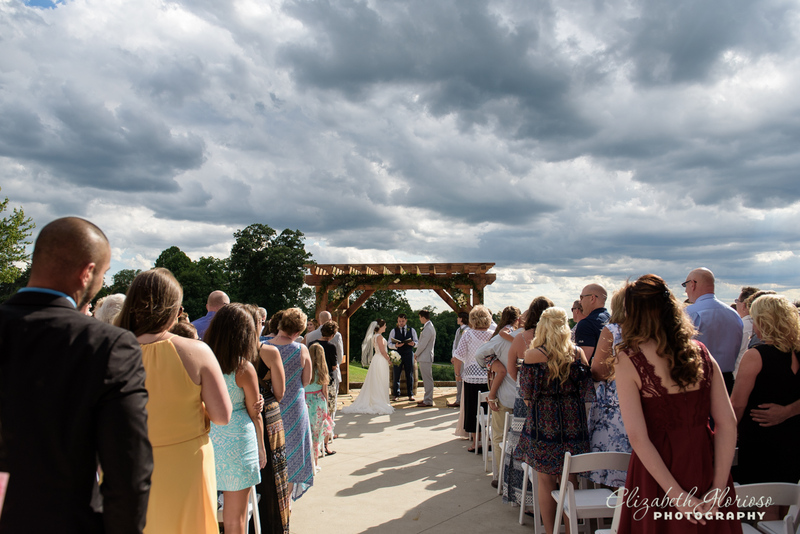 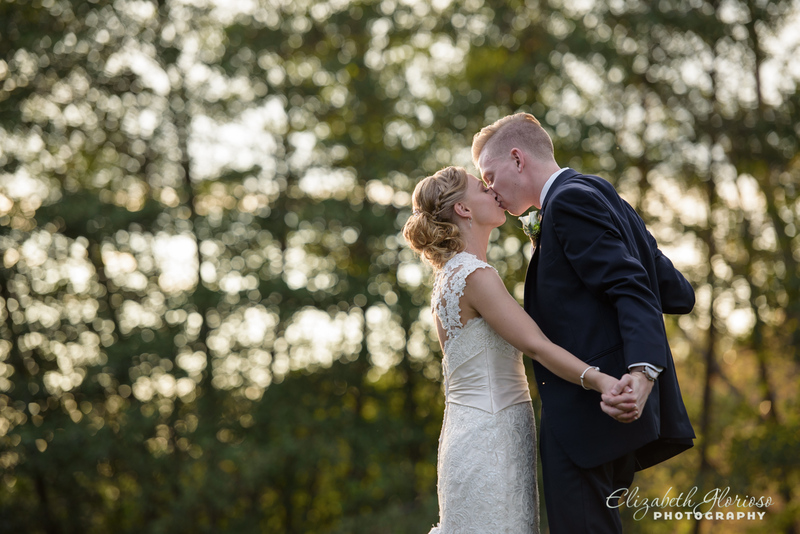 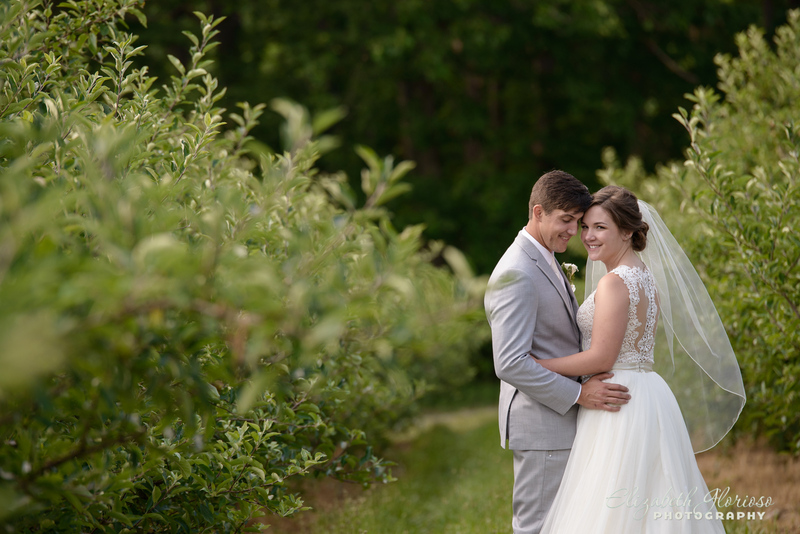 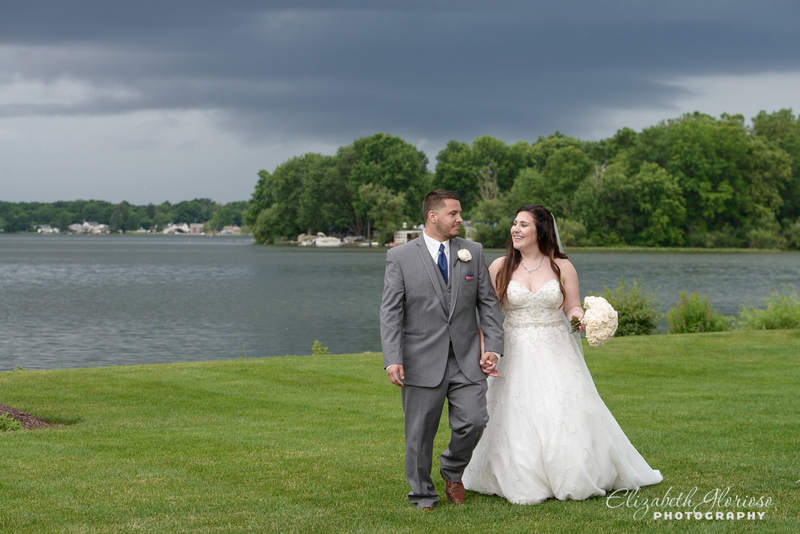 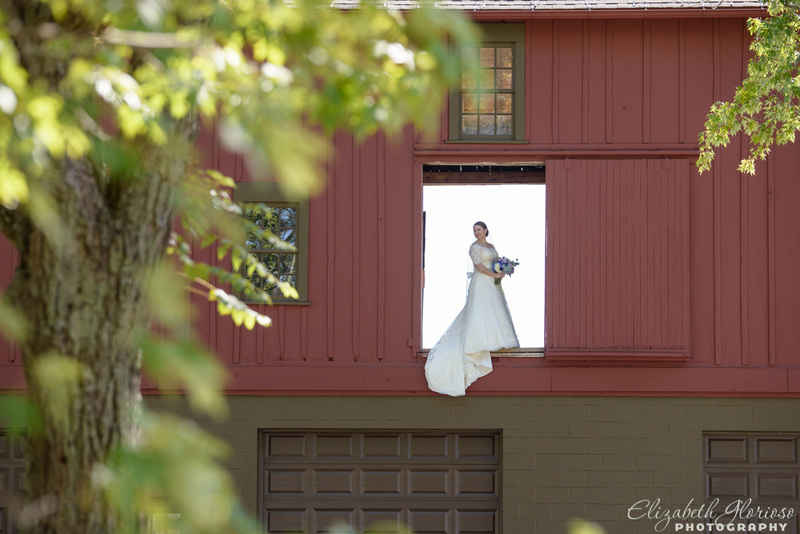 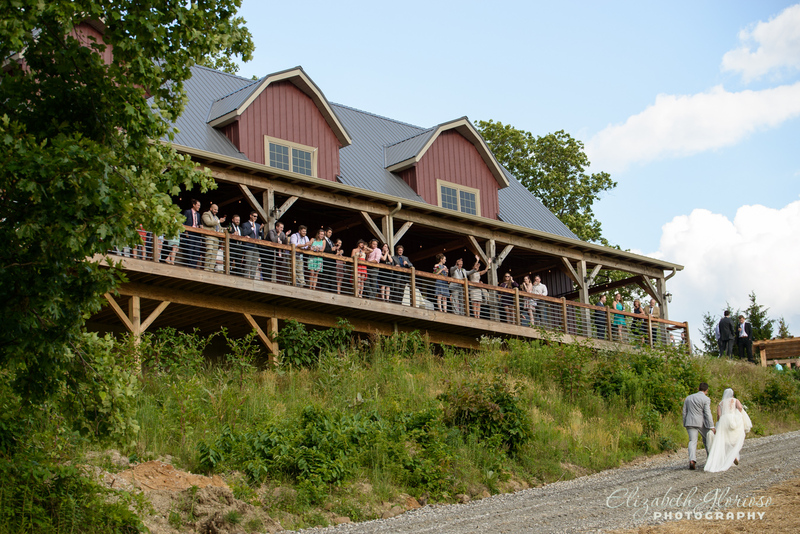 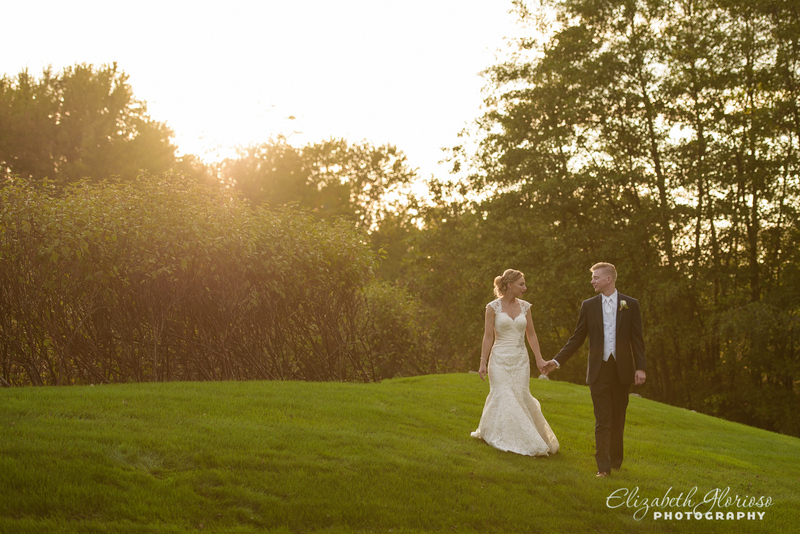 Olmsted Falls has so many beautiful spots to choose from for wedding photographs. 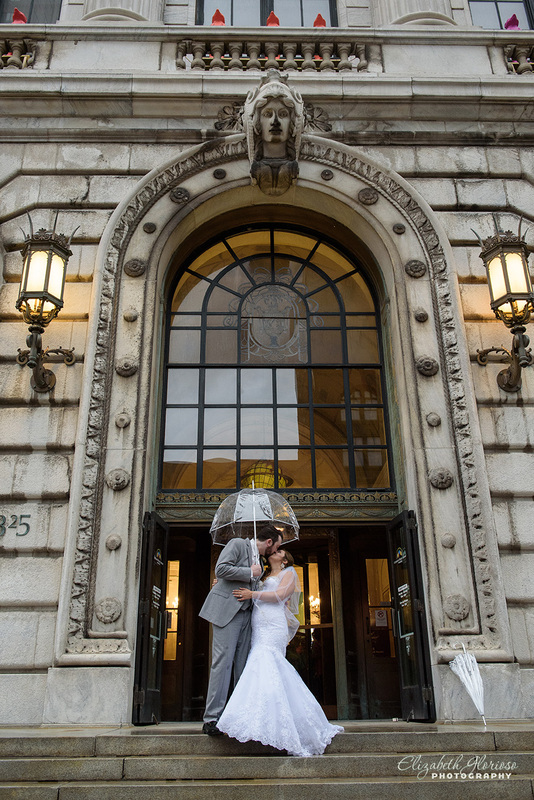 We headed downtown just before the rain rolled in to do a short session at Cleveland Public Library. 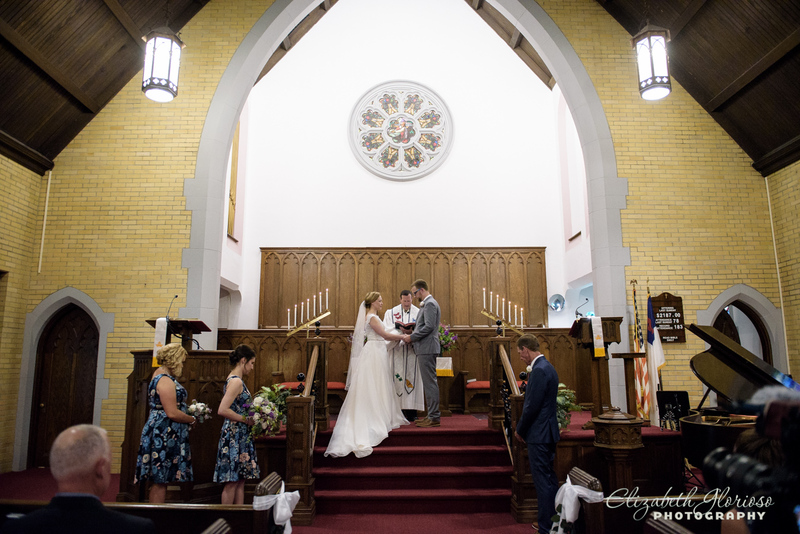 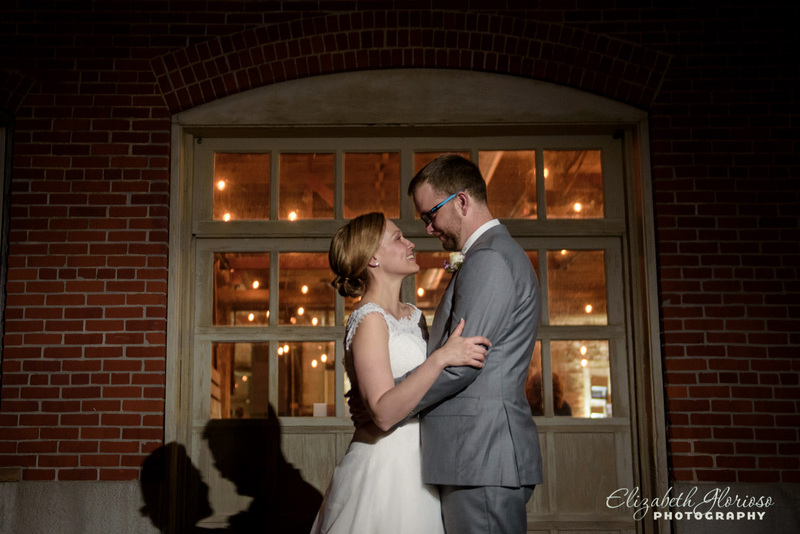 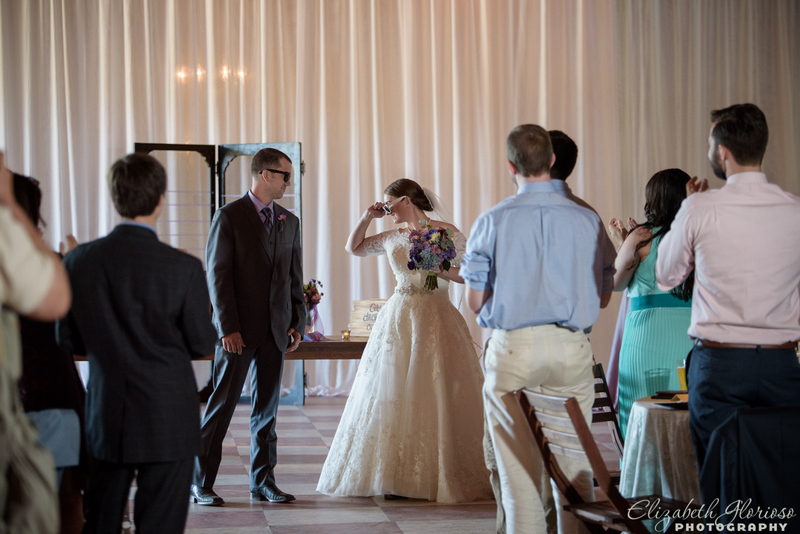 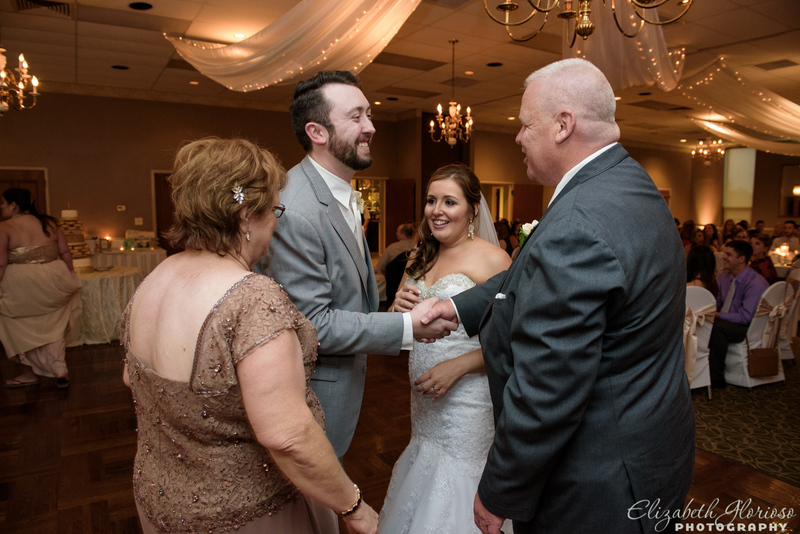 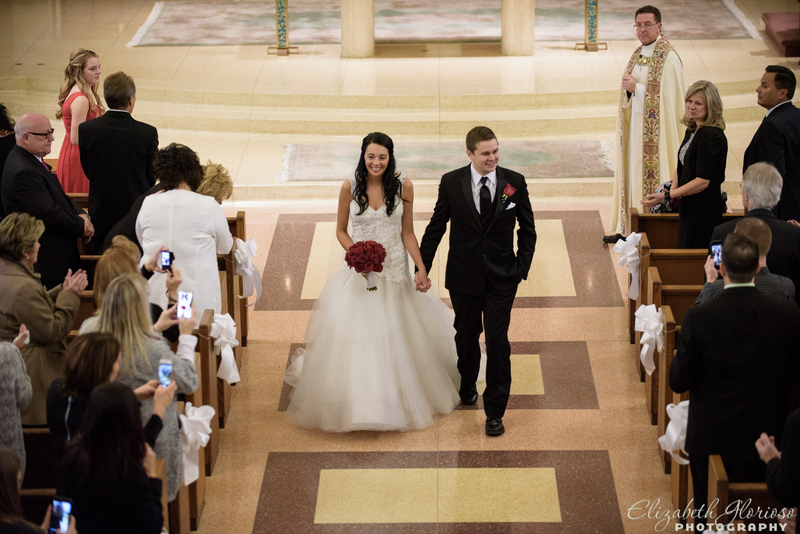 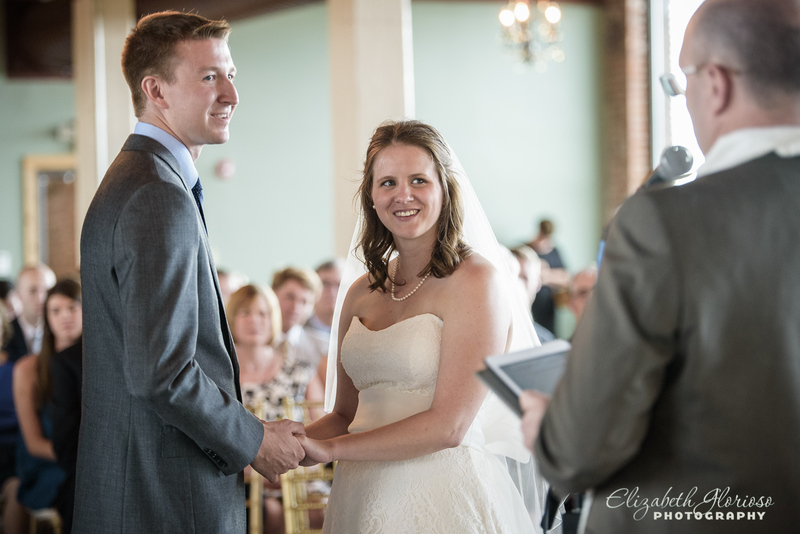 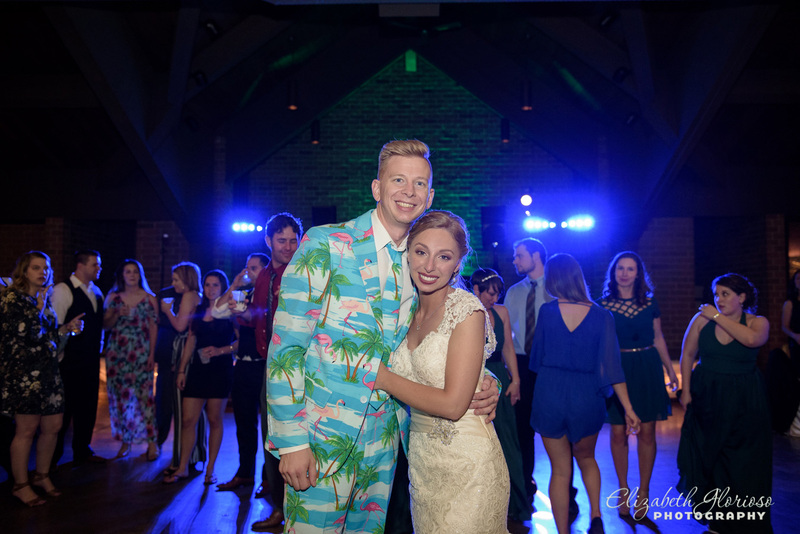 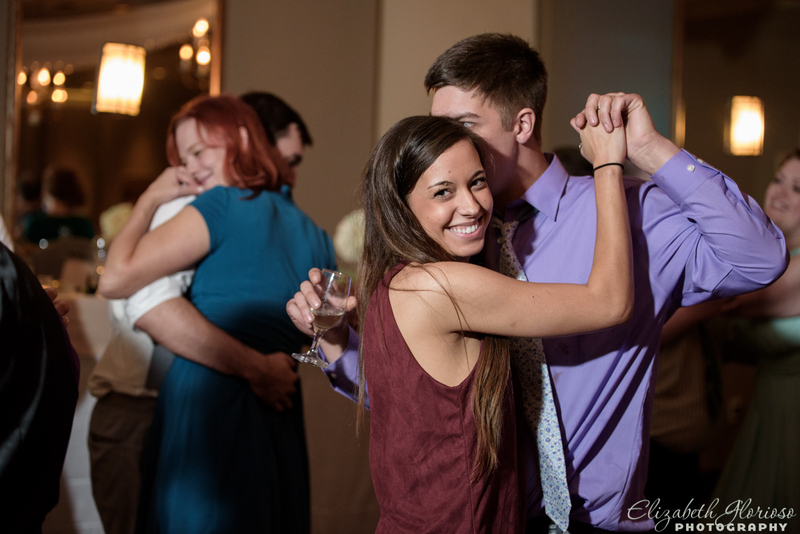 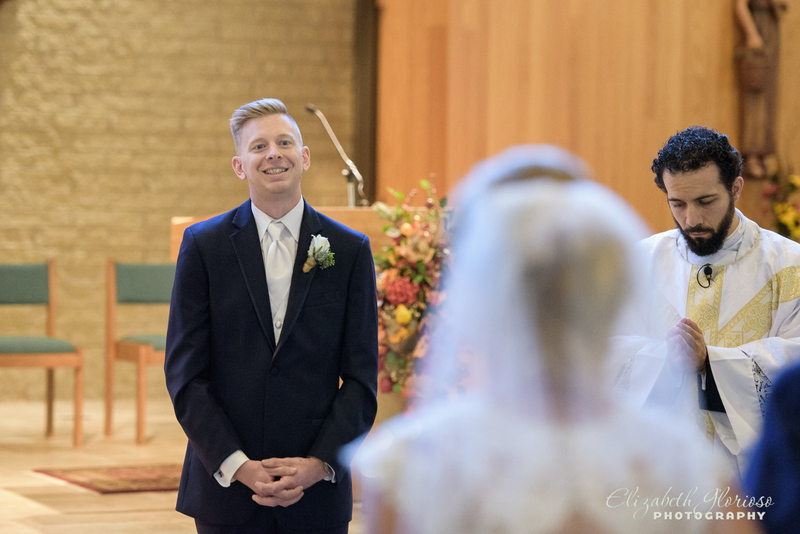 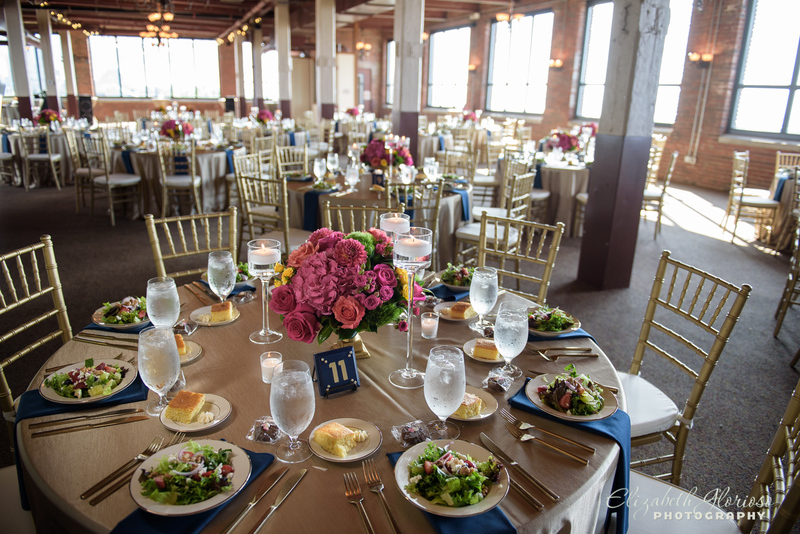 The reception at St Elias Church in Cleveland was the perfect venue for Erin and Gary’s celebration. 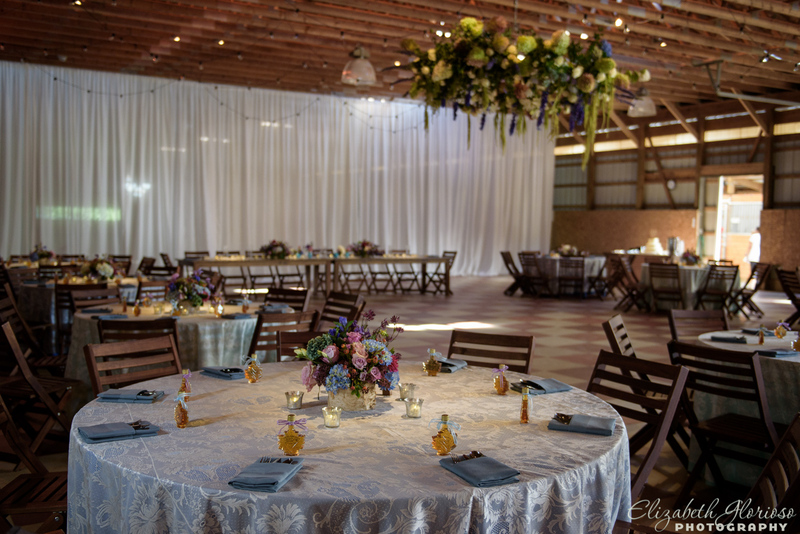 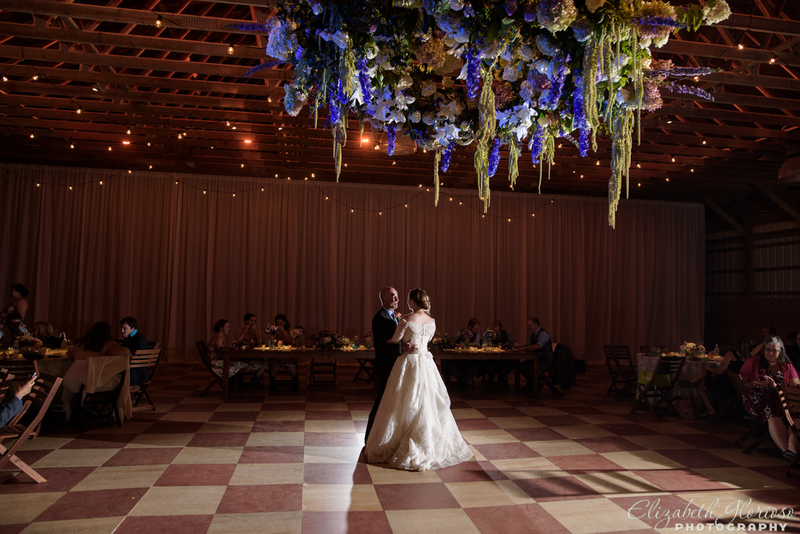 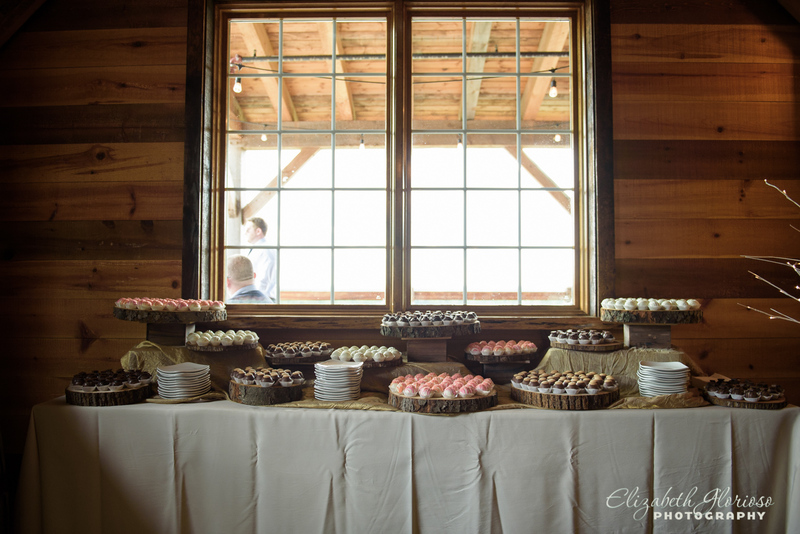 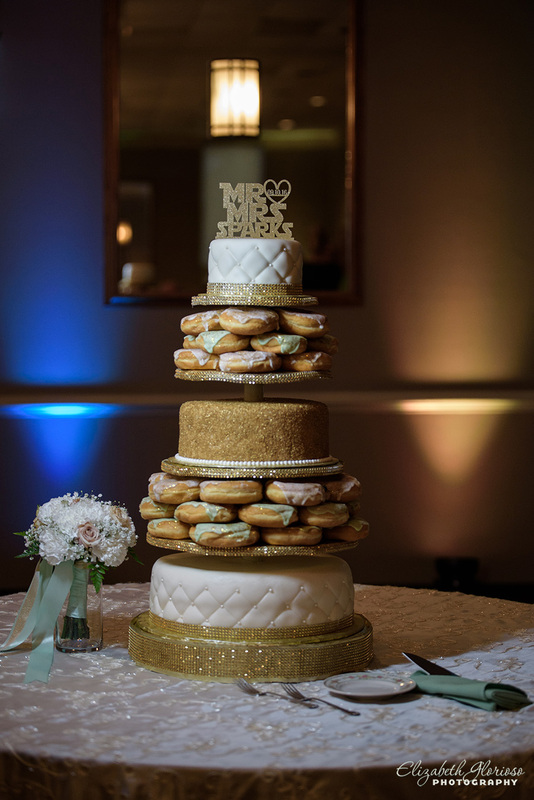 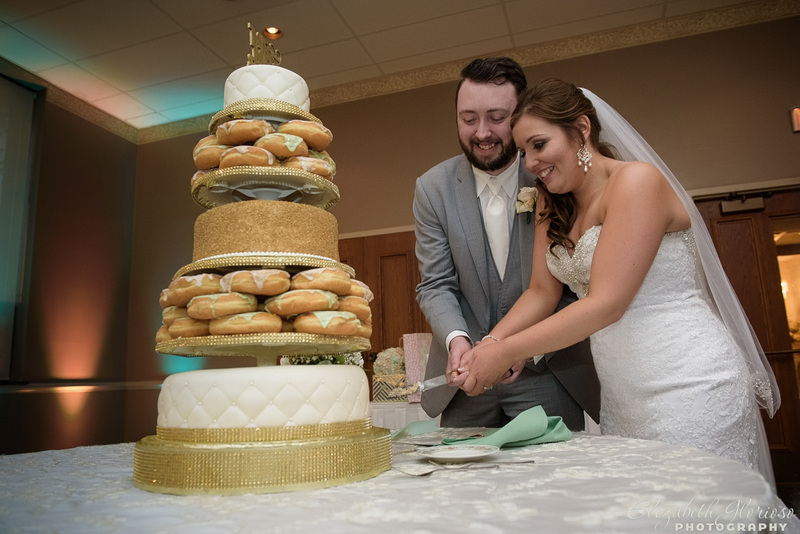 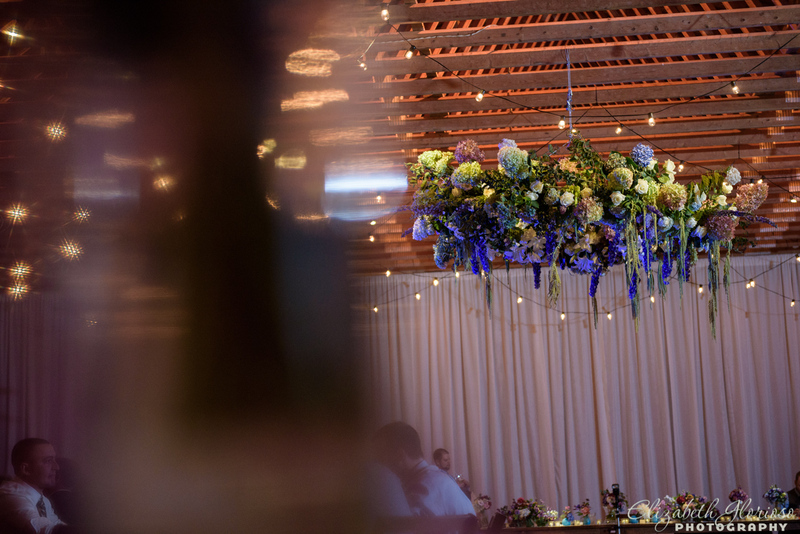 Lovely uplighting filled the room along details of vintage dinnerware, custom etched toasting flutes and a yummy traditional wedding cake with some non-traditional donut touches. 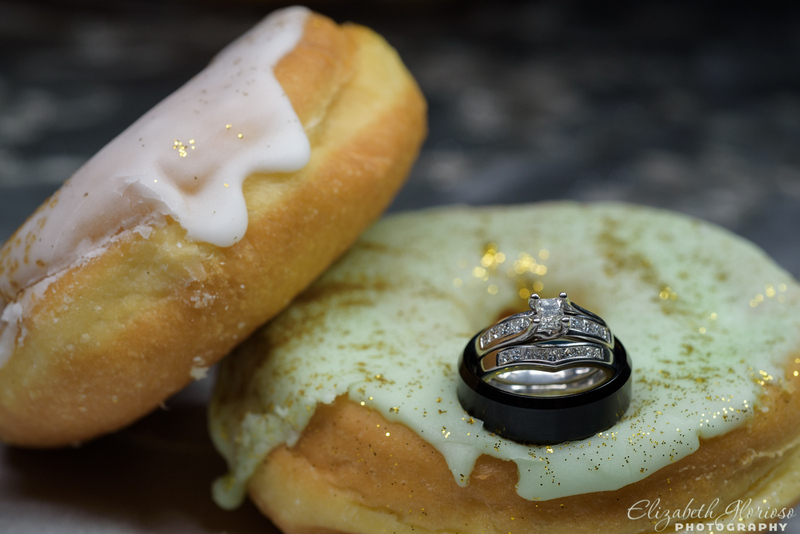 Mmmmm…donuts! 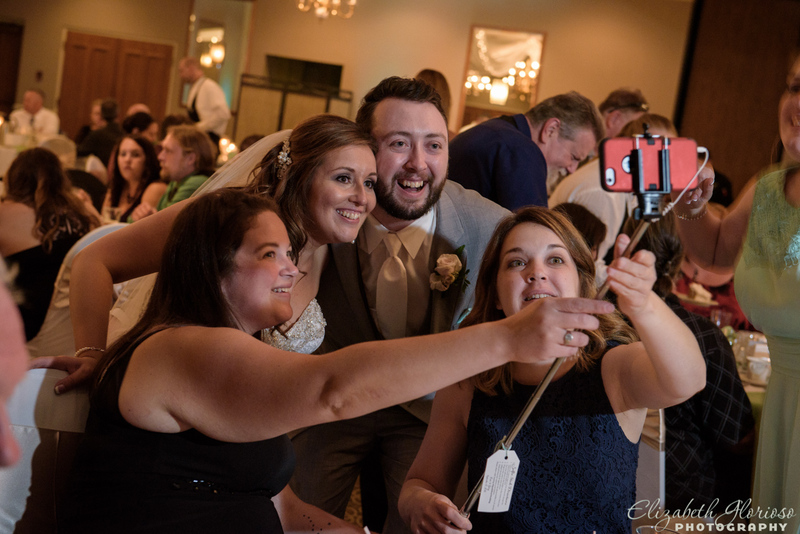 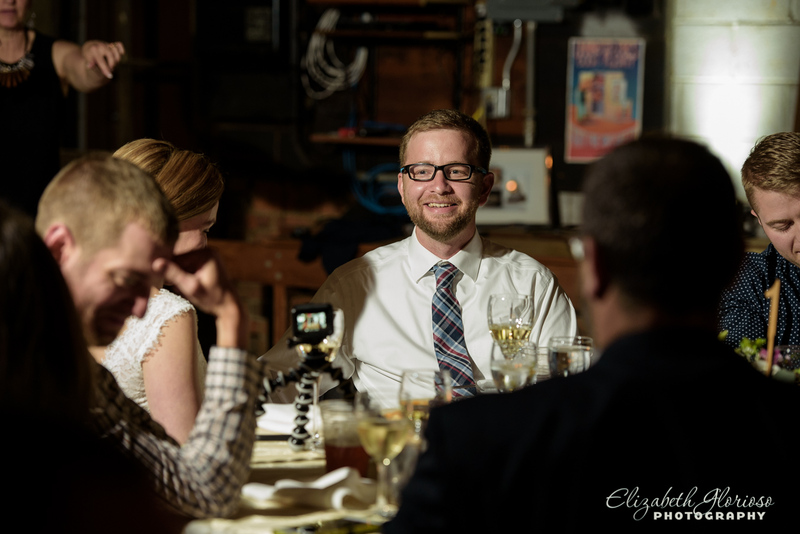 Guests enjoyed the selfie-sticks that were placed at the tables for fun candid photos! 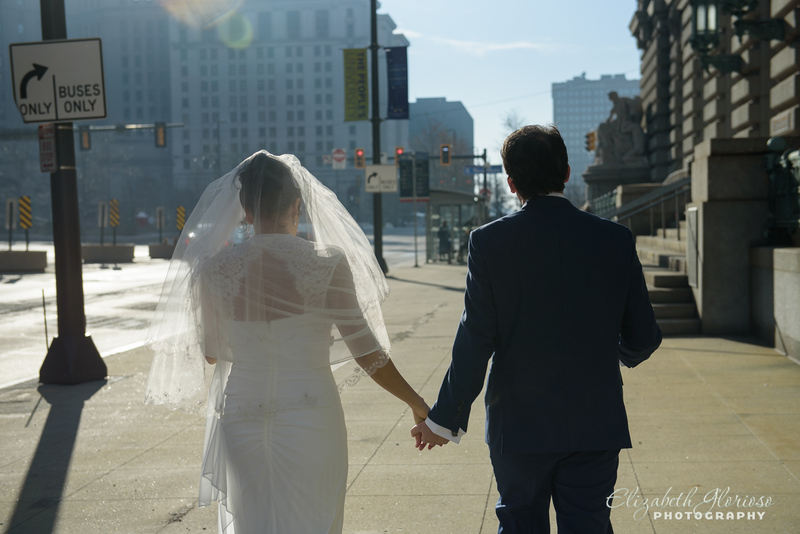 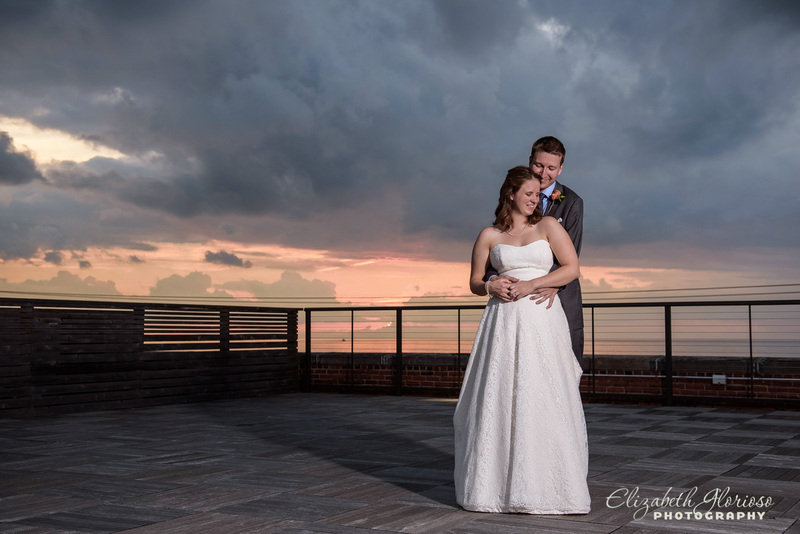 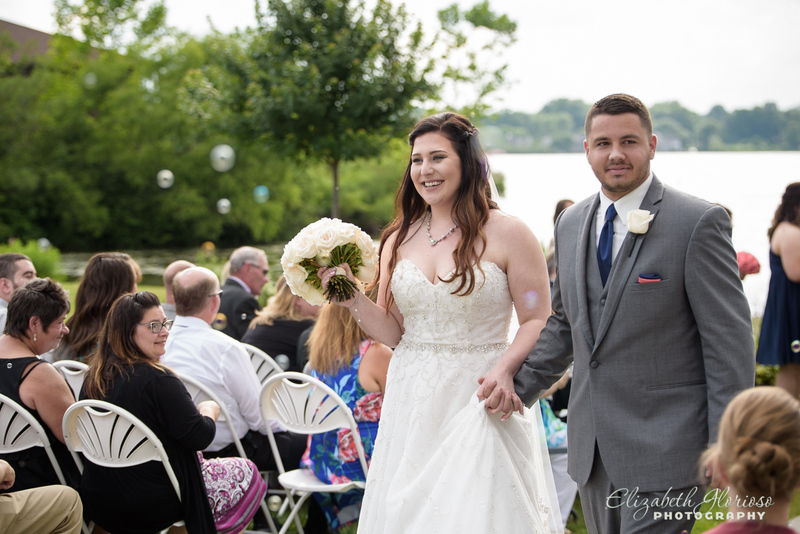 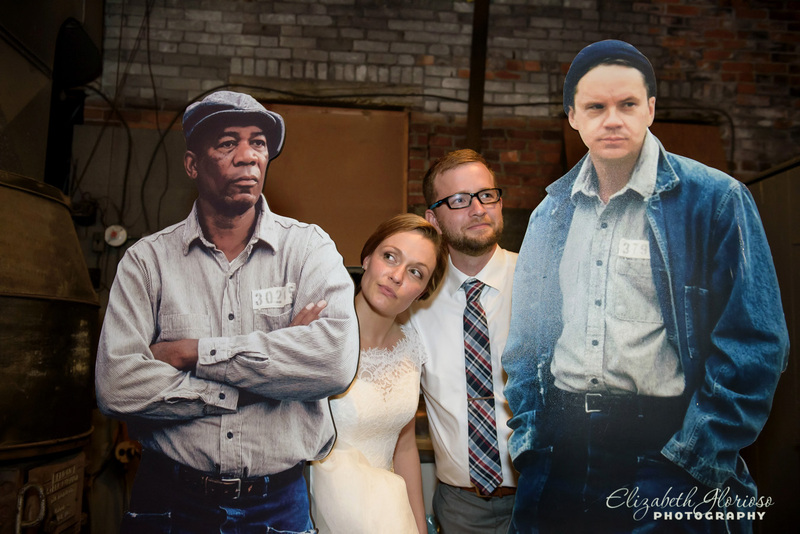 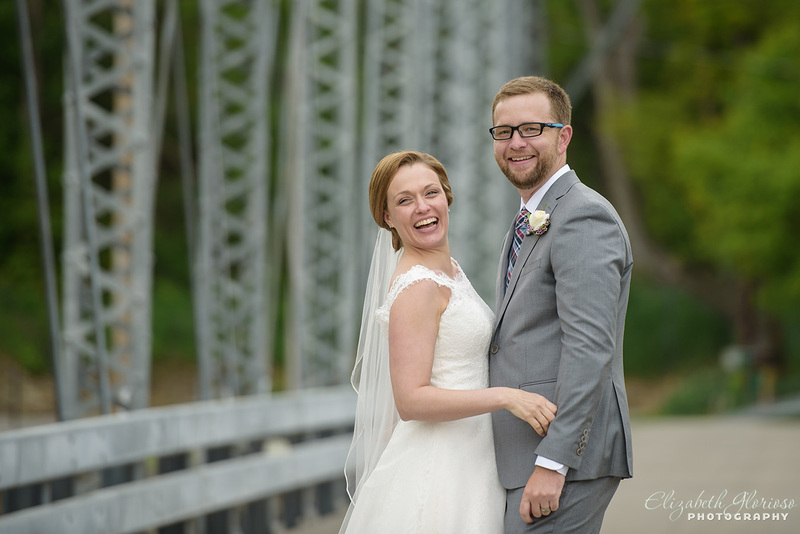 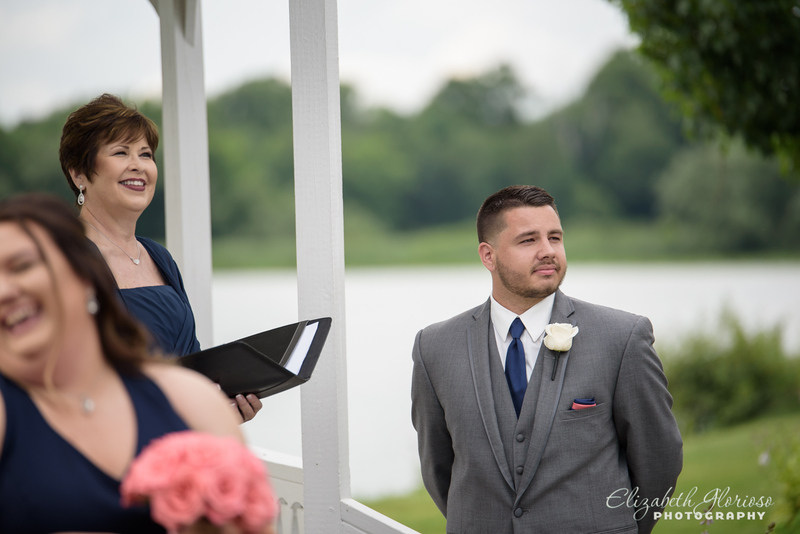 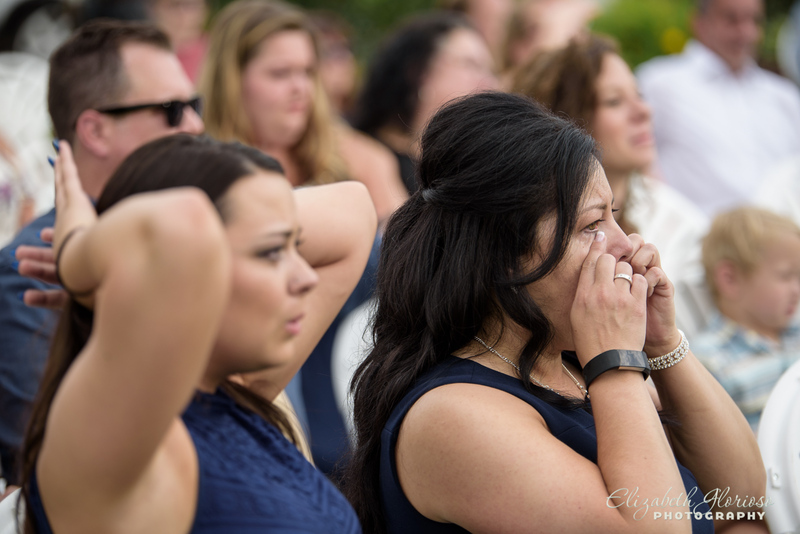 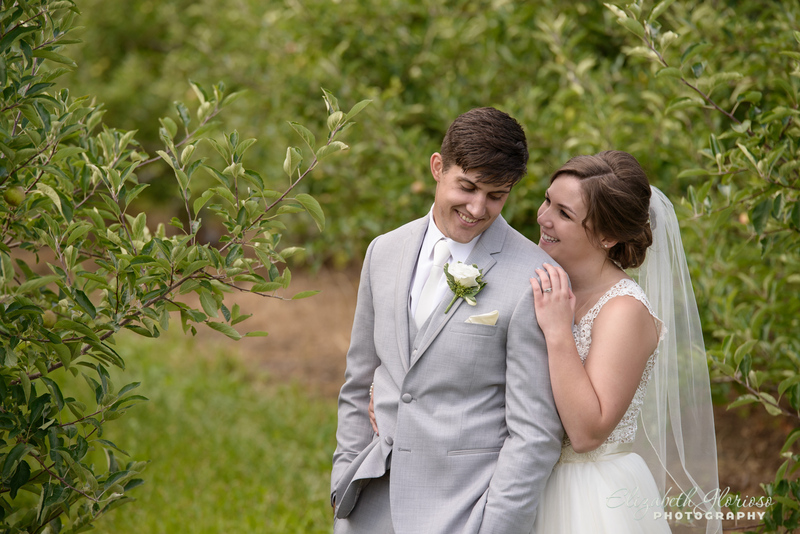 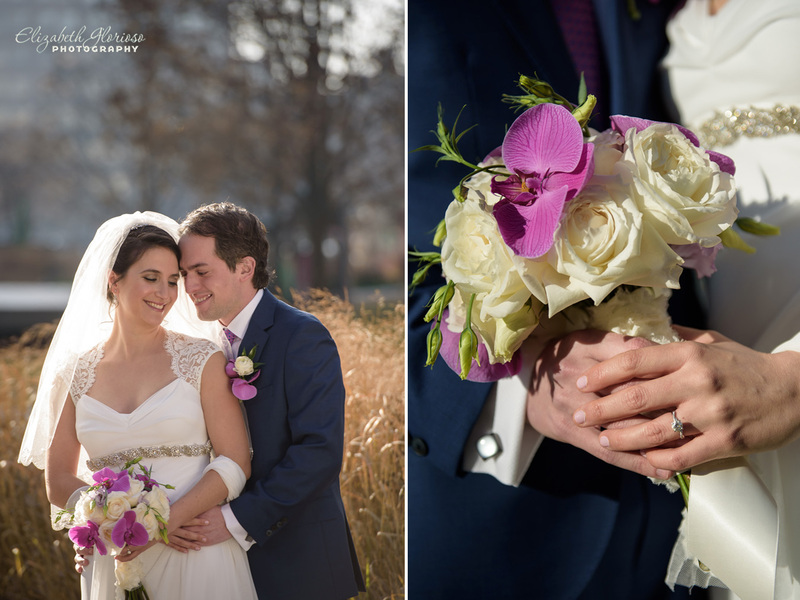 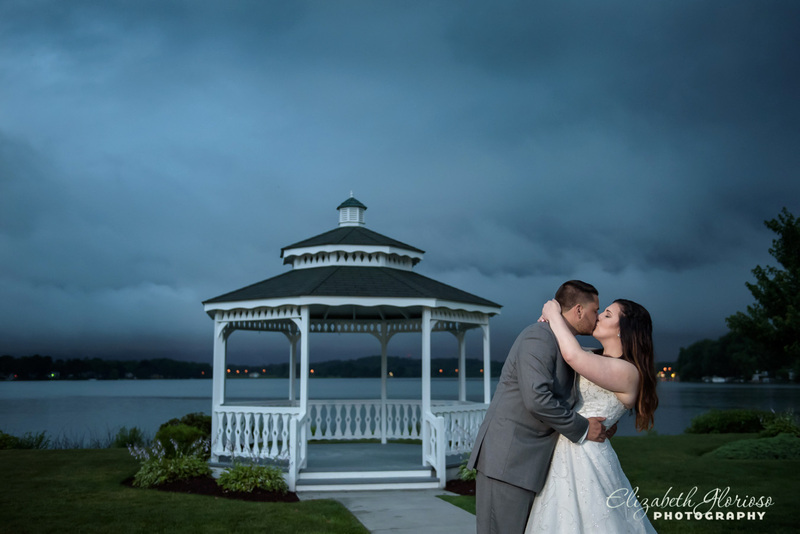 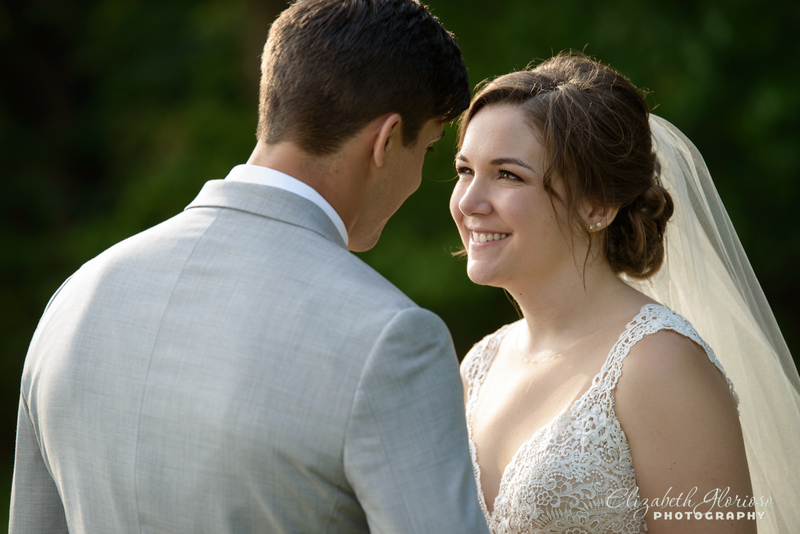 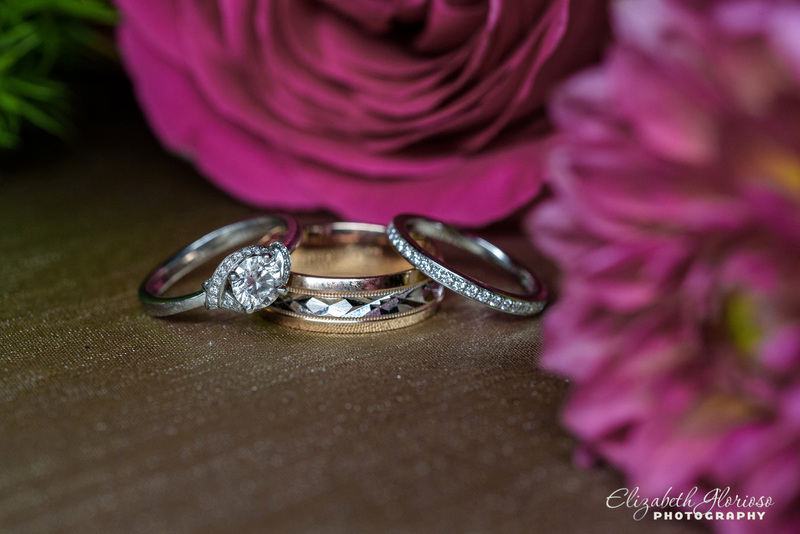 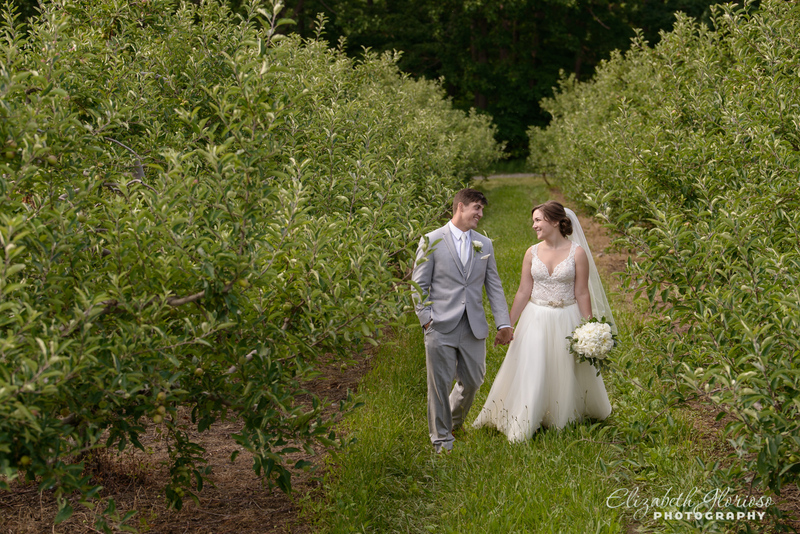 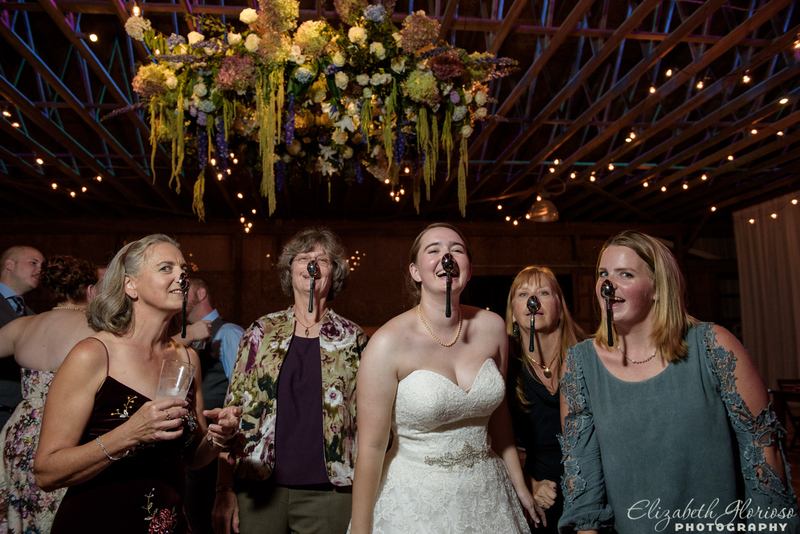 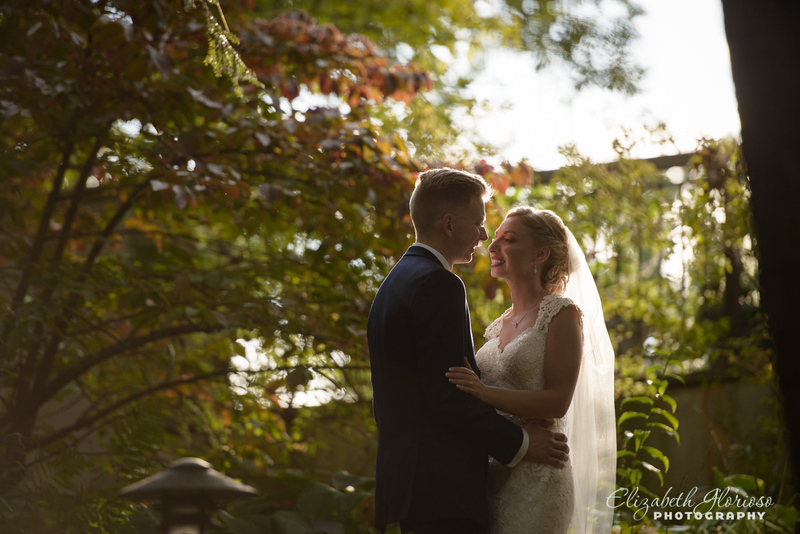 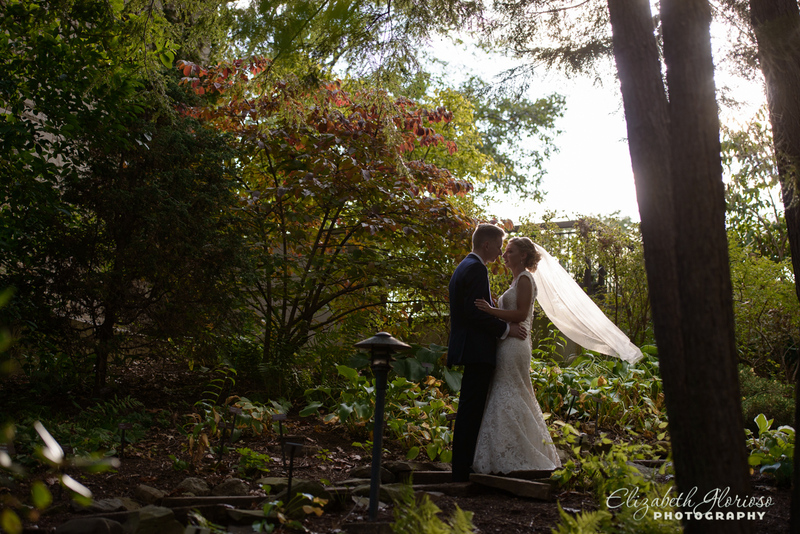 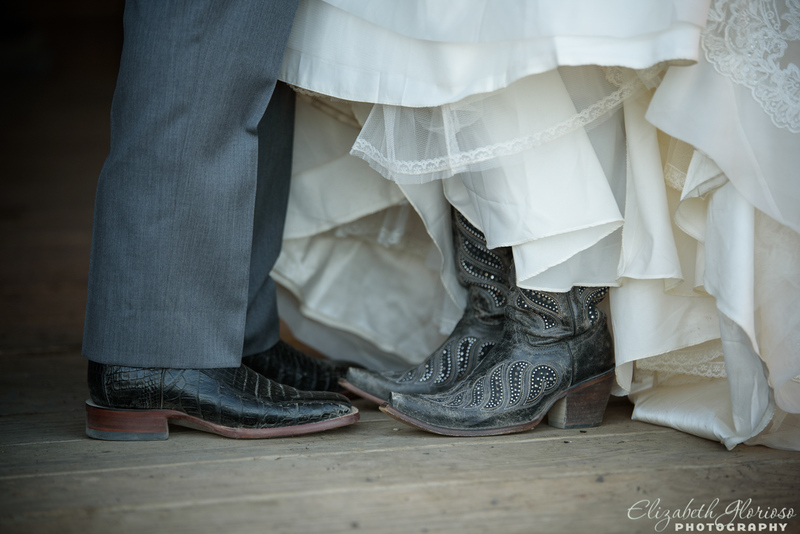 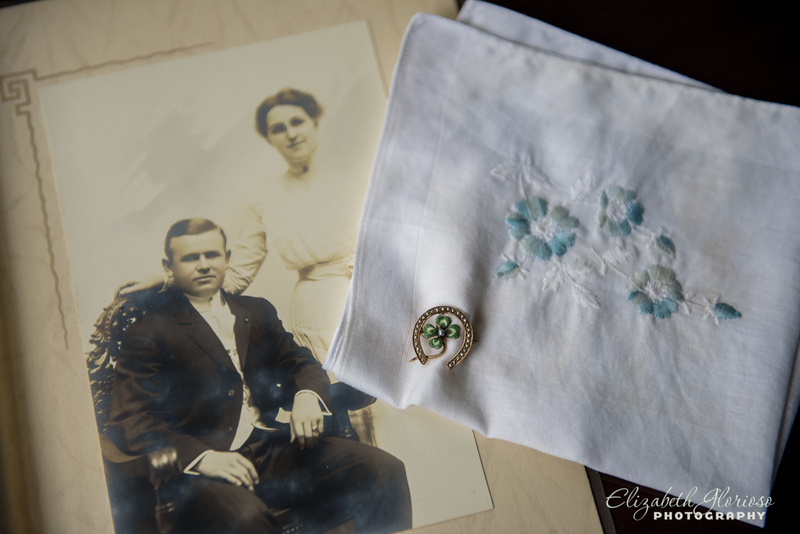 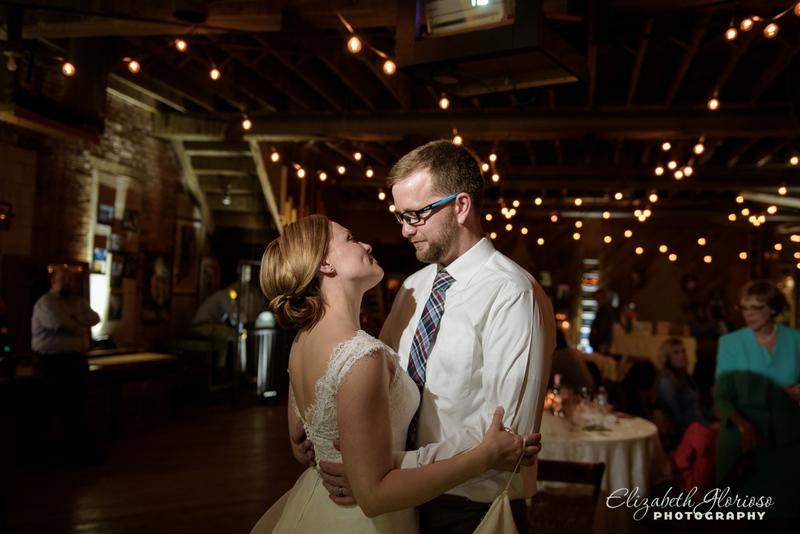 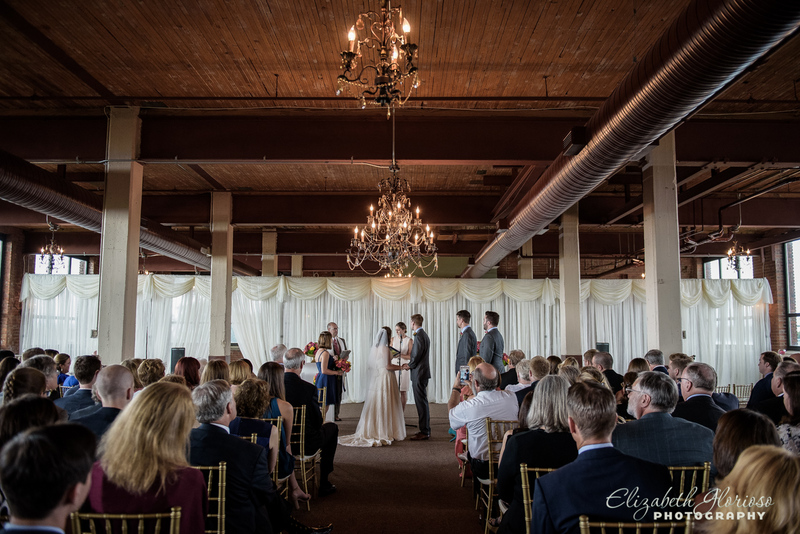 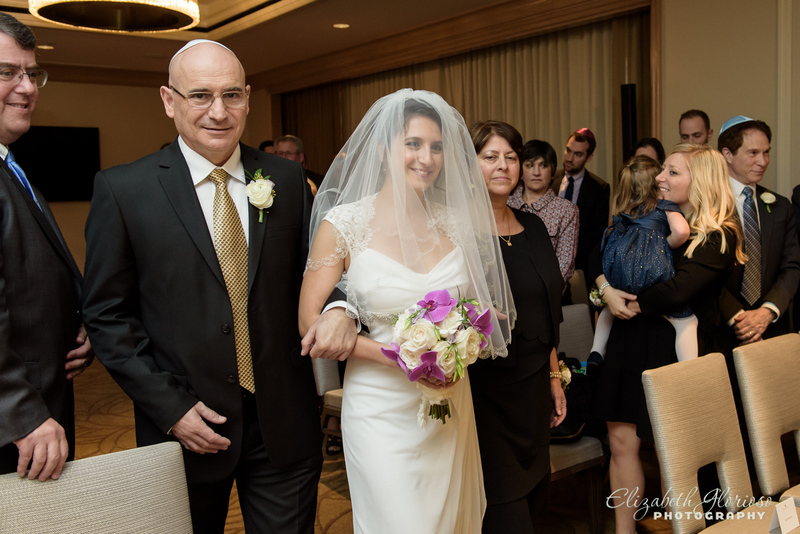 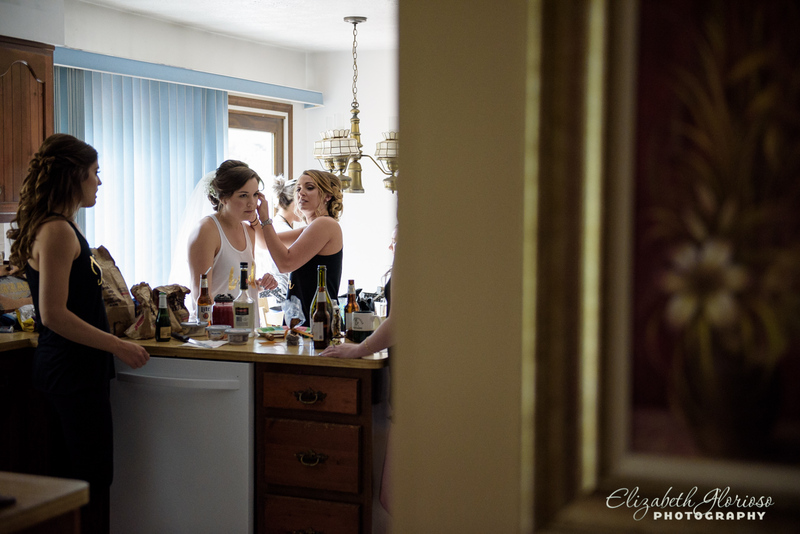 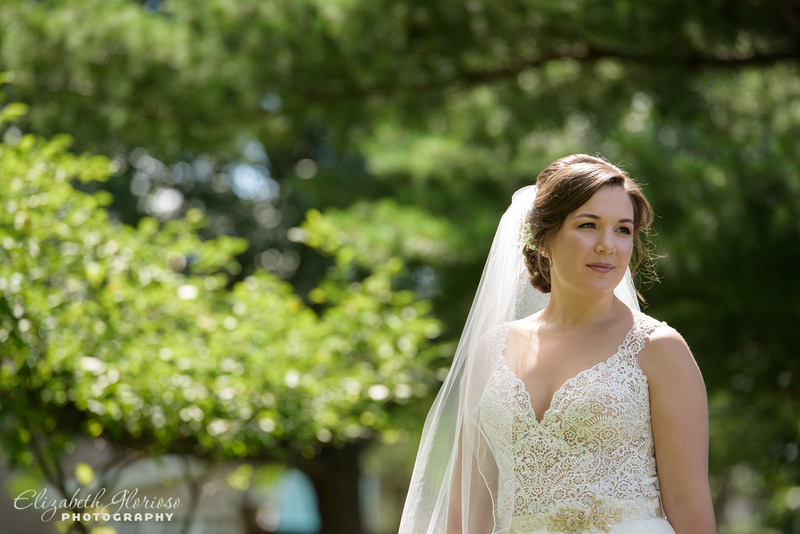 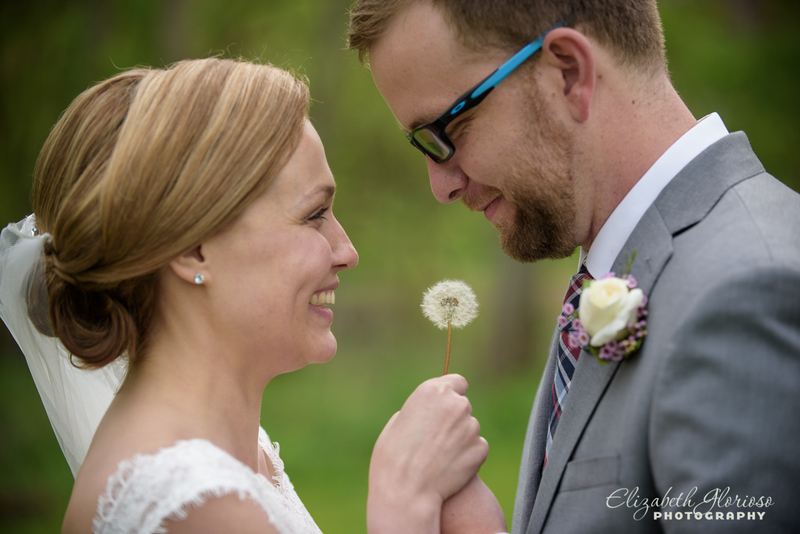 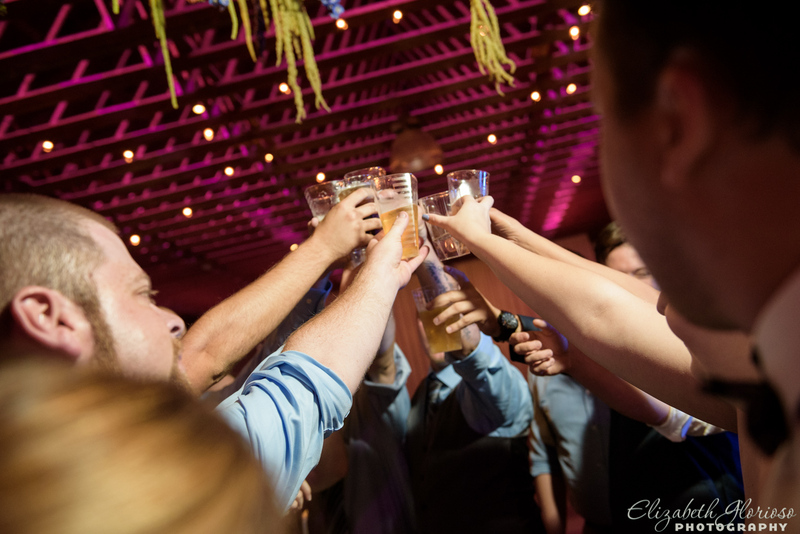 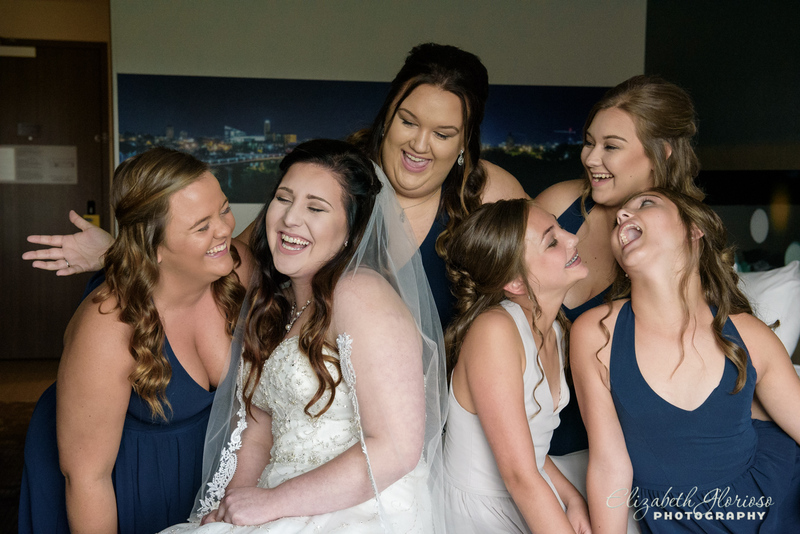 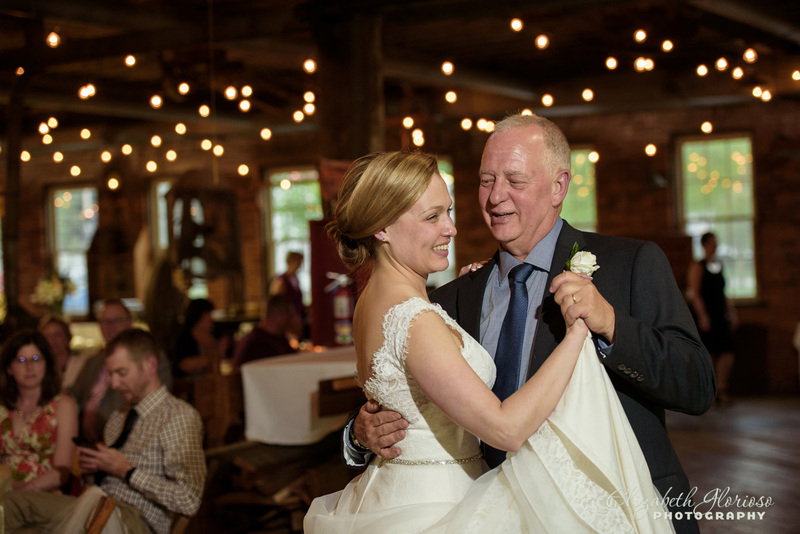 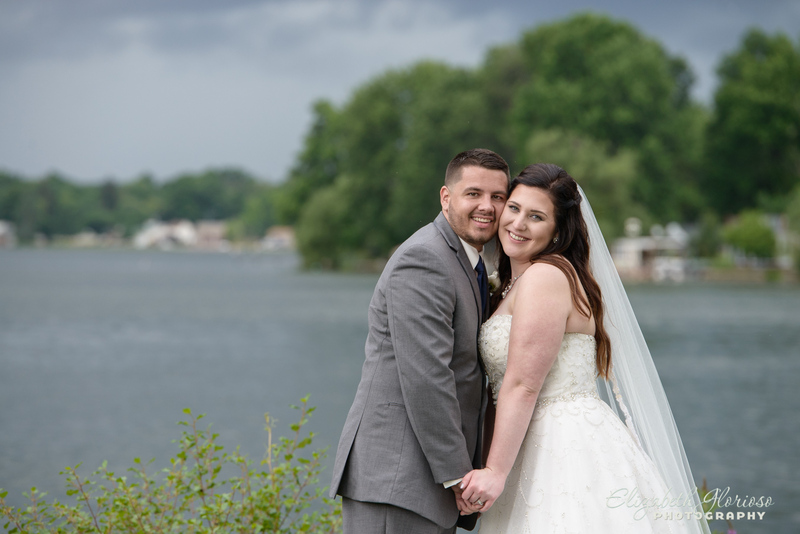 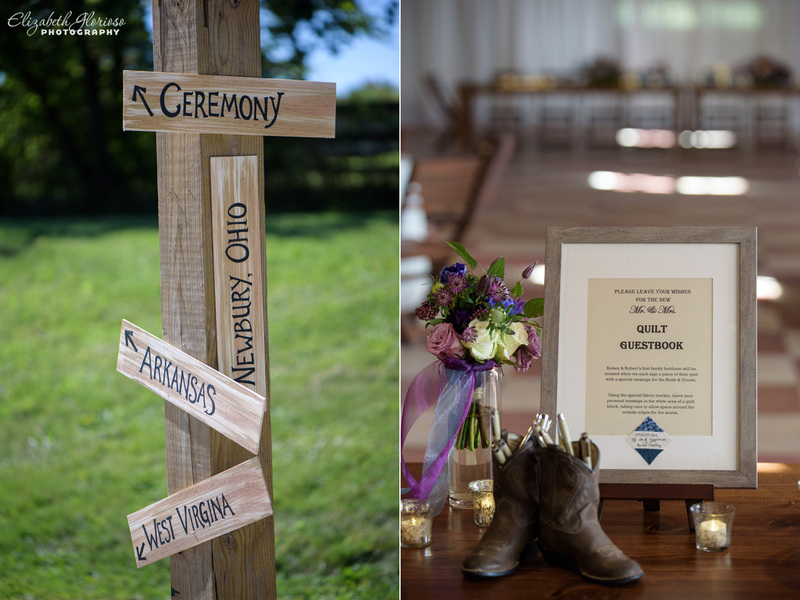 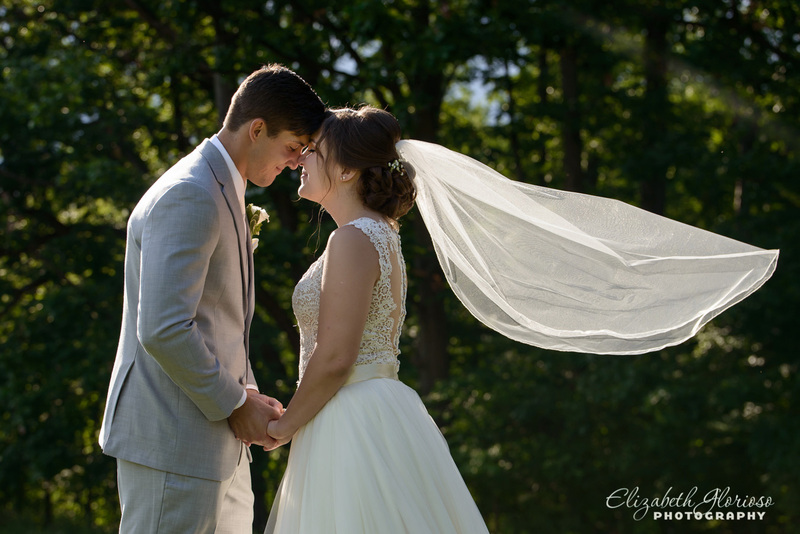 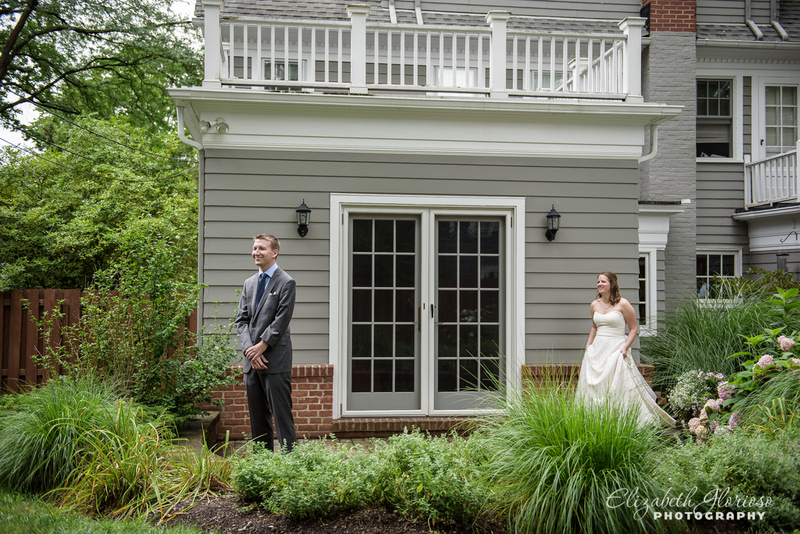 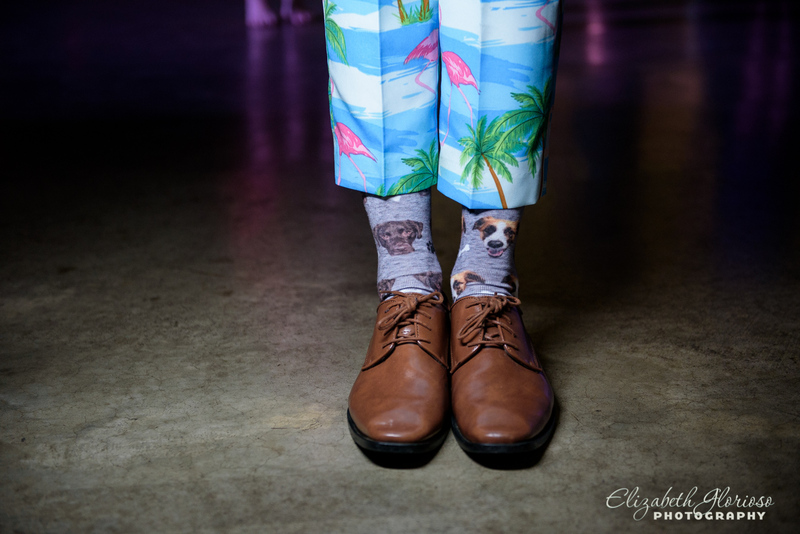 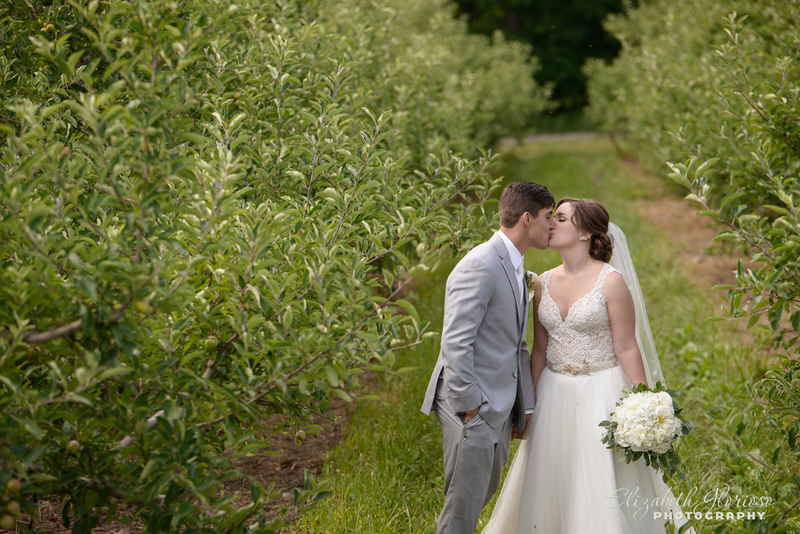 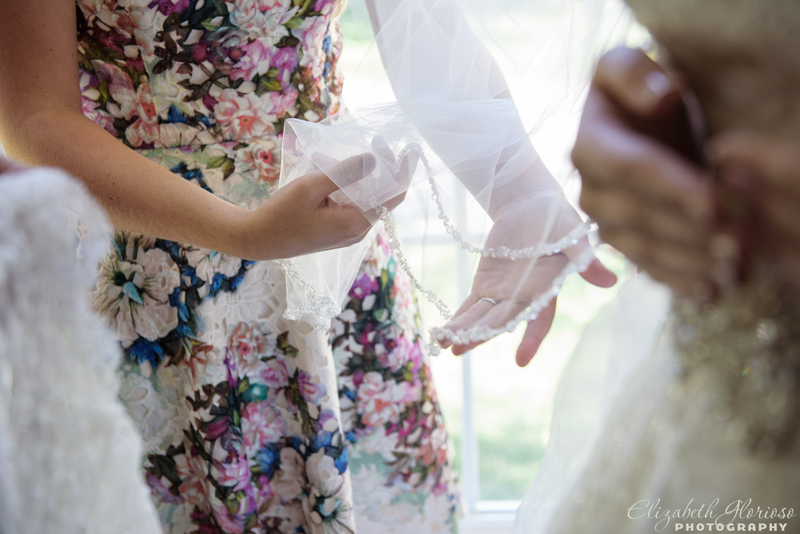 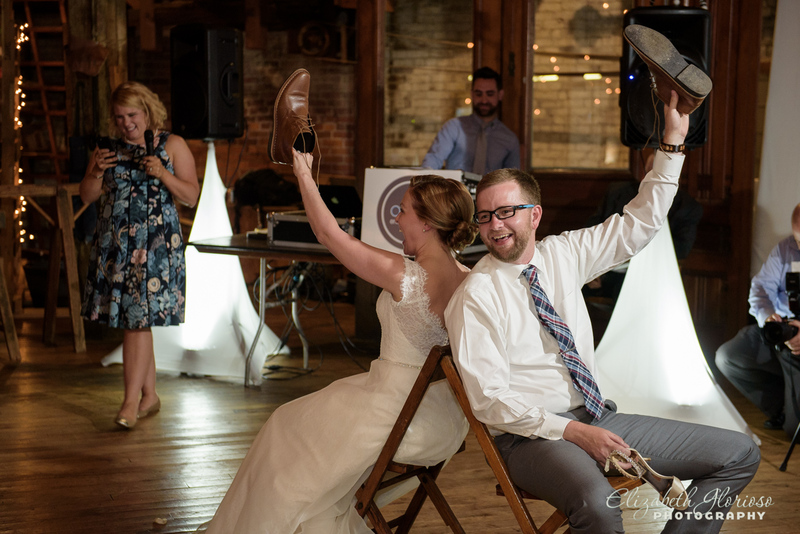 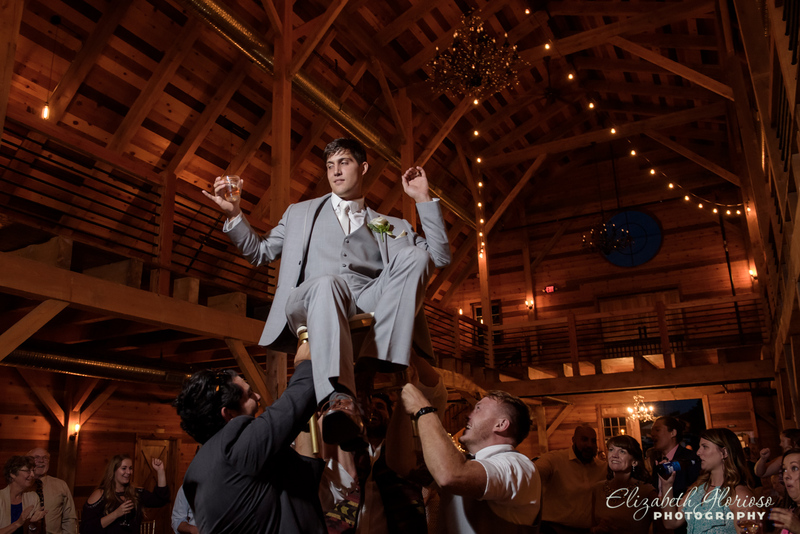 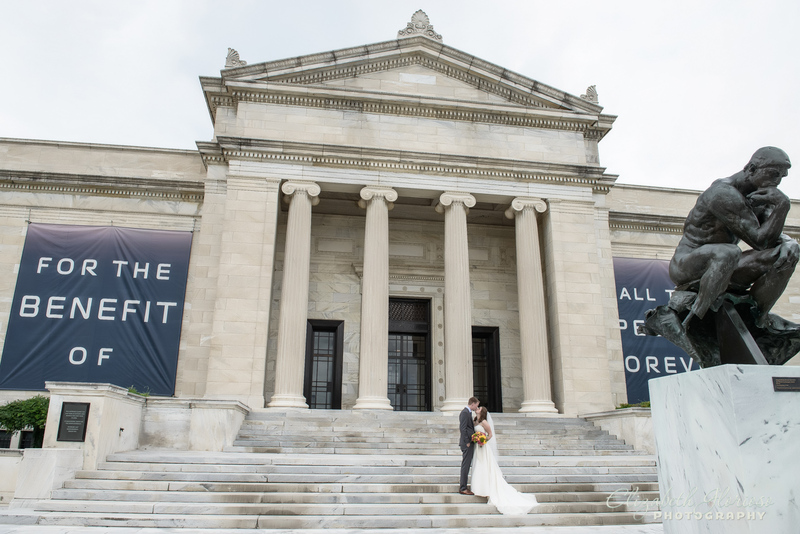 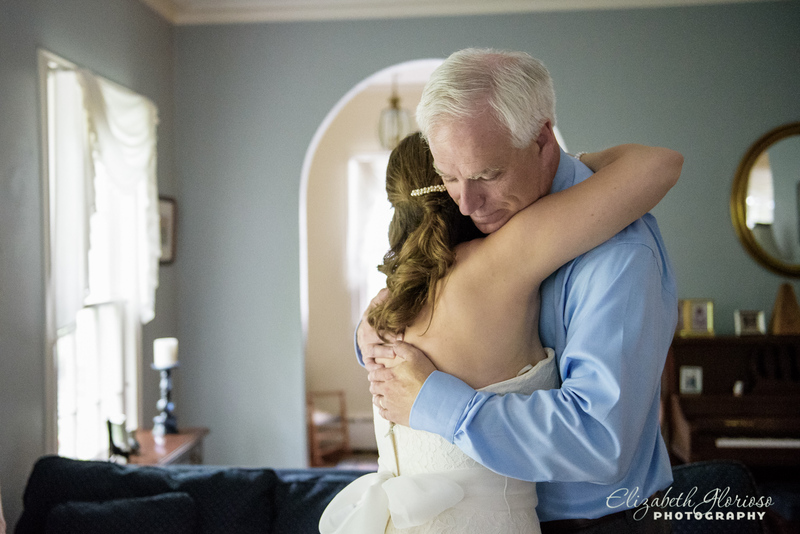 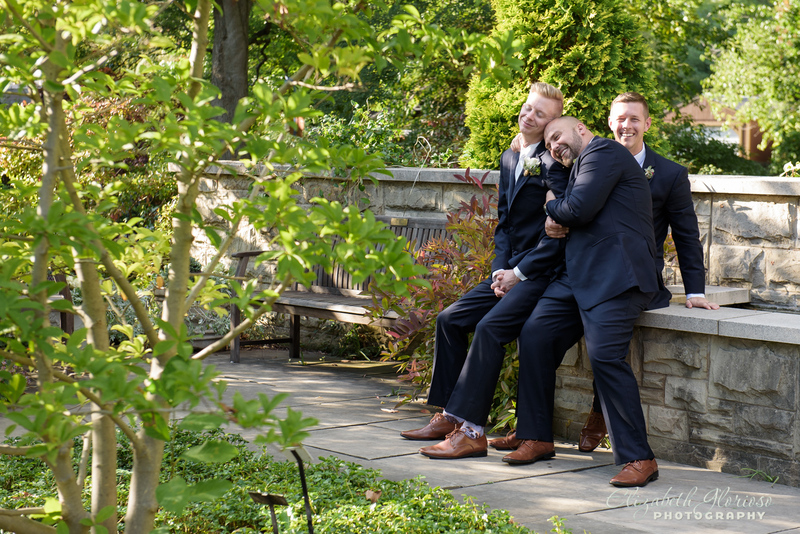 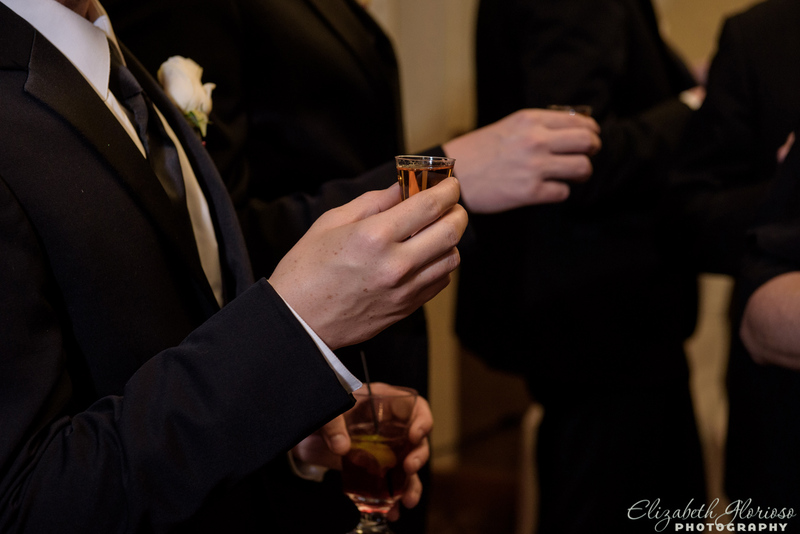 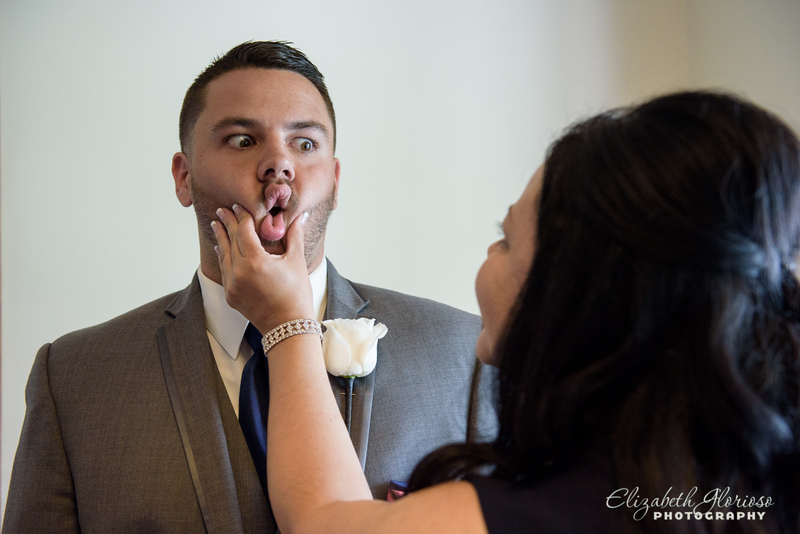 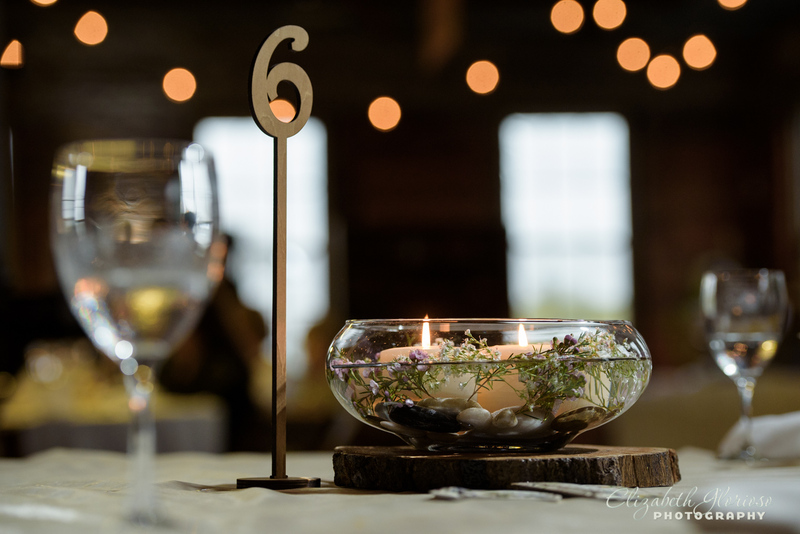 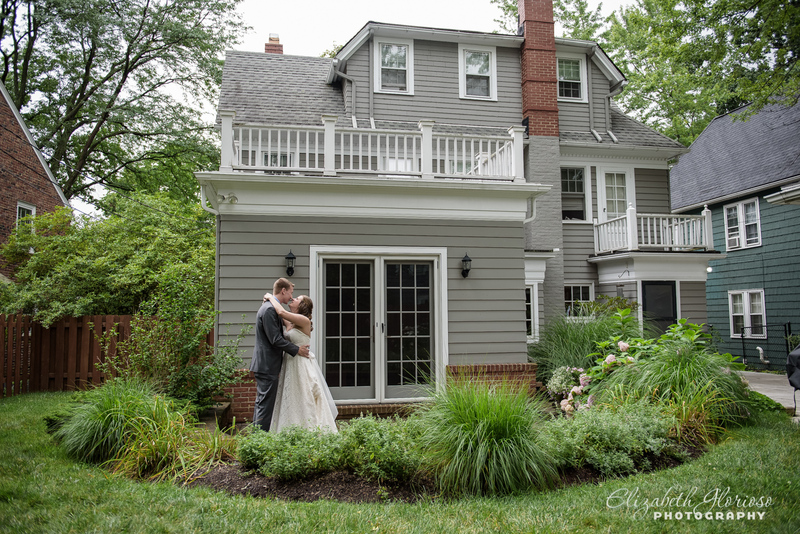 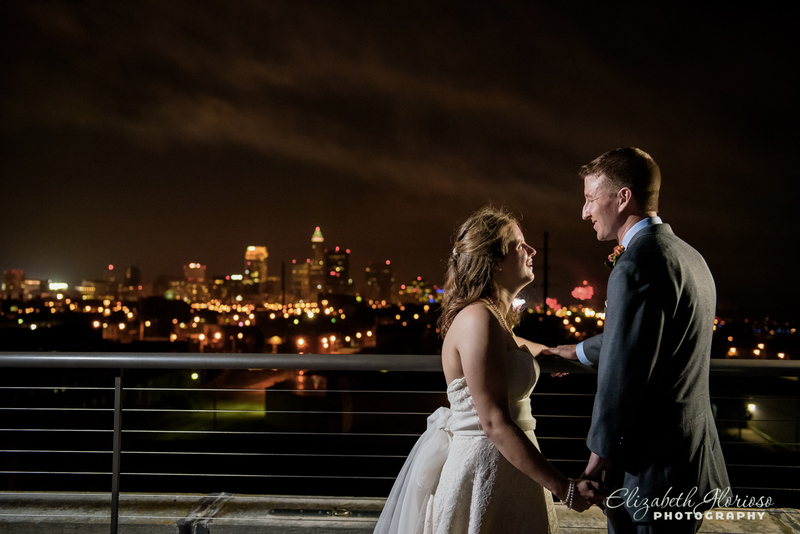 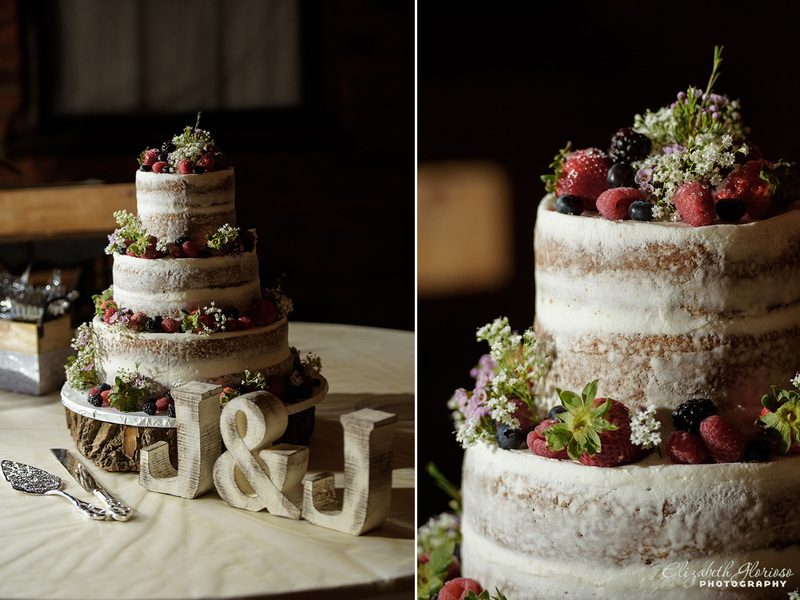 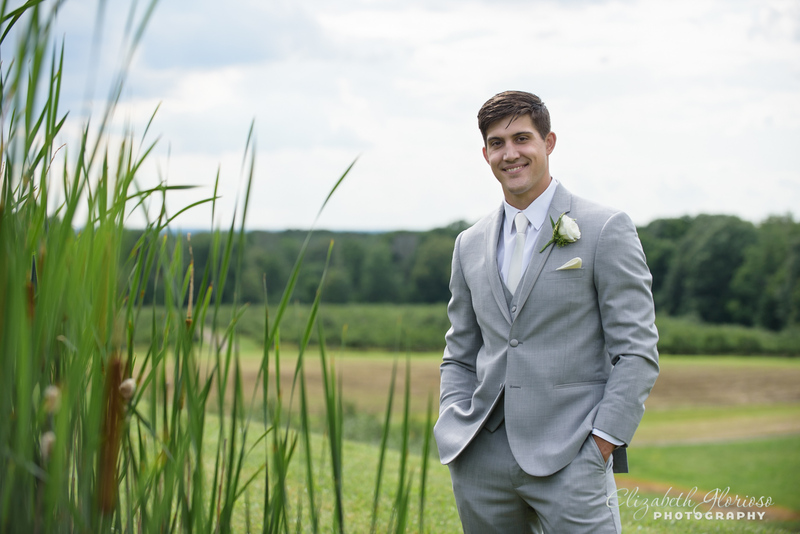 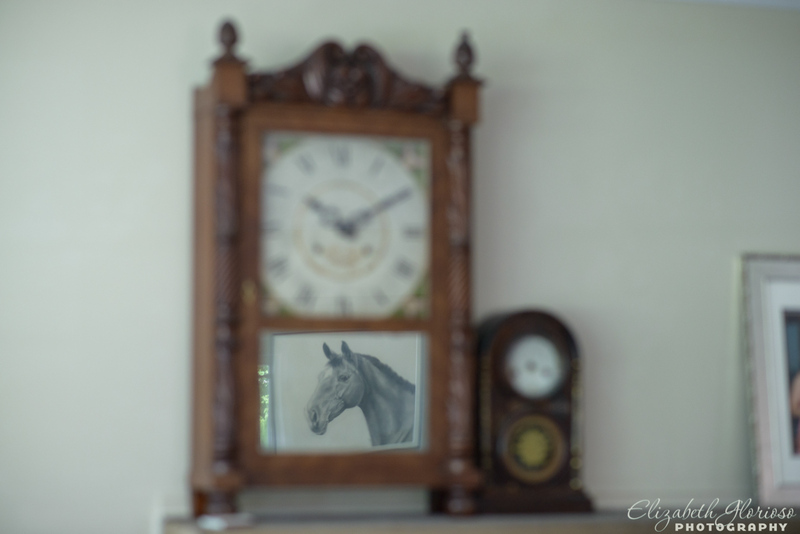 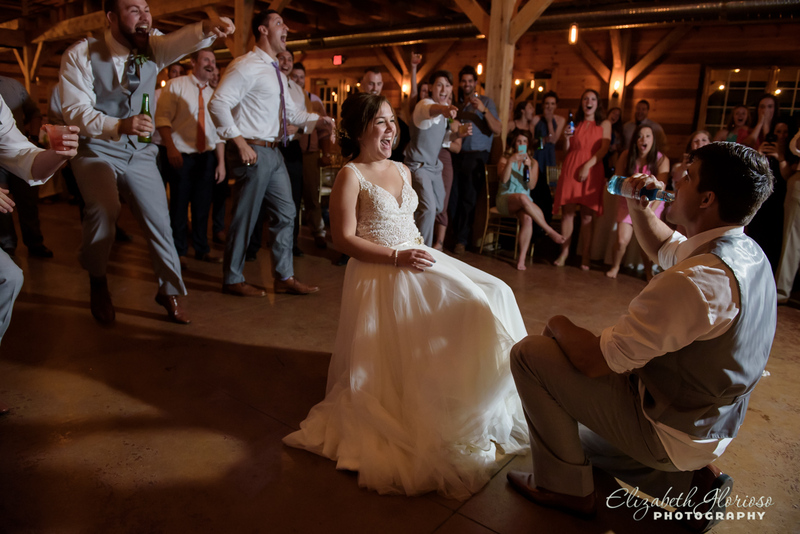 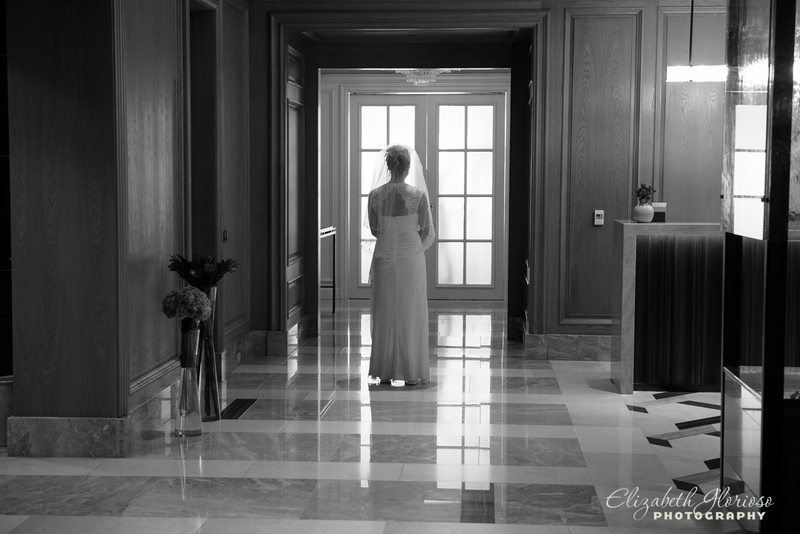 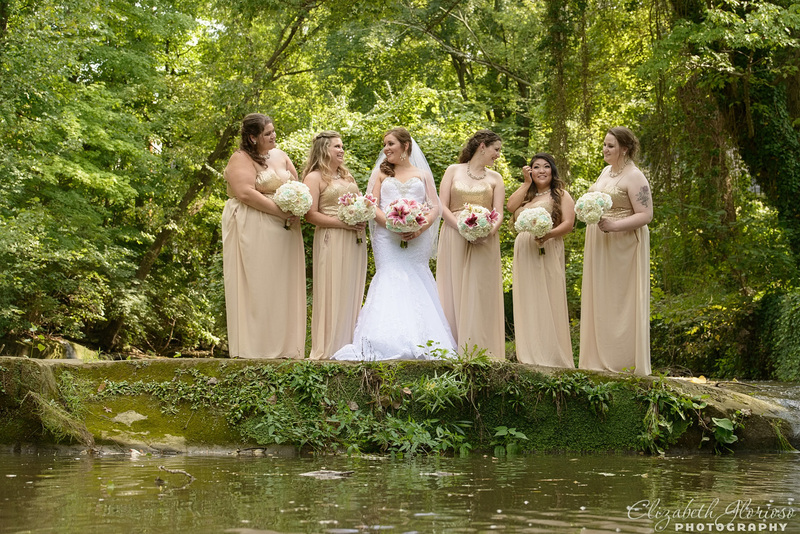 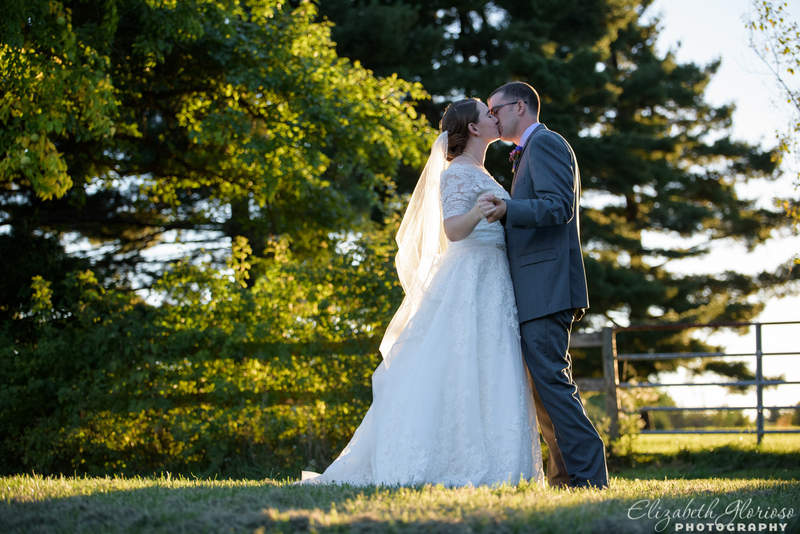 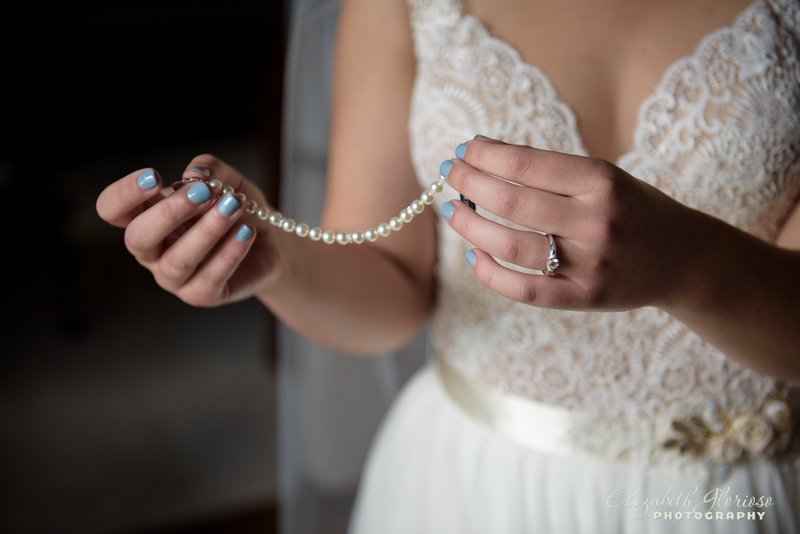 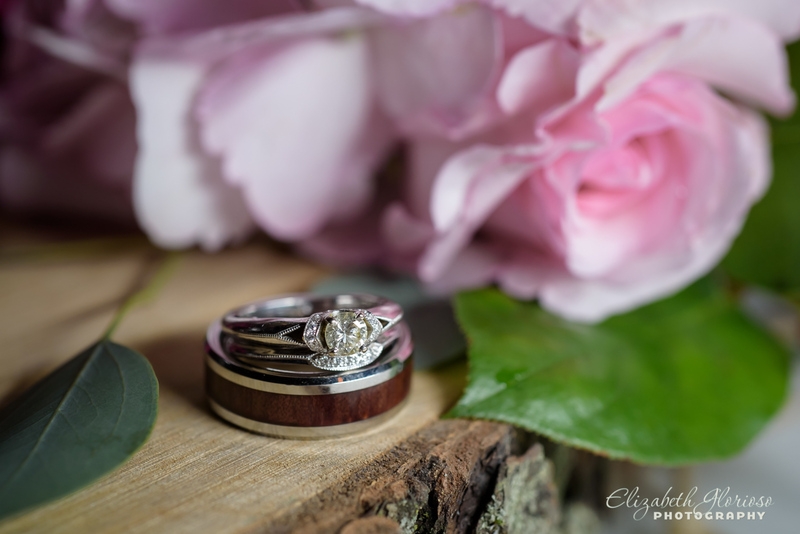 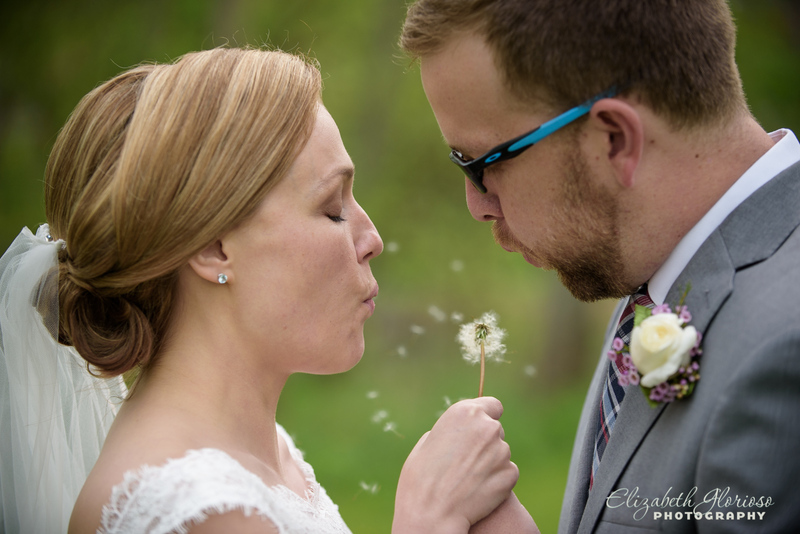 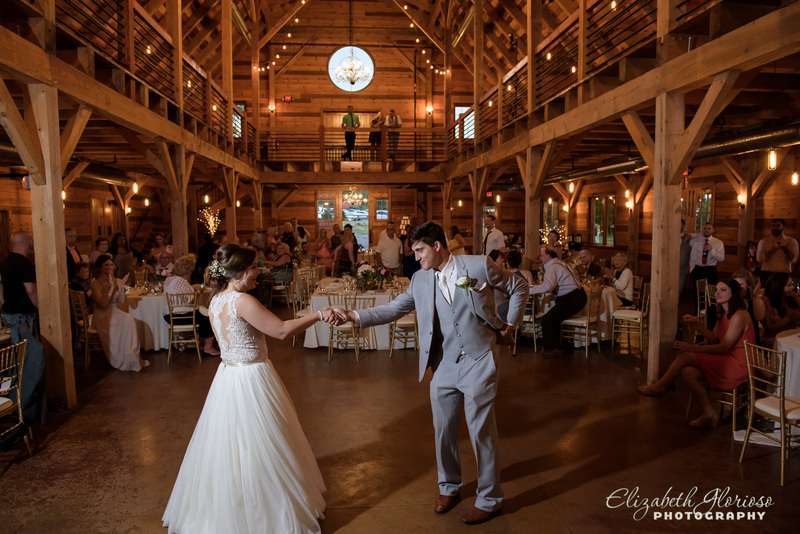 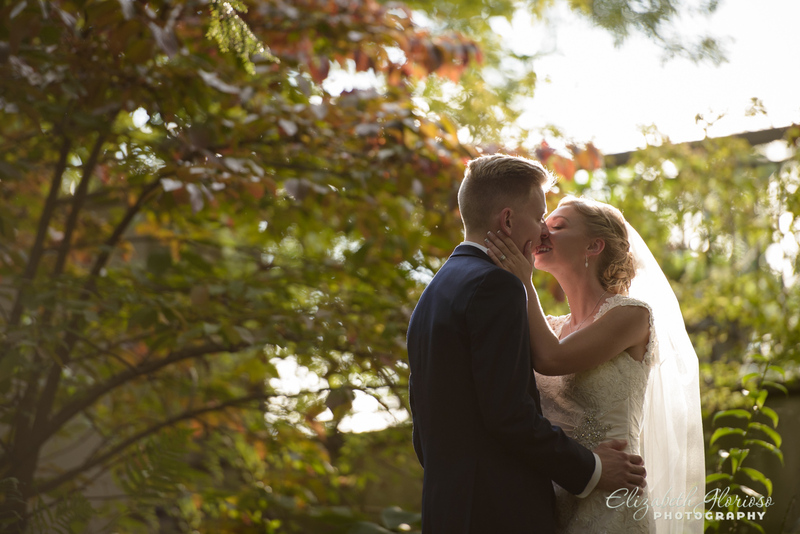 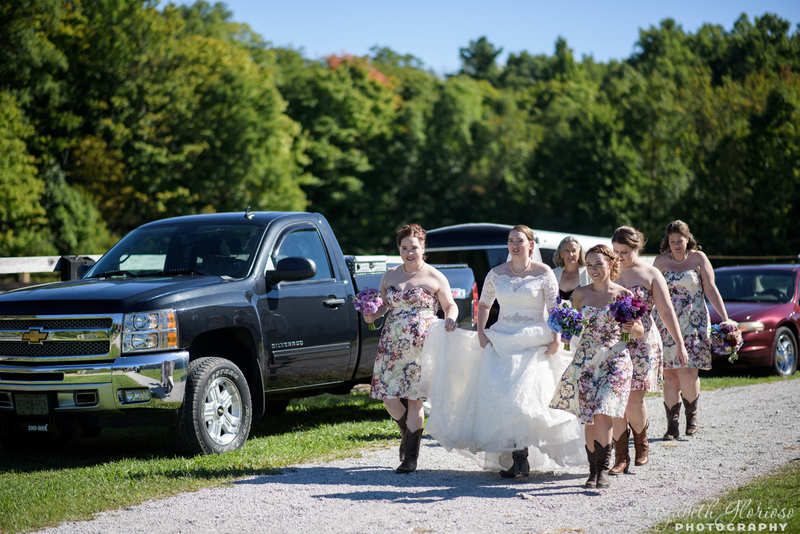 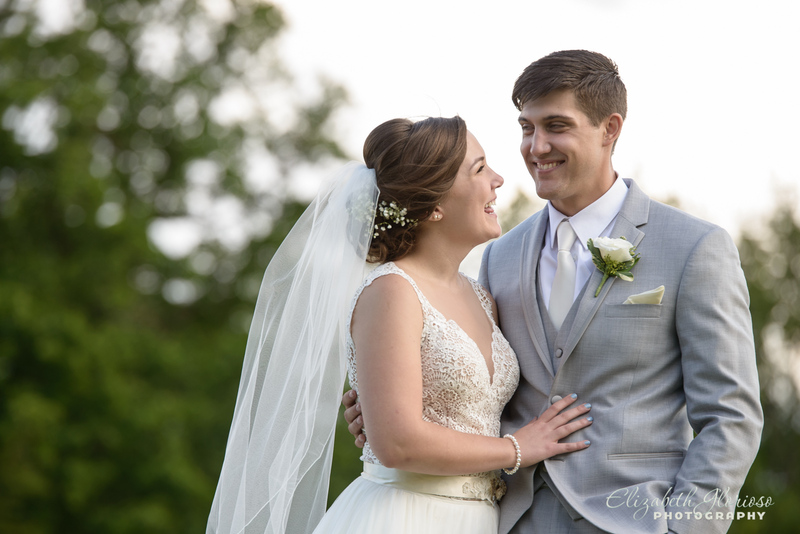 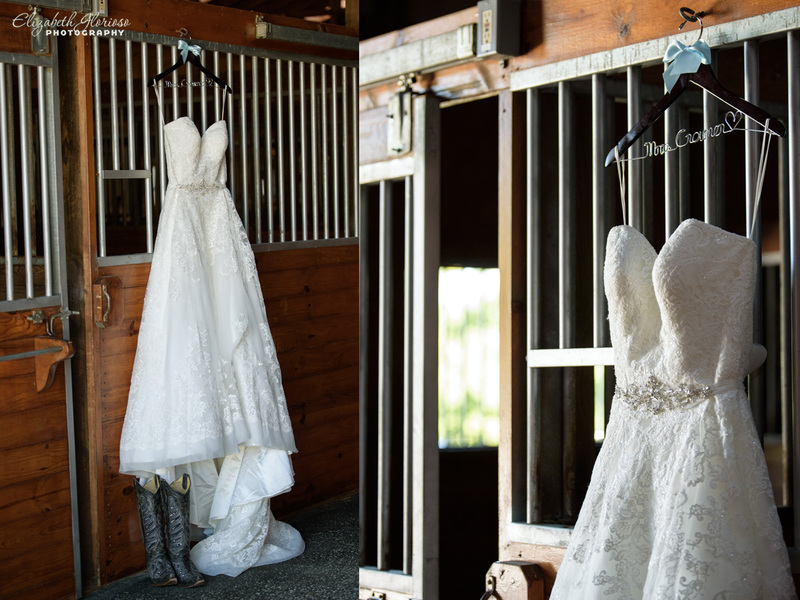 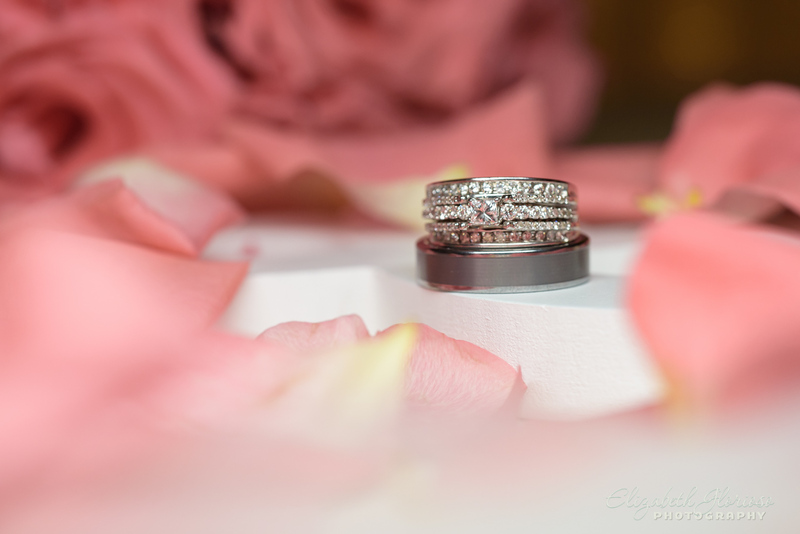 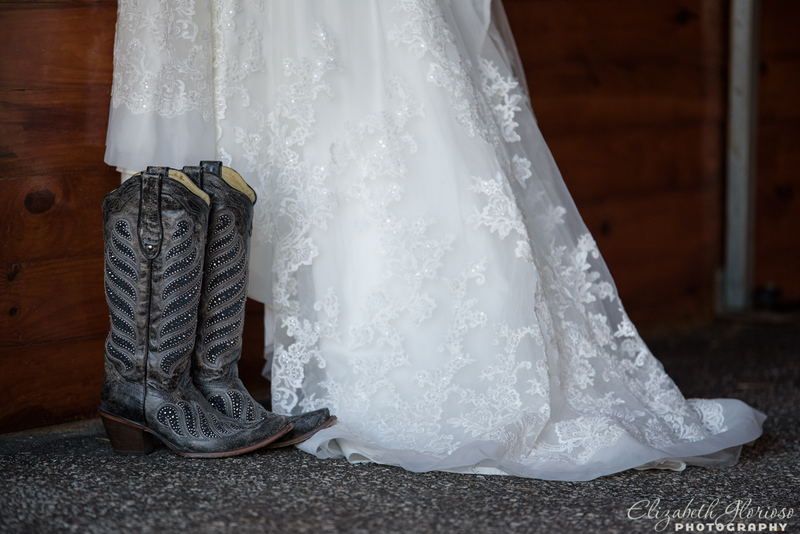 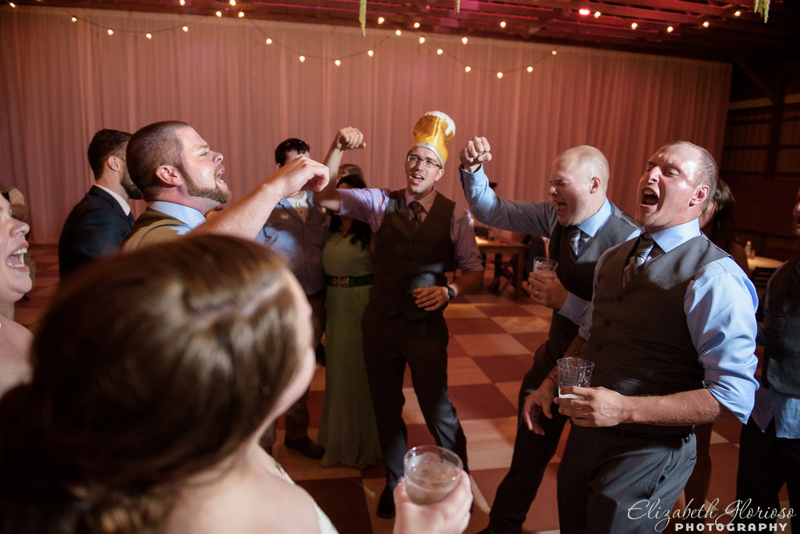 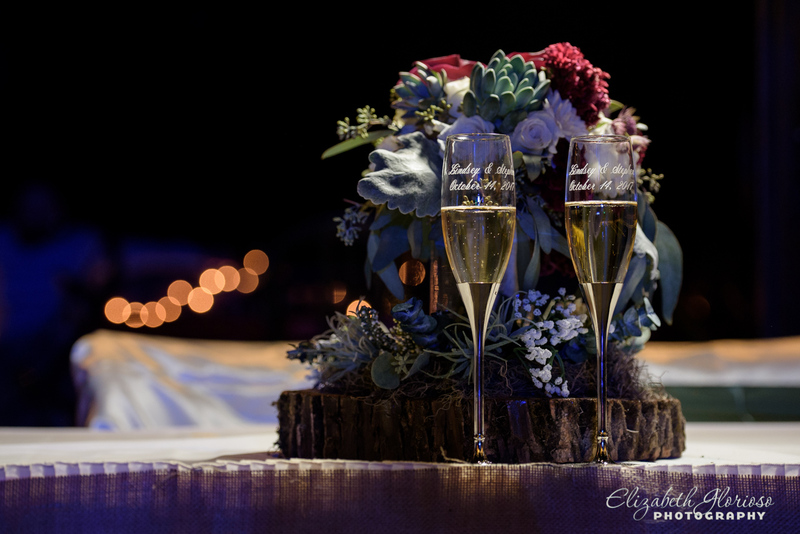 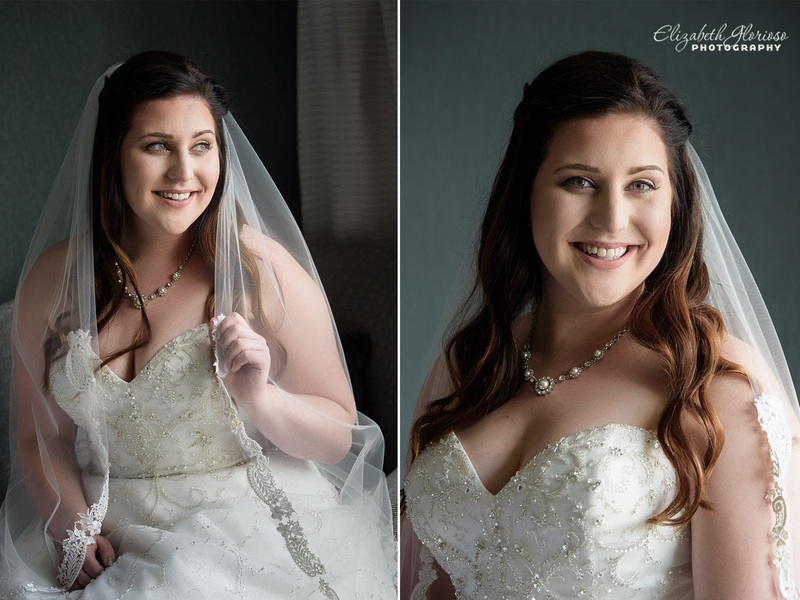 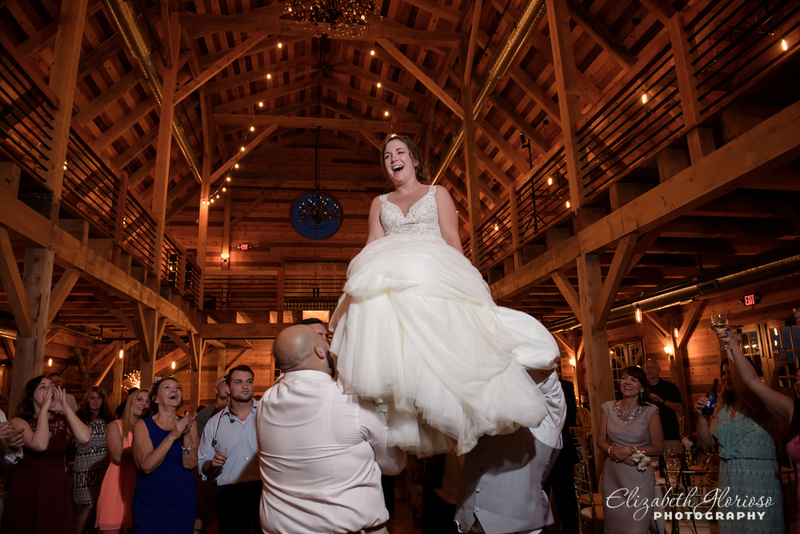 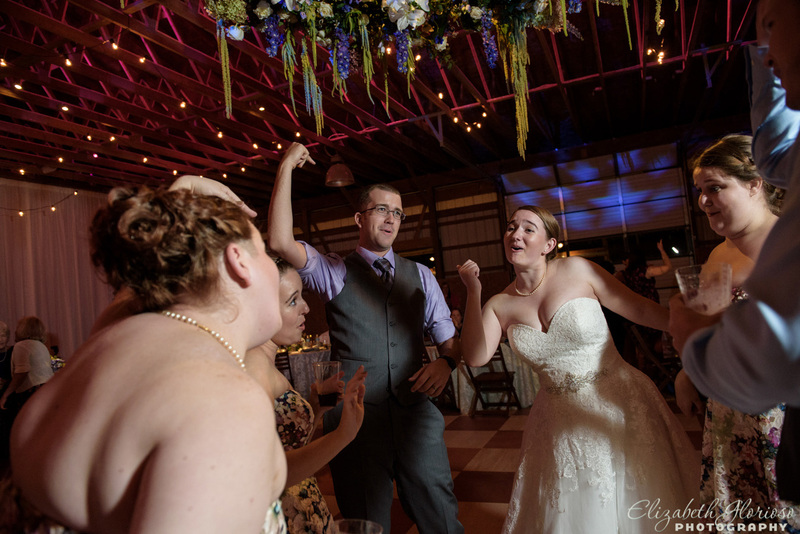 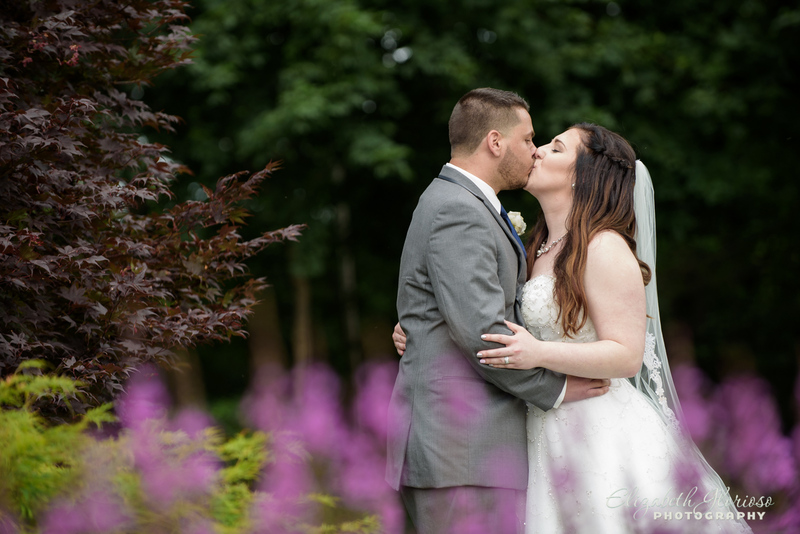 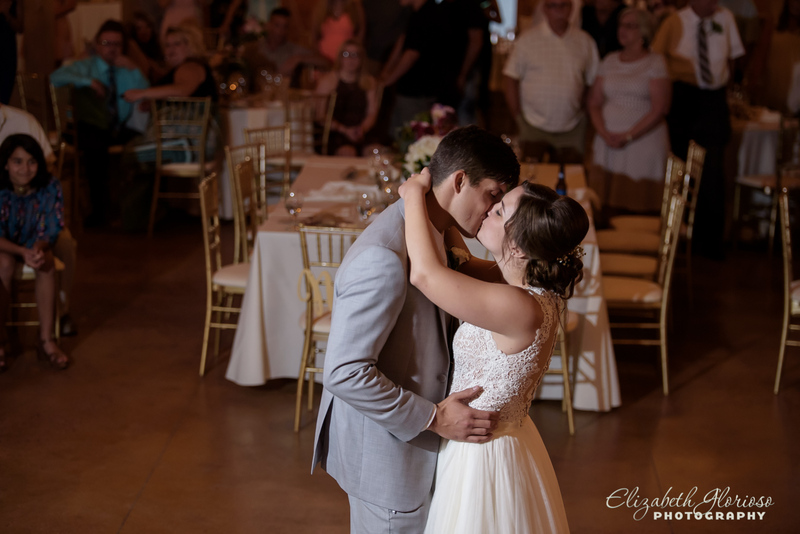 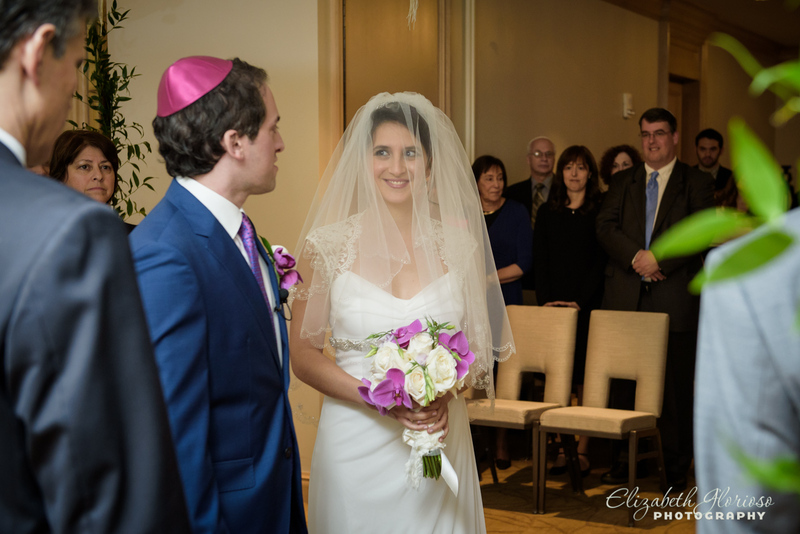 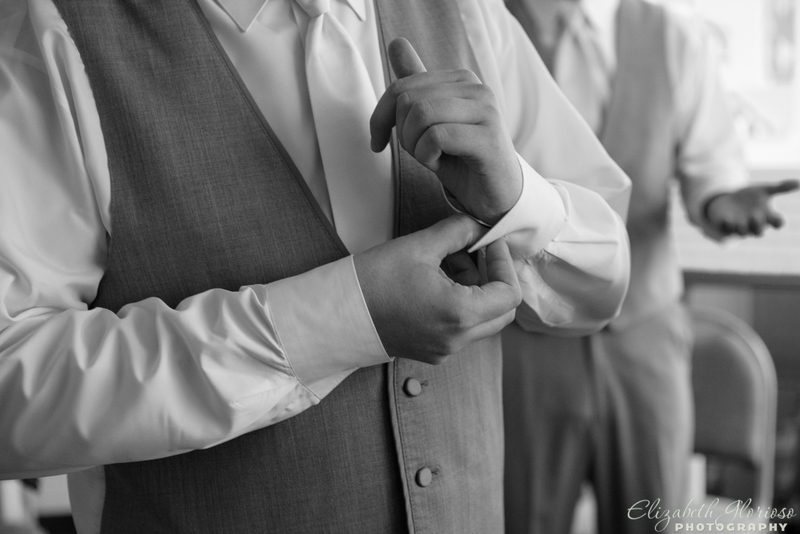 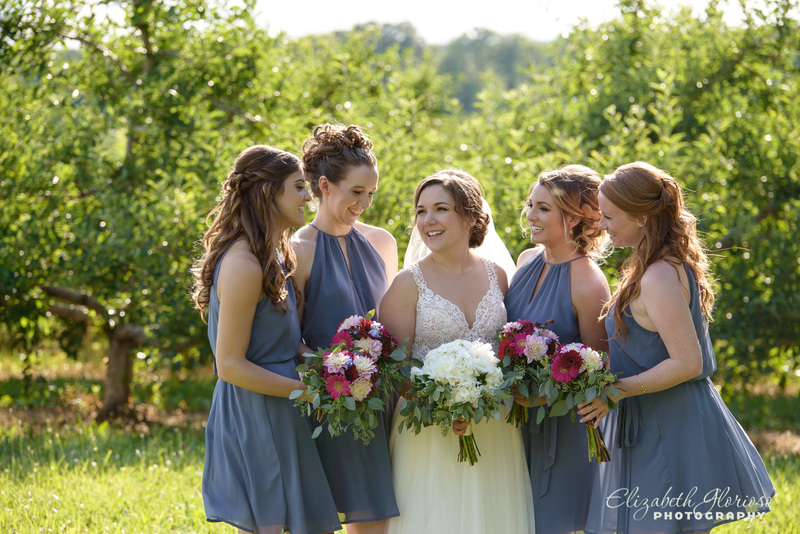 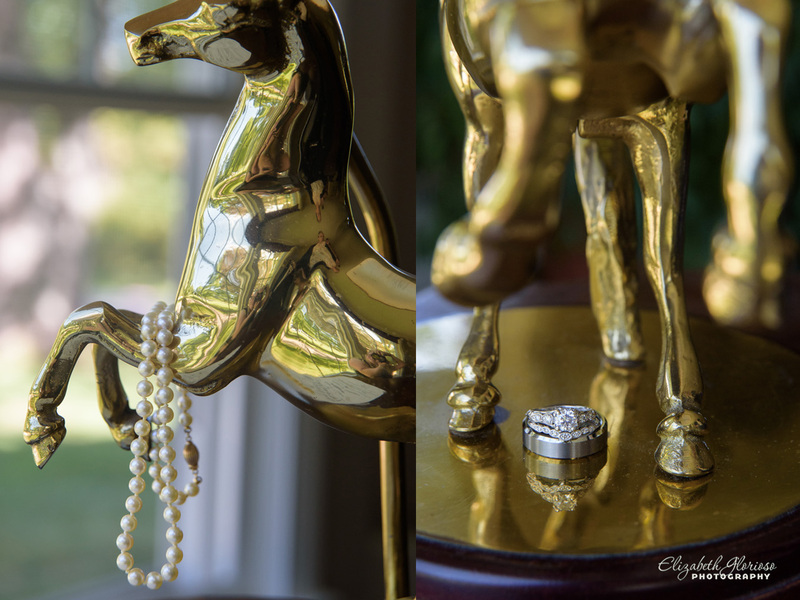 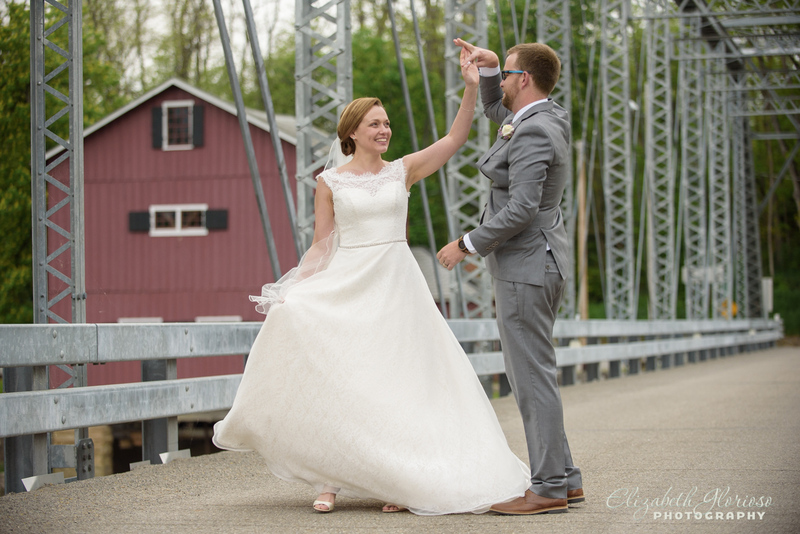 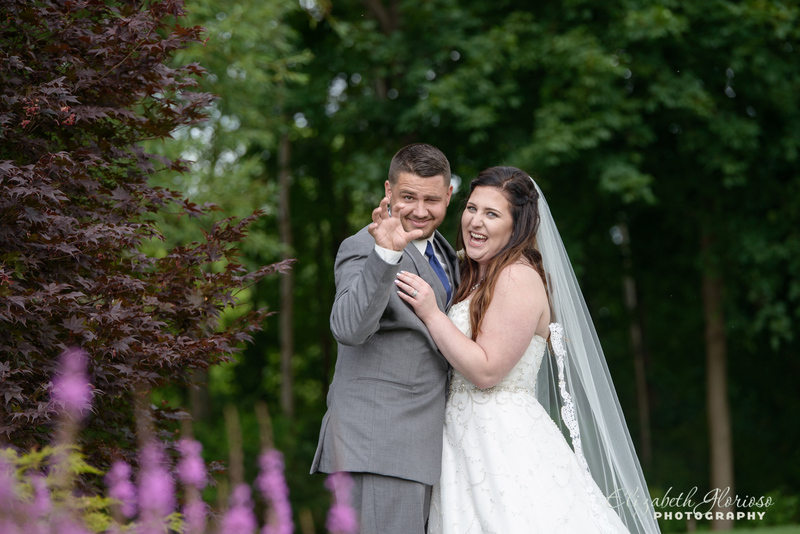 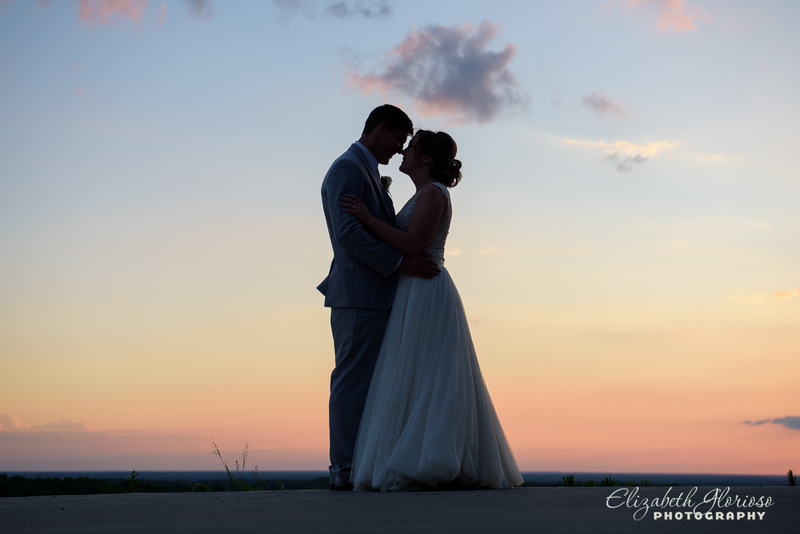 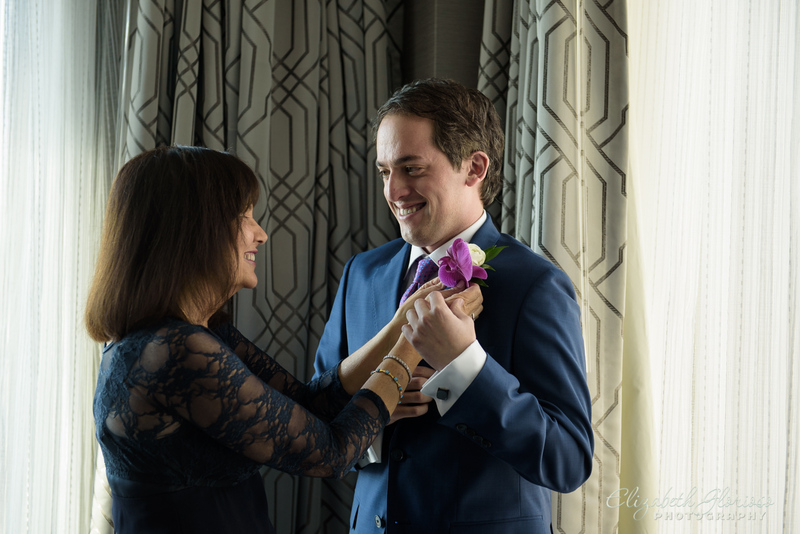 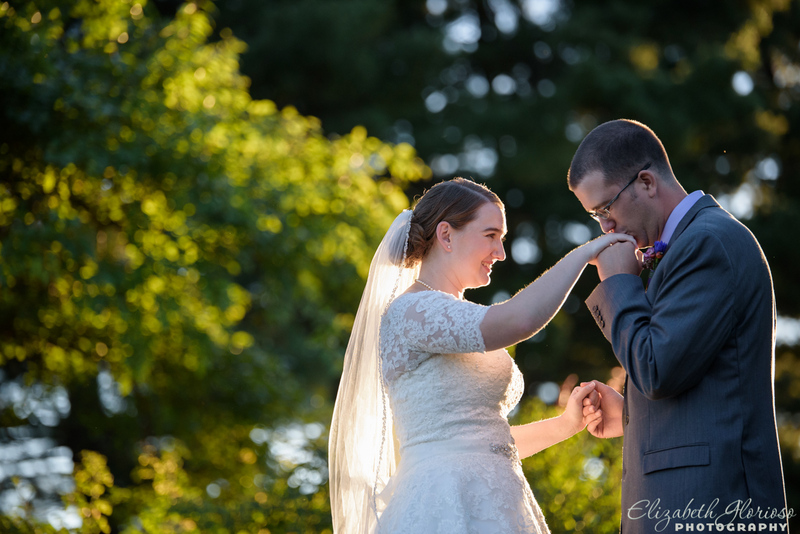 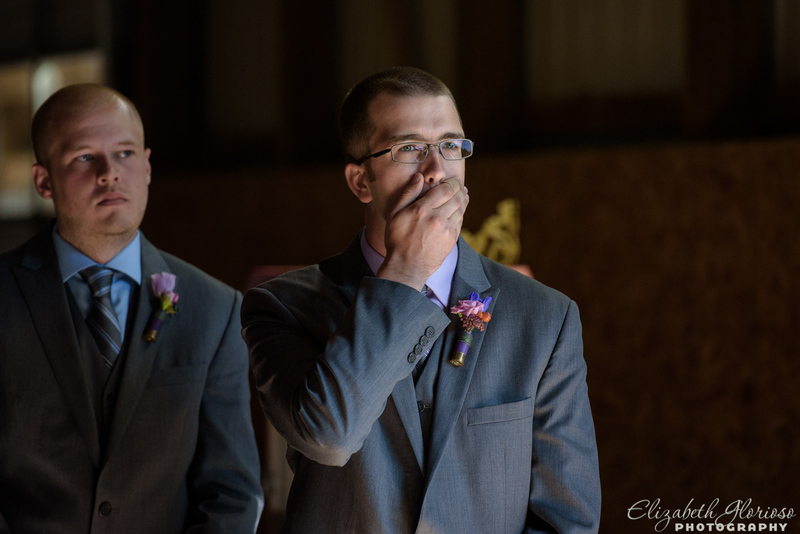 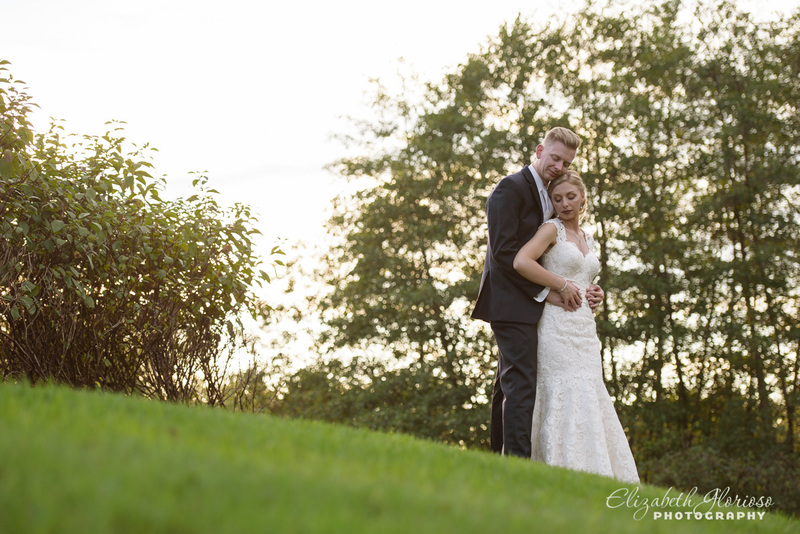 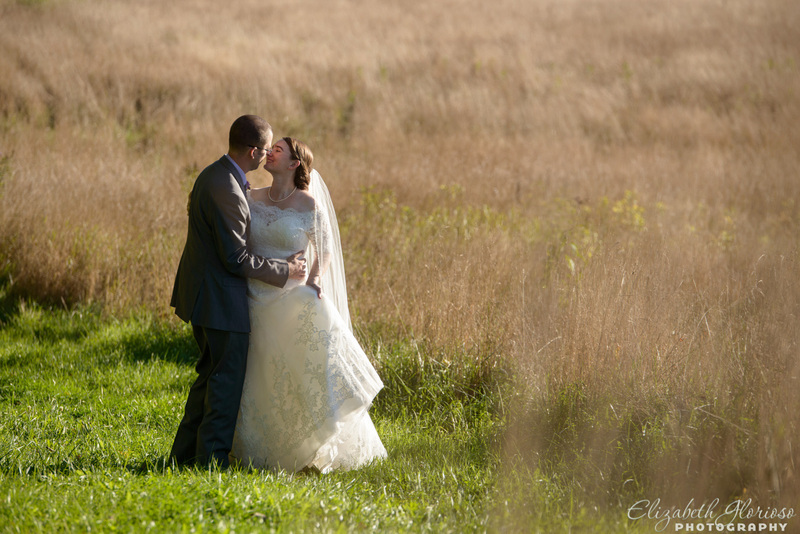 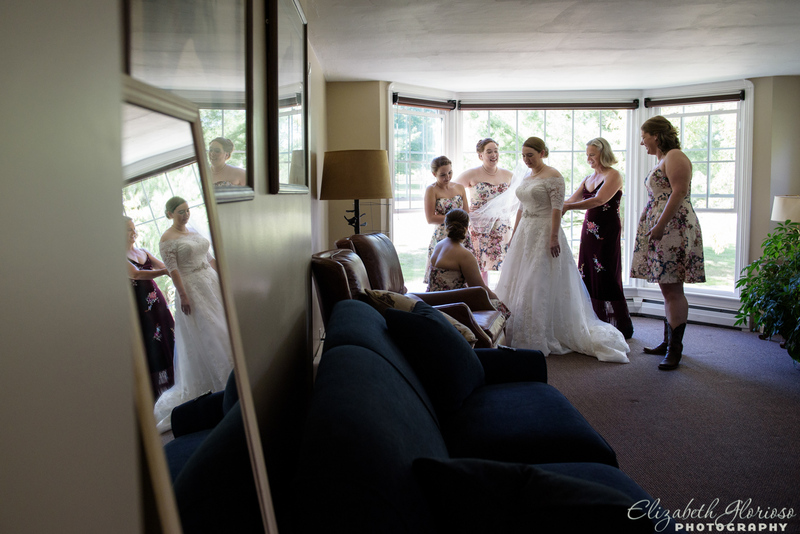 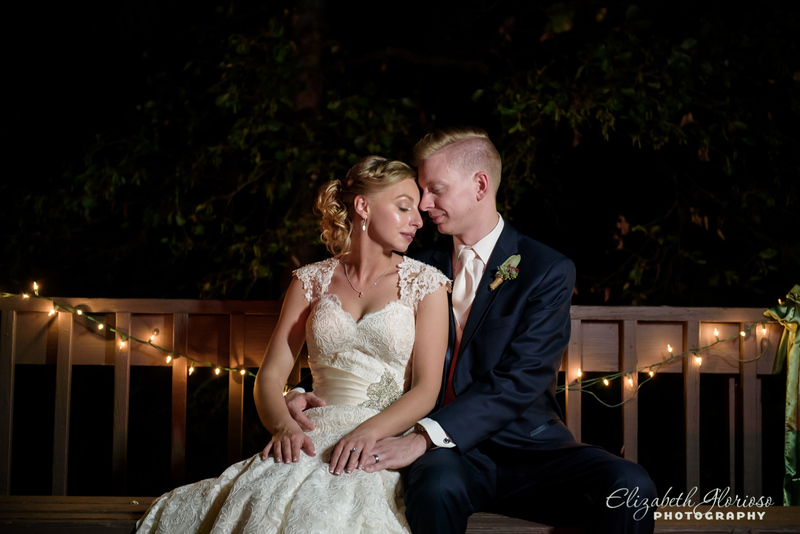 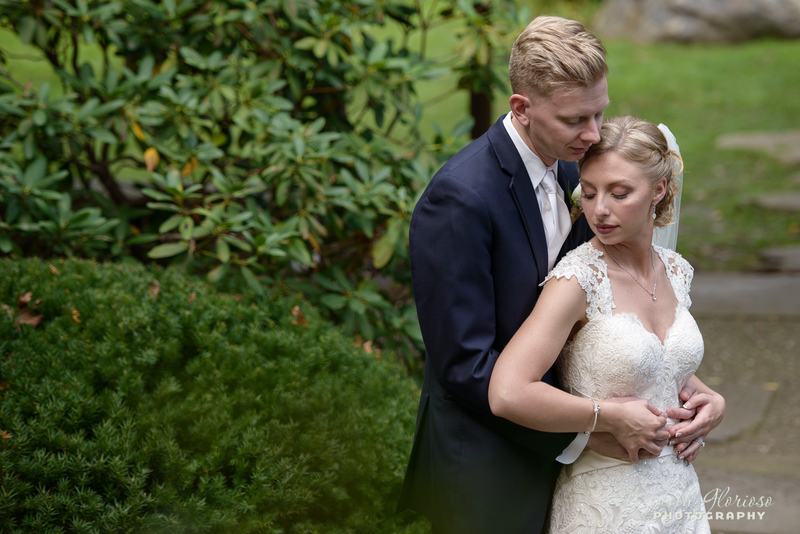 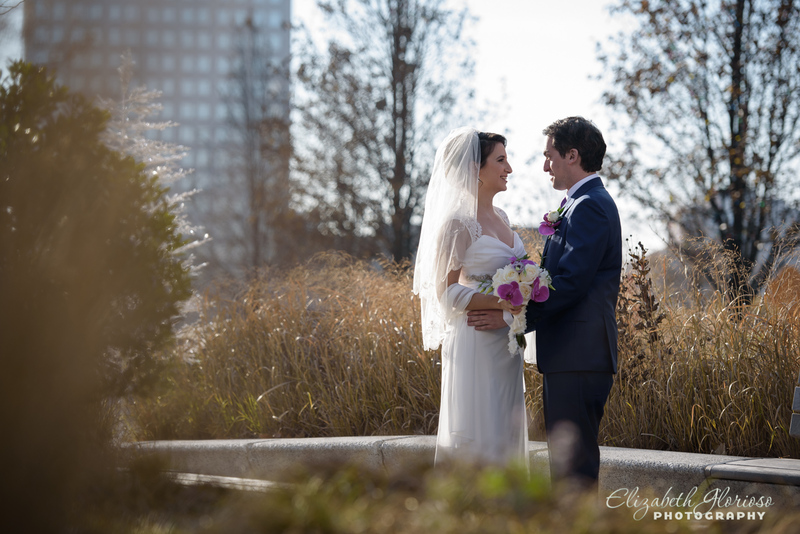 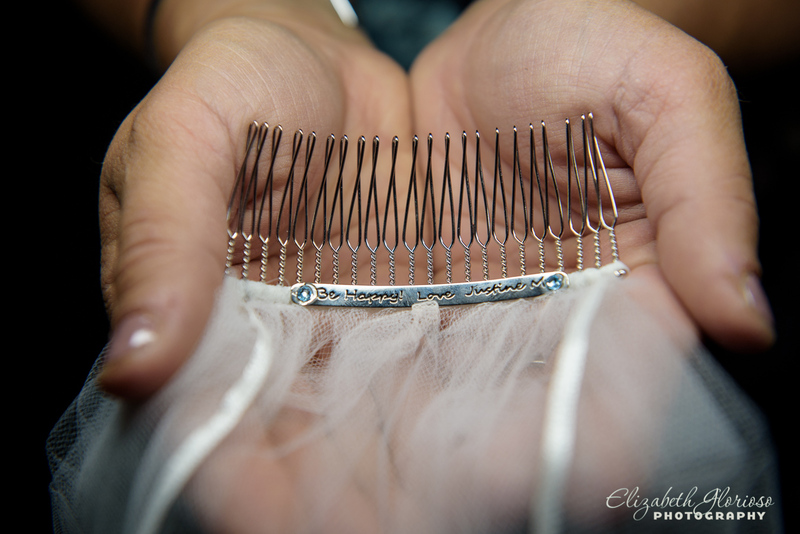 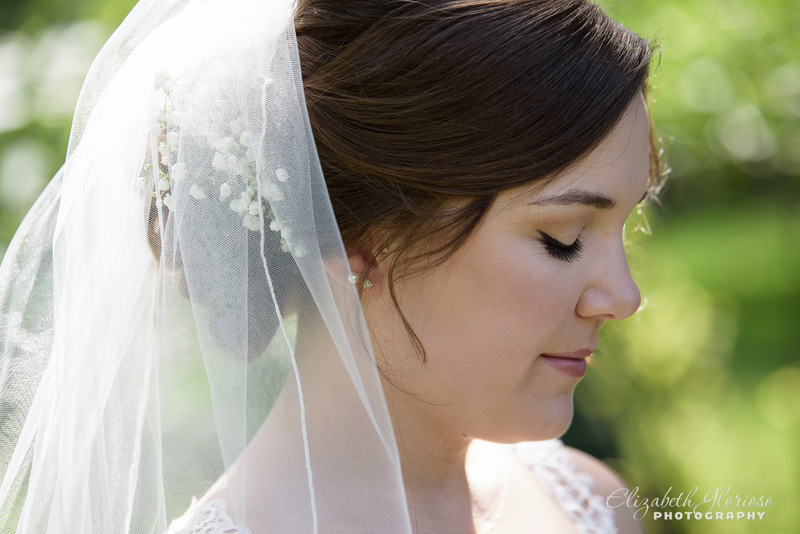 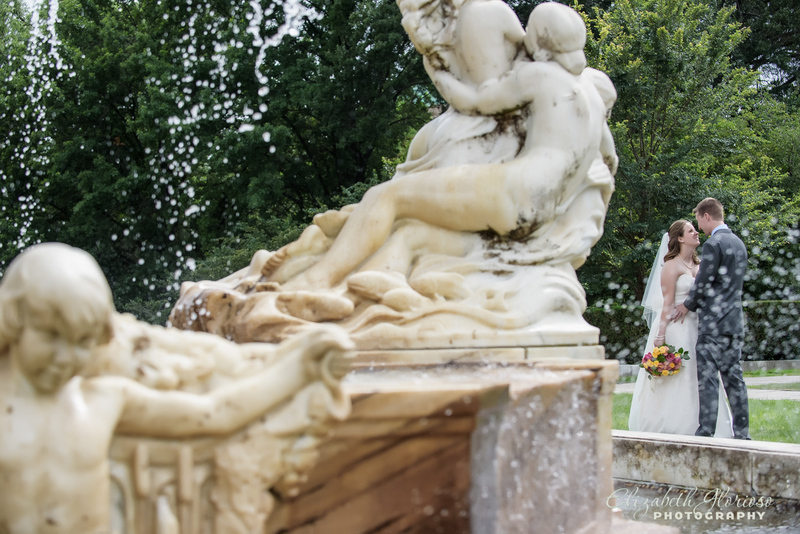 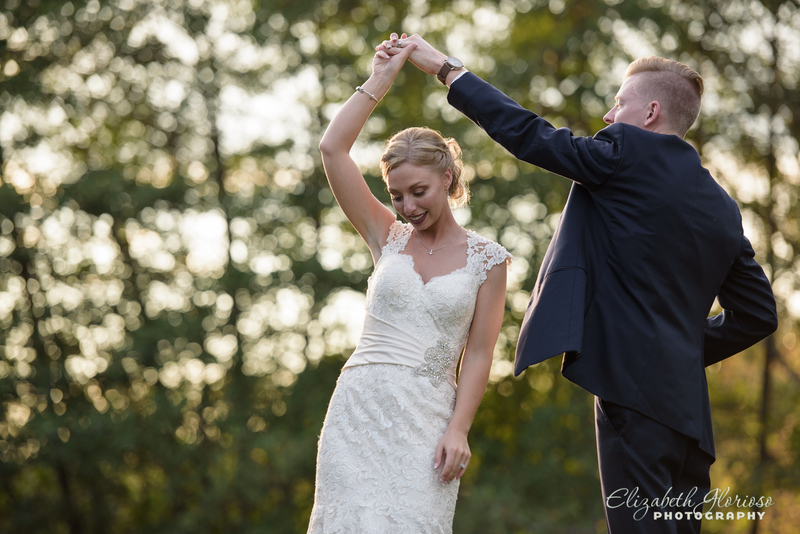 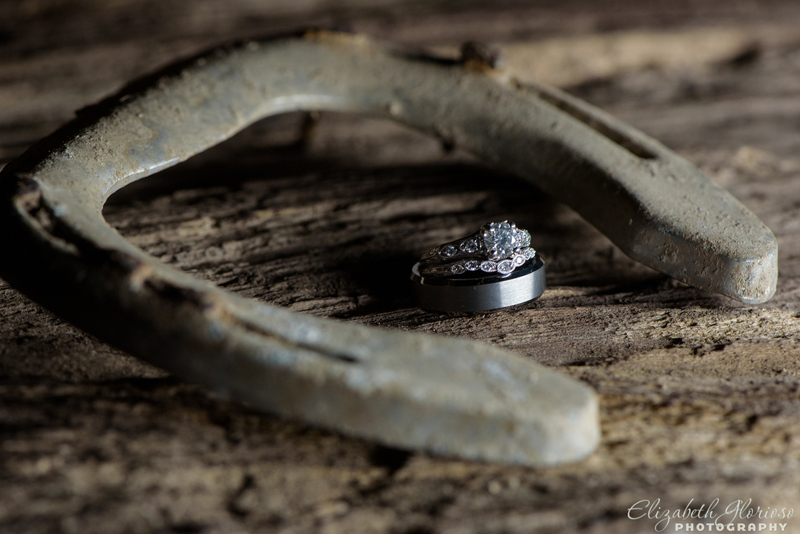 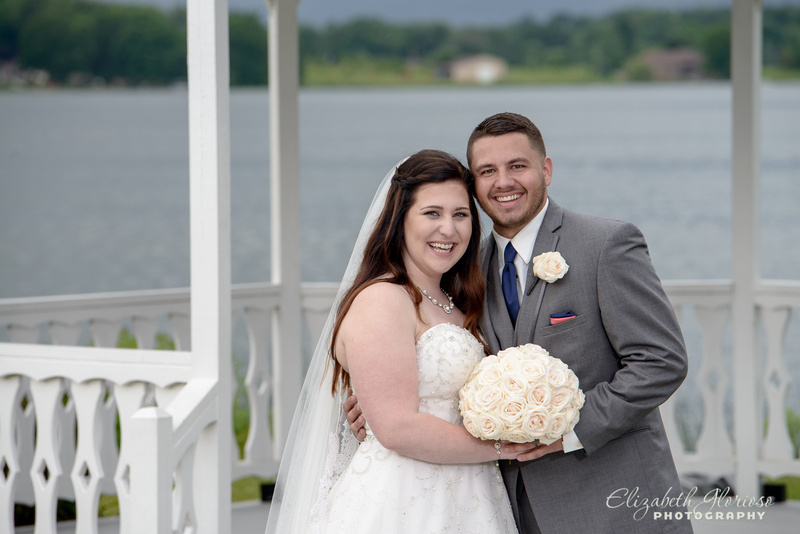 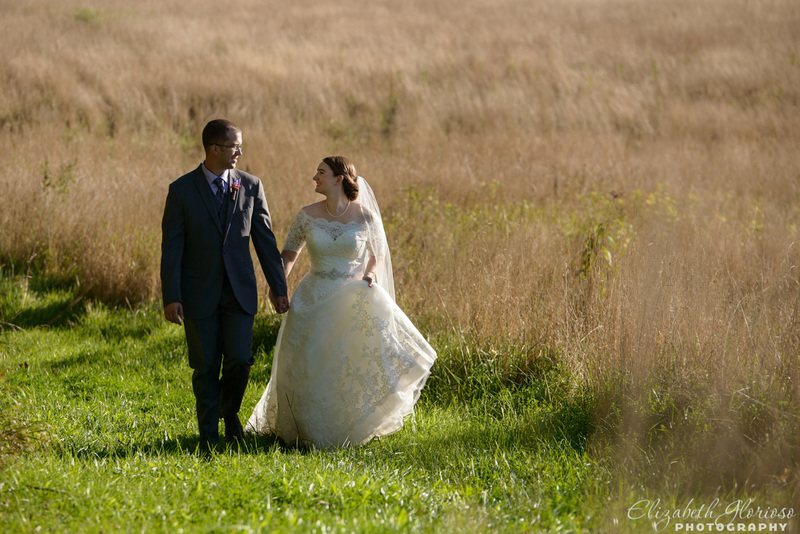 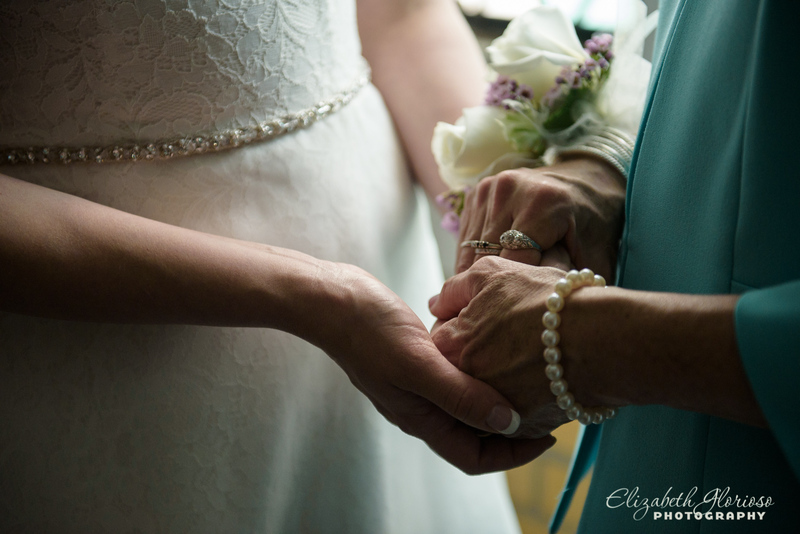 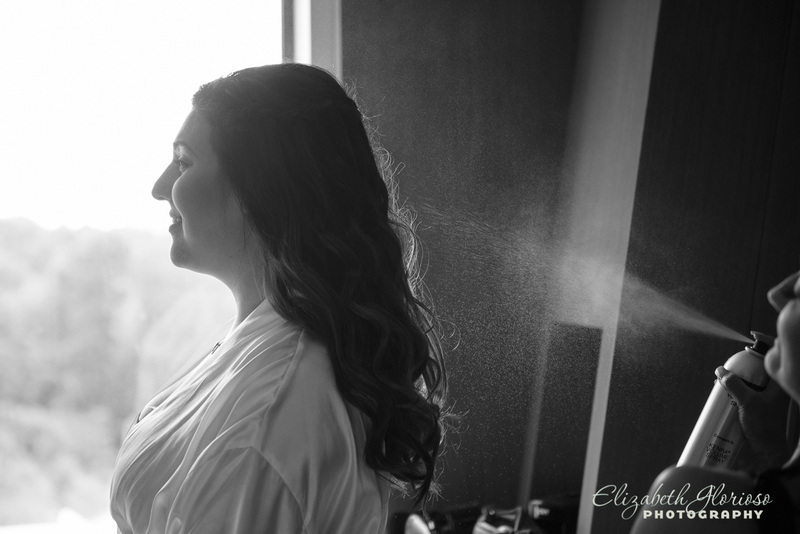 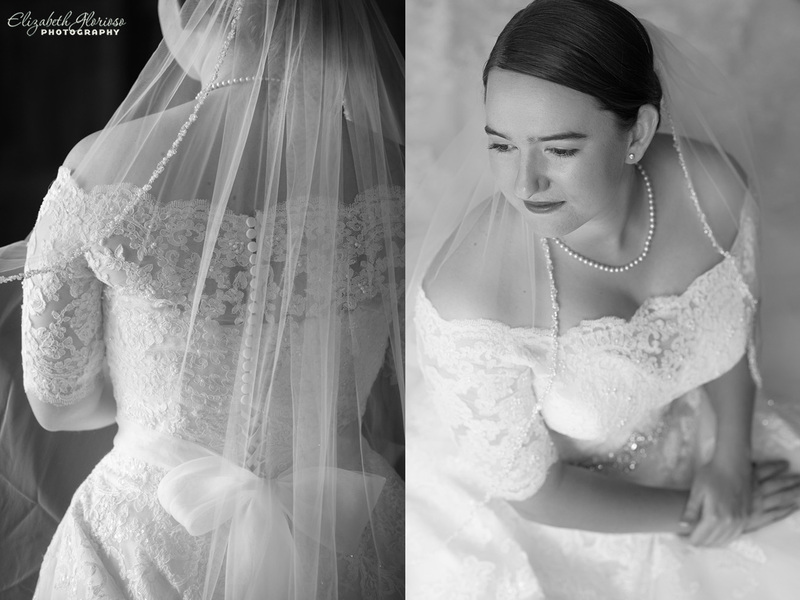 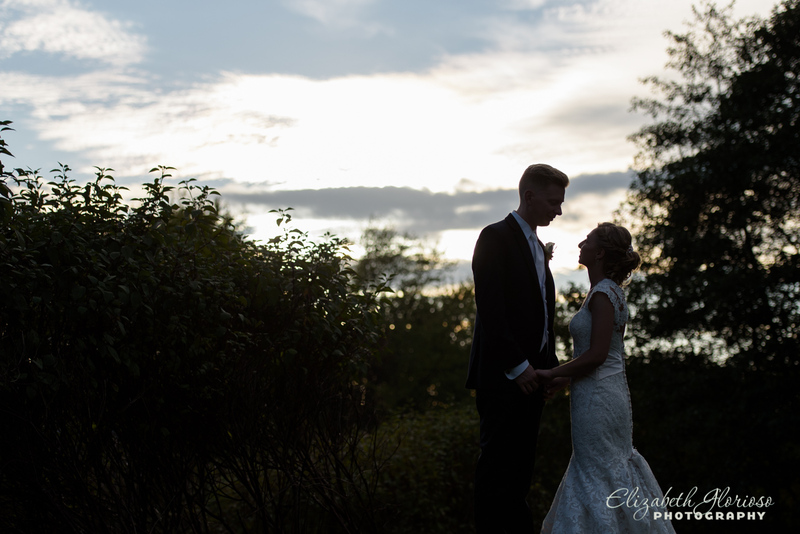 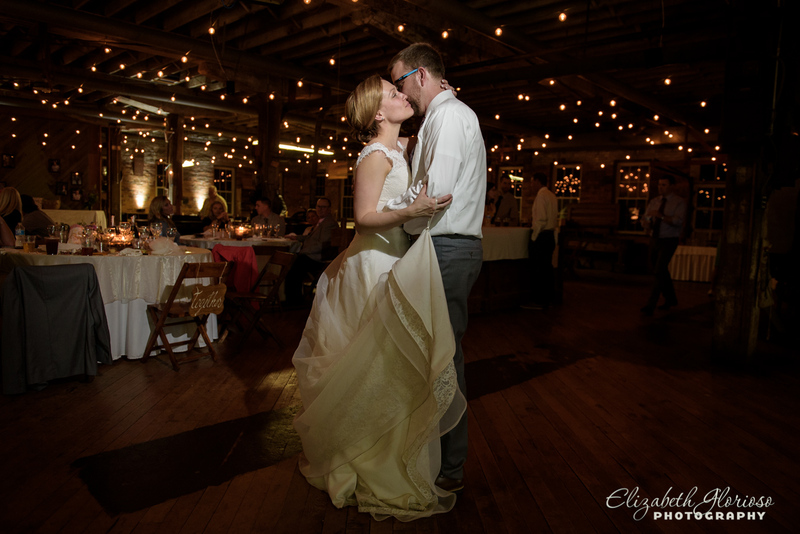 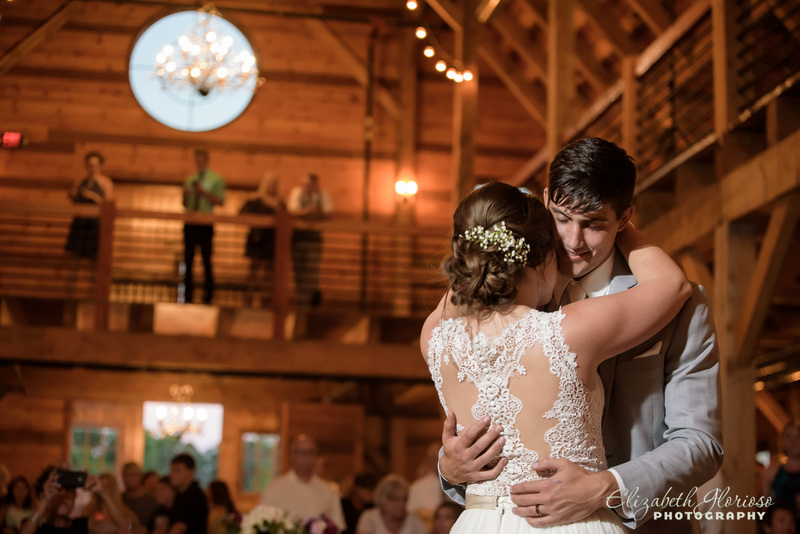 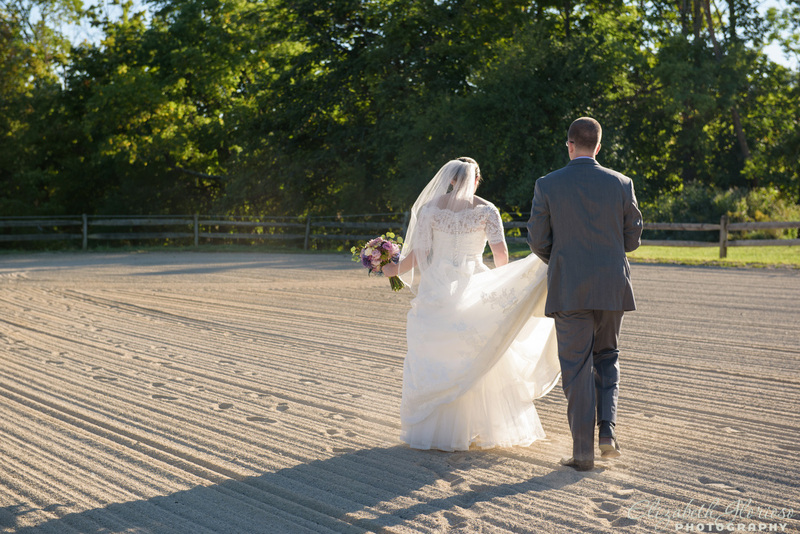 This entry was posted in Cleveland Wedding Photography, Uncategorized and tagged Cleveland engagement photography, Cleveland photographer, Cleveland Wedding Photographer, Cleveland weddings, Elizabeth Glorioso Photography, wedding photography on October 28, 2016 by Elizabeth G..